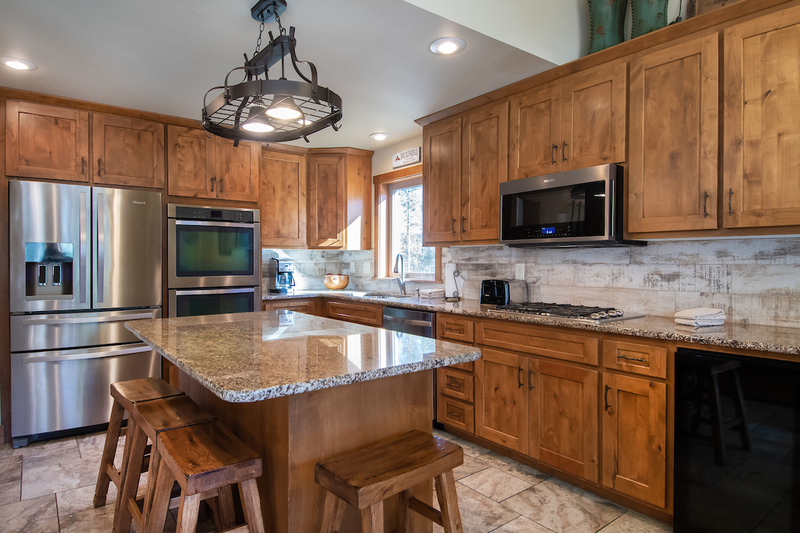 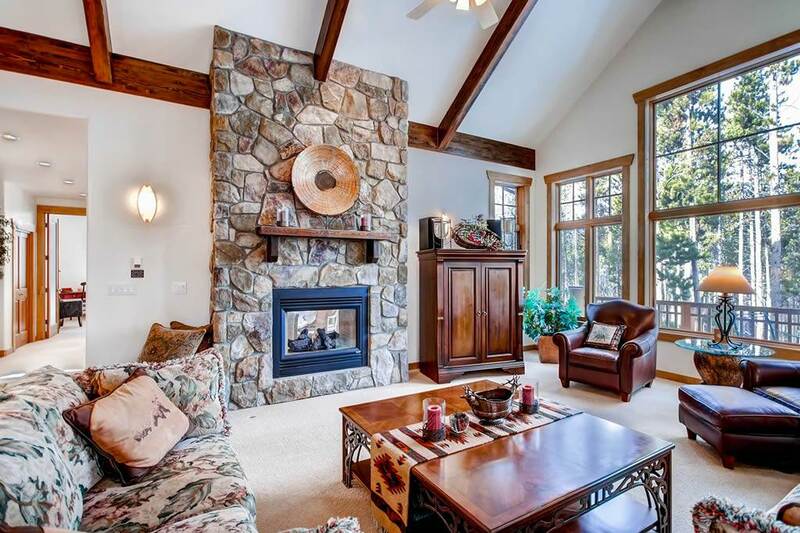 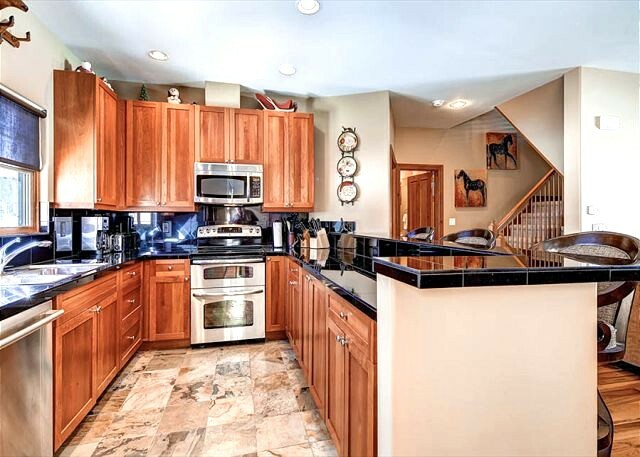 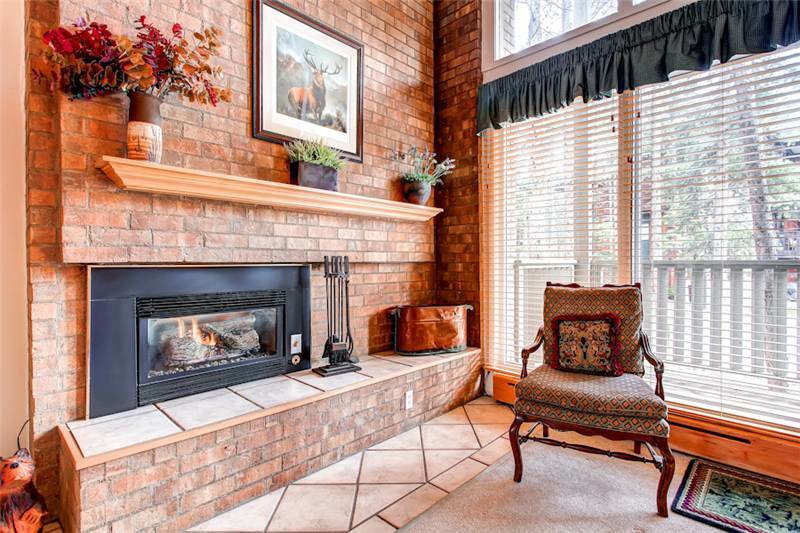 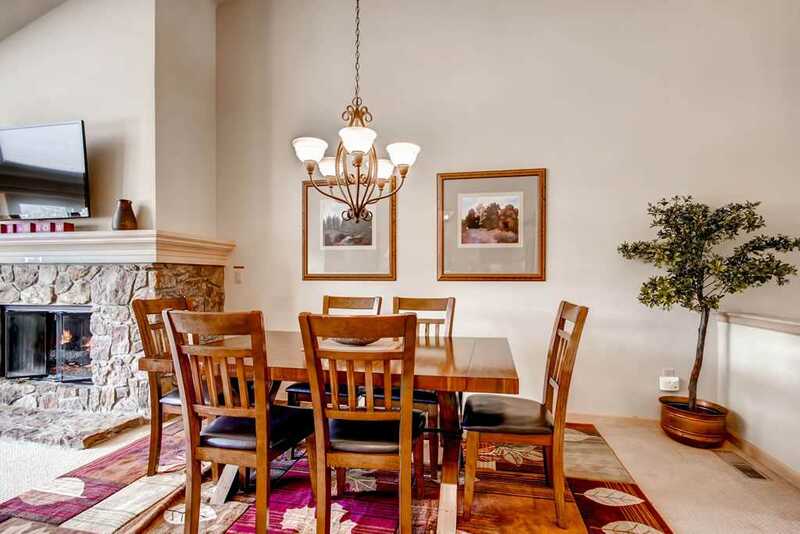 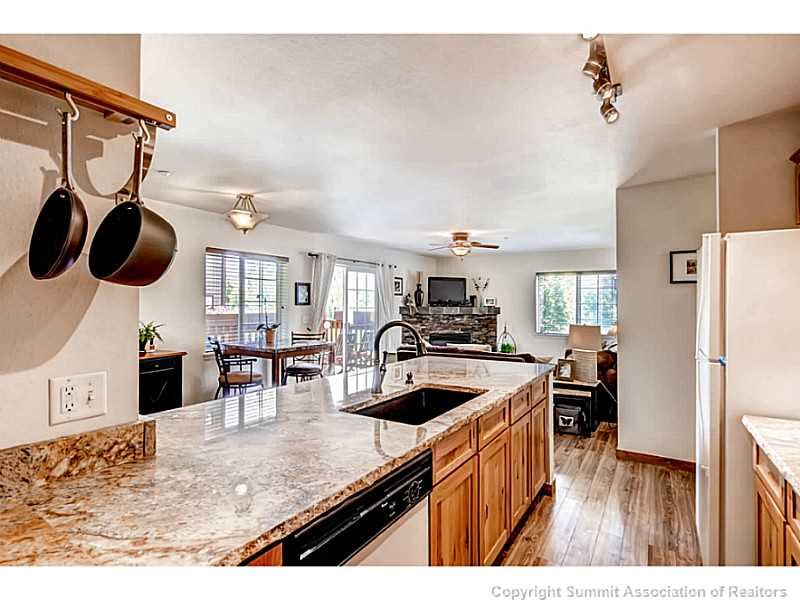 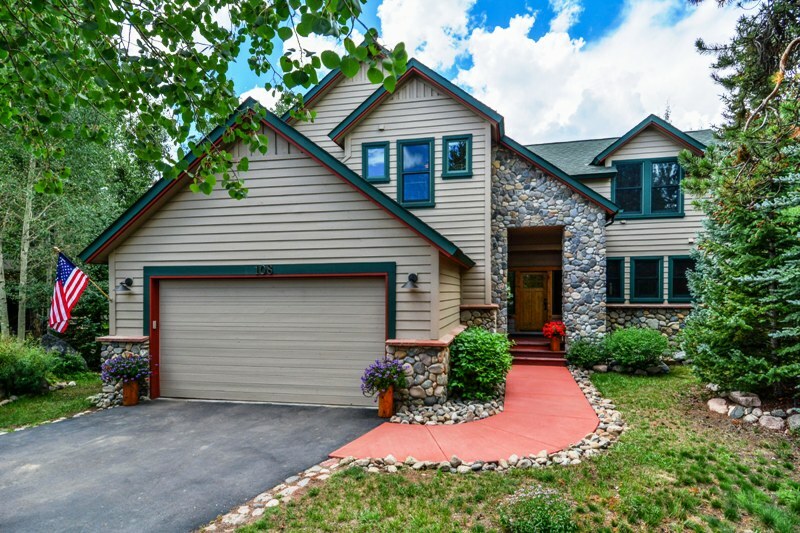 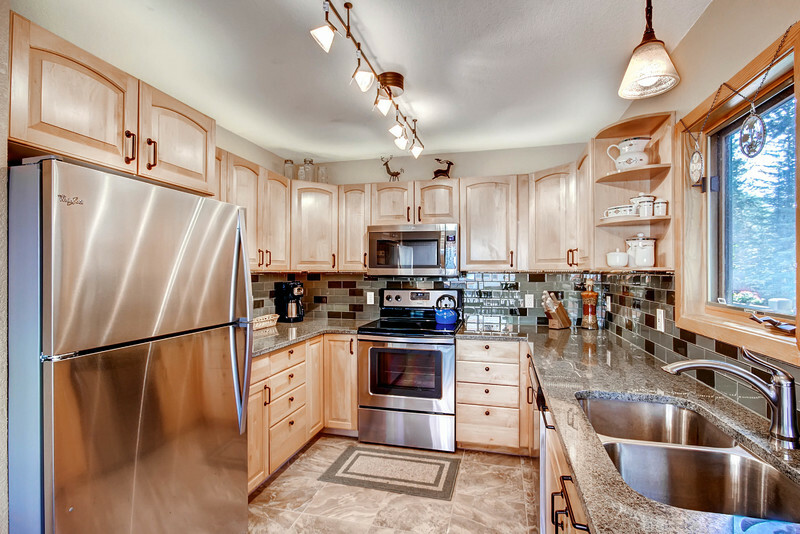 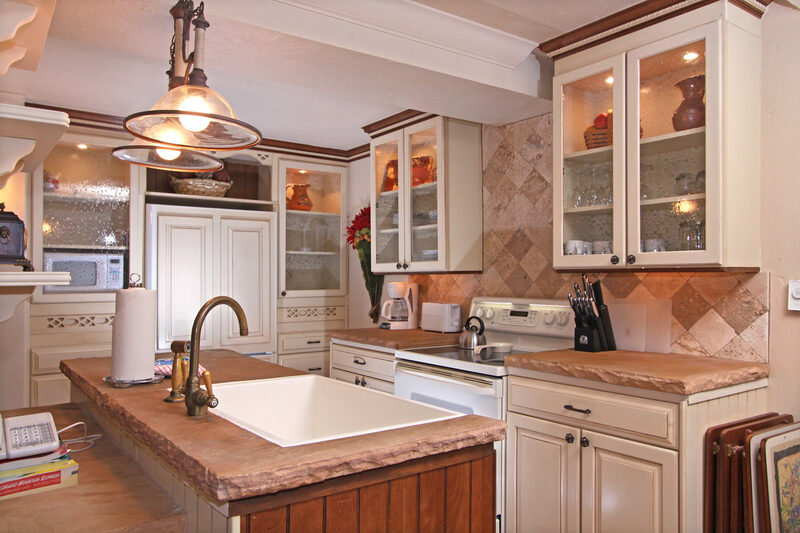 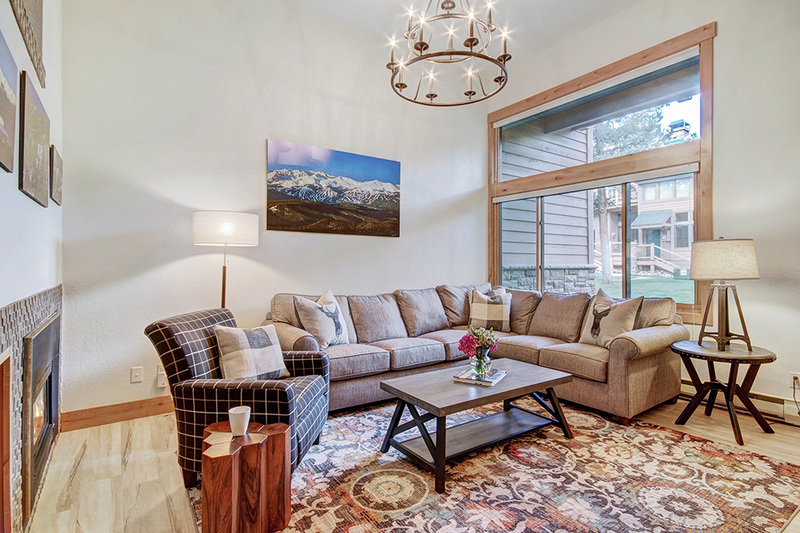 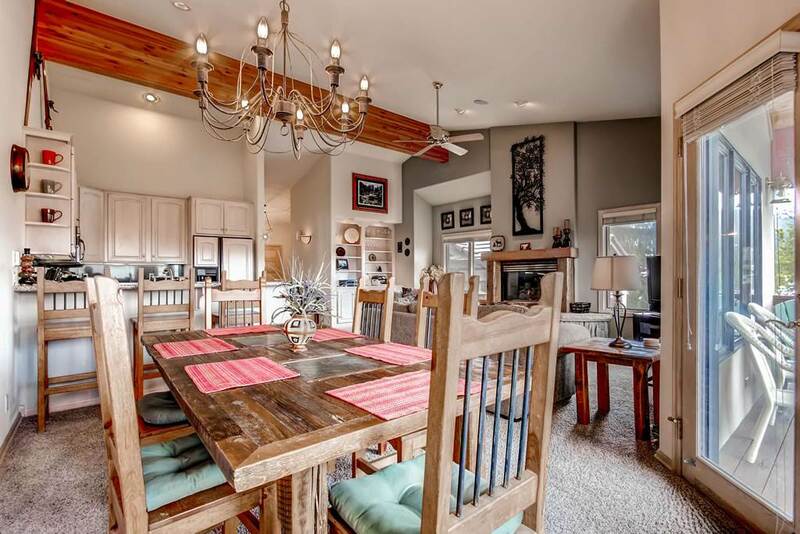 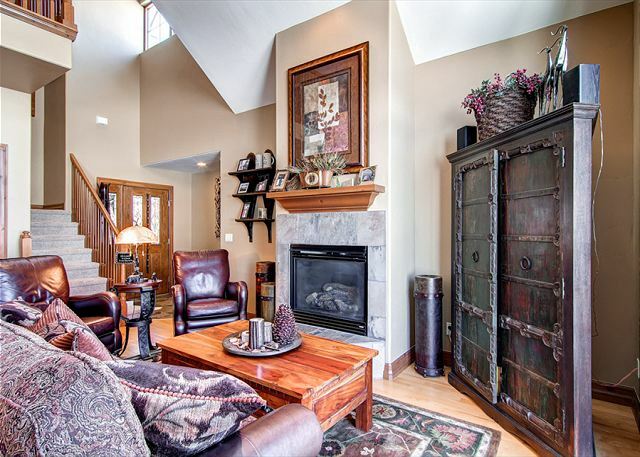 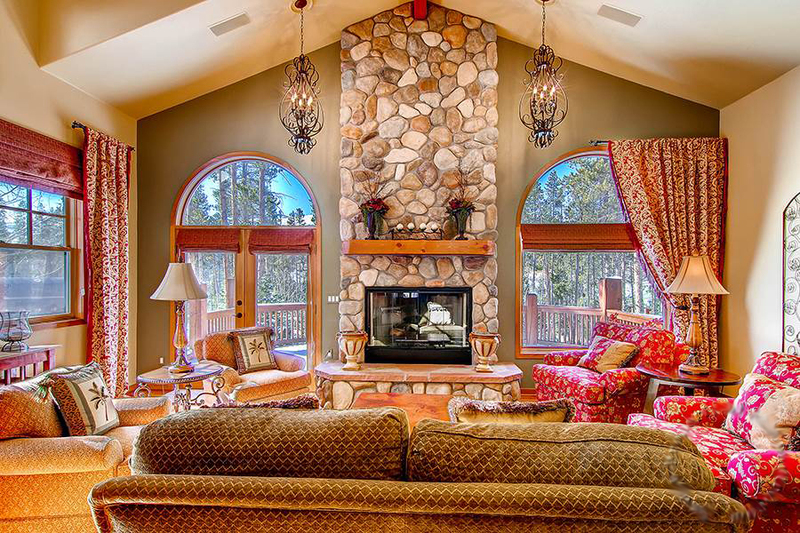 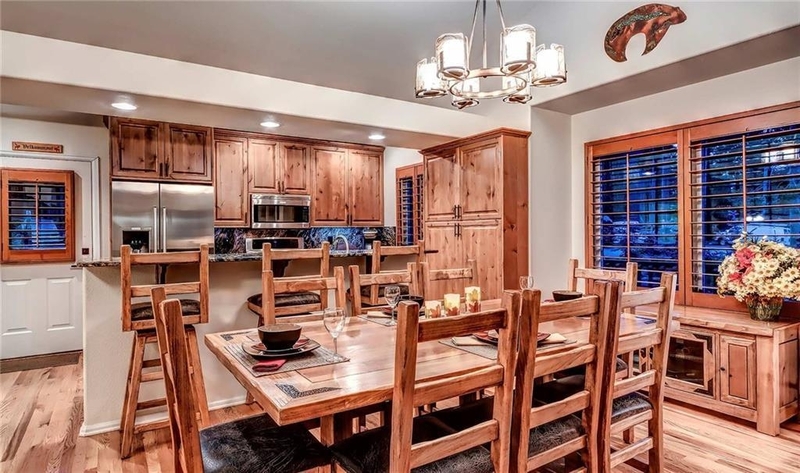 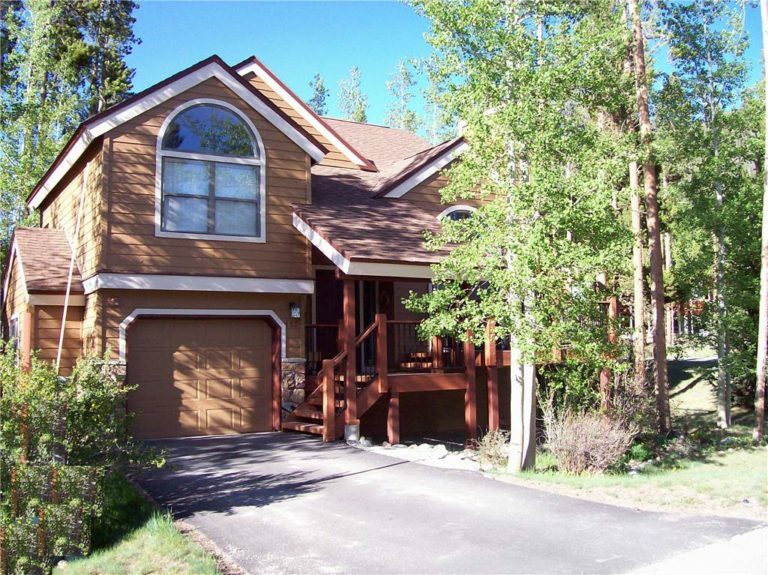 The Summit Sanctuary is a beautiful, newly remodeled home in Breckenridge. 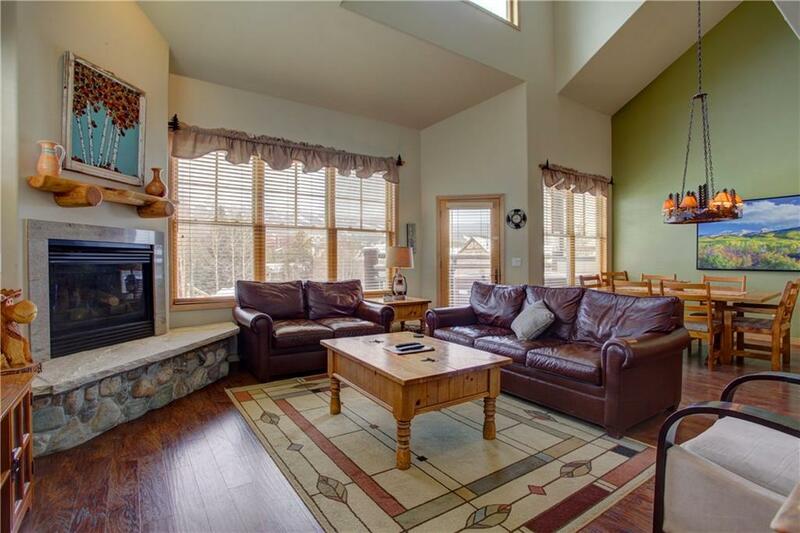 This premium 5-bedroom, 4.5-bathroom home is great for multiple families or large groups up to 16. 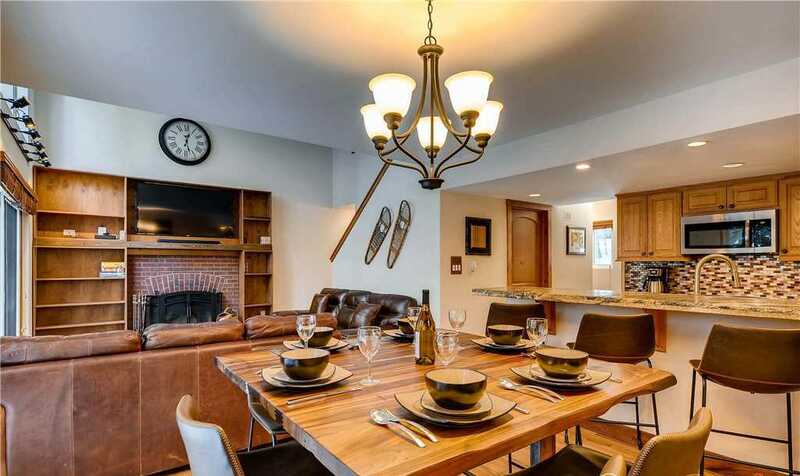 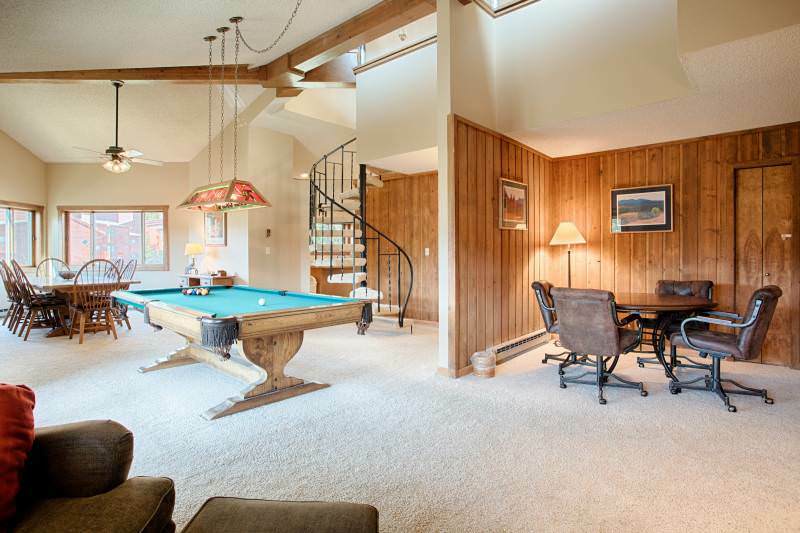 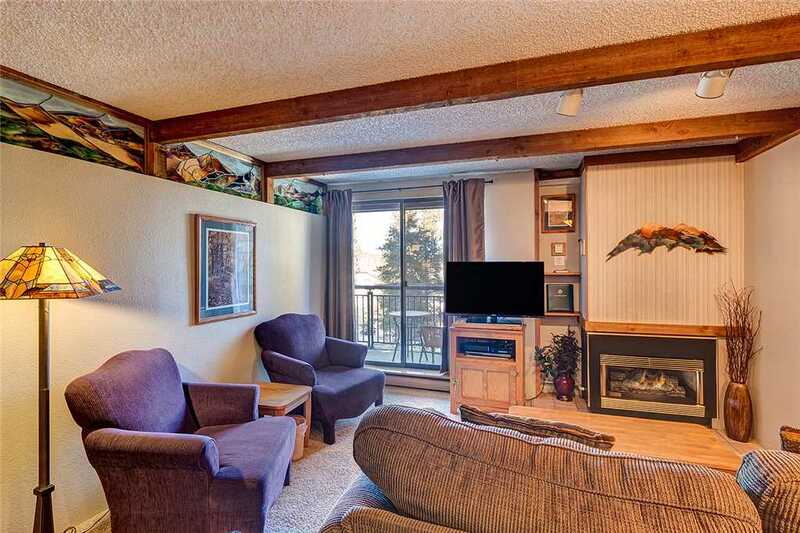 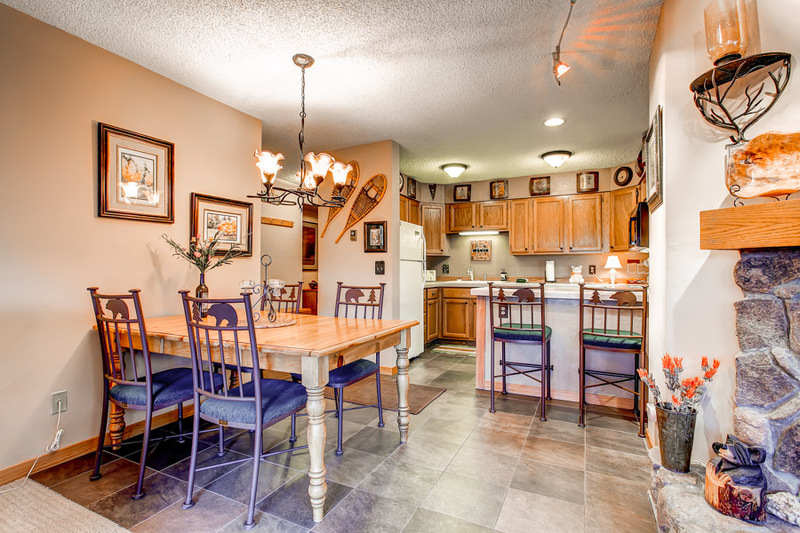 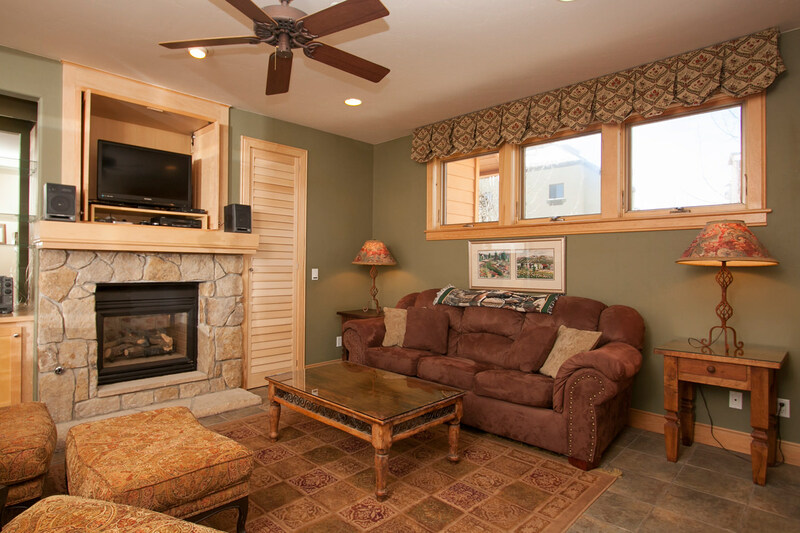 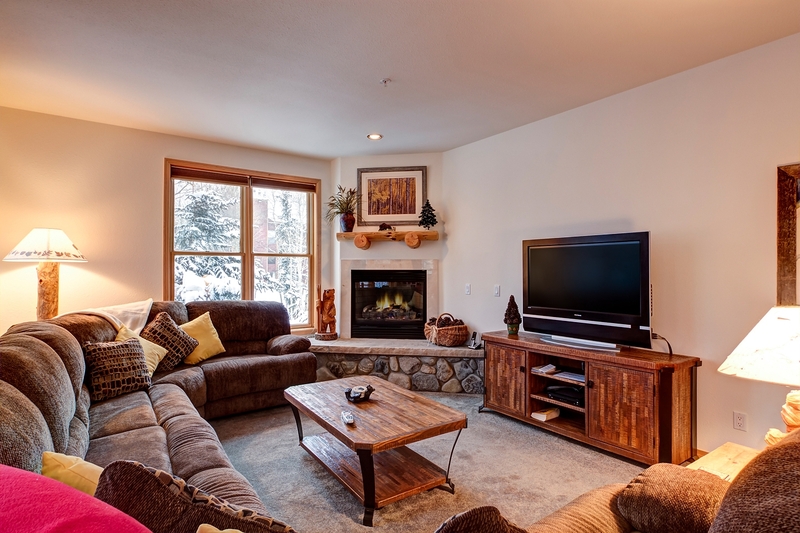 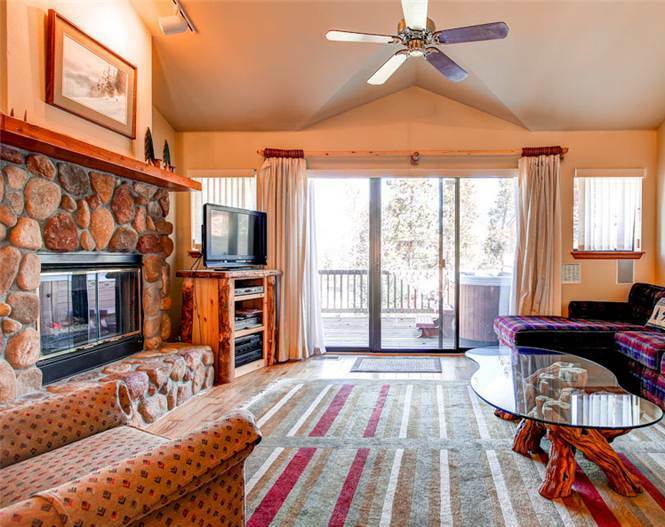 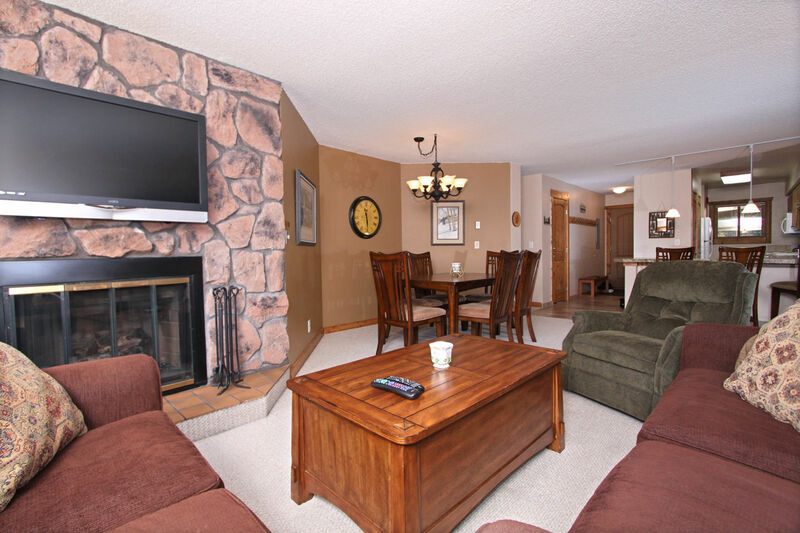 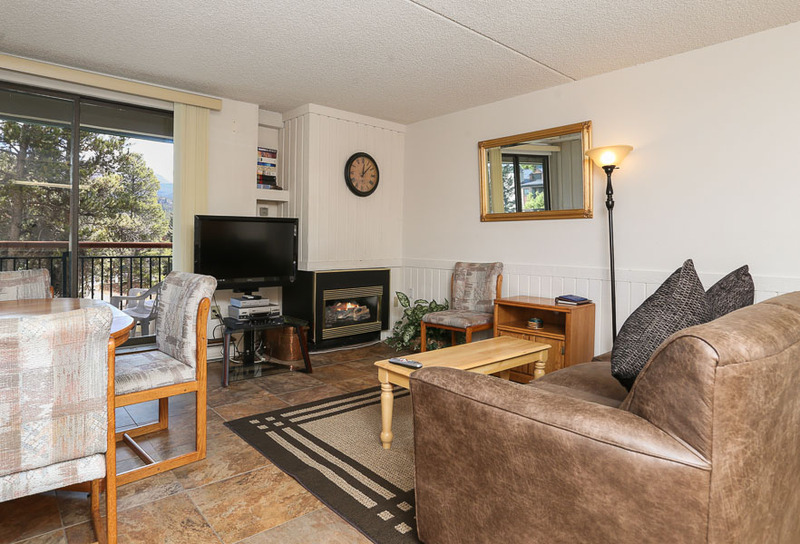 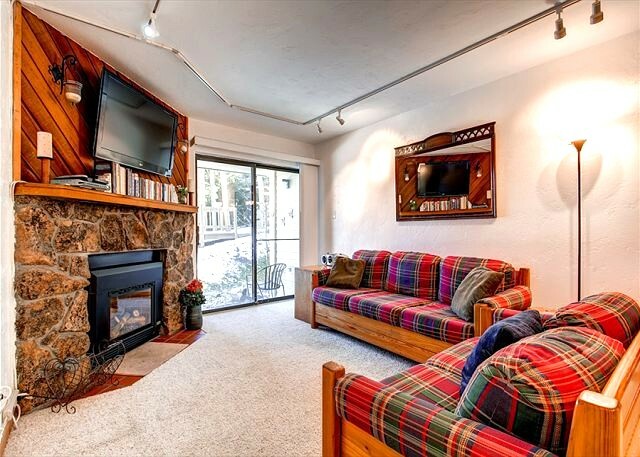 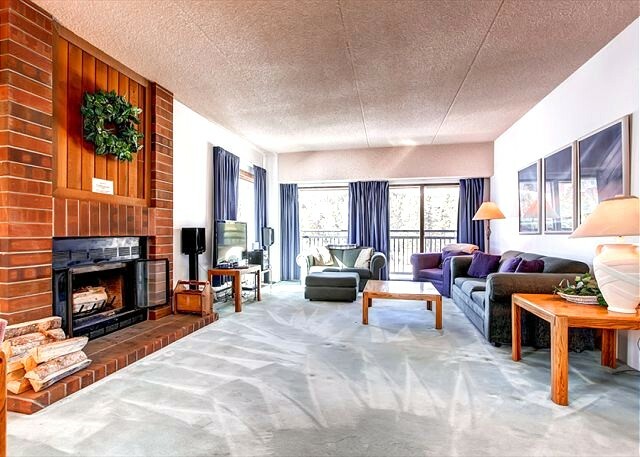 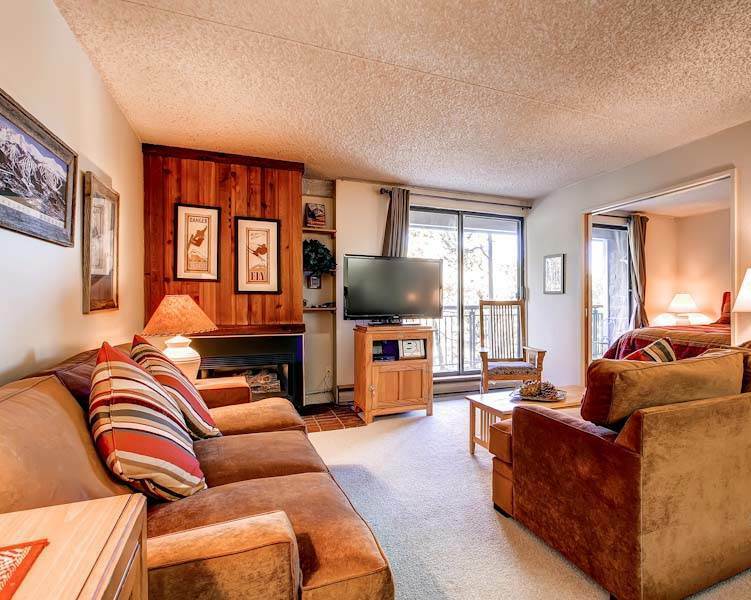 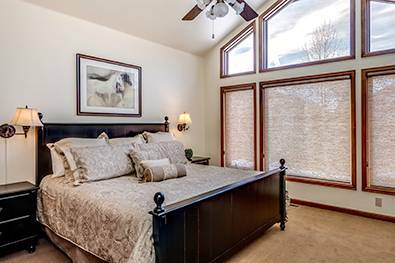 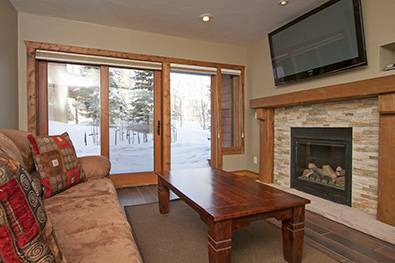 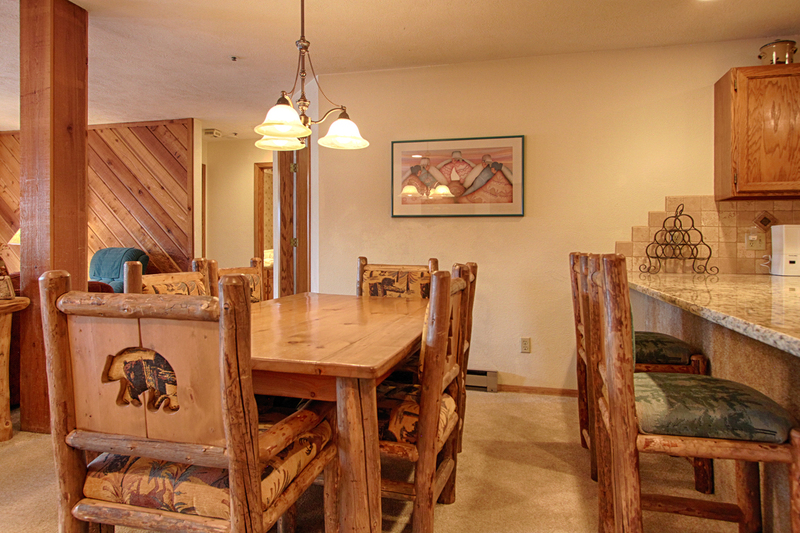 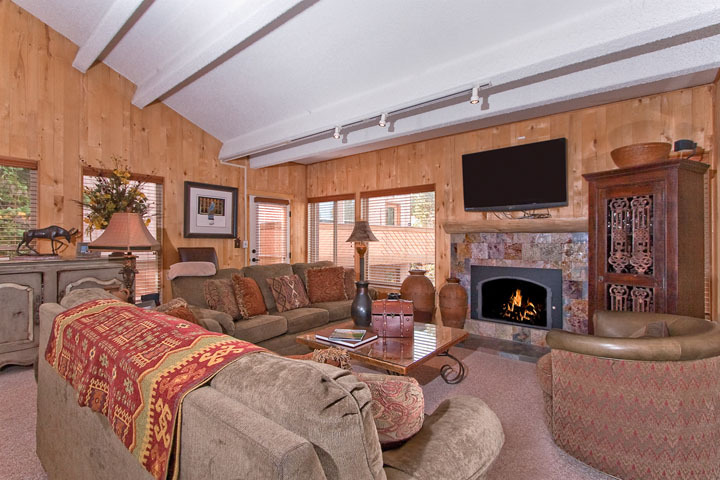 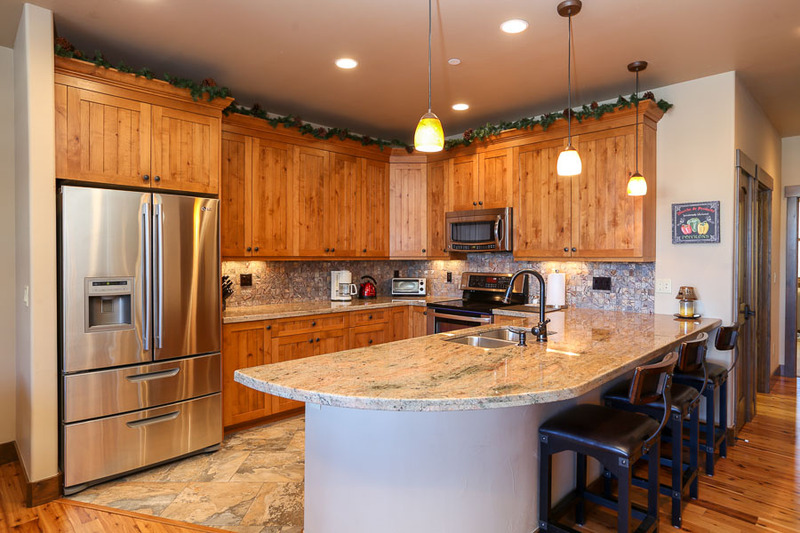 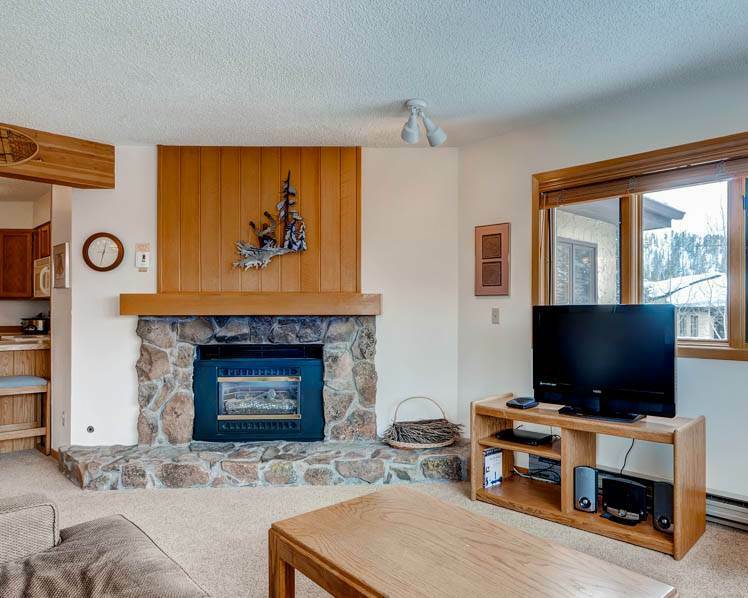 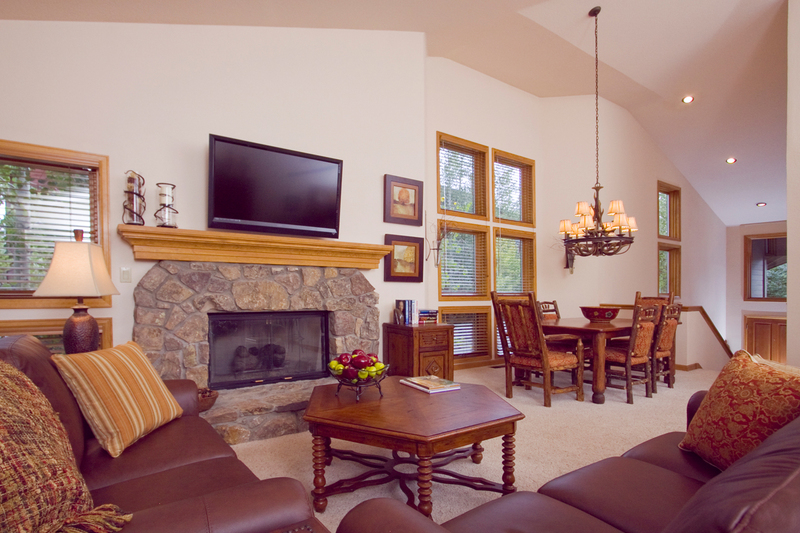 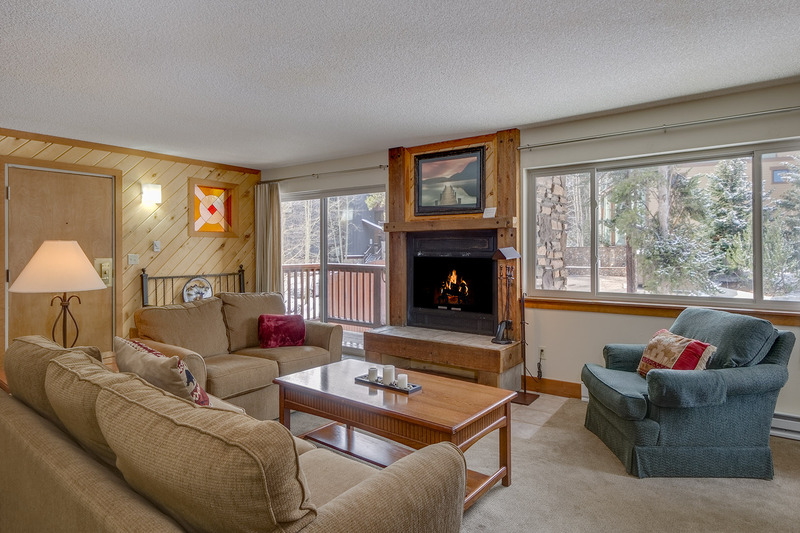 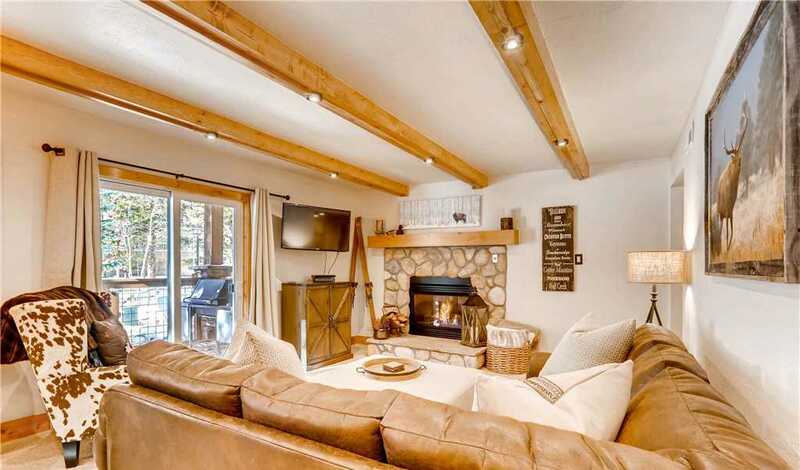 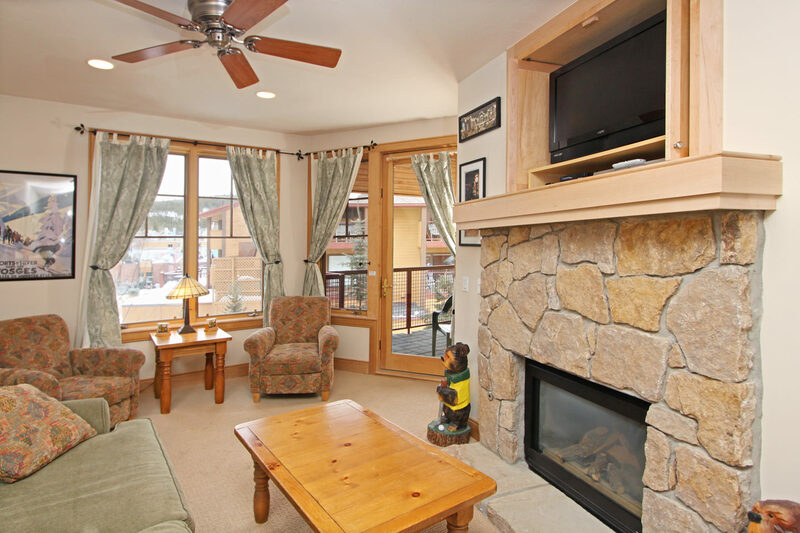 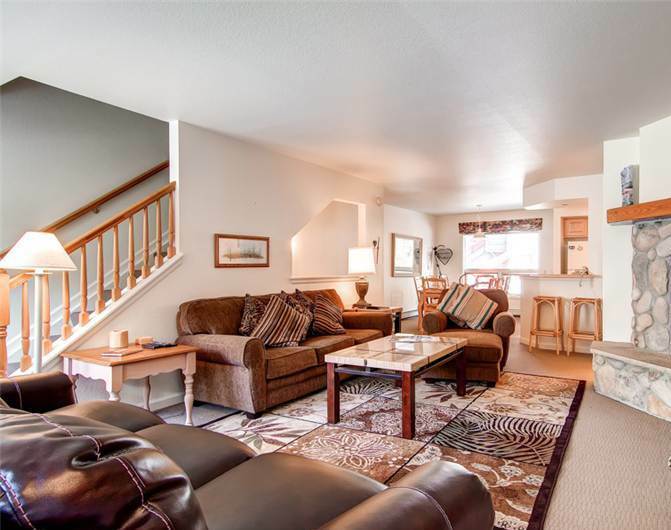 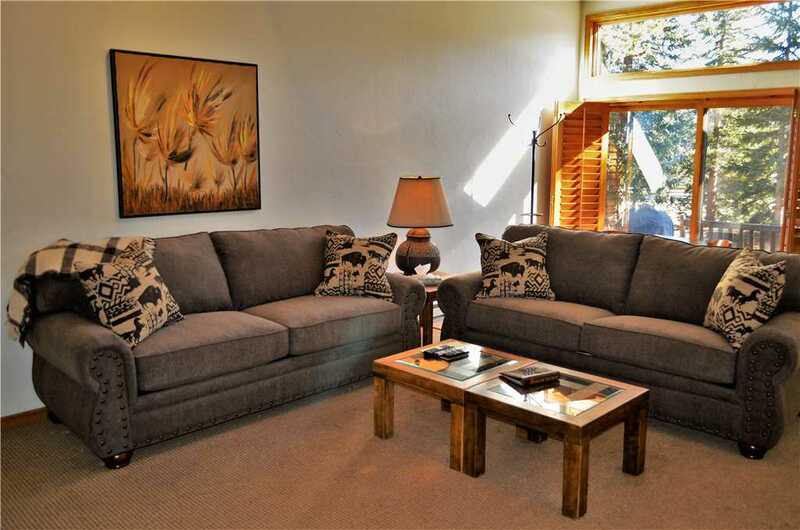 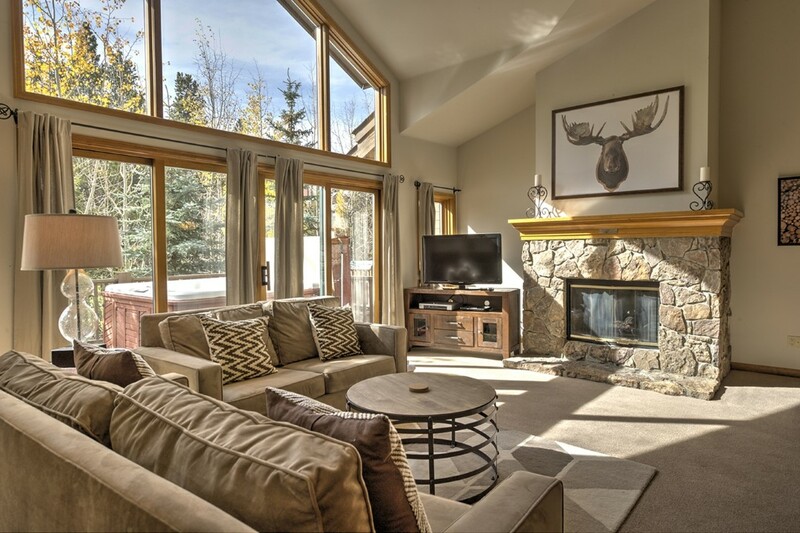 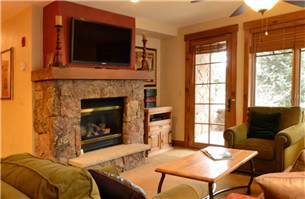 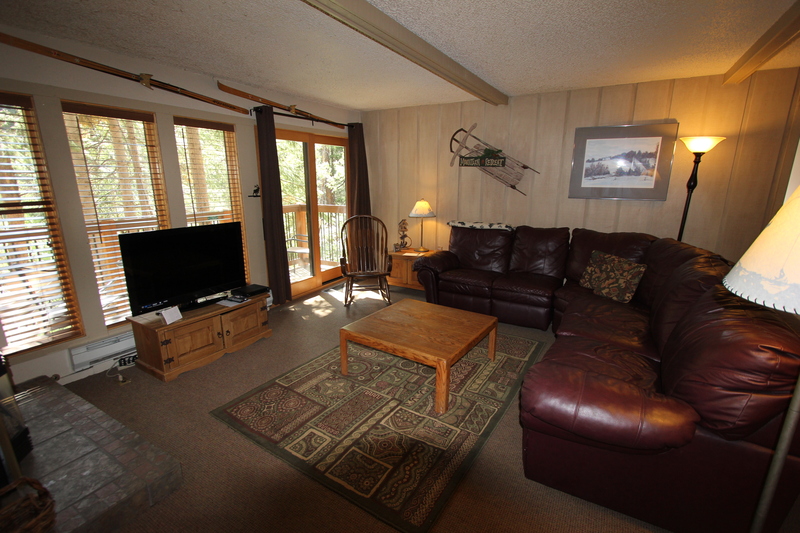 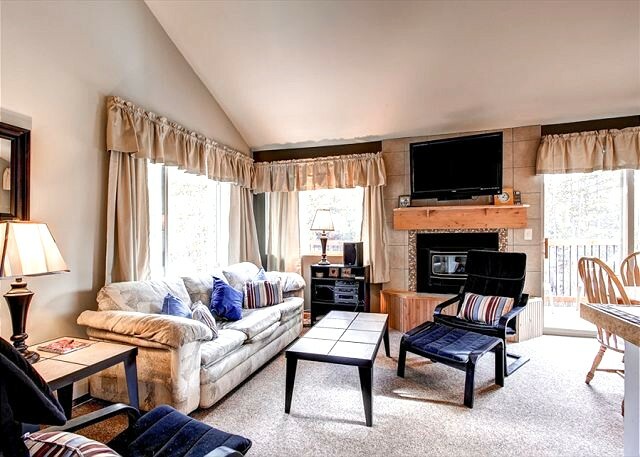 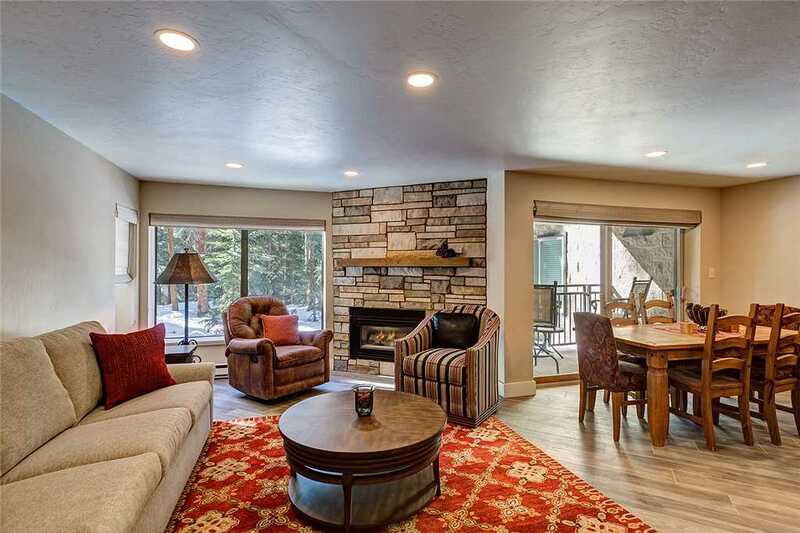 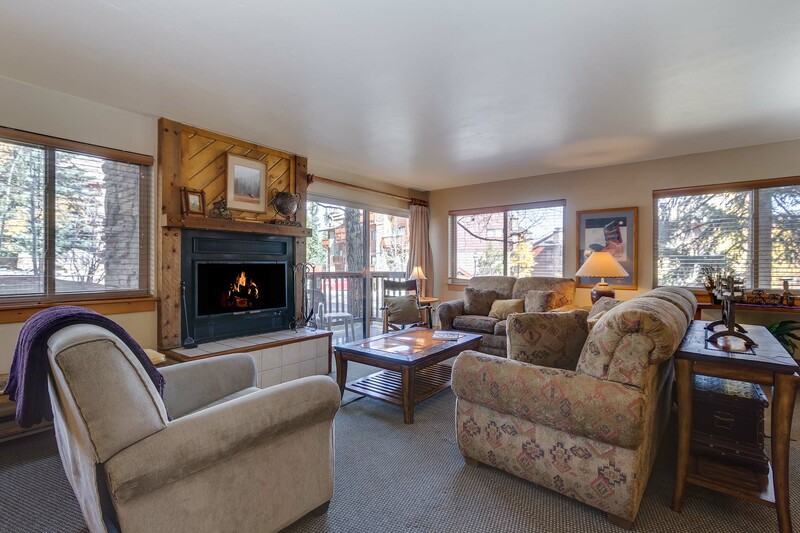 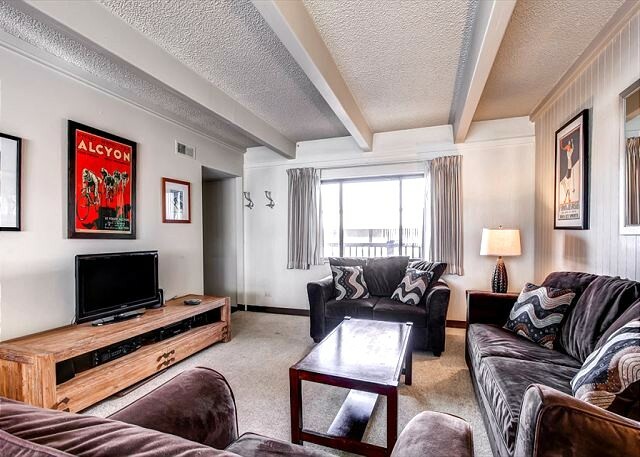 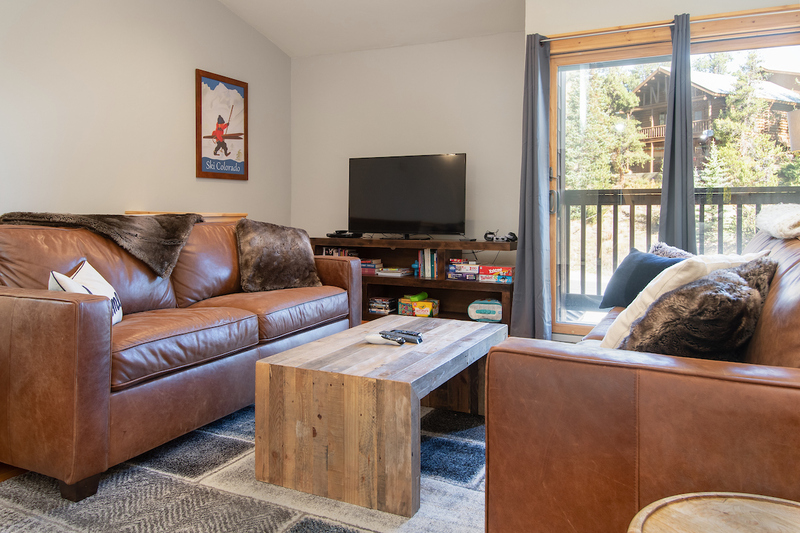 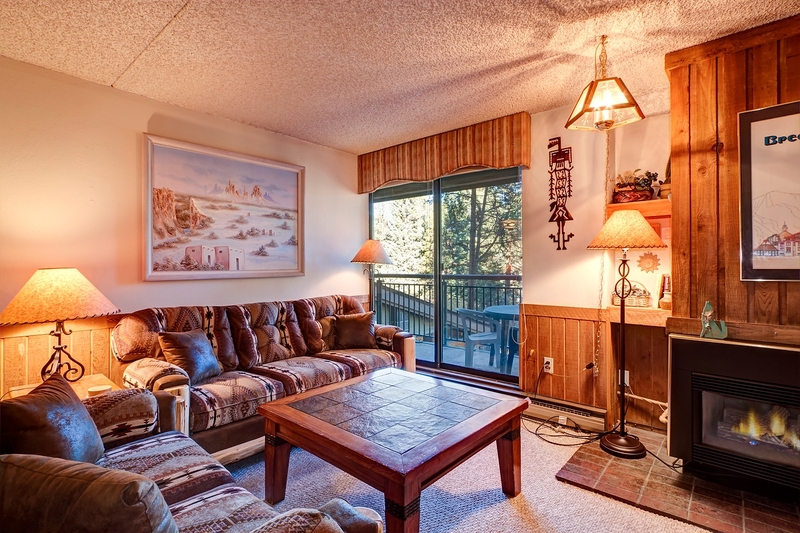 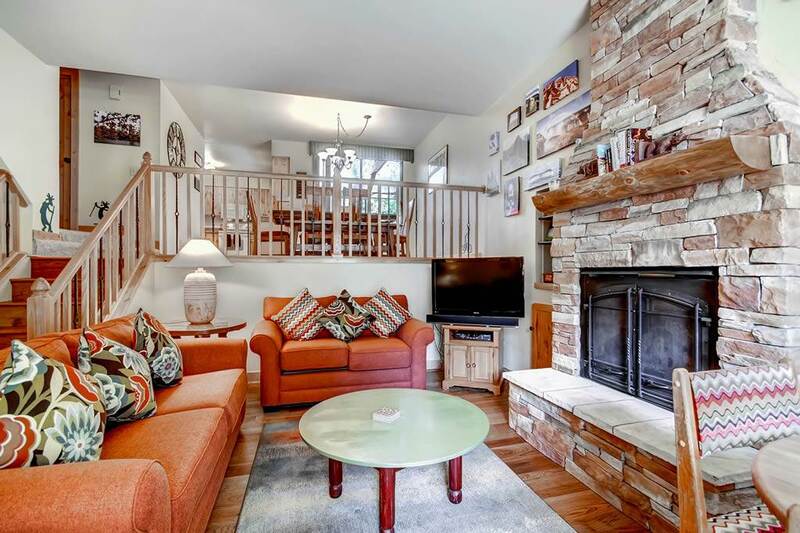 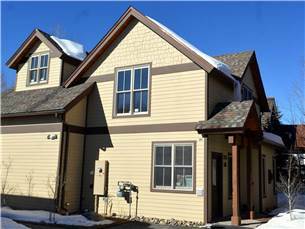 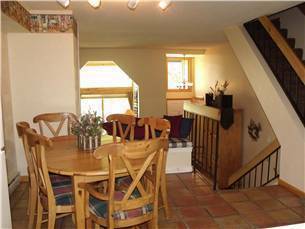 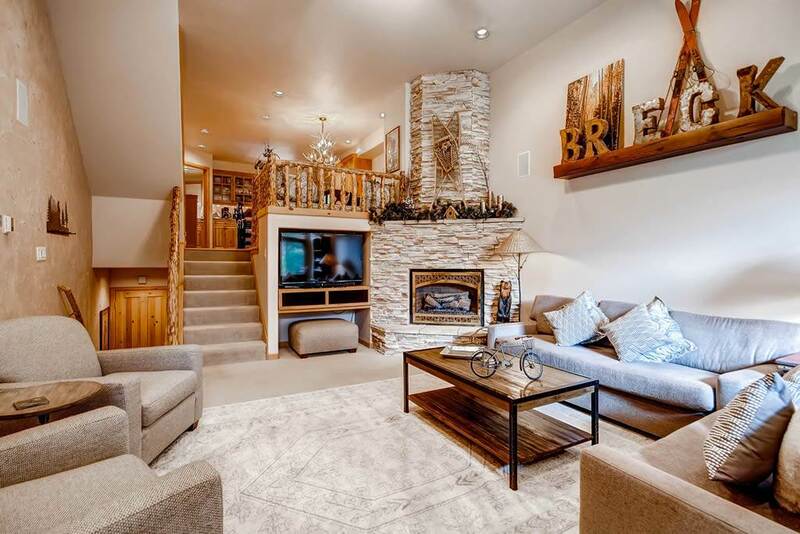 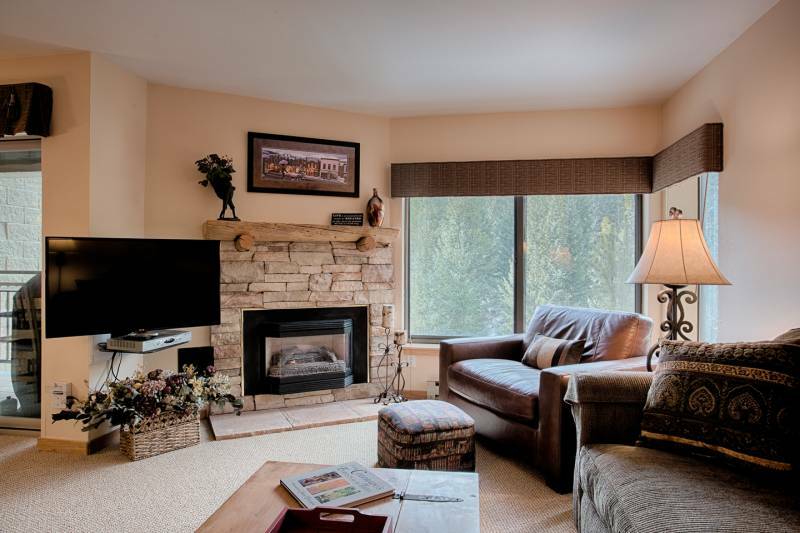 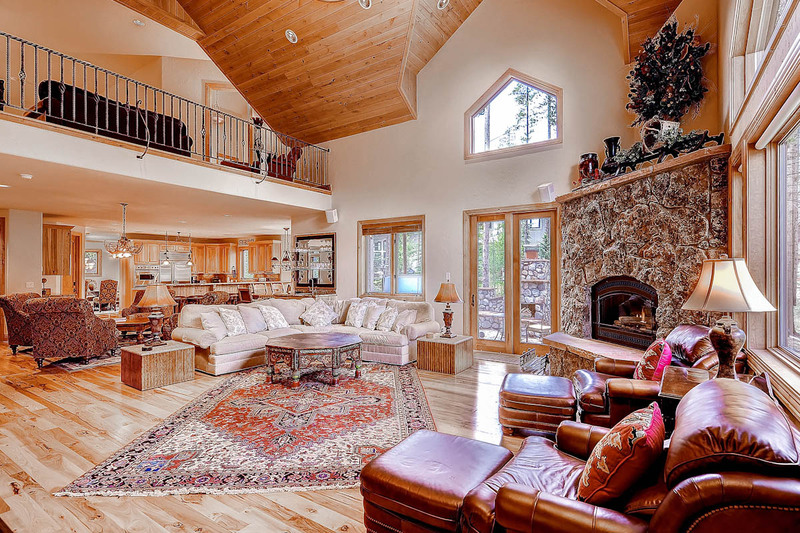 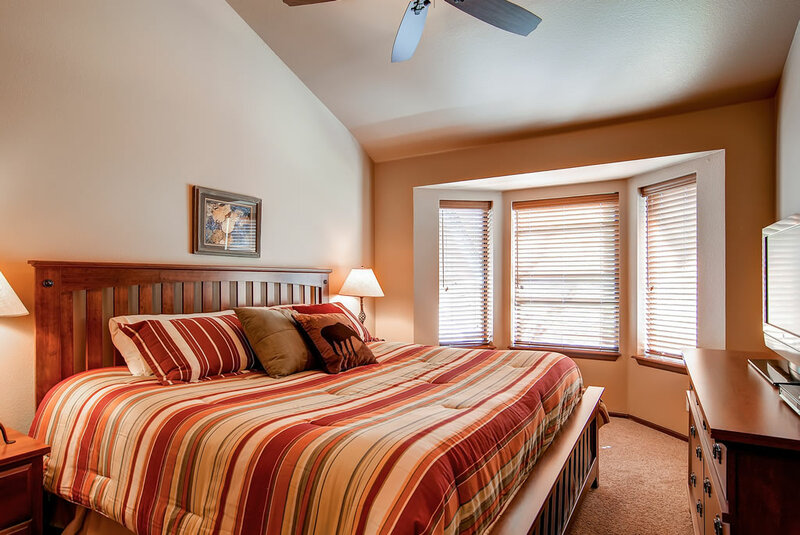 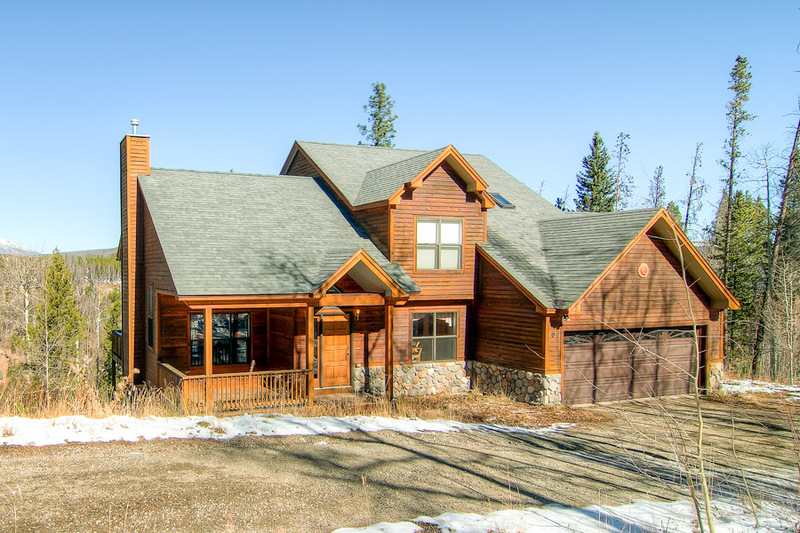 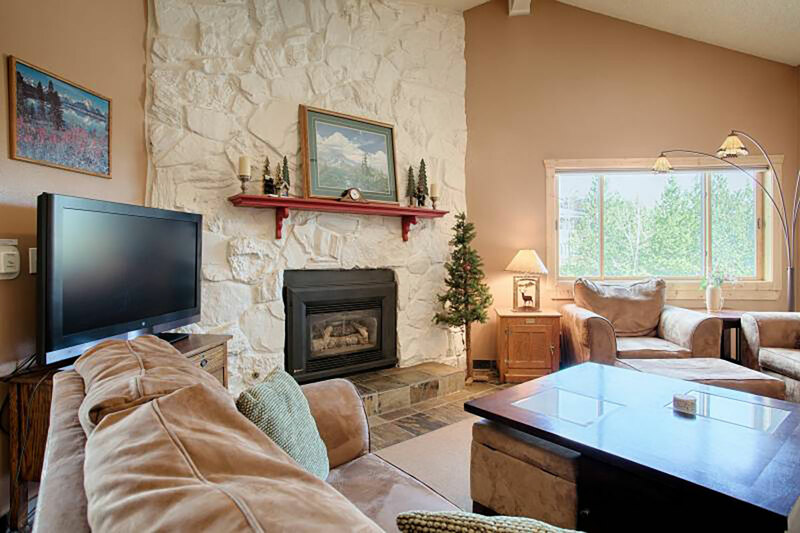 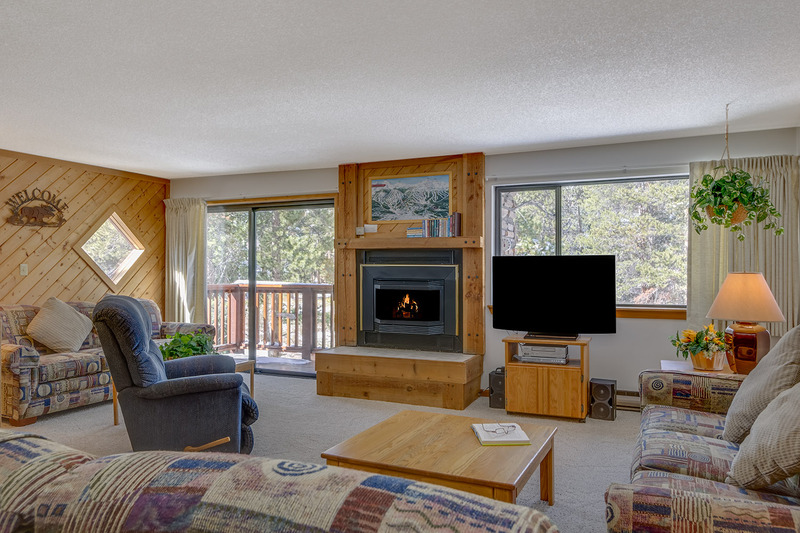 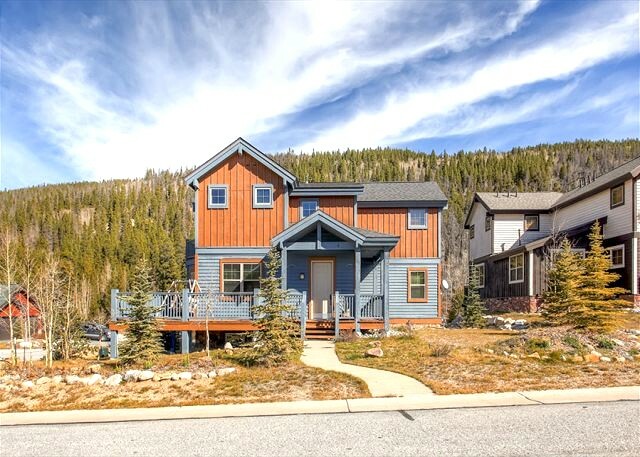 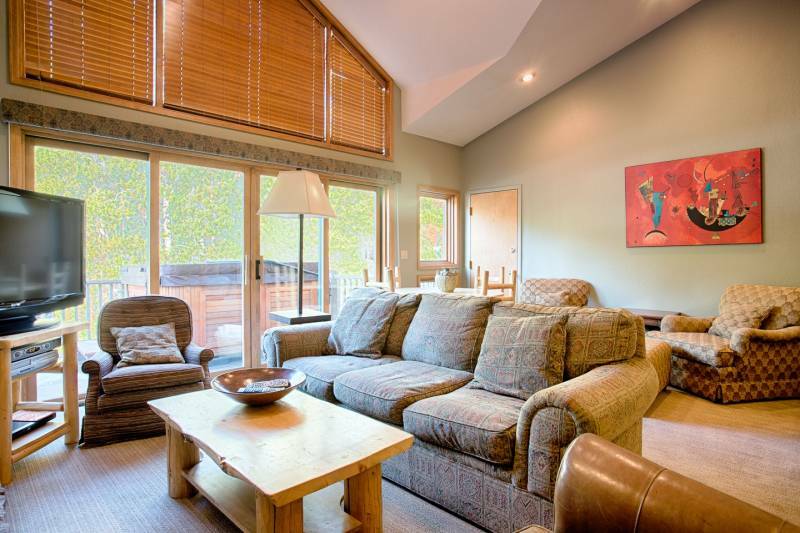 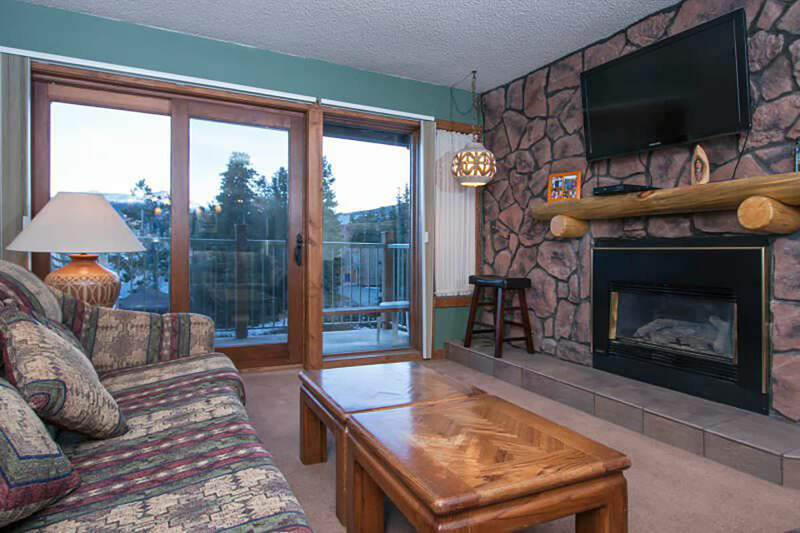 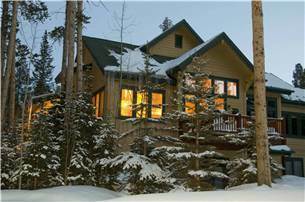 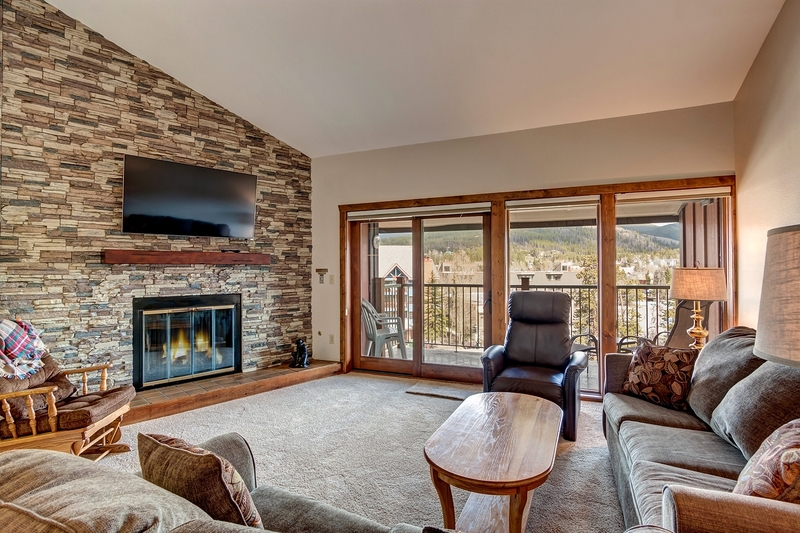 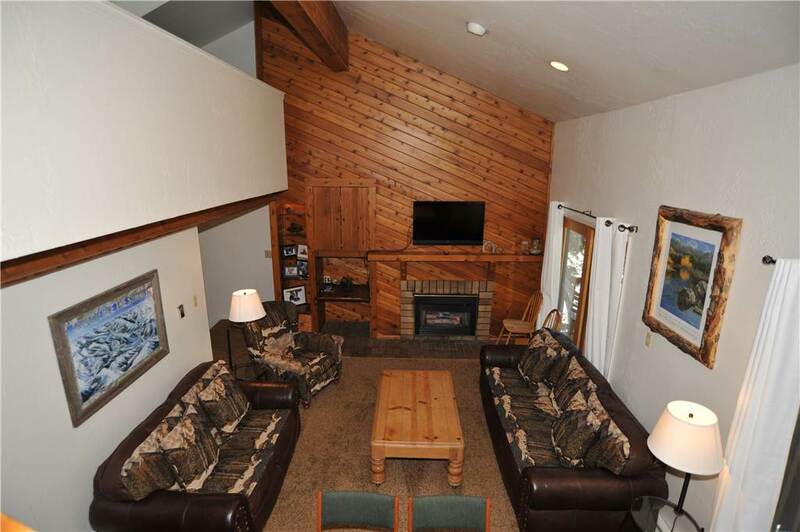 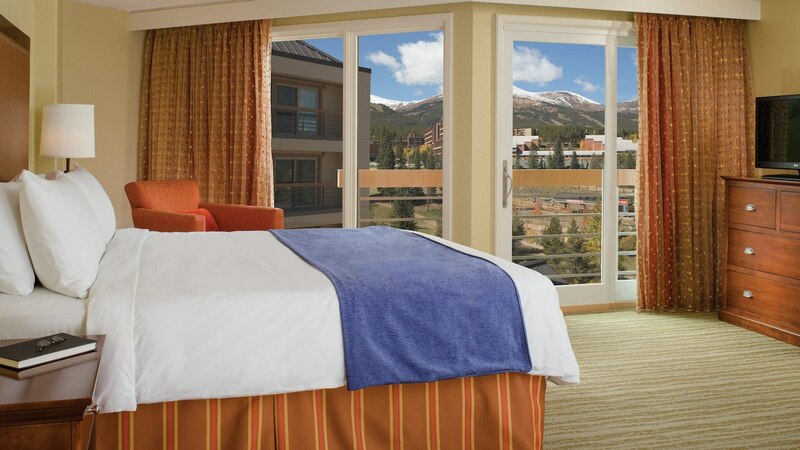 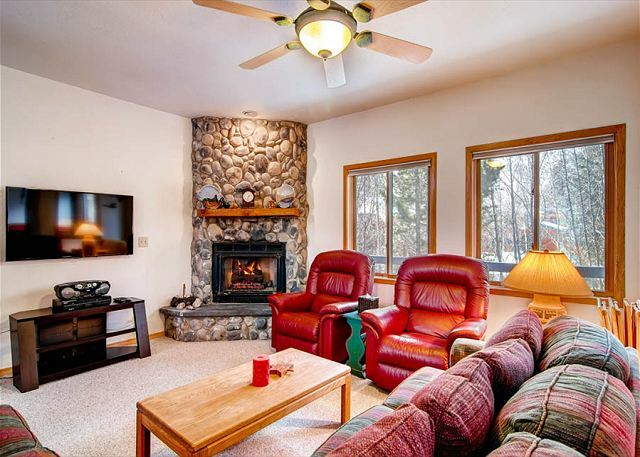 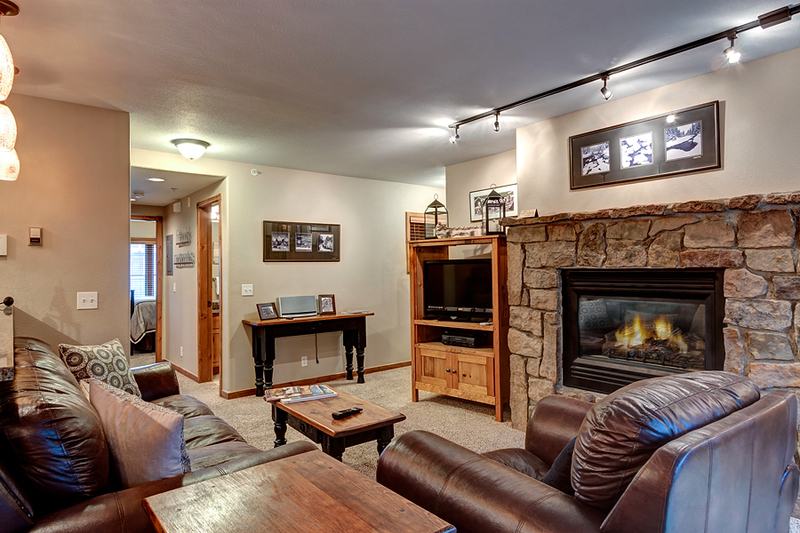 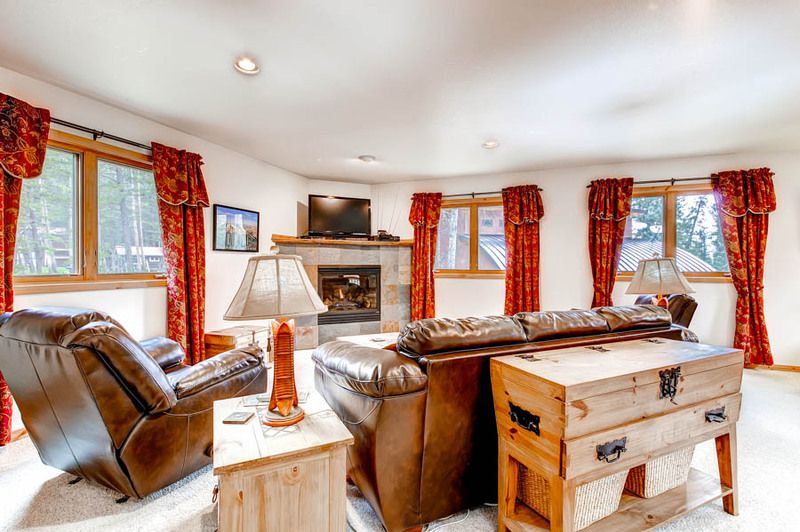 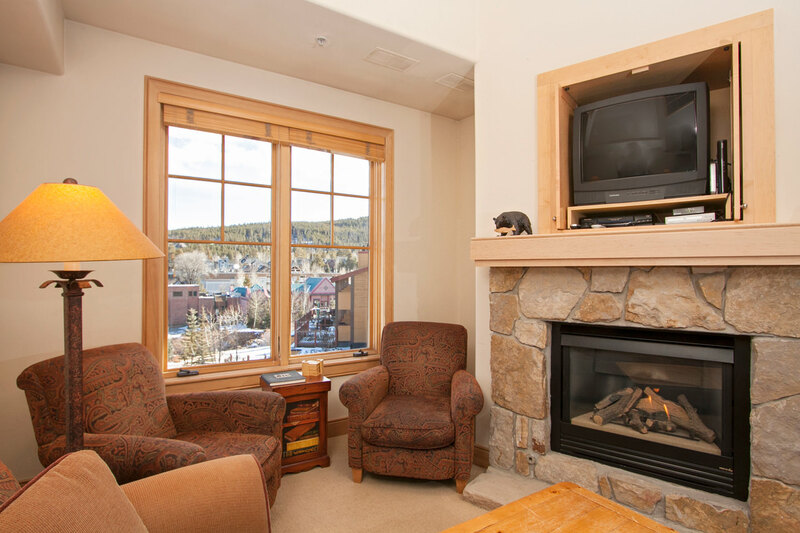 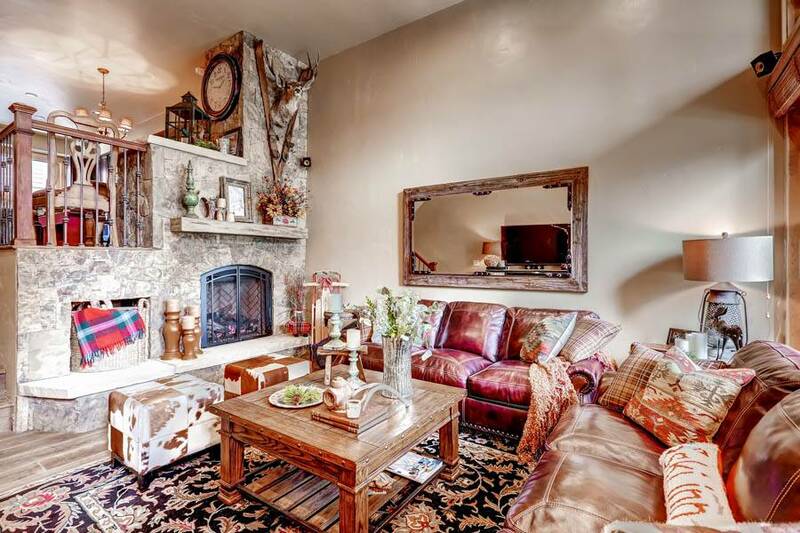 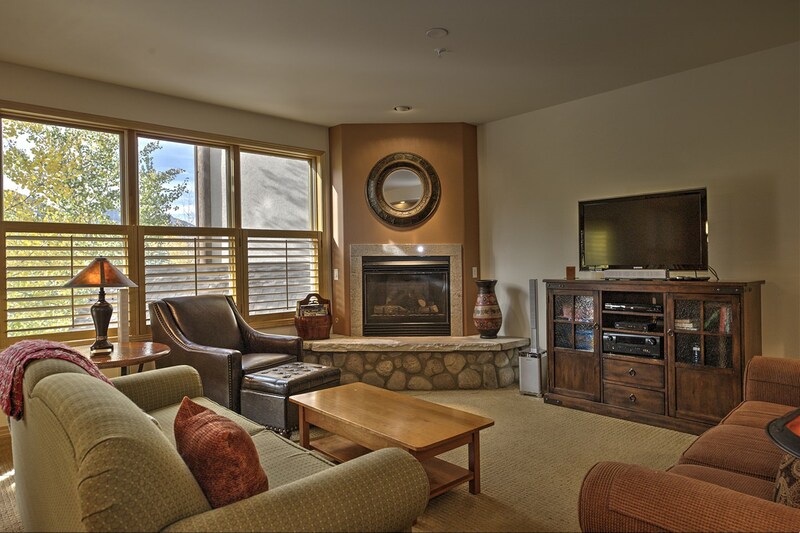 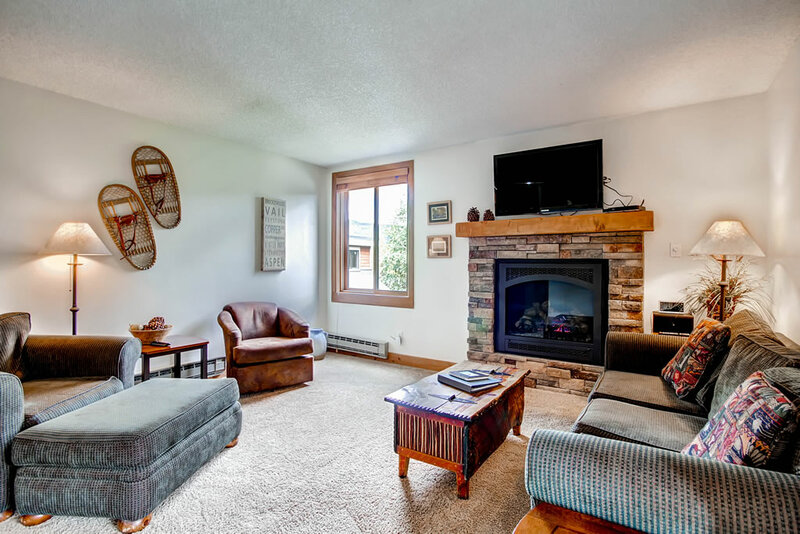 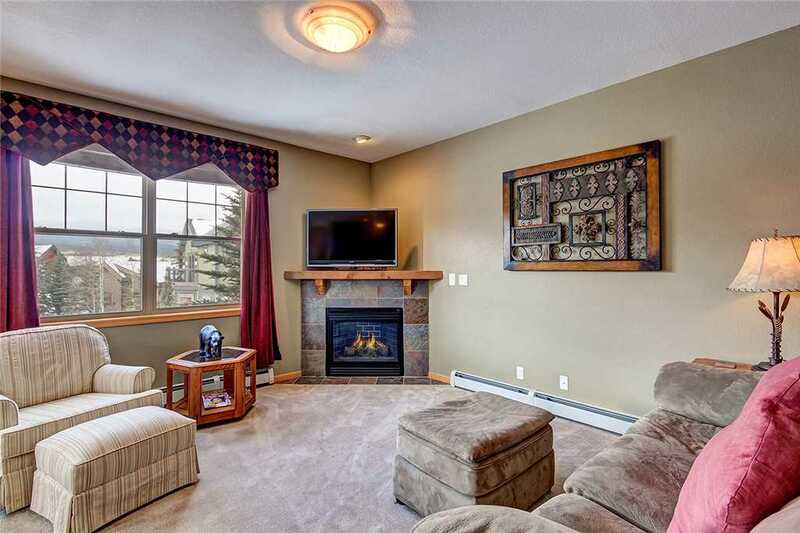 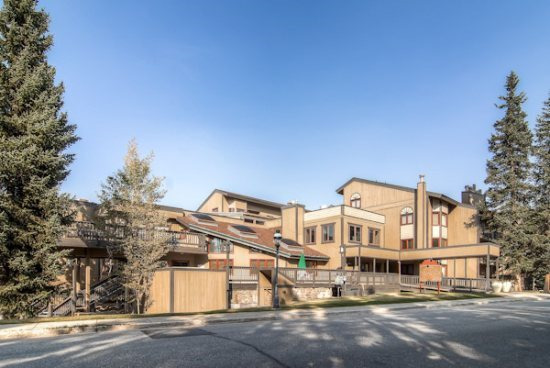 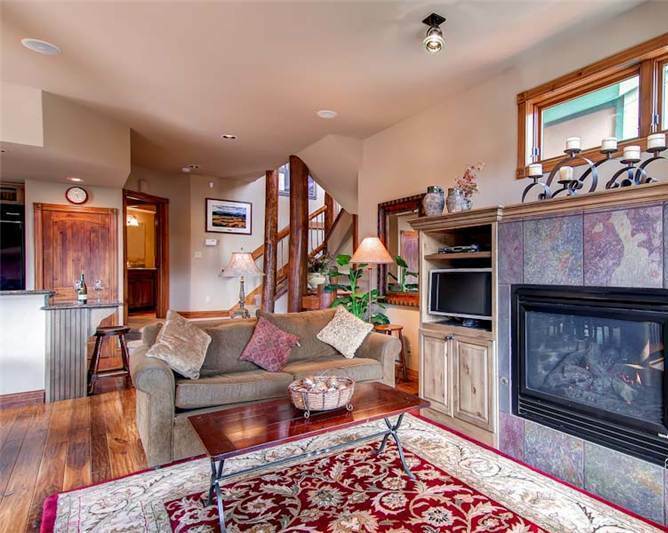 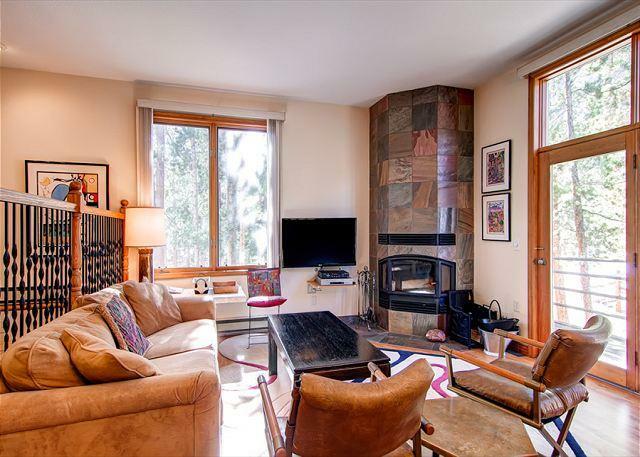 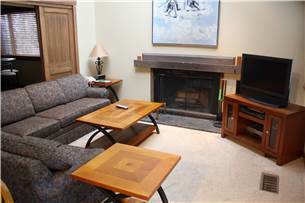 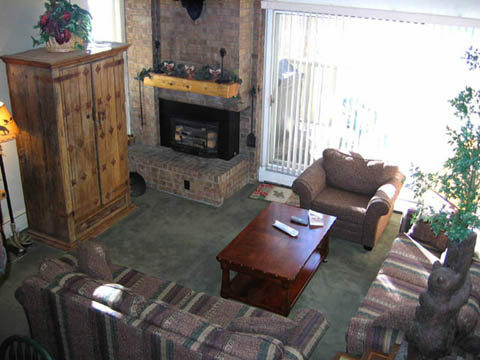 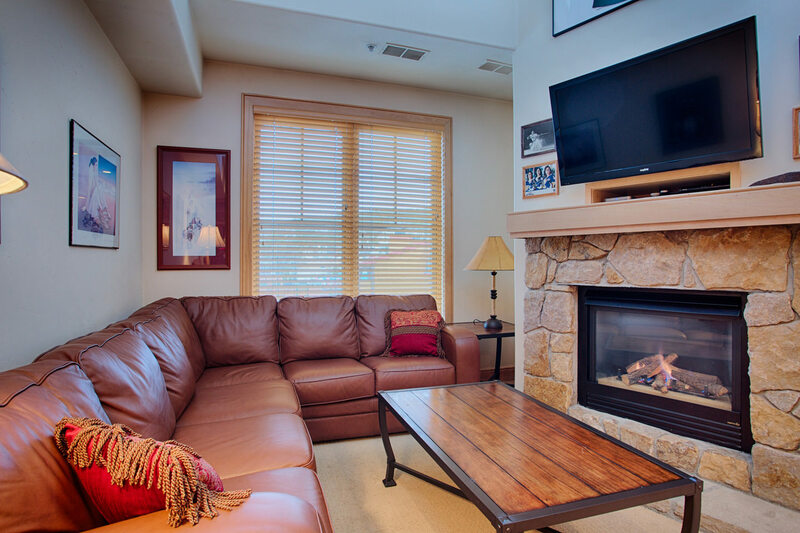 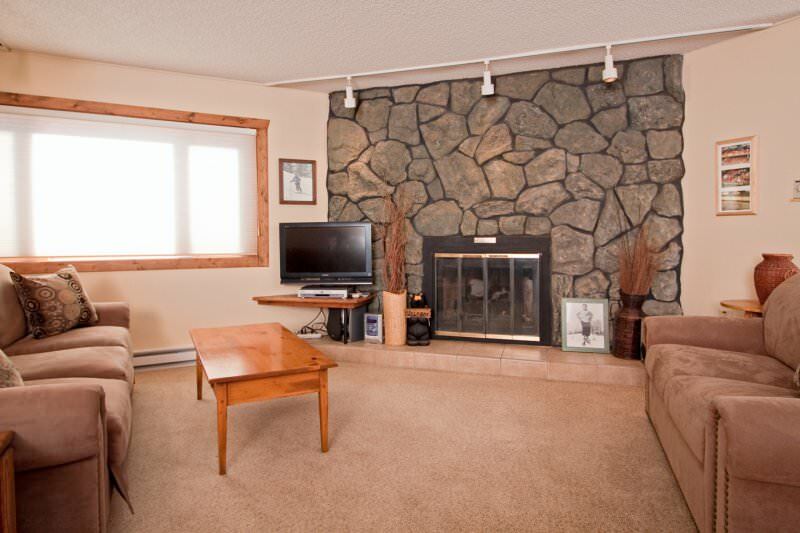 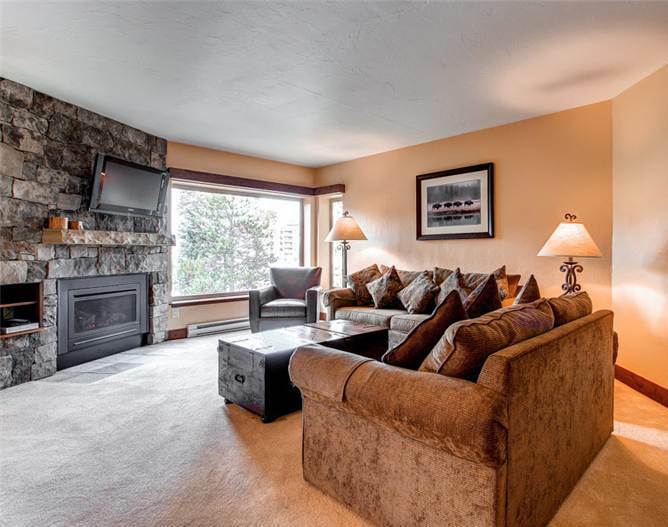 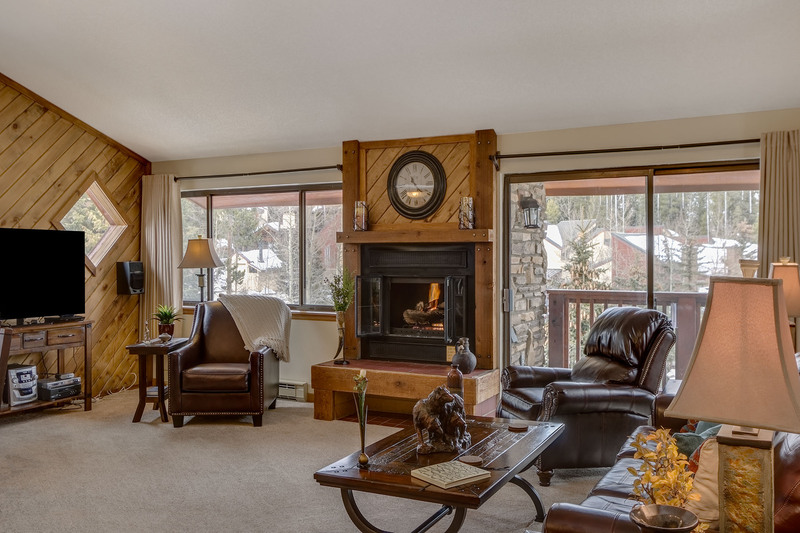 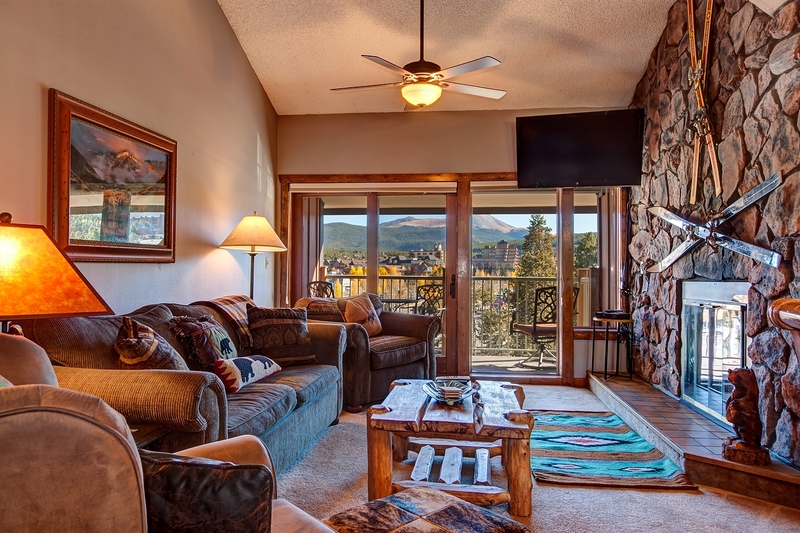 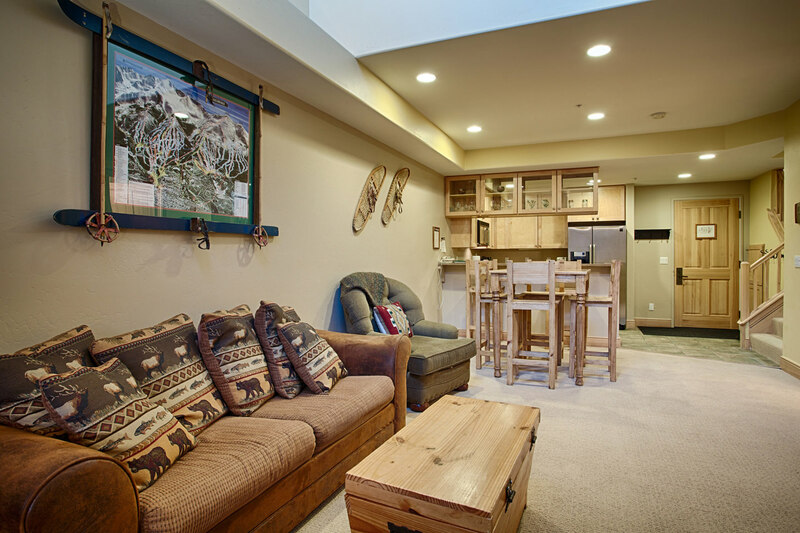 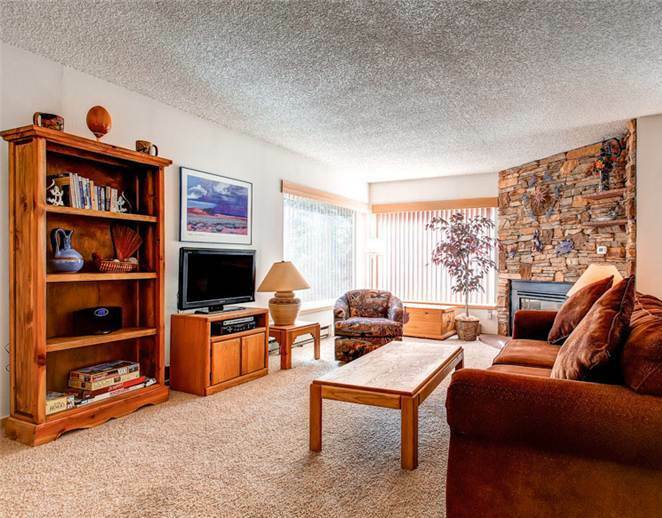 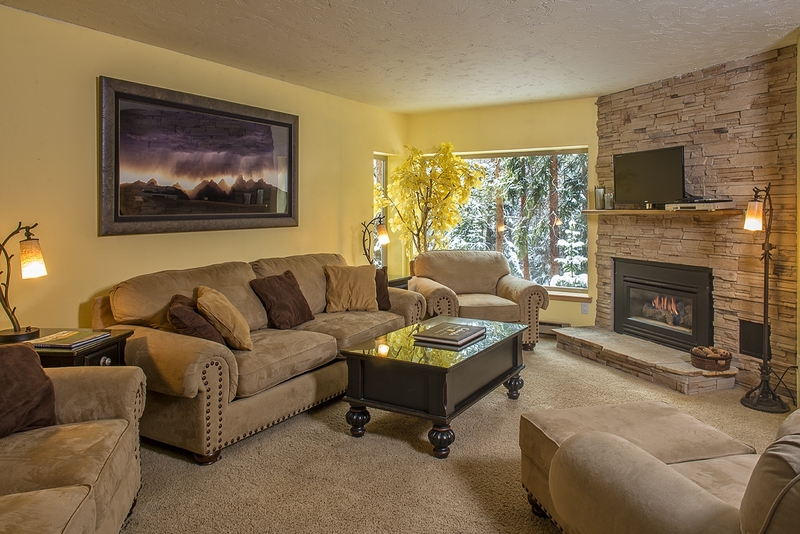 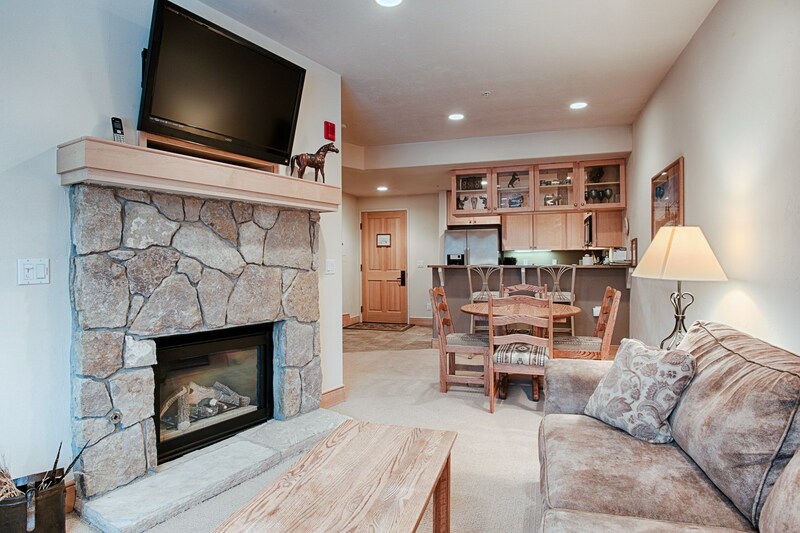 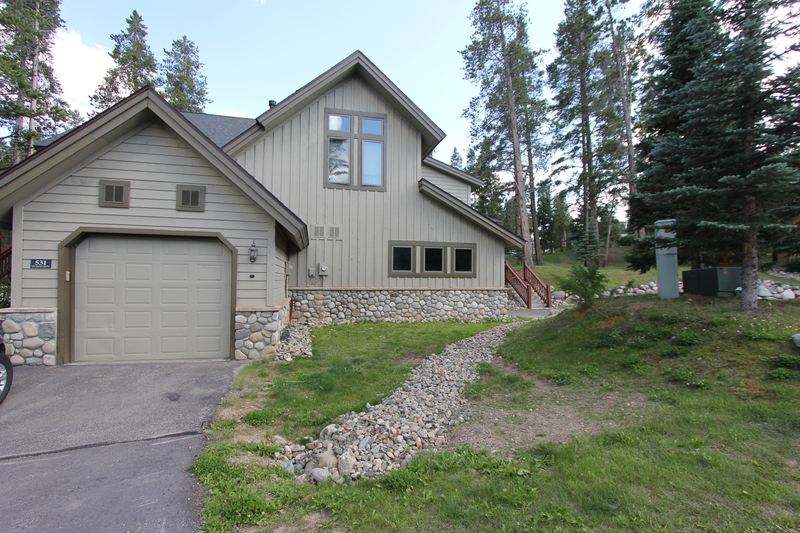 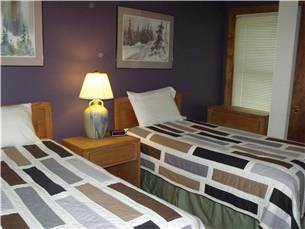 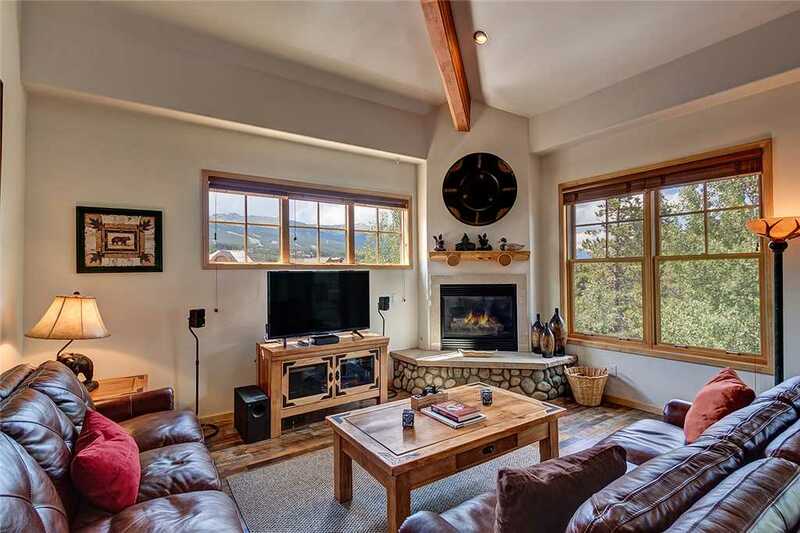 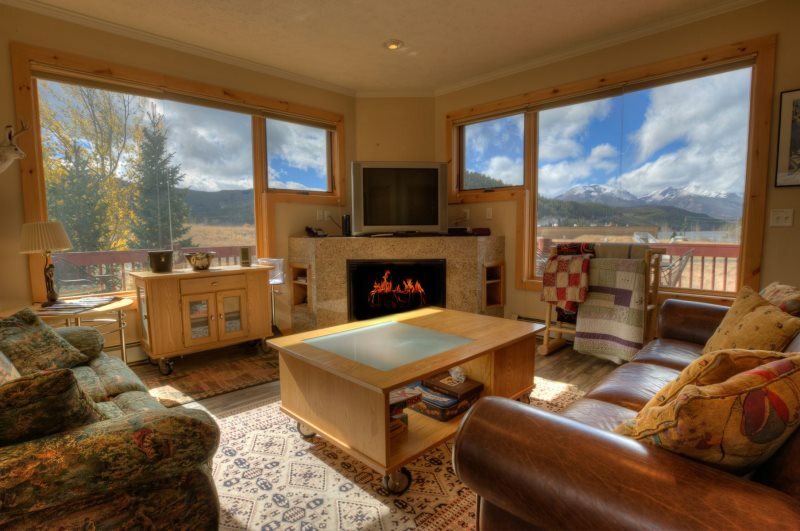 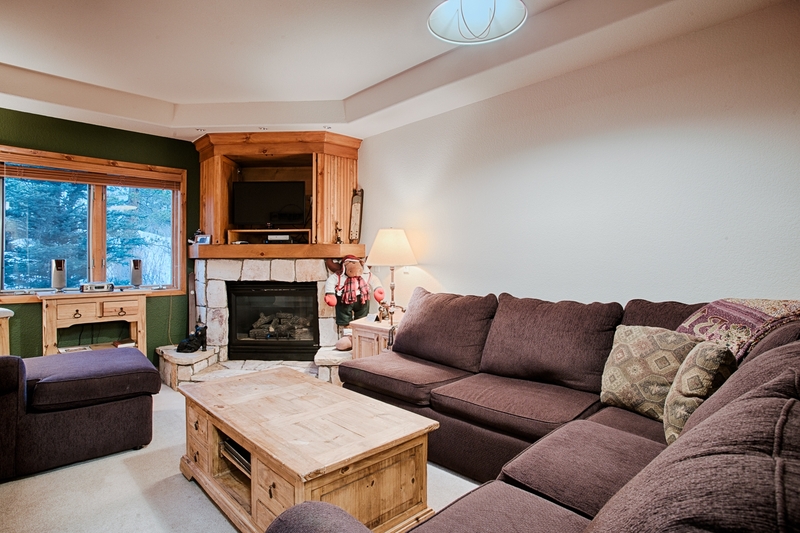 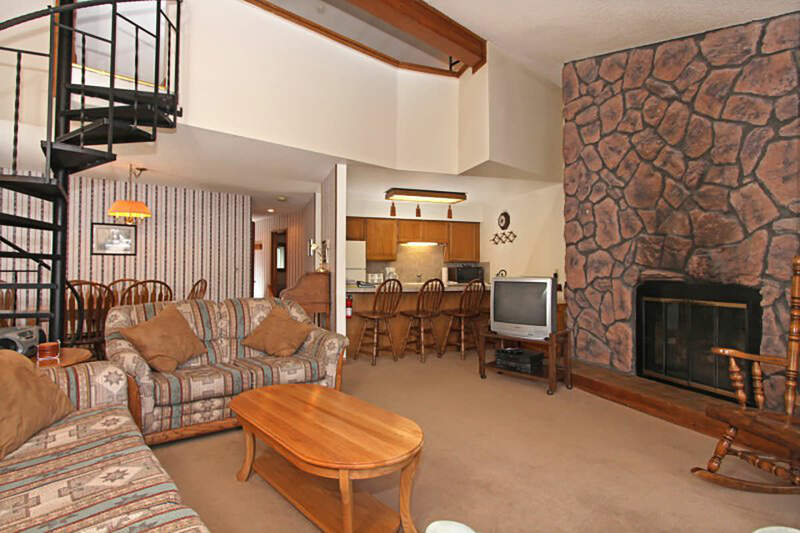 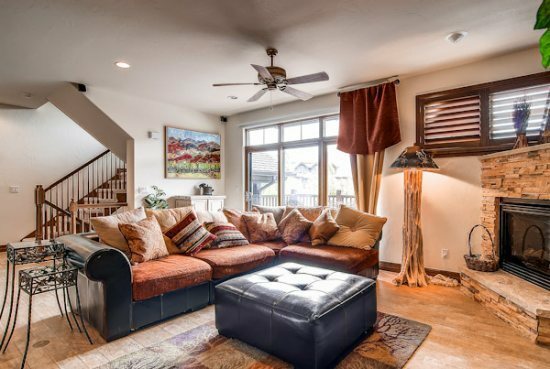 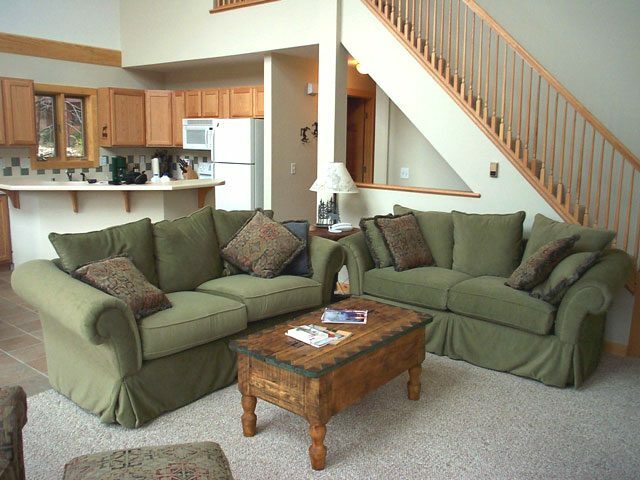 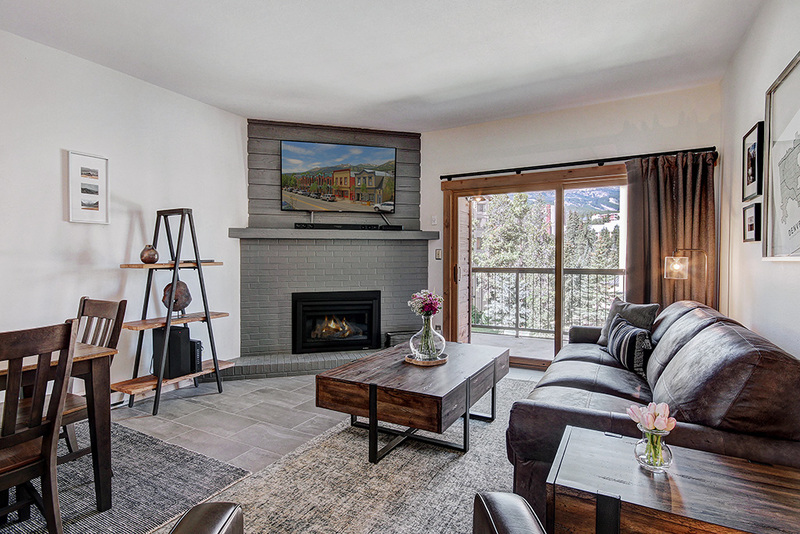 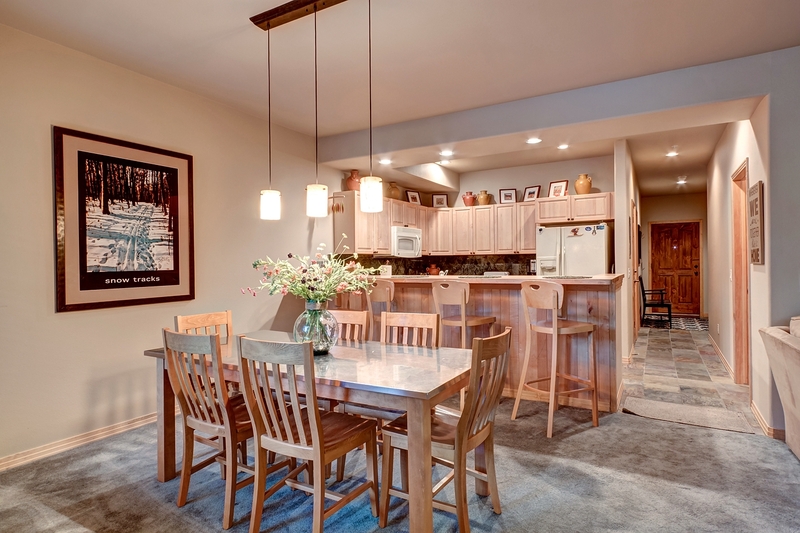 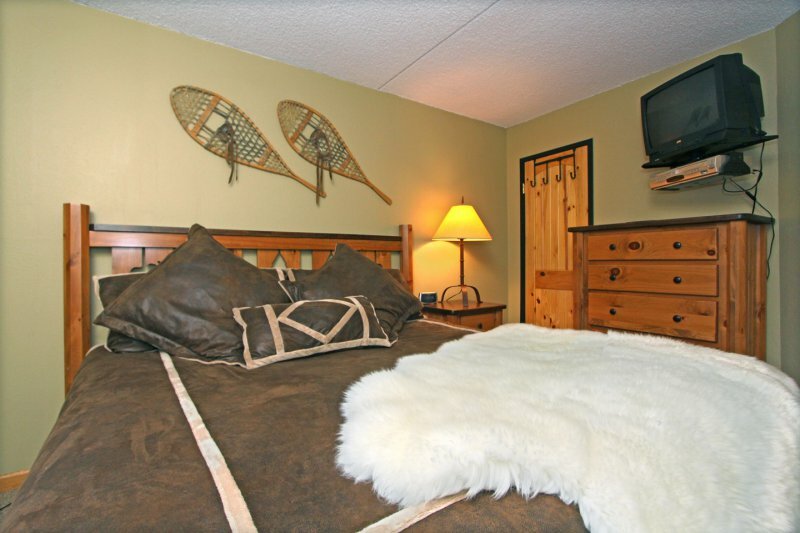 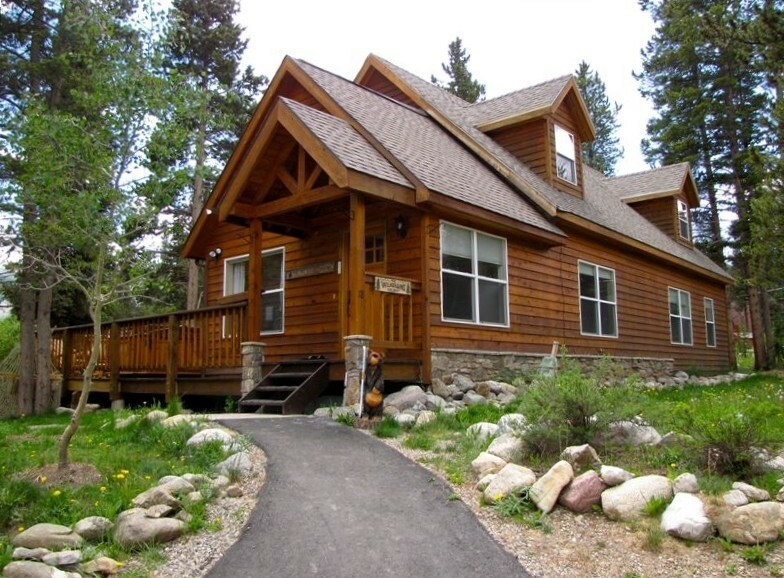 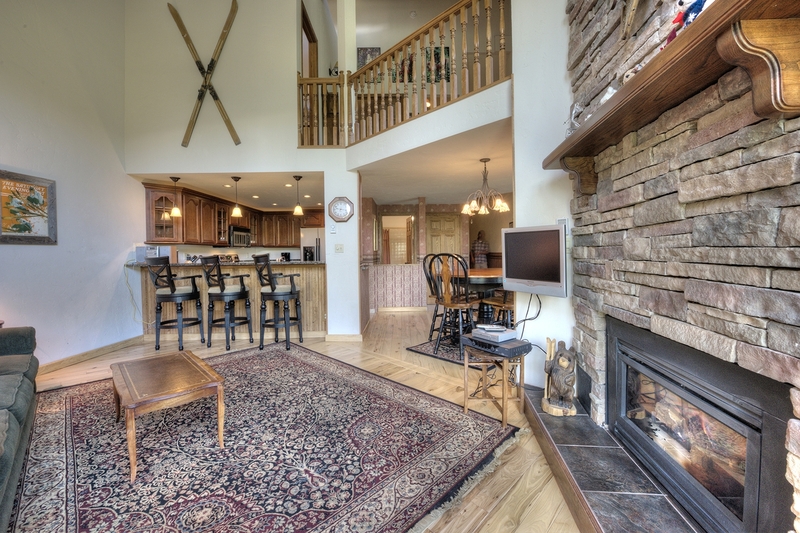 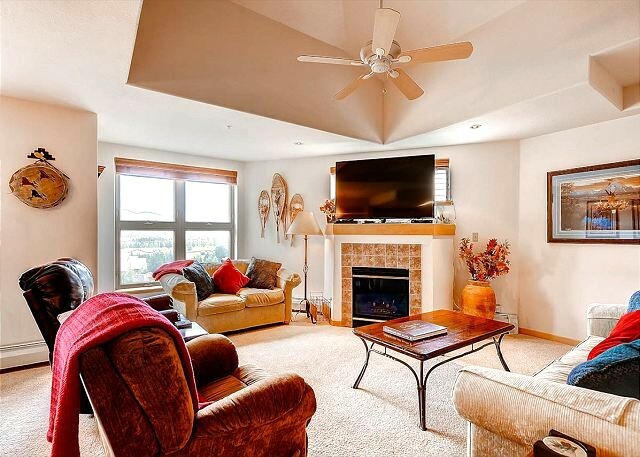 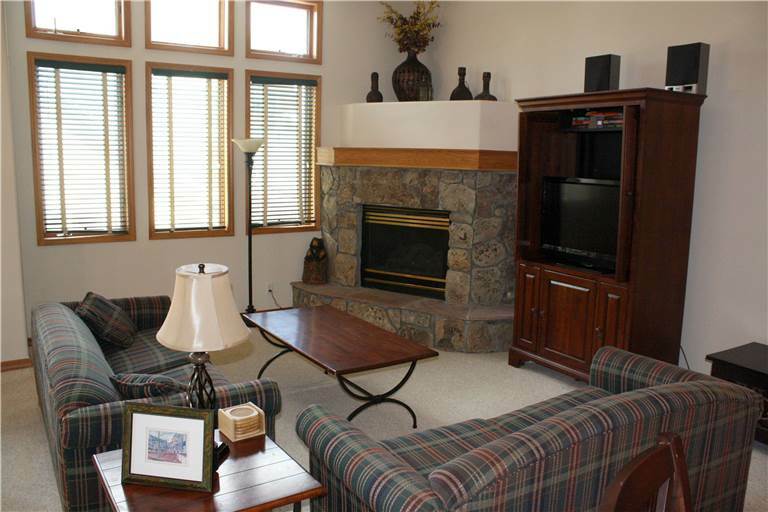 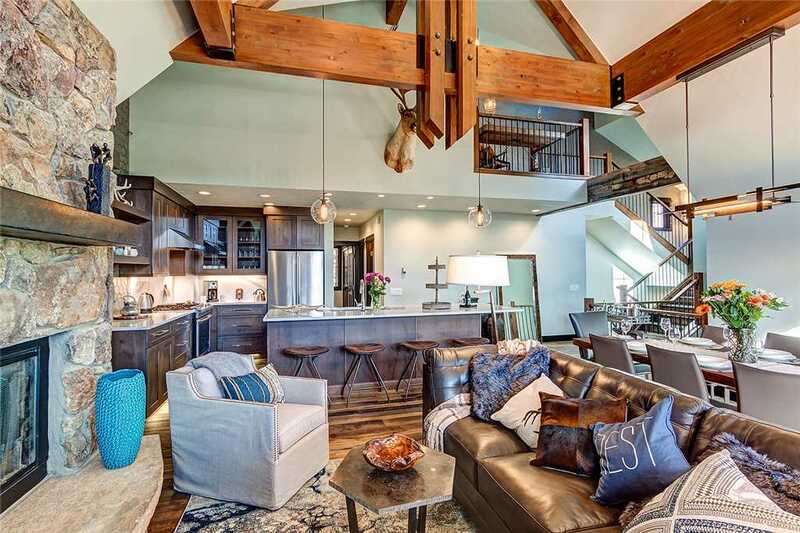 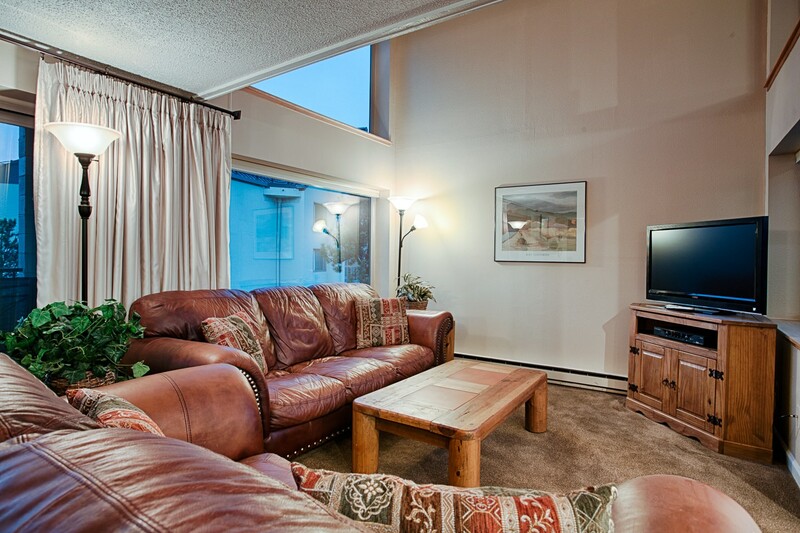 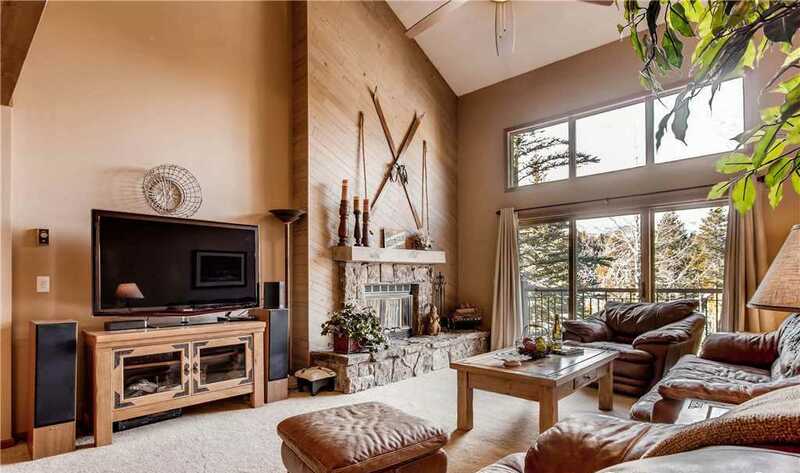 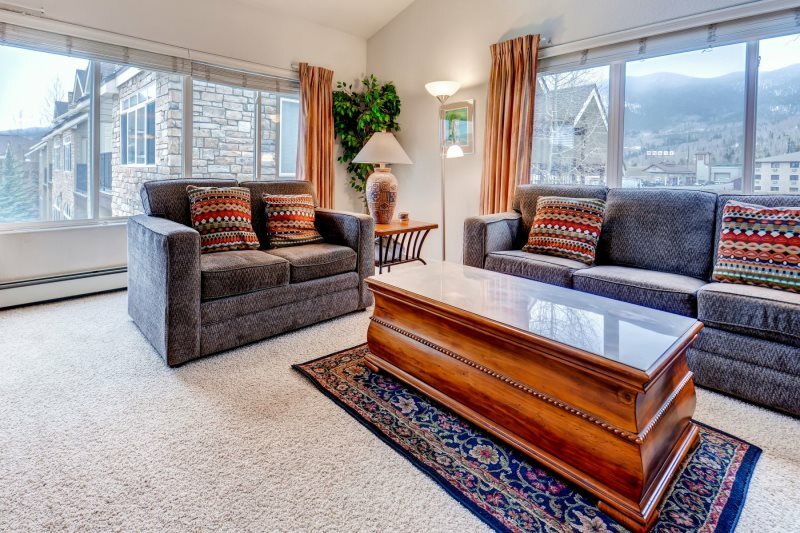 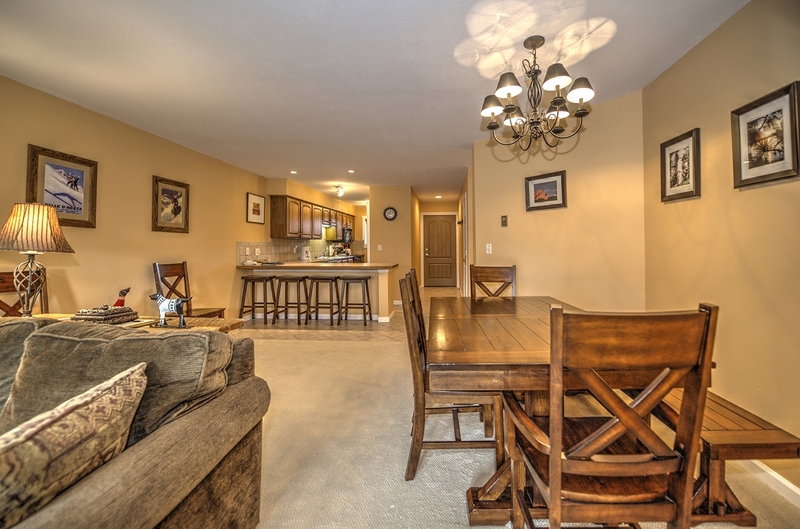 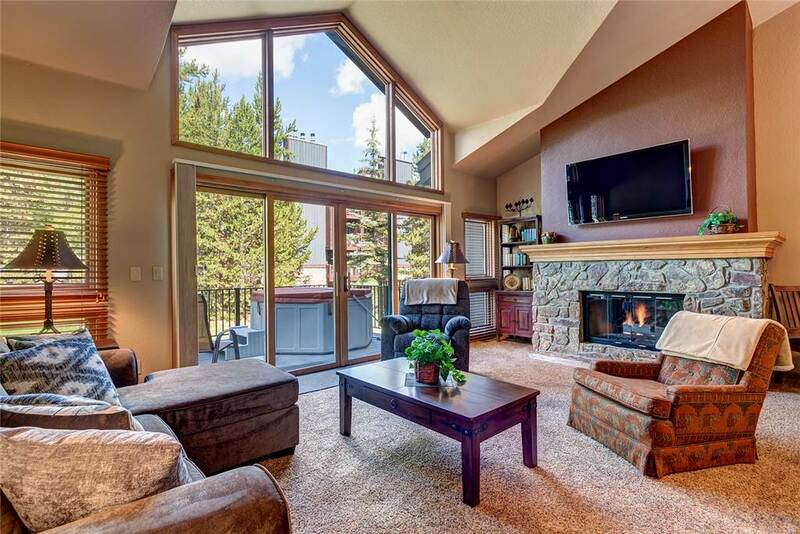 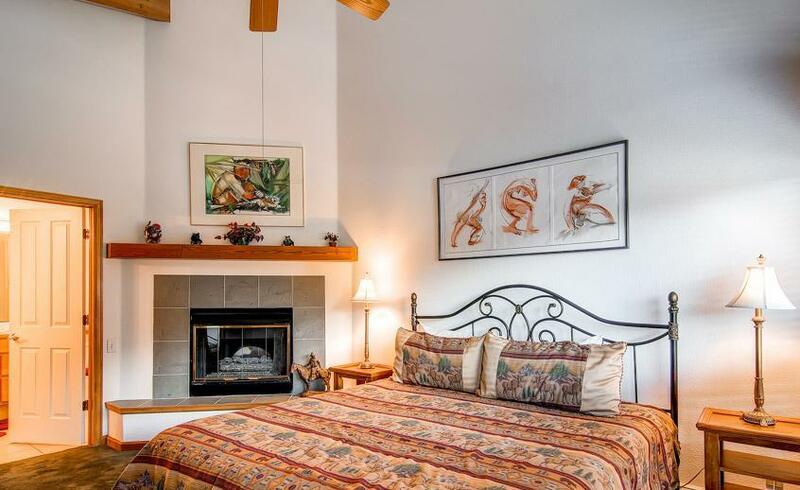 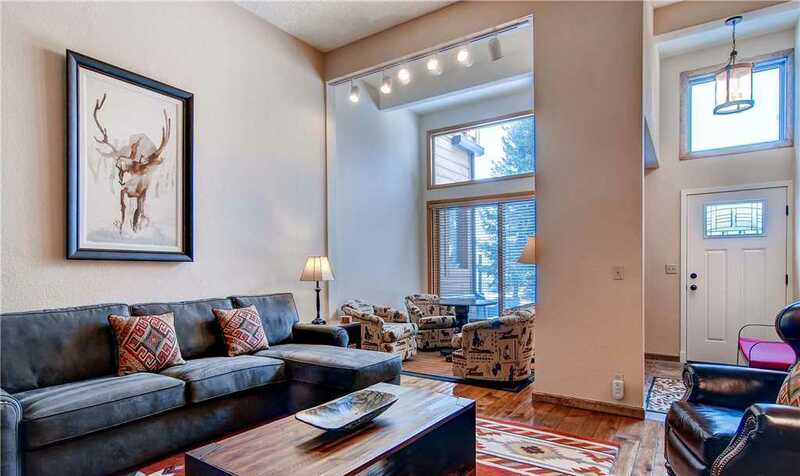 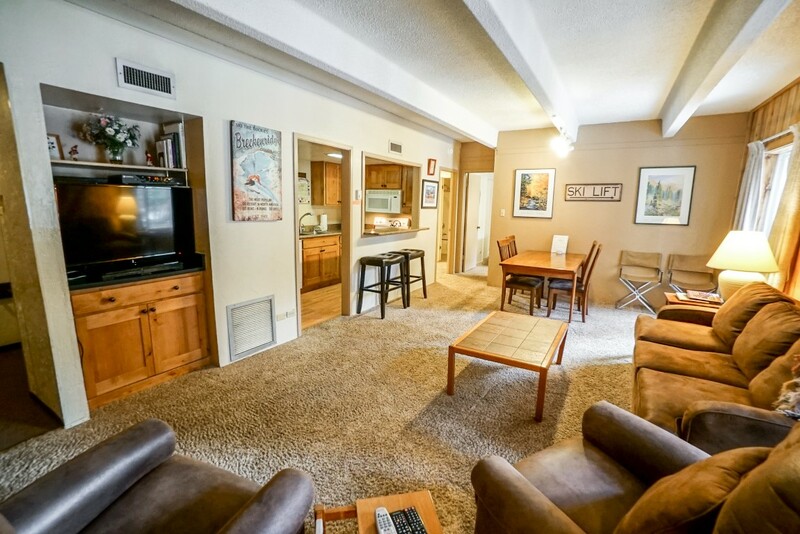 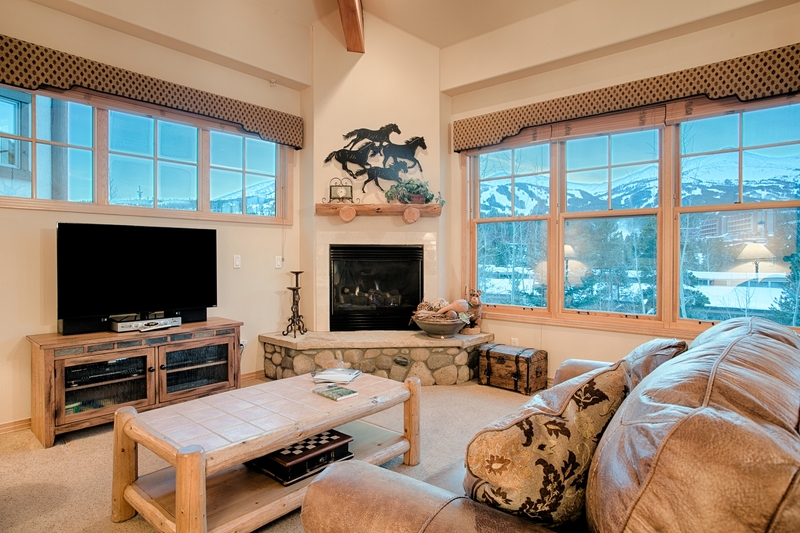 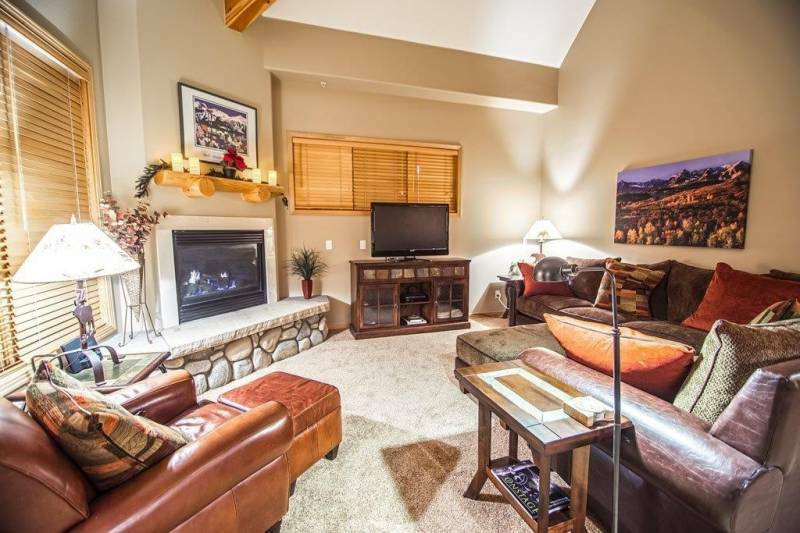 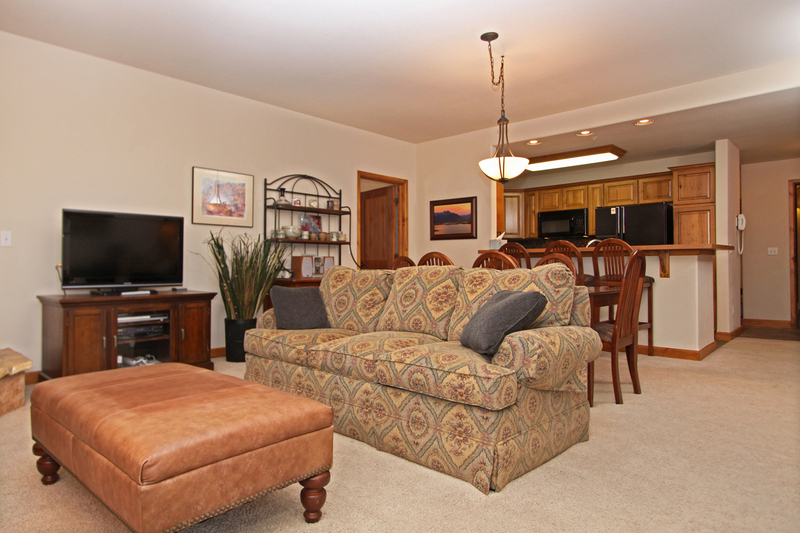 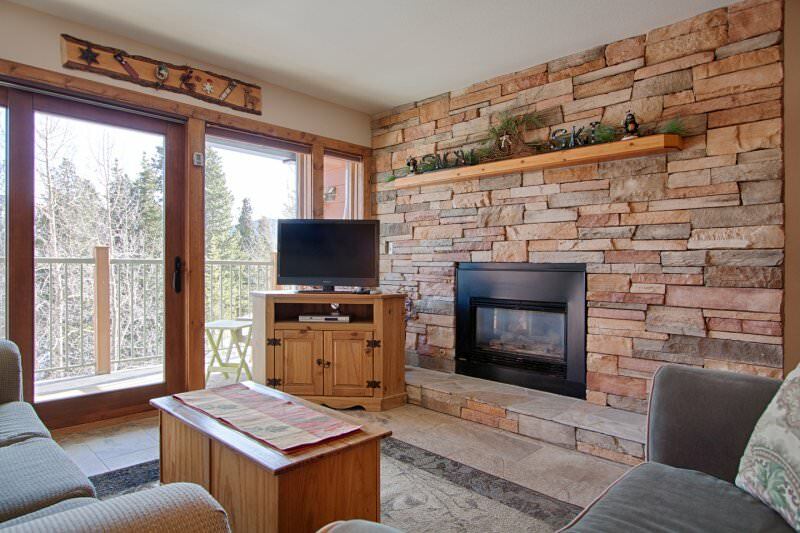 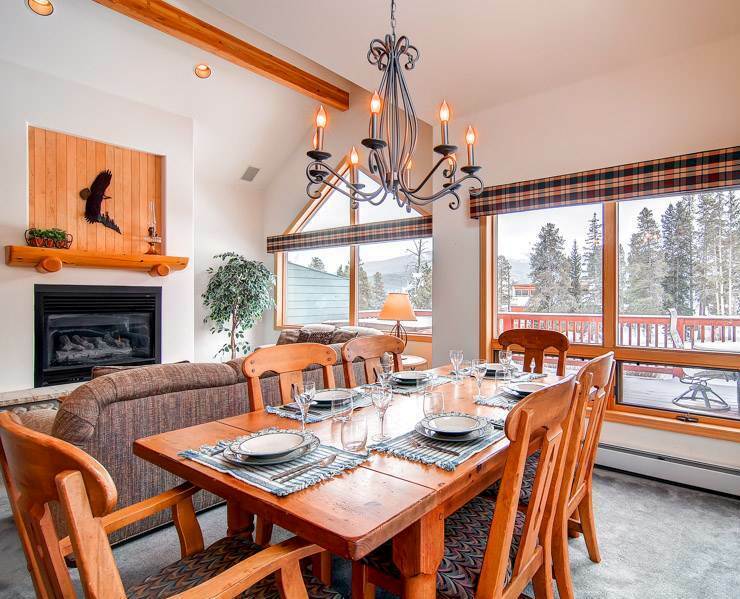 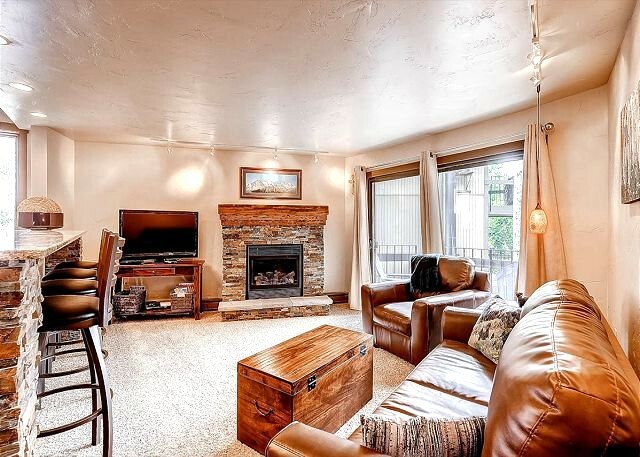 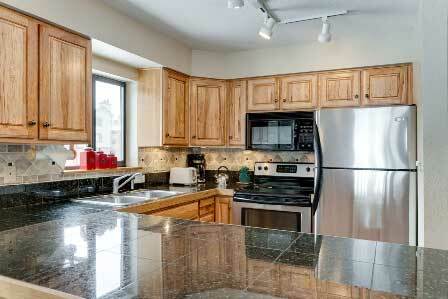 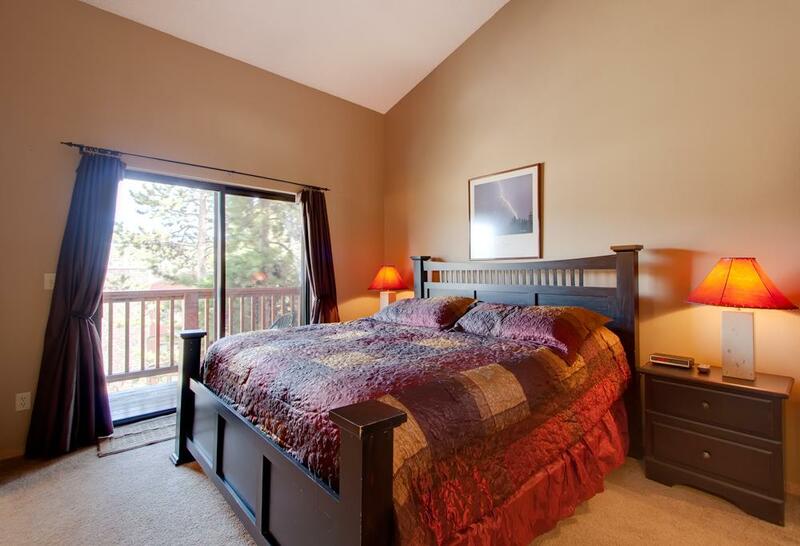 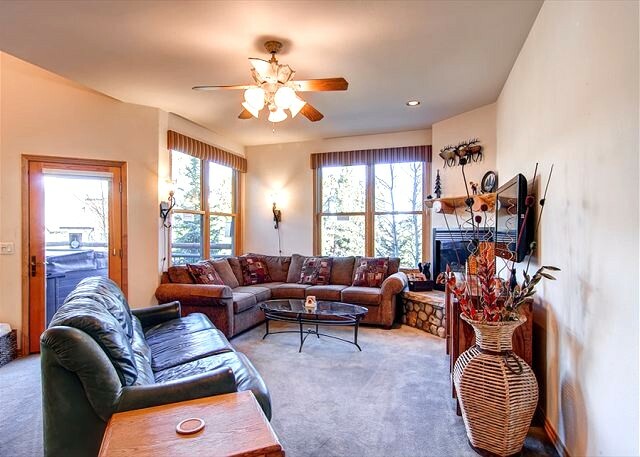 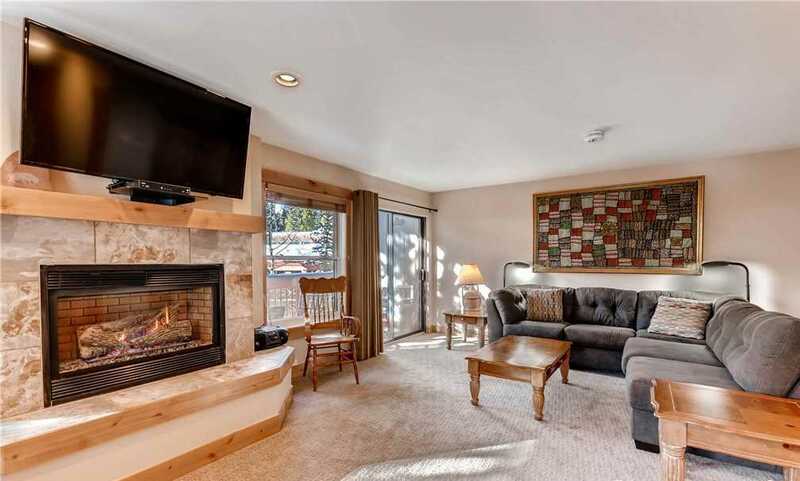 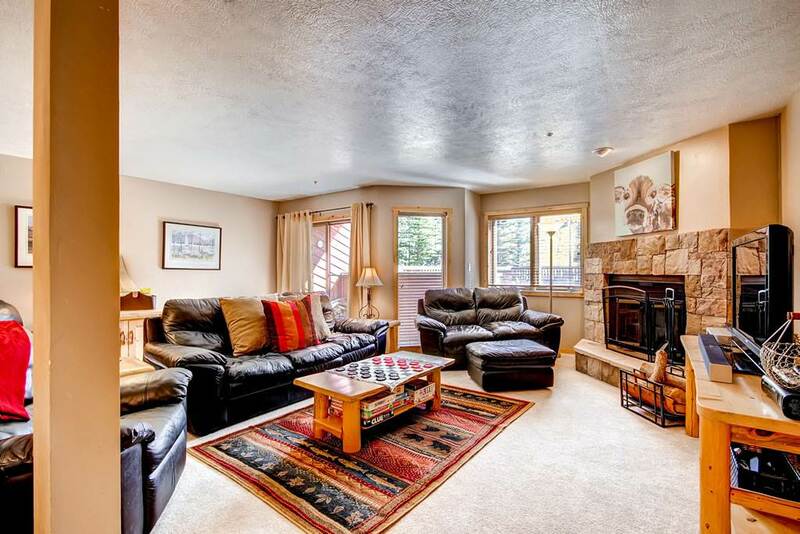 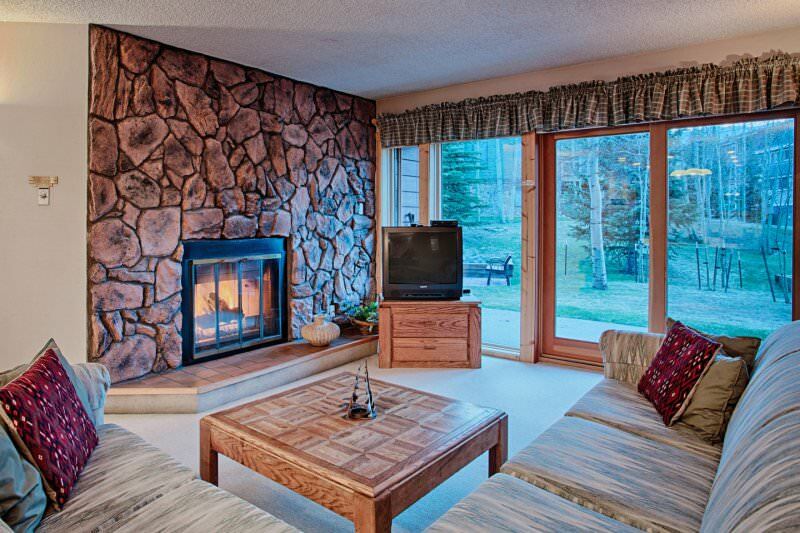 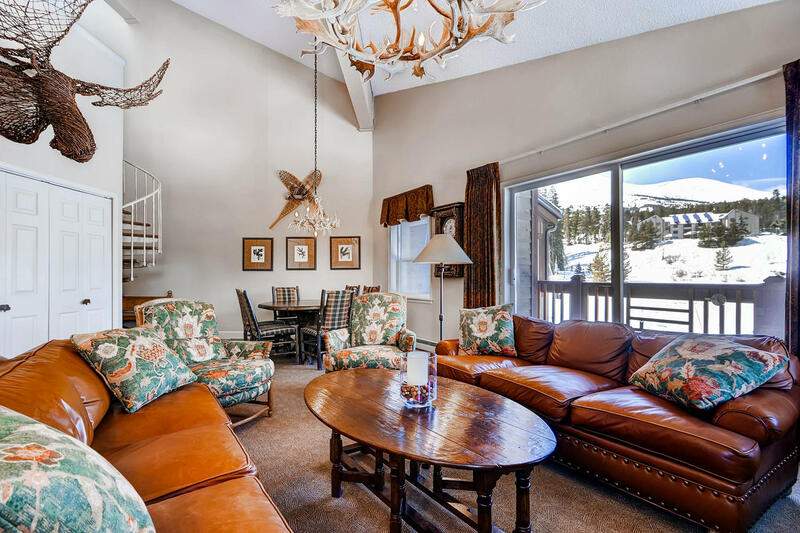 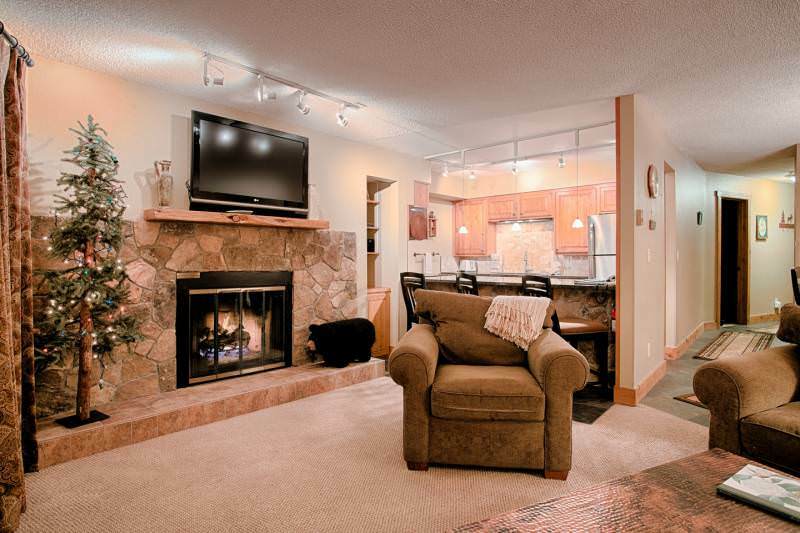 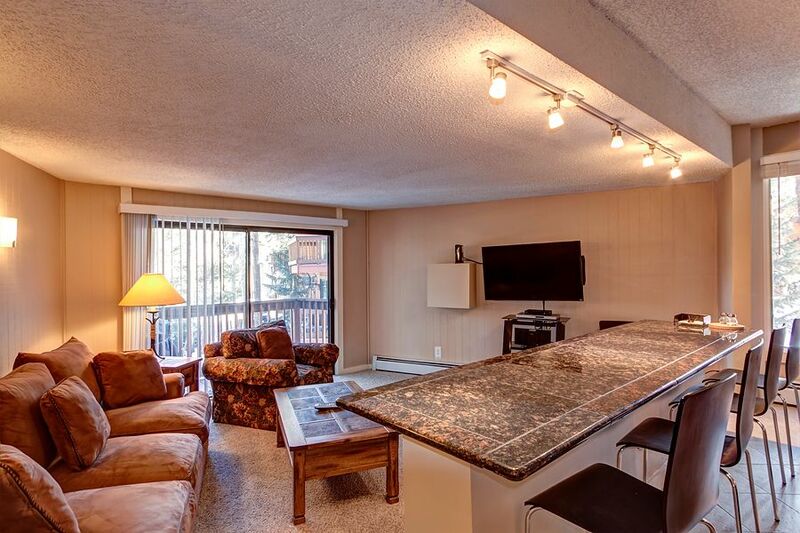 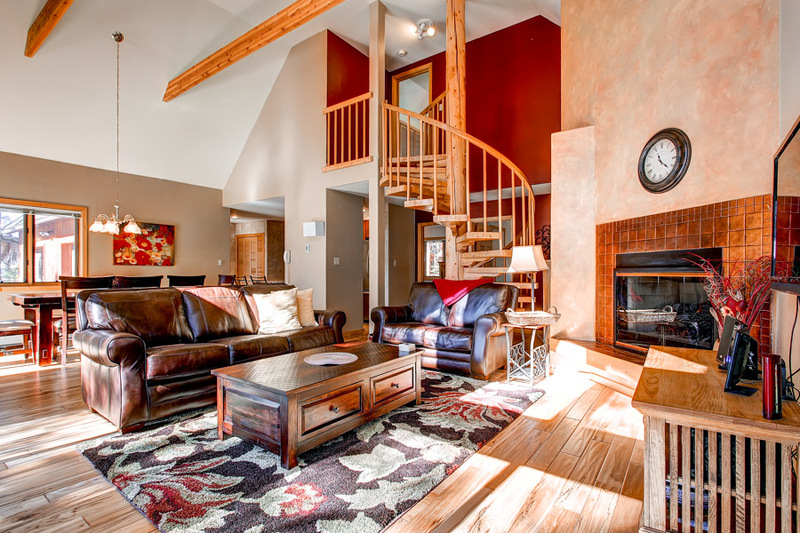 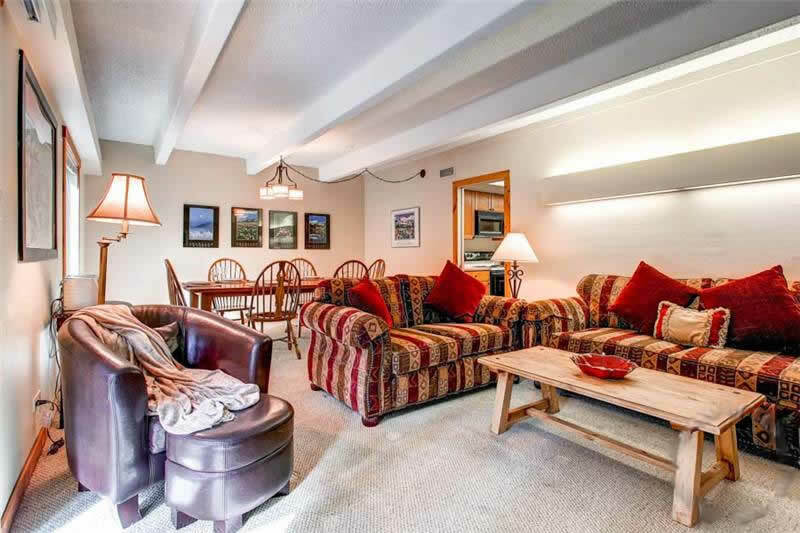 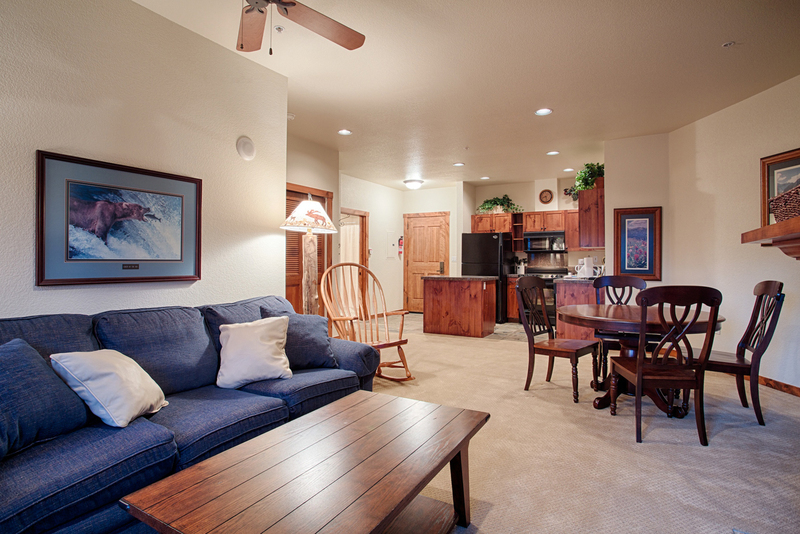 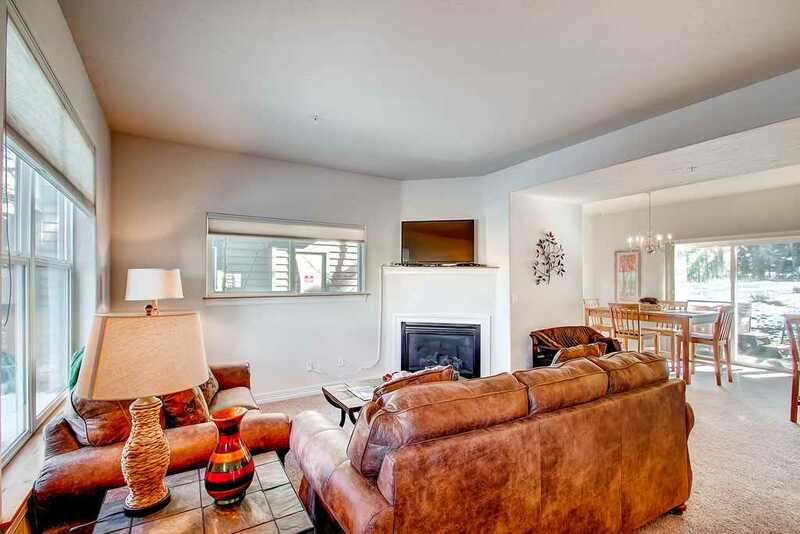 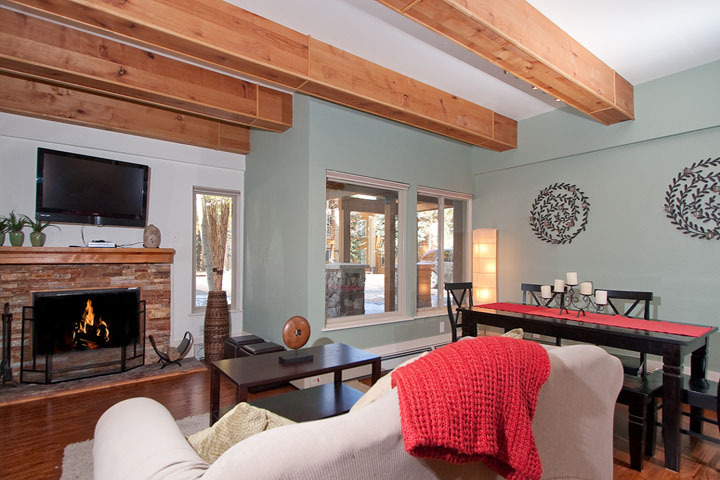 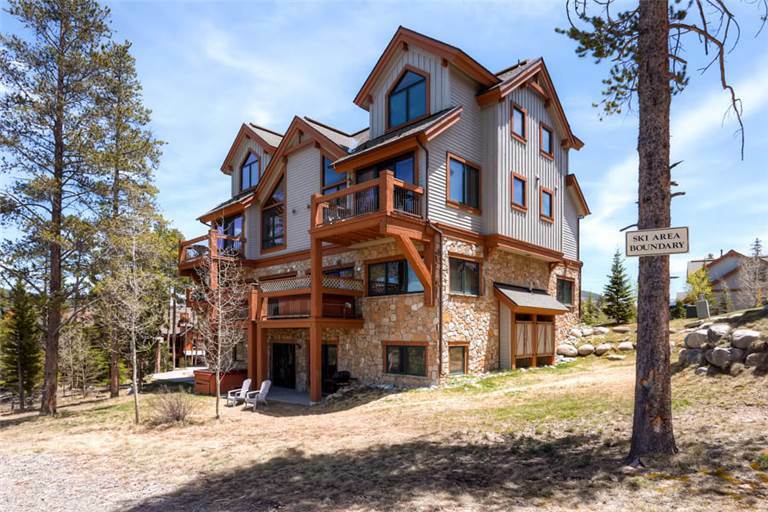 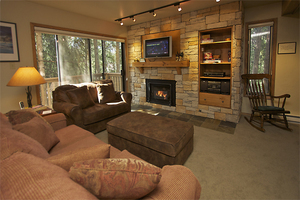 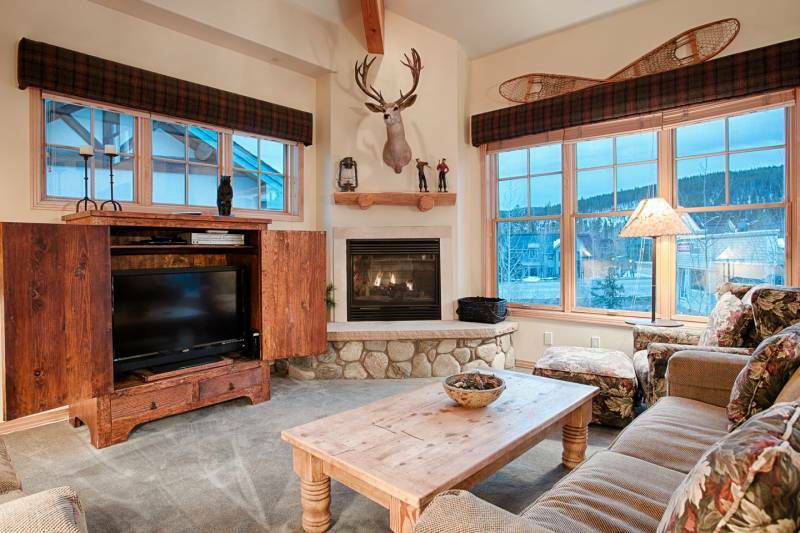 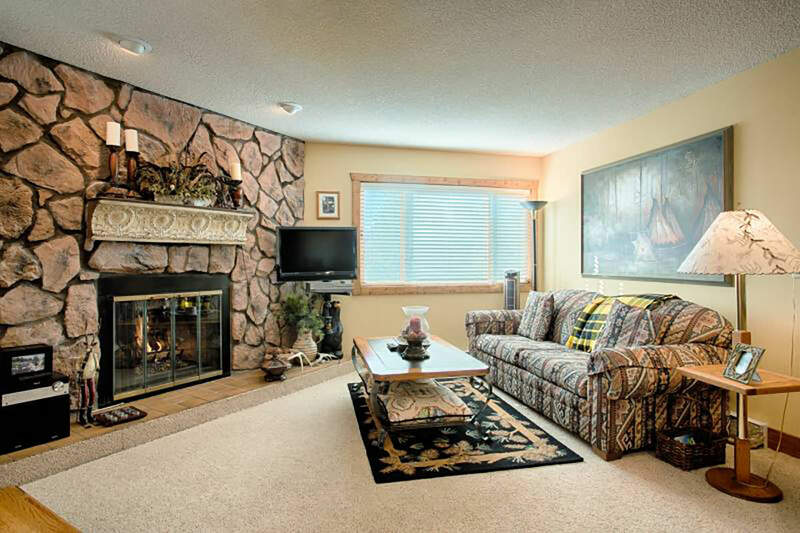 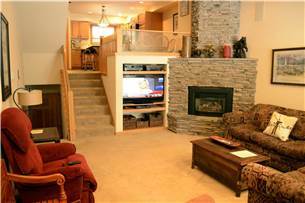 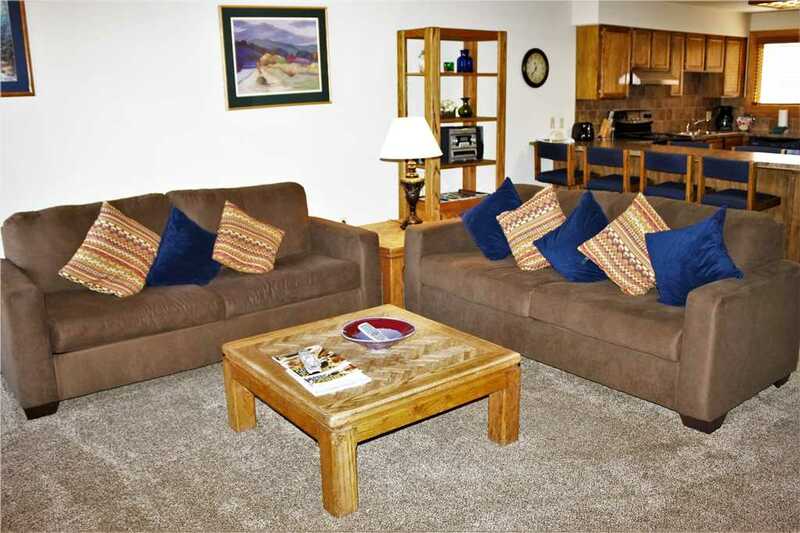 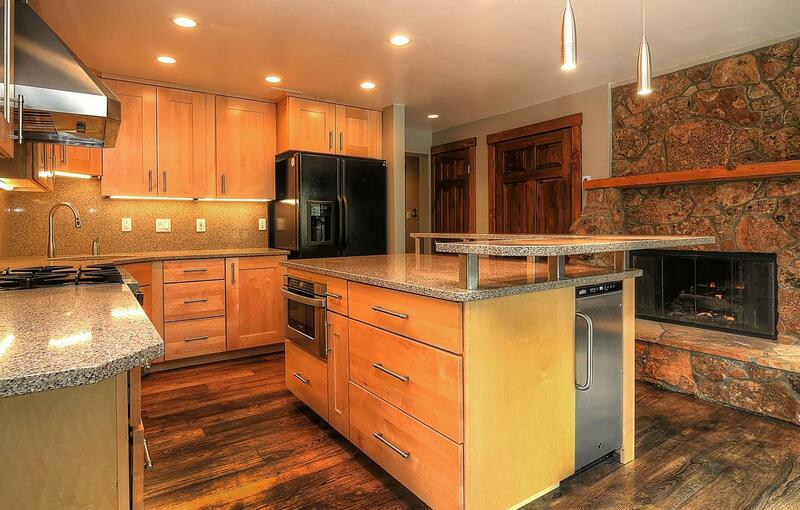 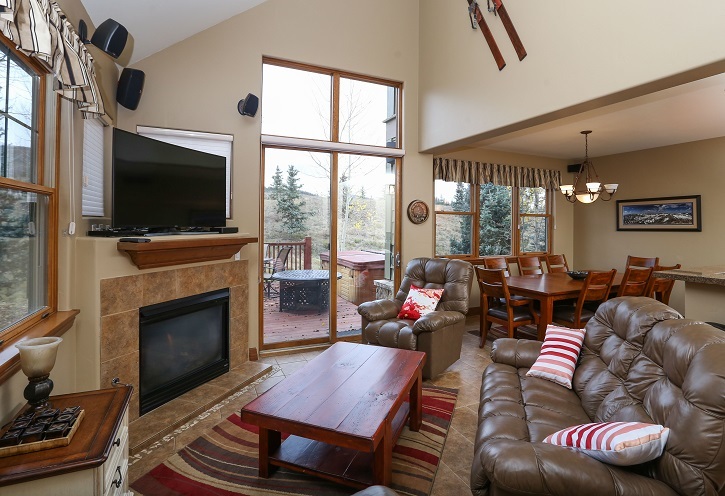 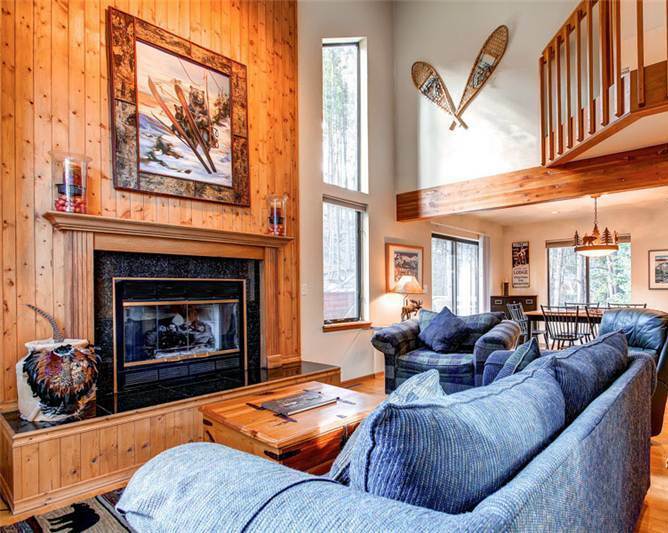 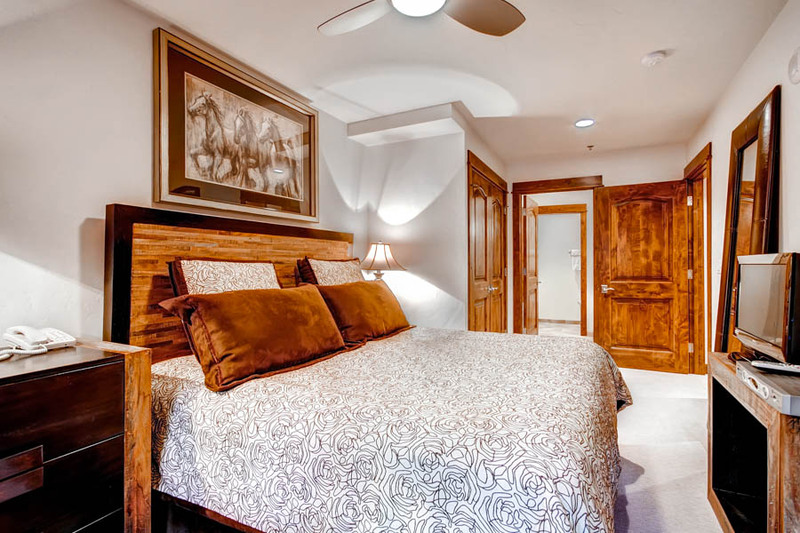 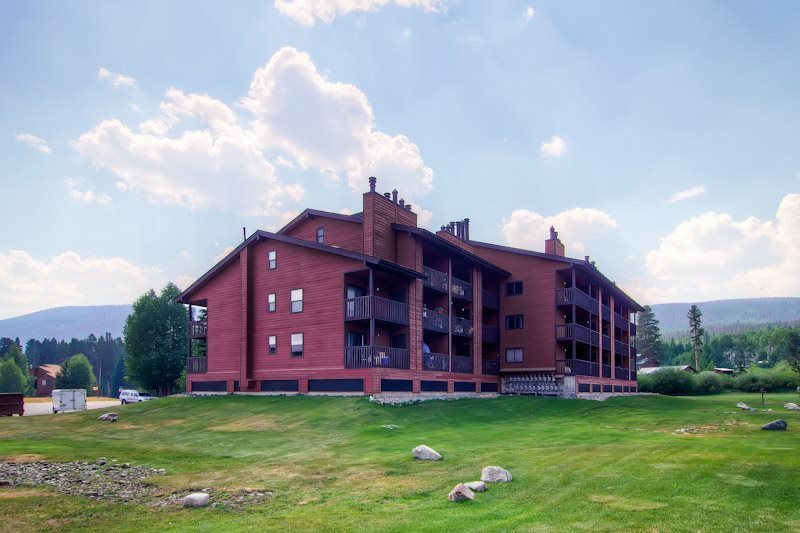 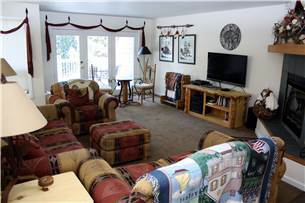 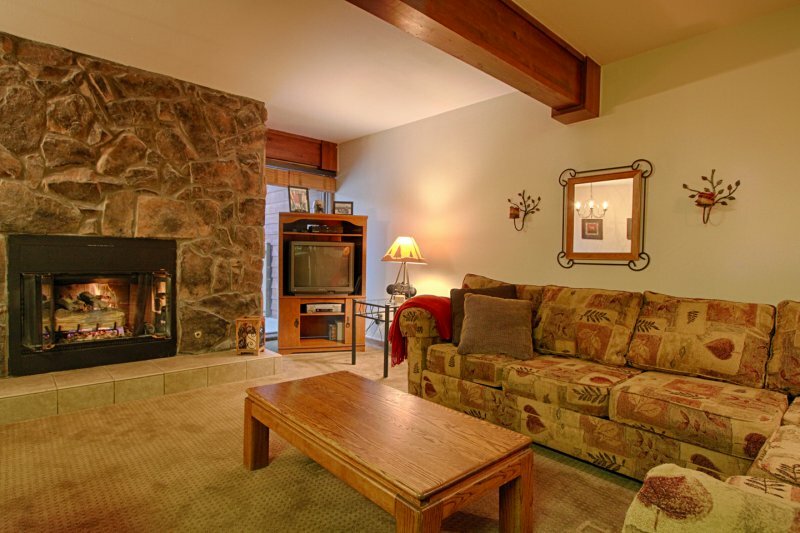 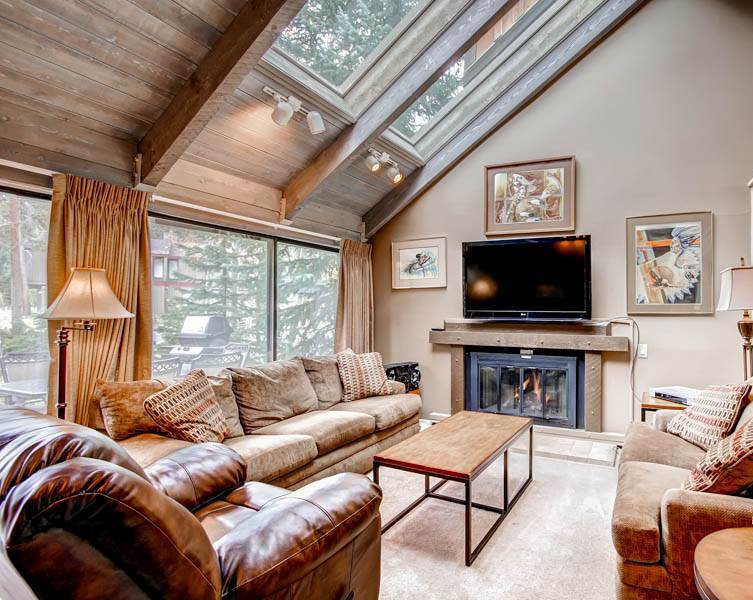 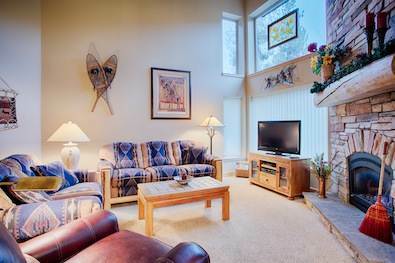 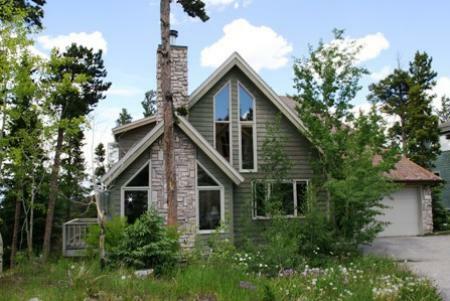 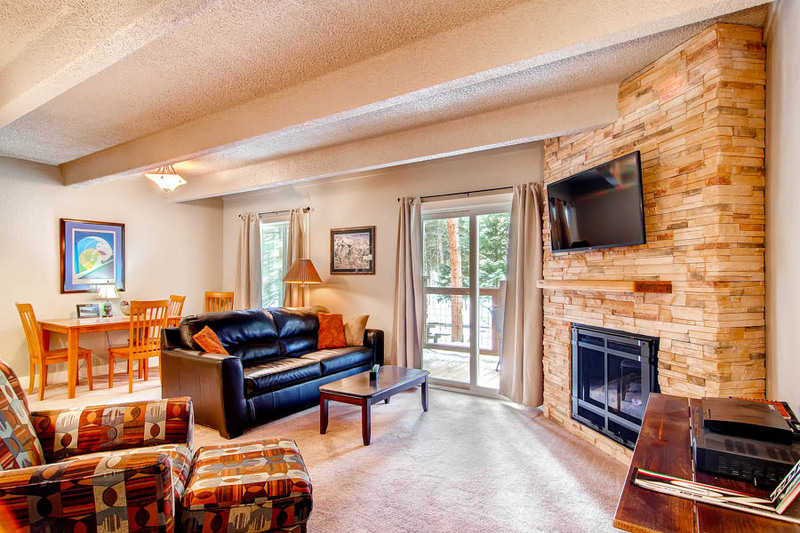 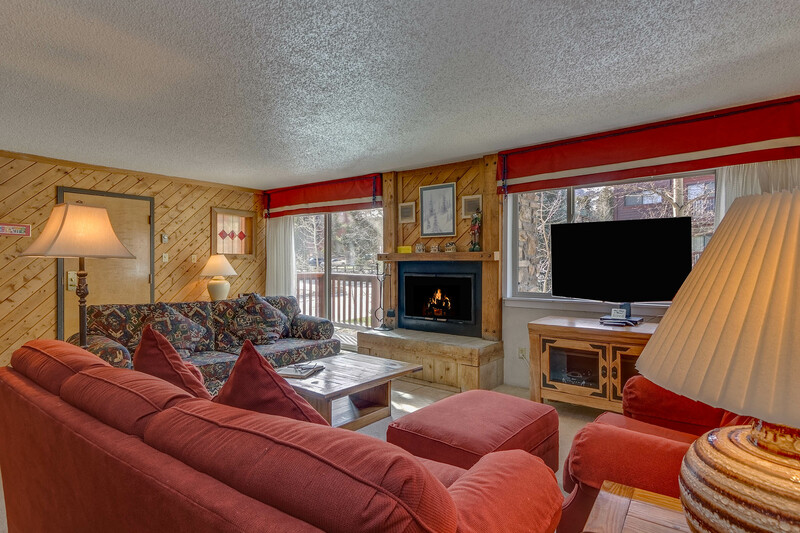 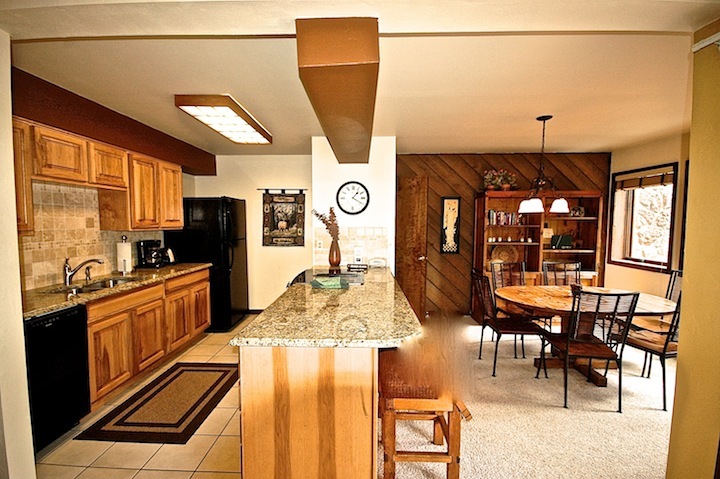 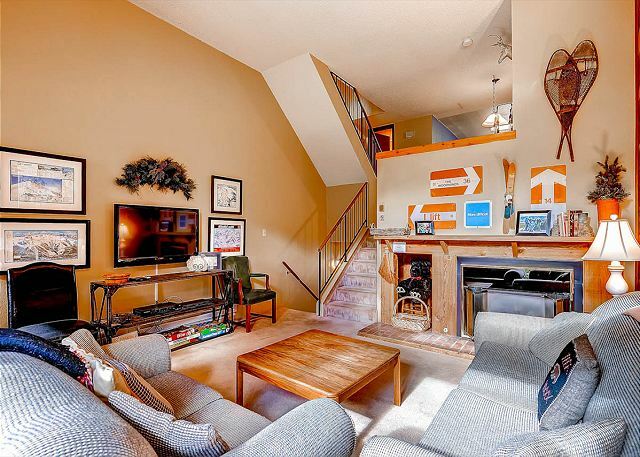 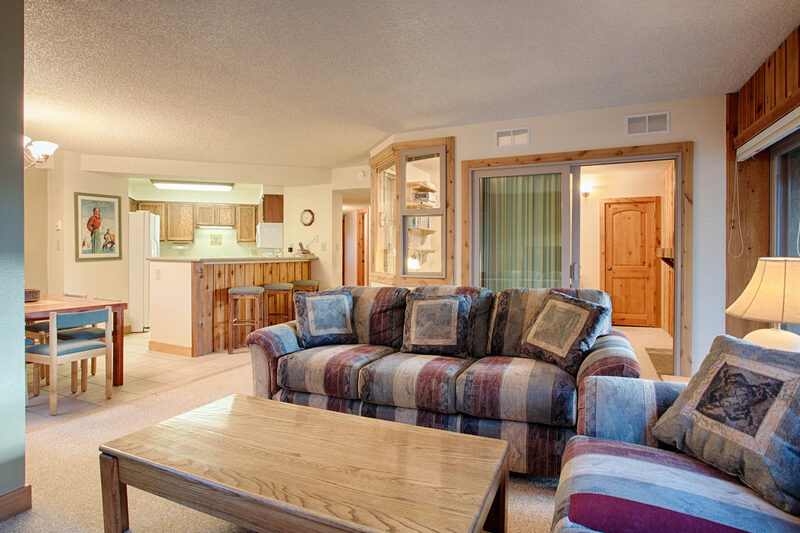 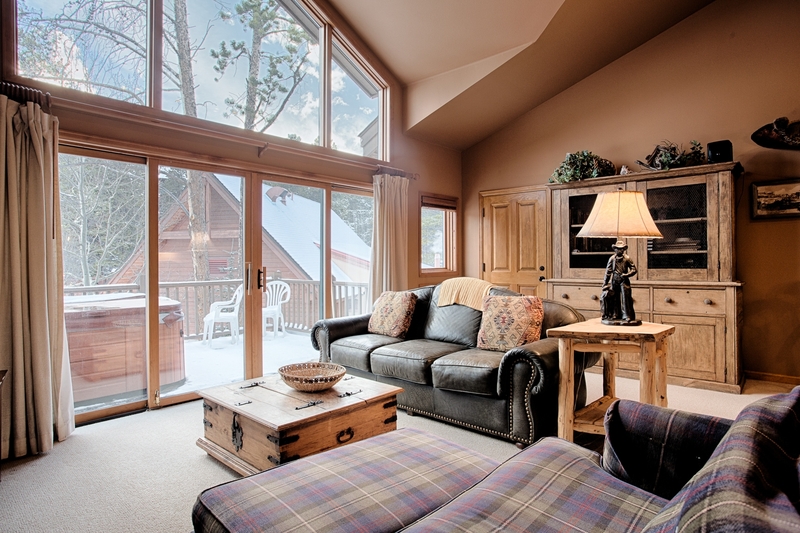 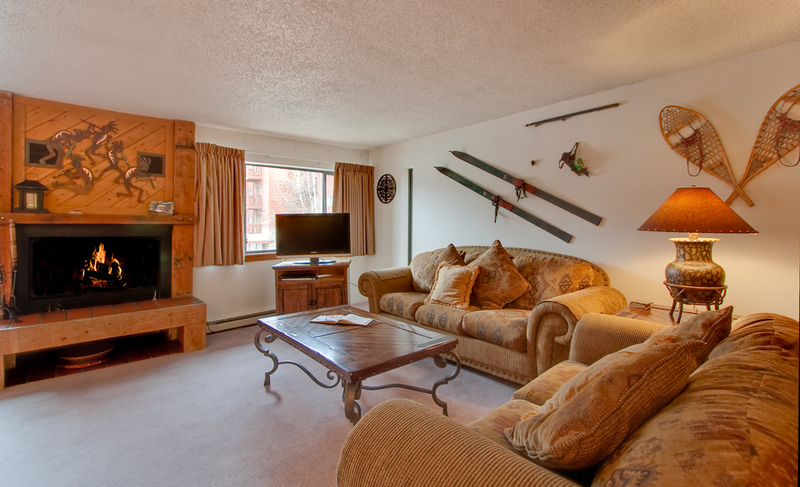 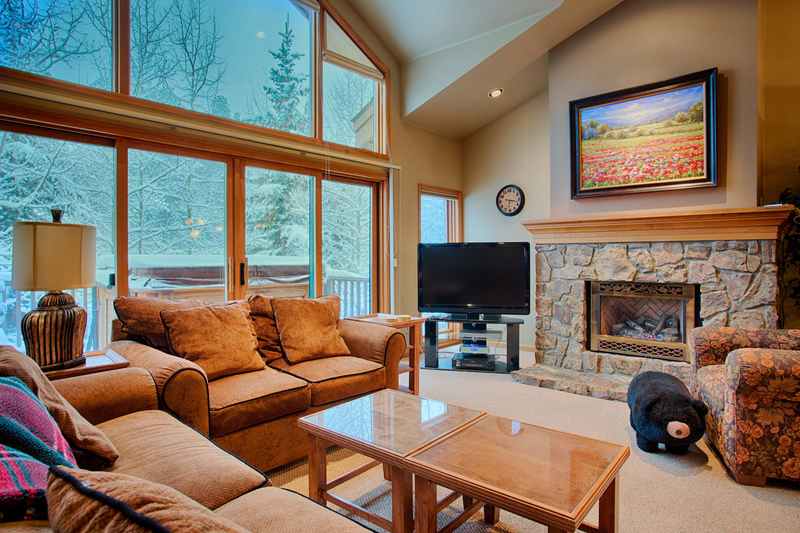 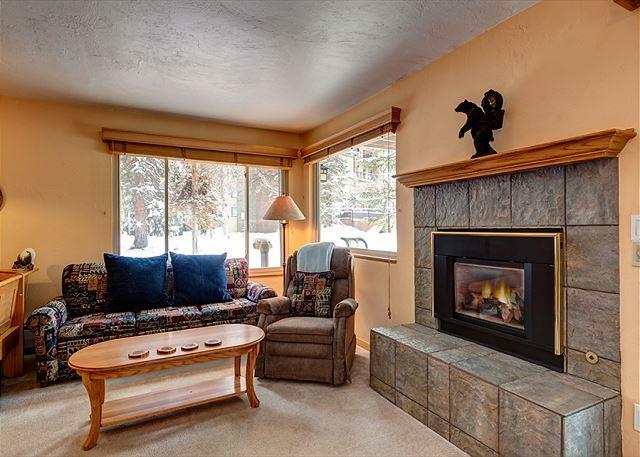 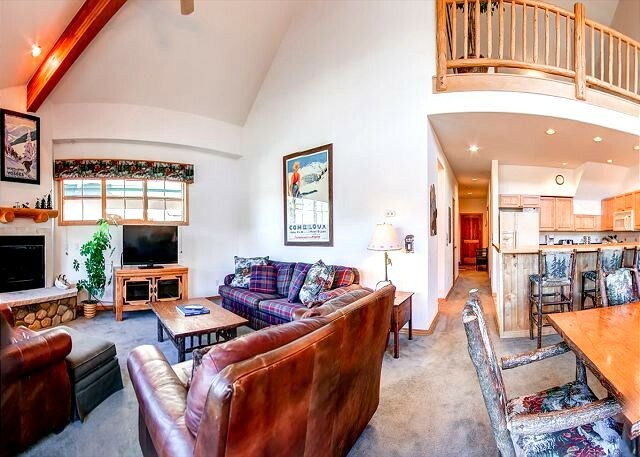 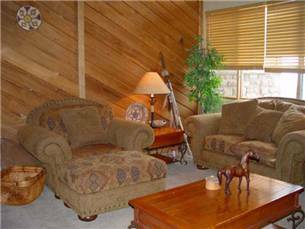 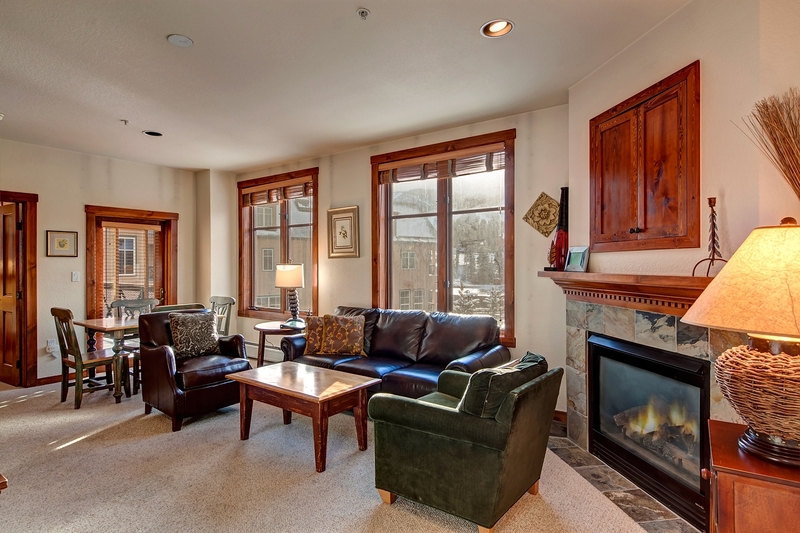 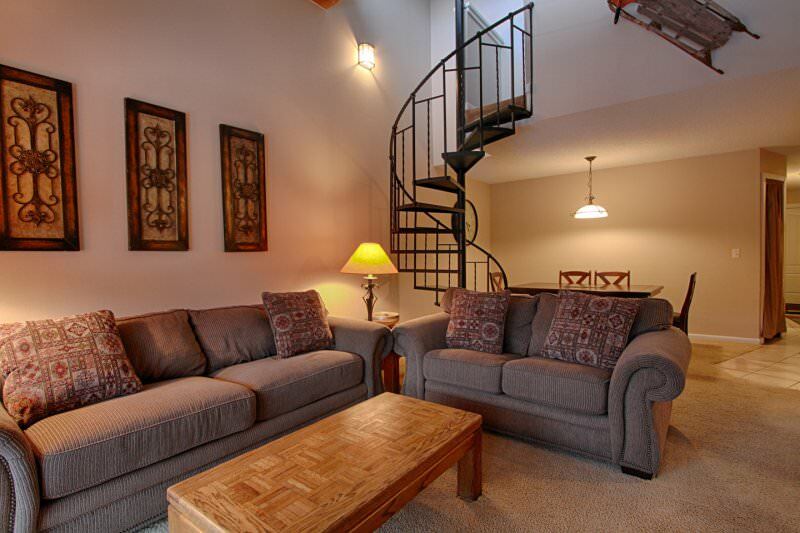 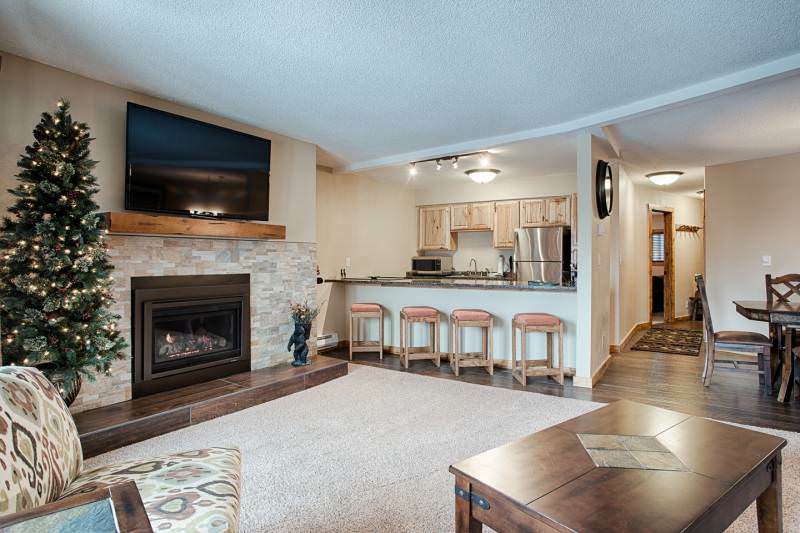 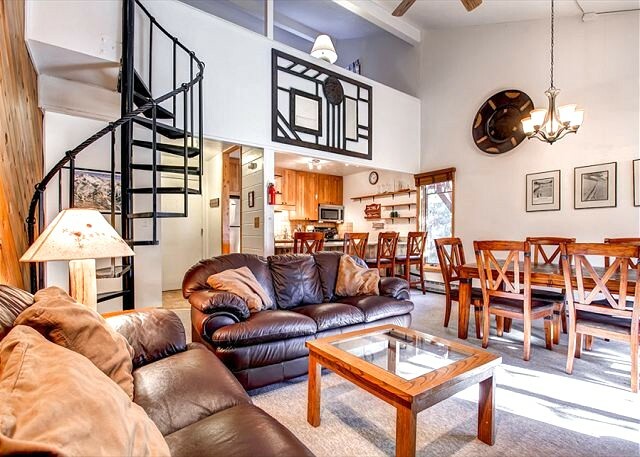 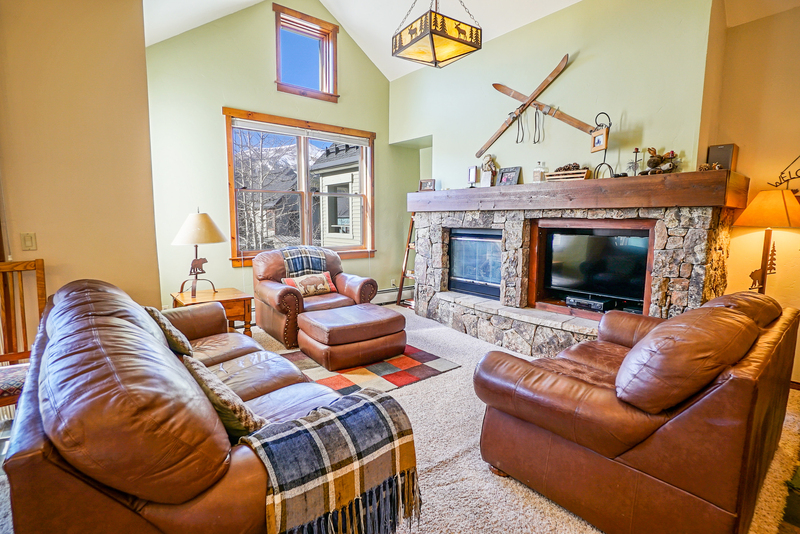 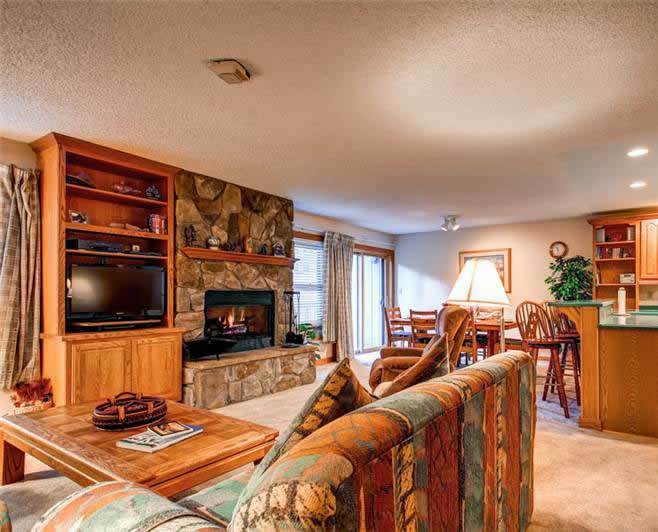 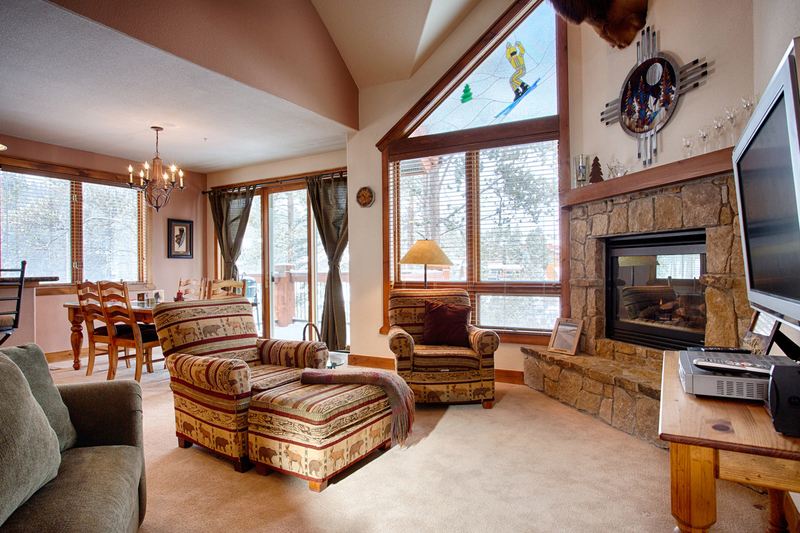 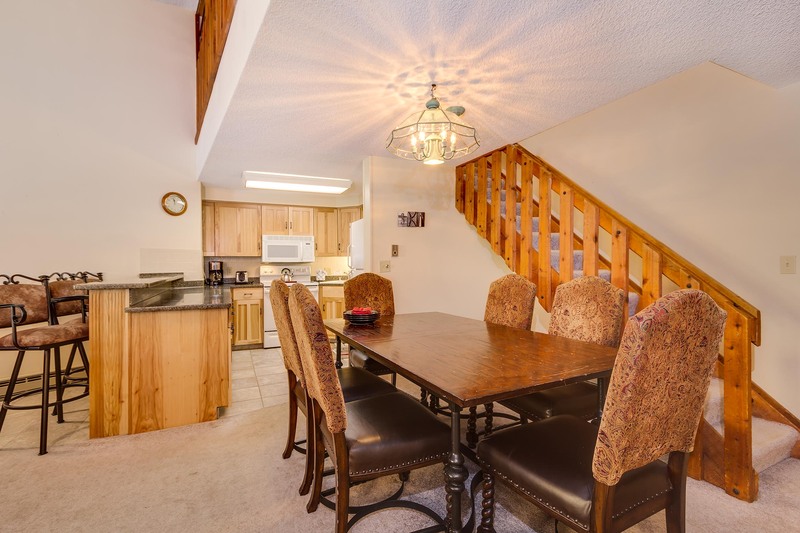 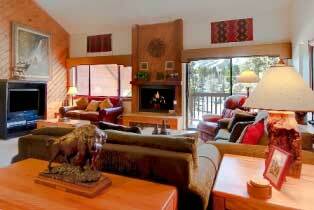 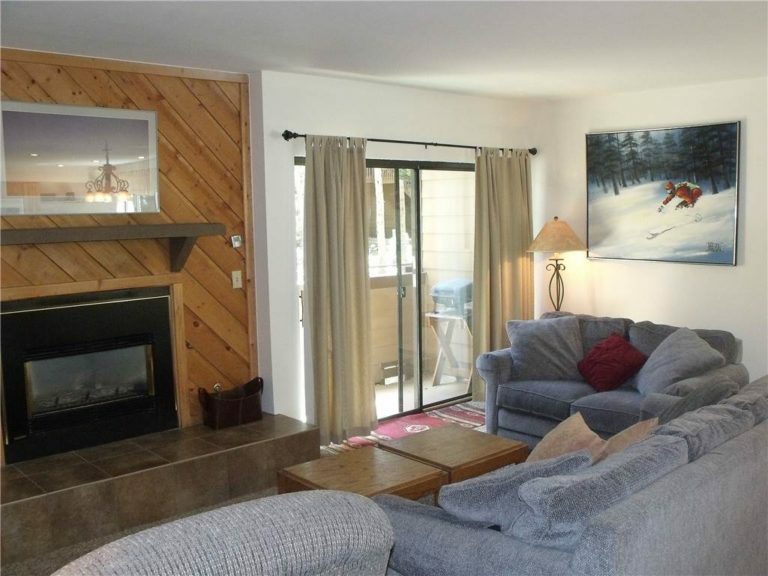 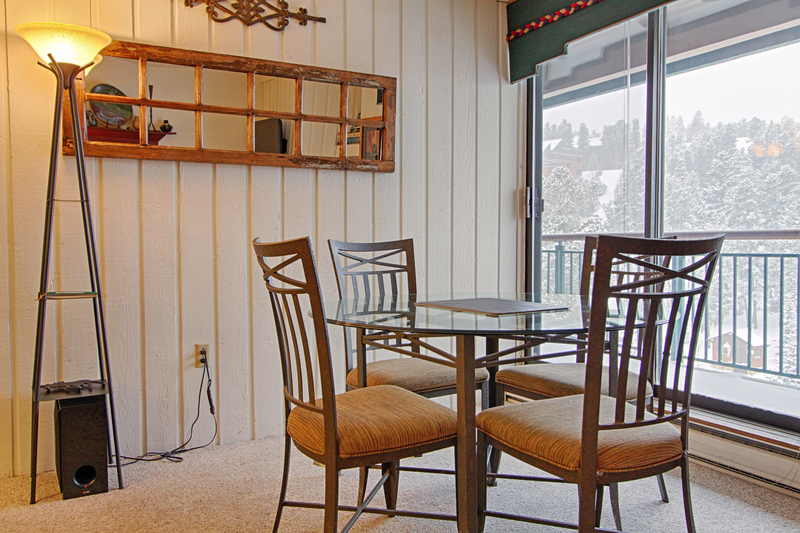 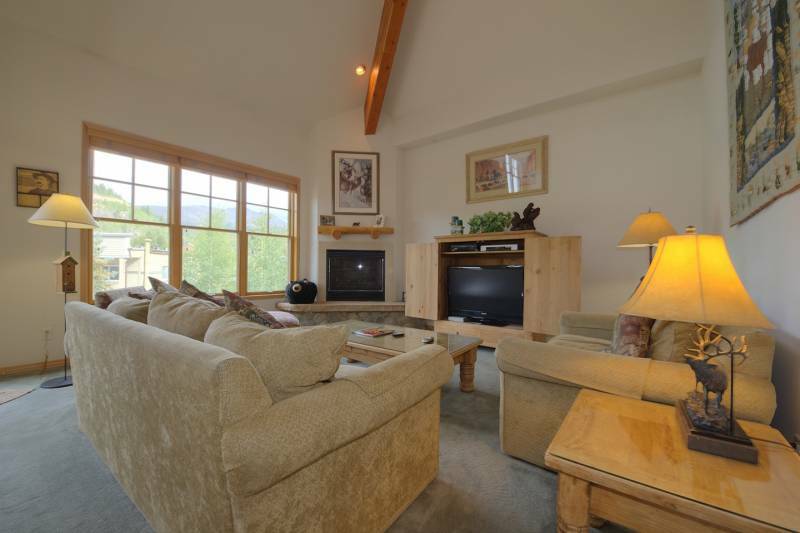 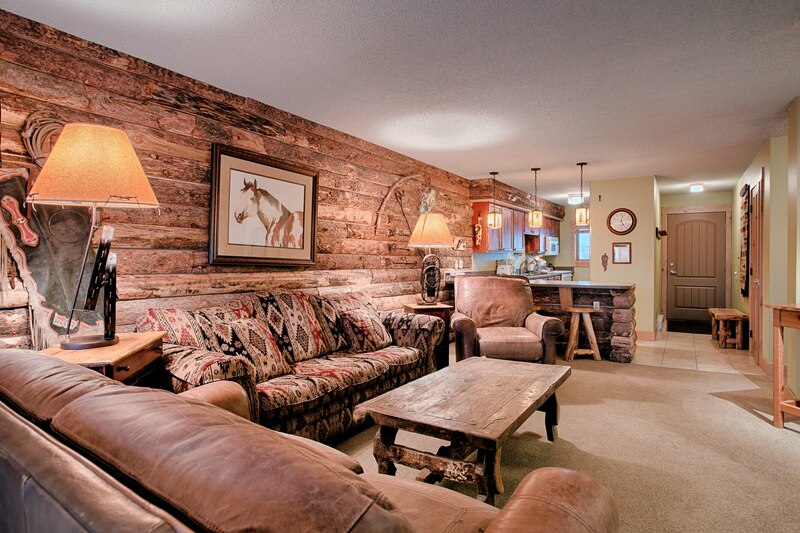 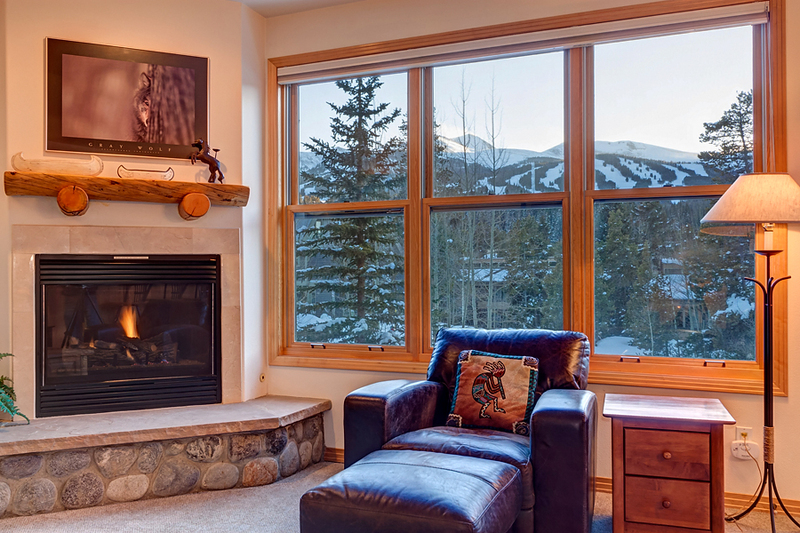 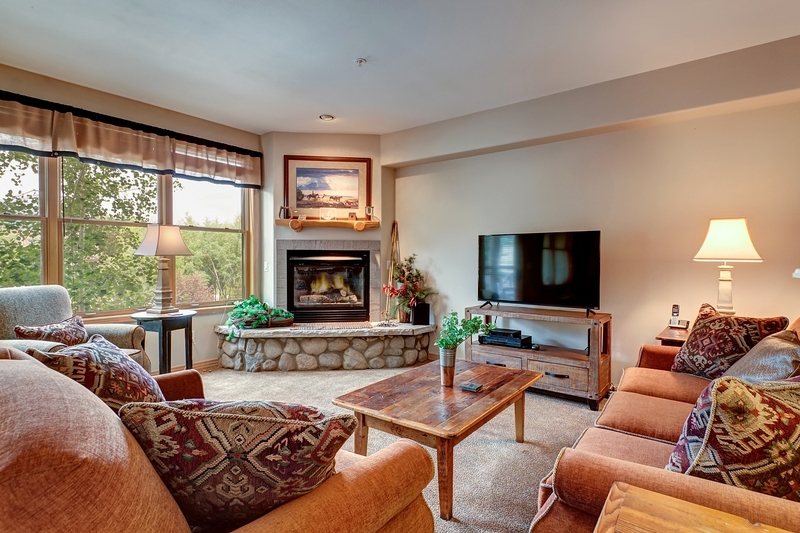 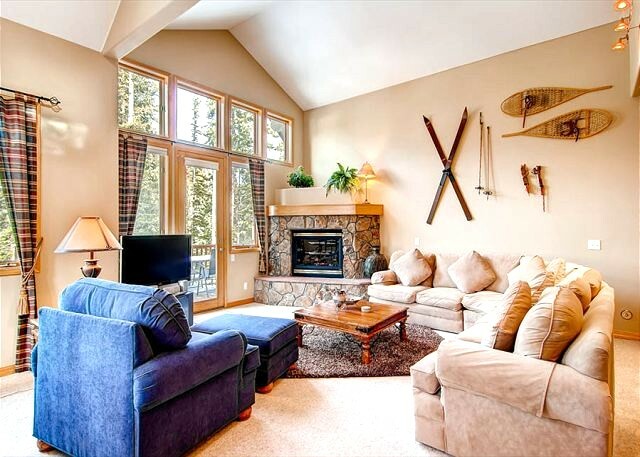 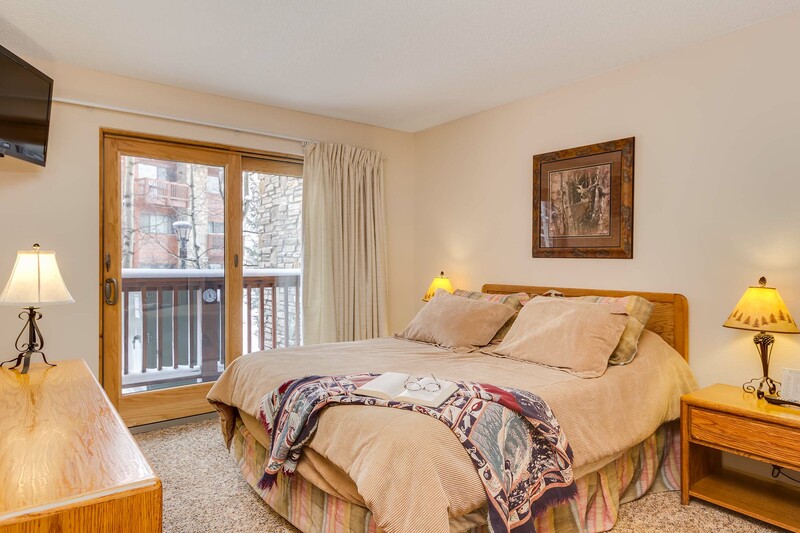 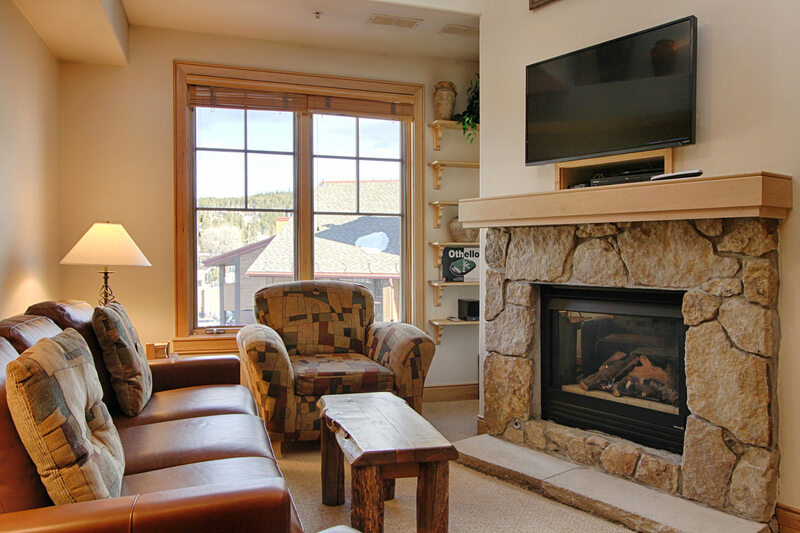 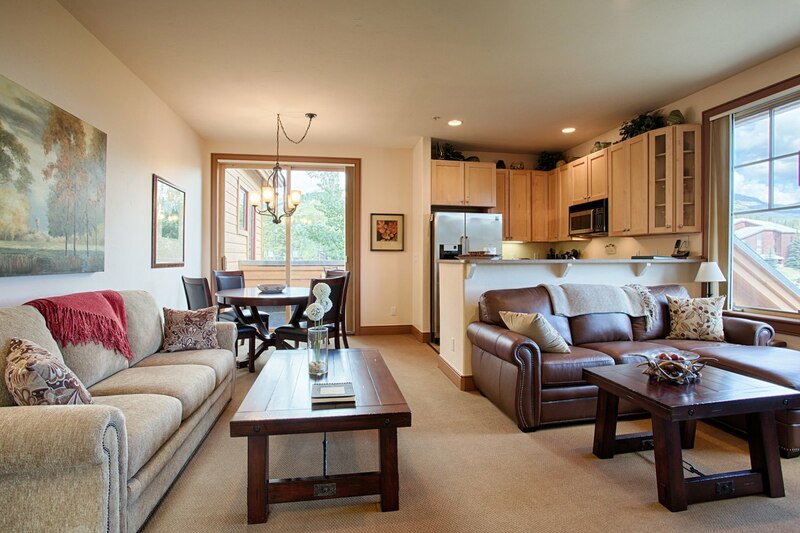 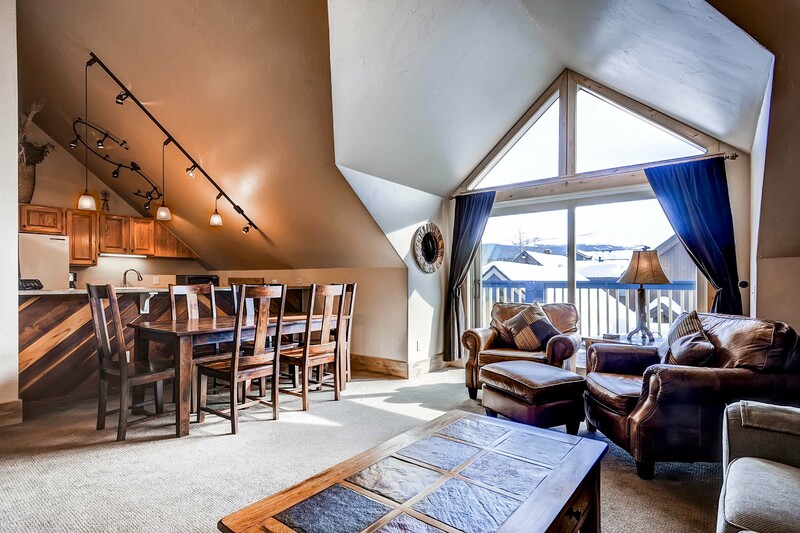 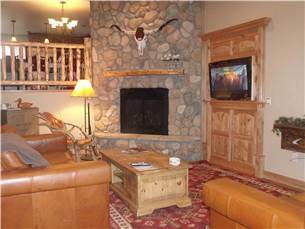 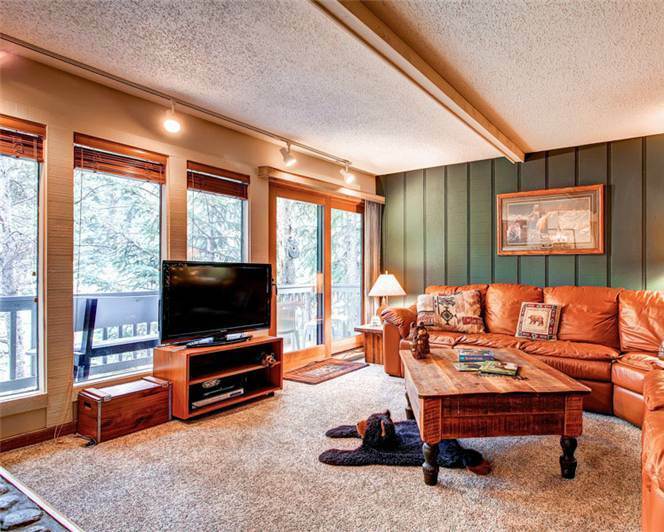 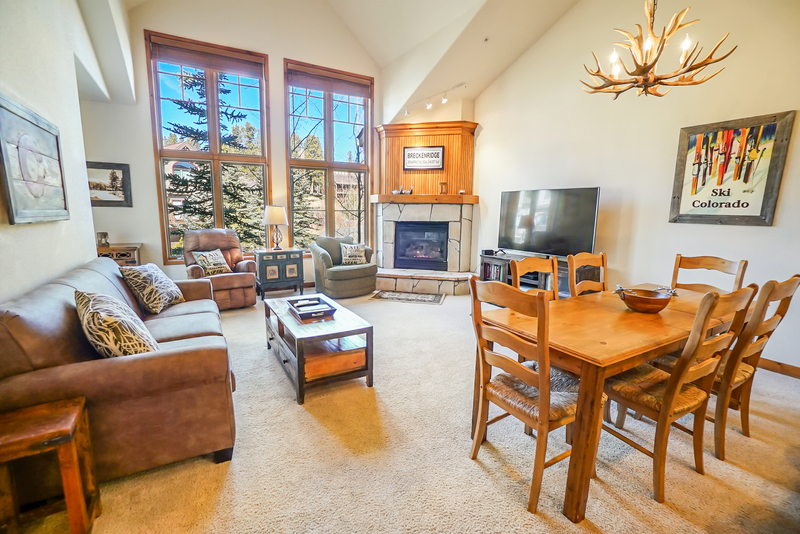 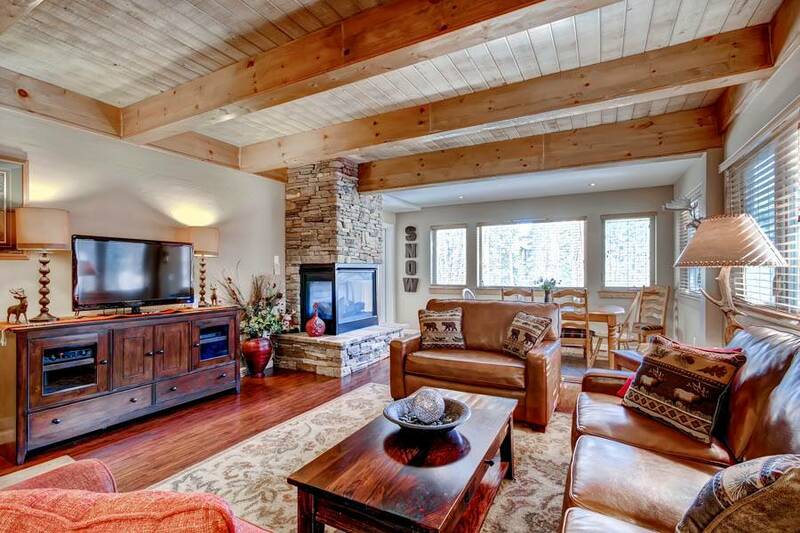 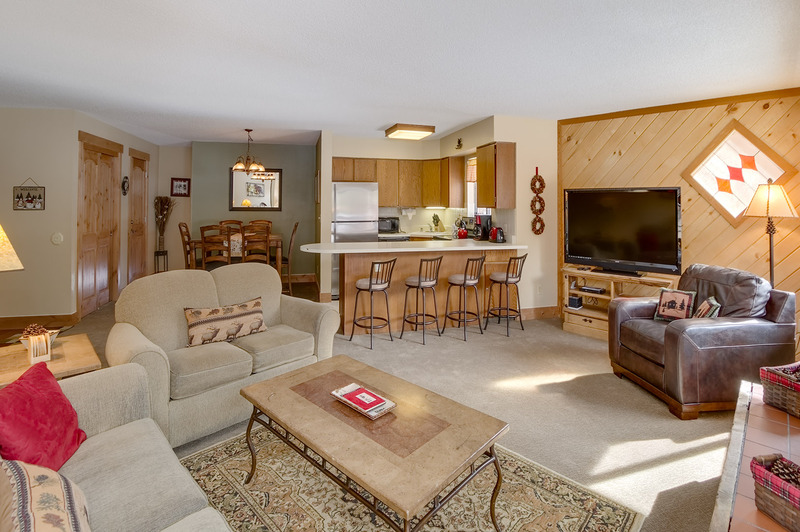 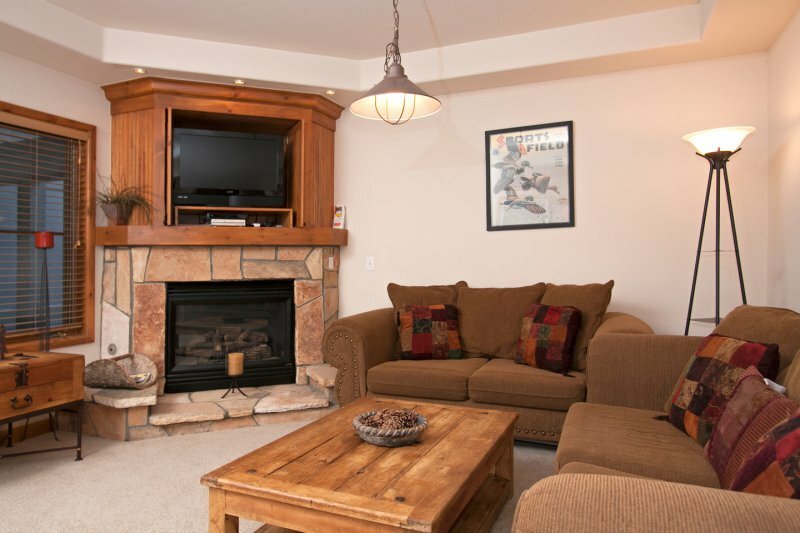 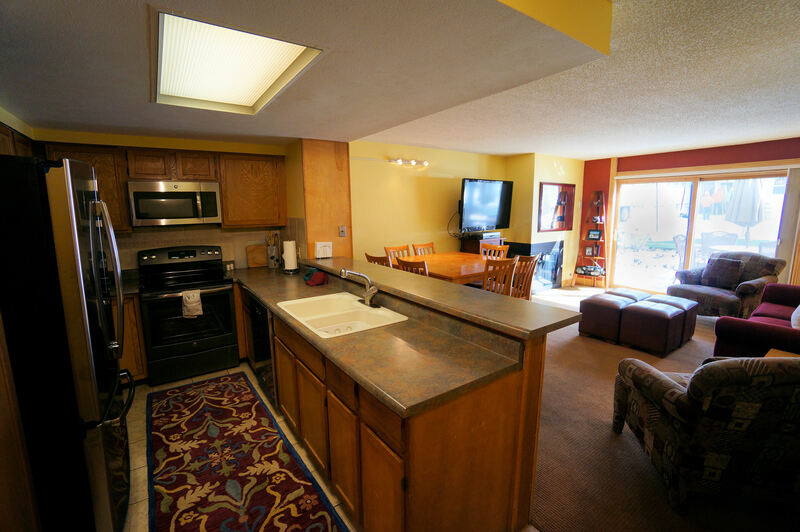 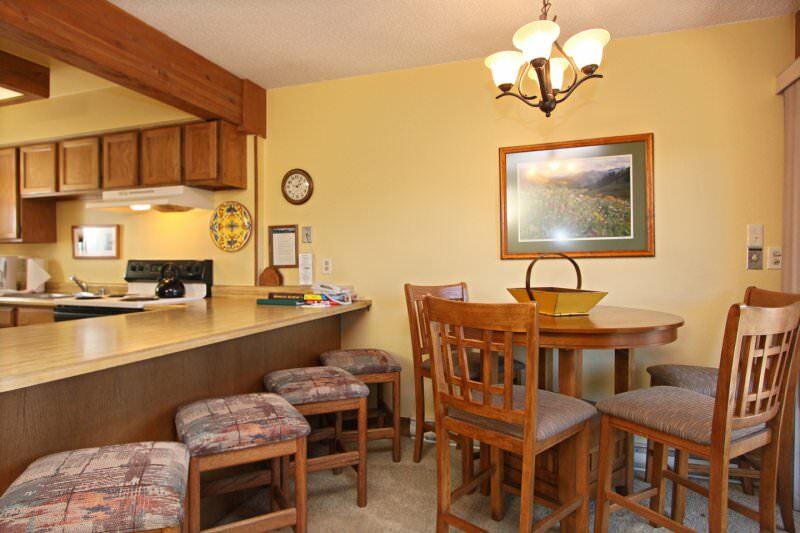 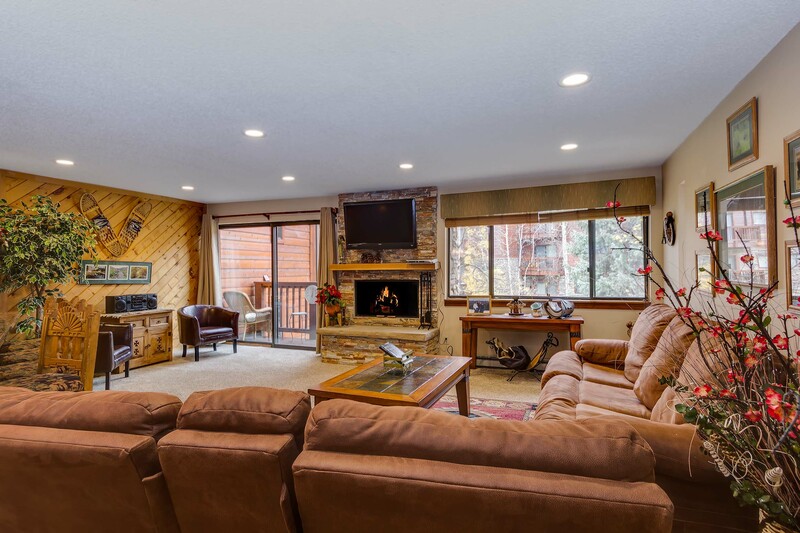 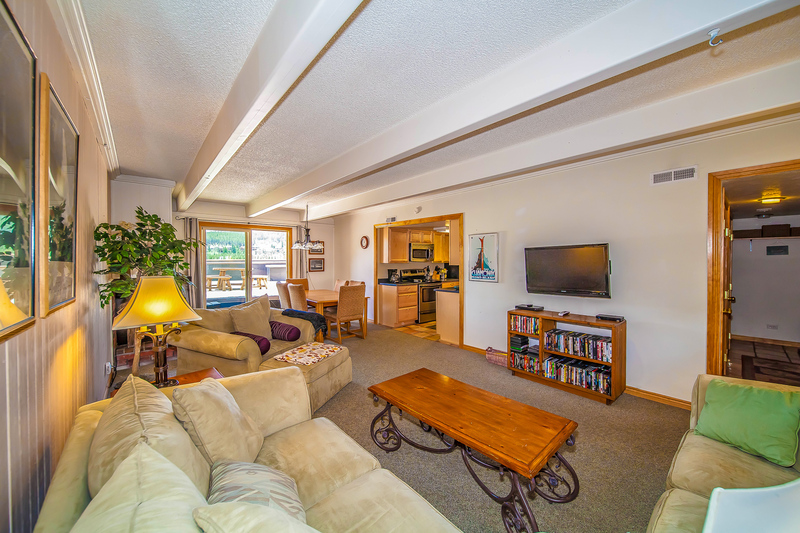 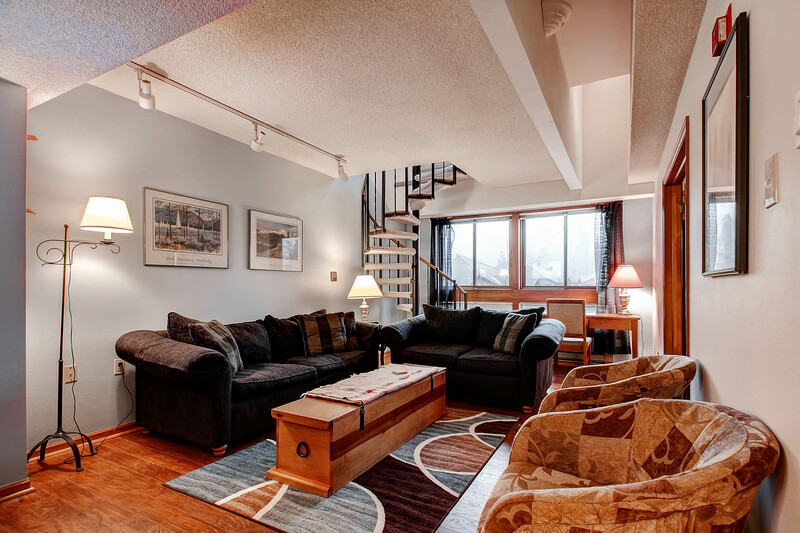 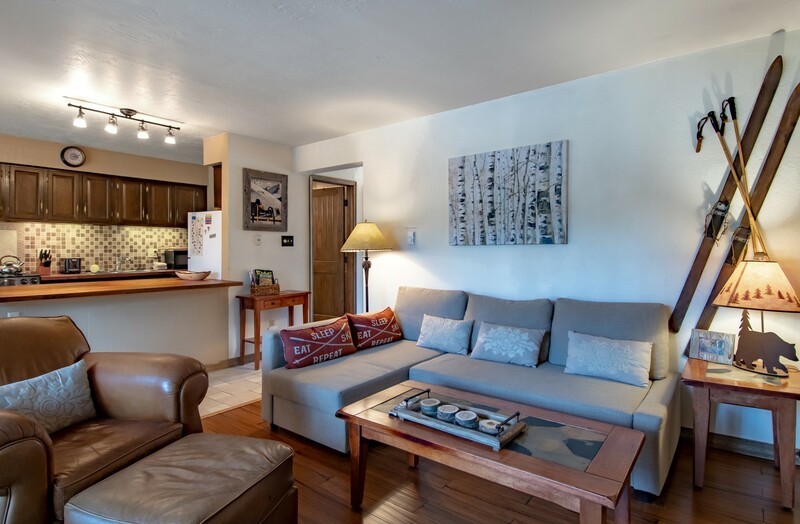 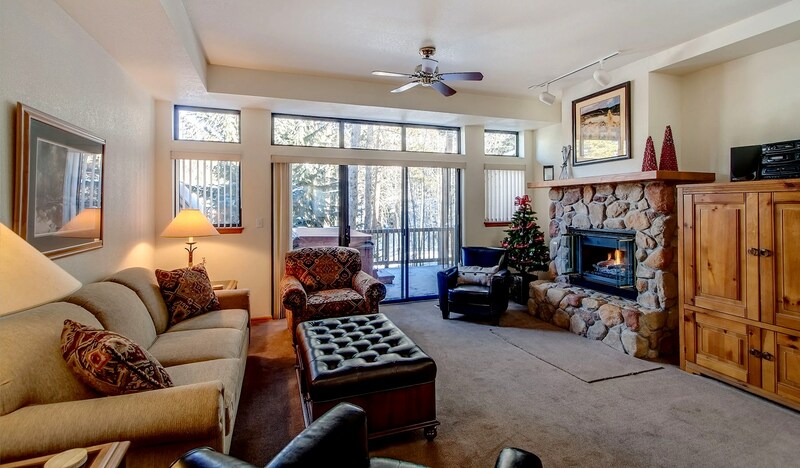 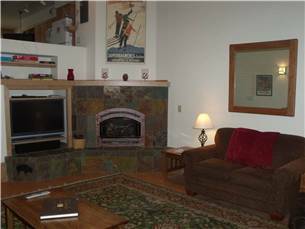 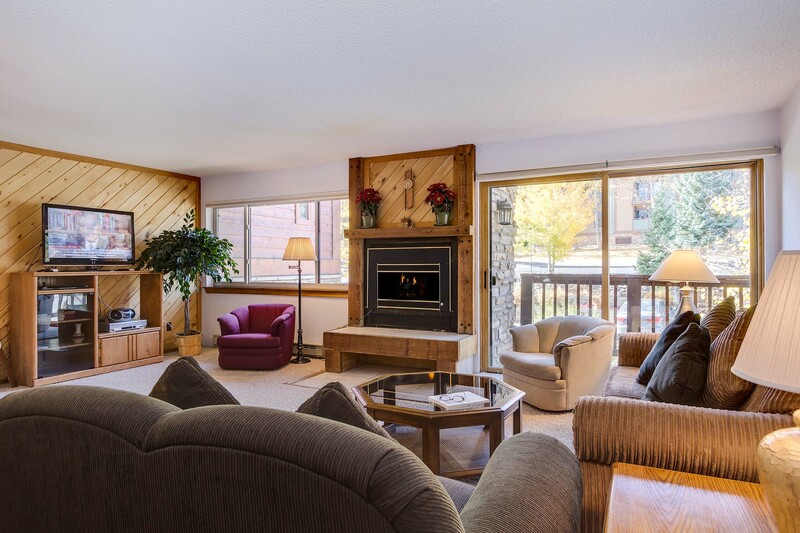 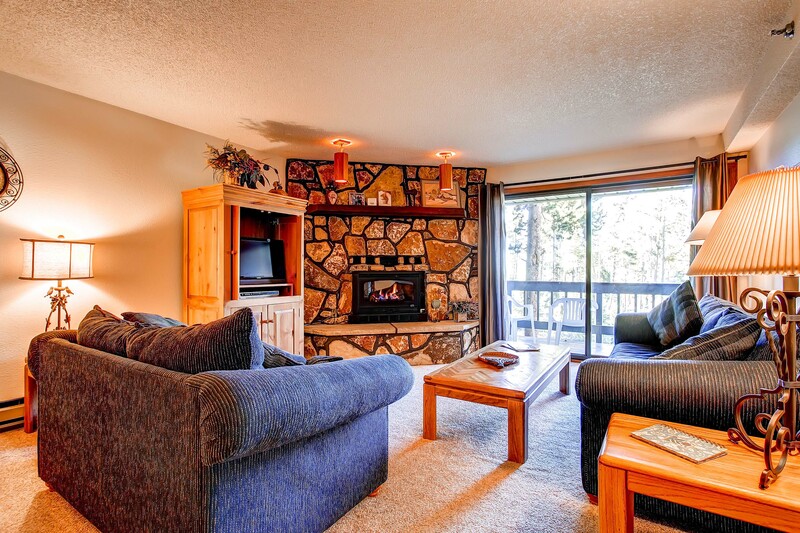 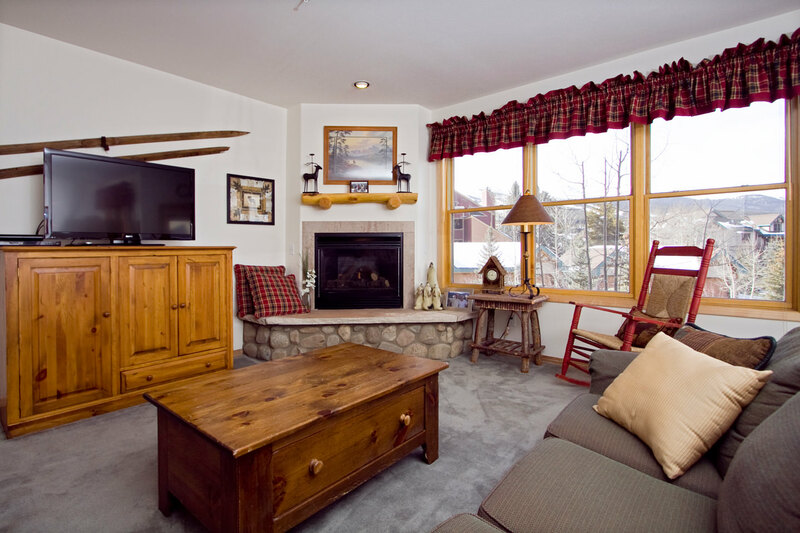 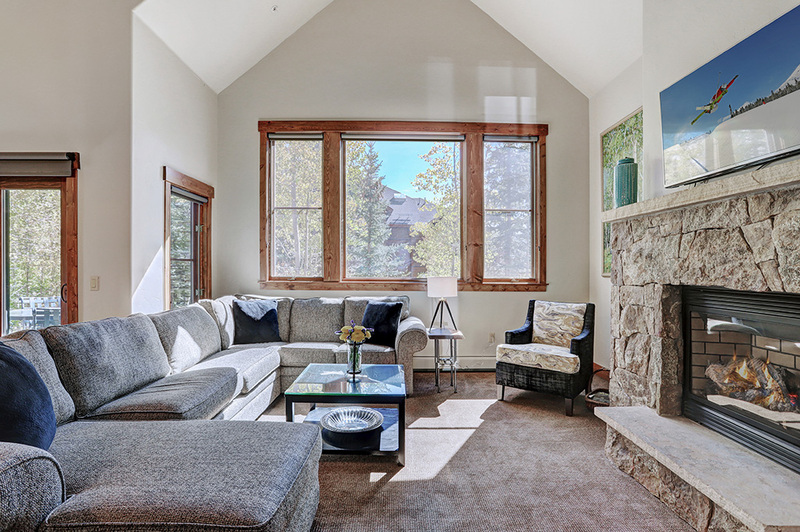 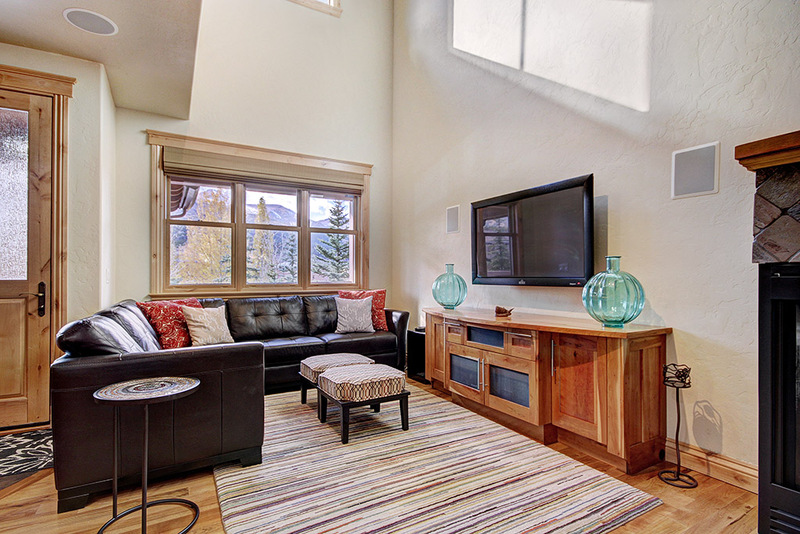 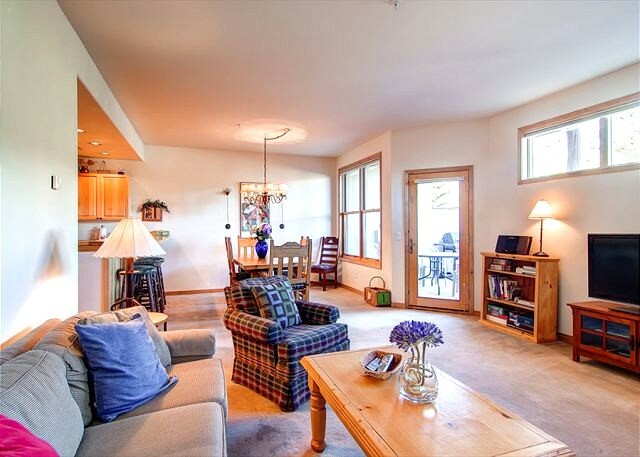 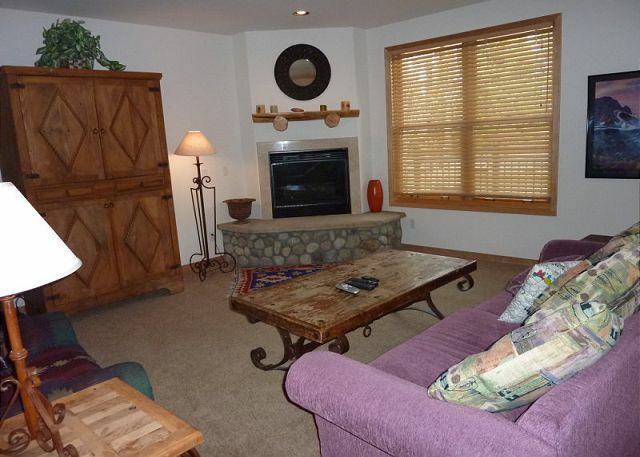 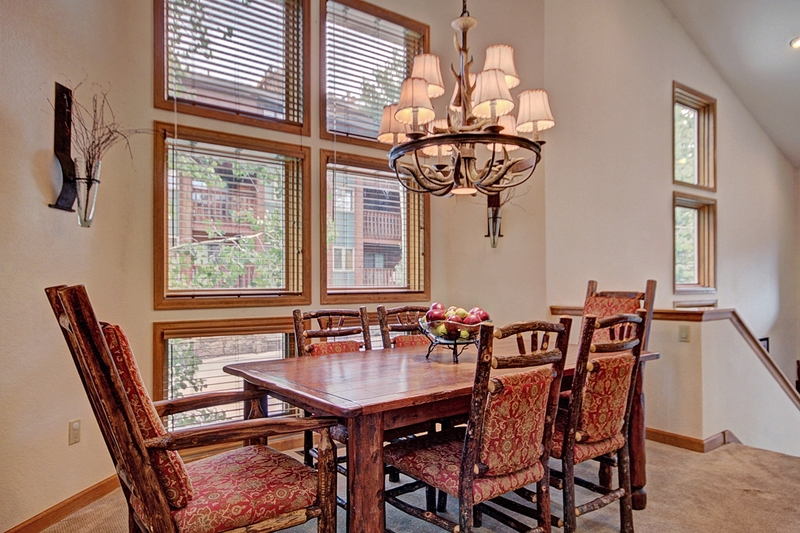 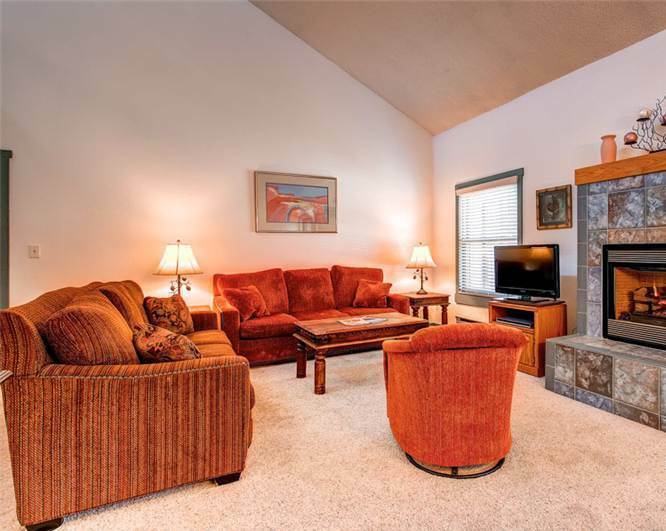 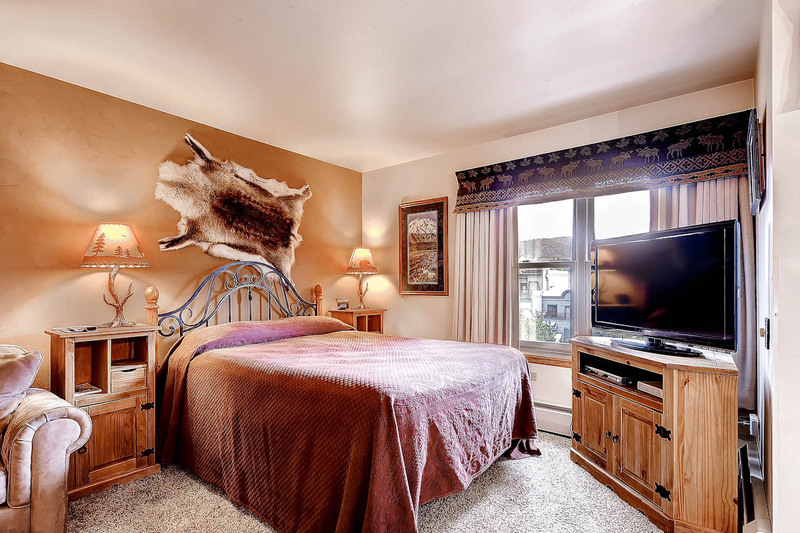 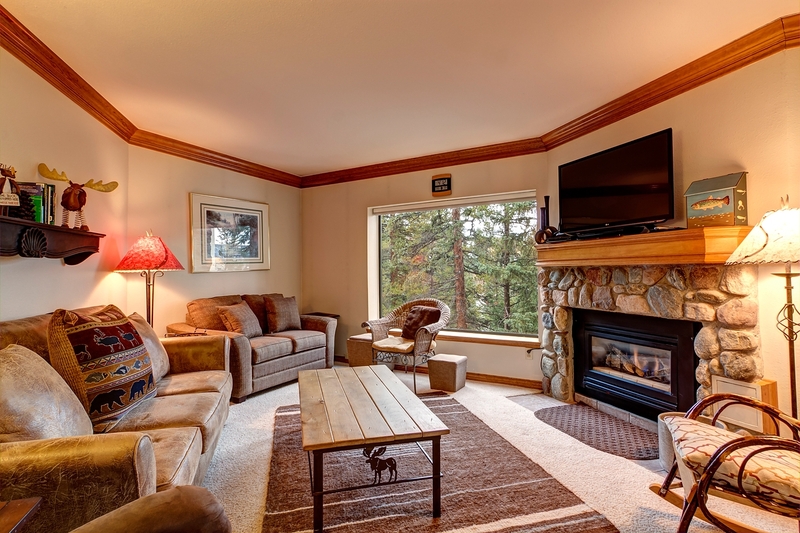 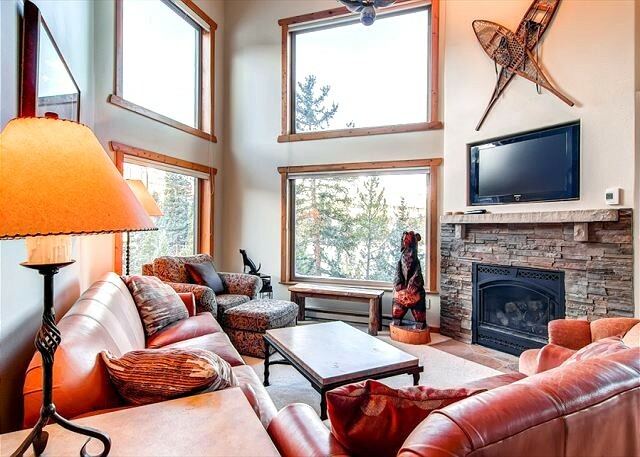 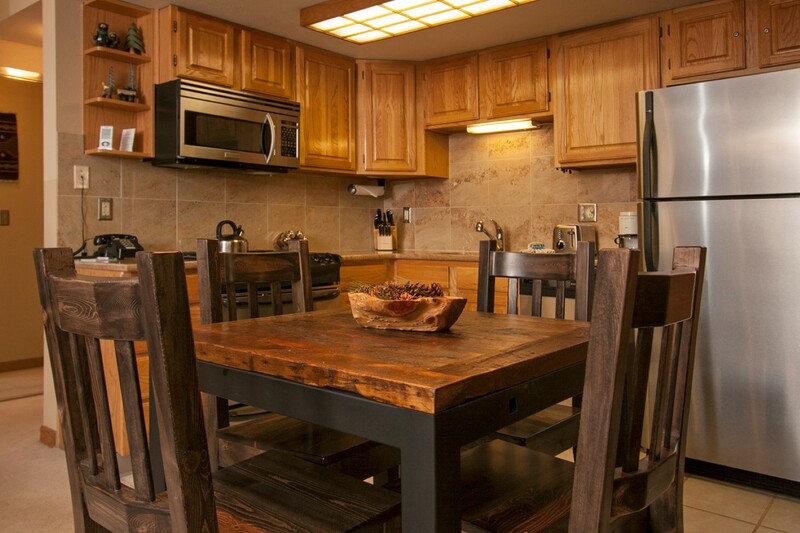 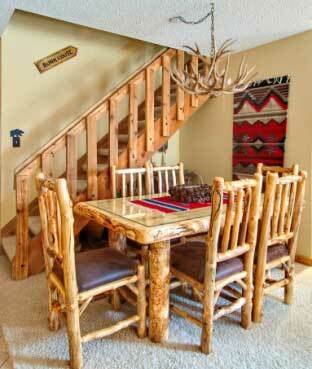 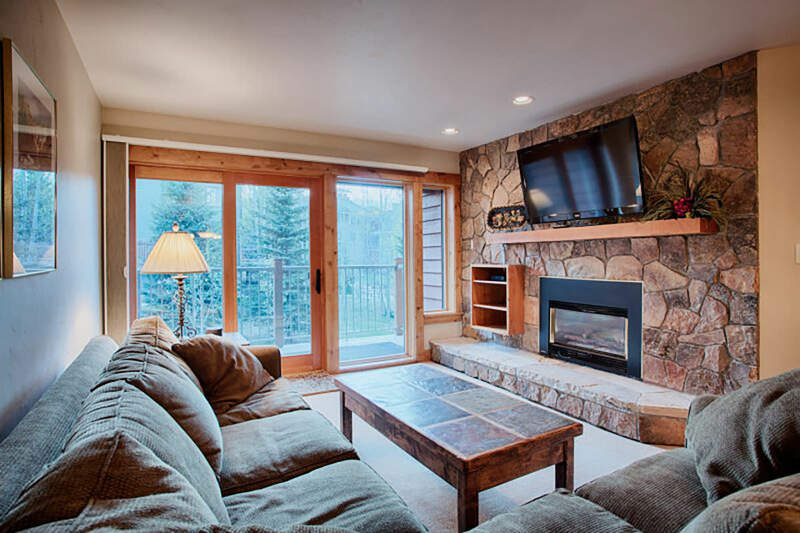 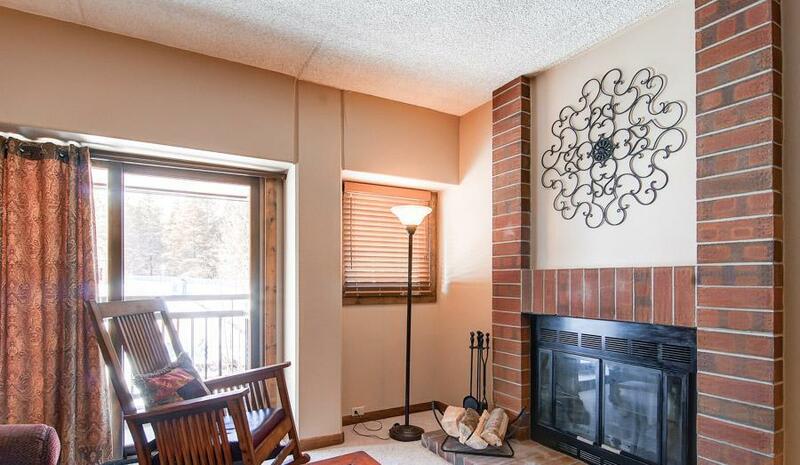 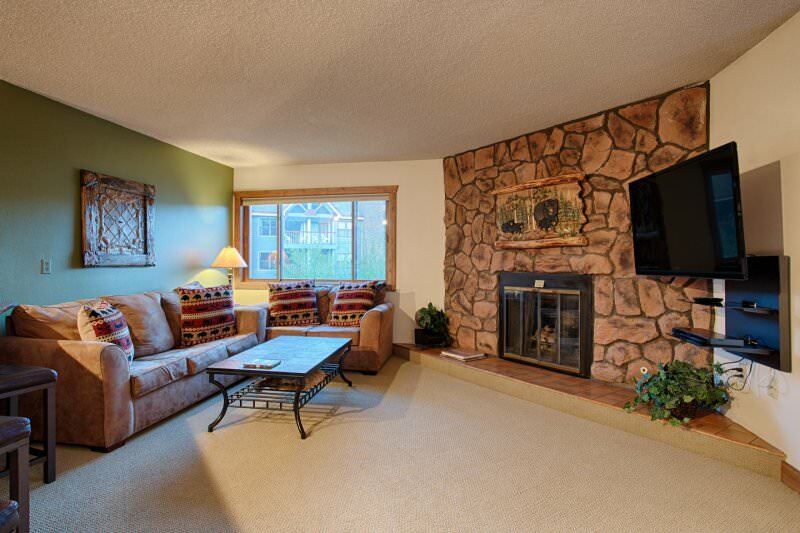 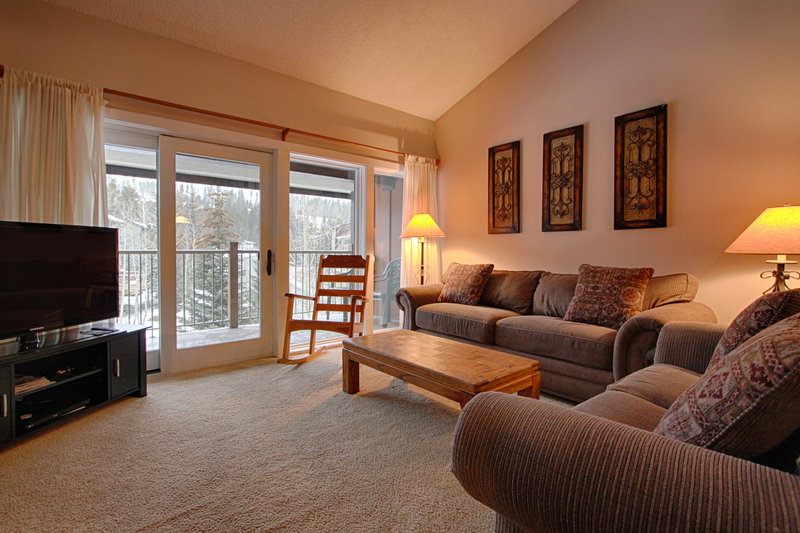 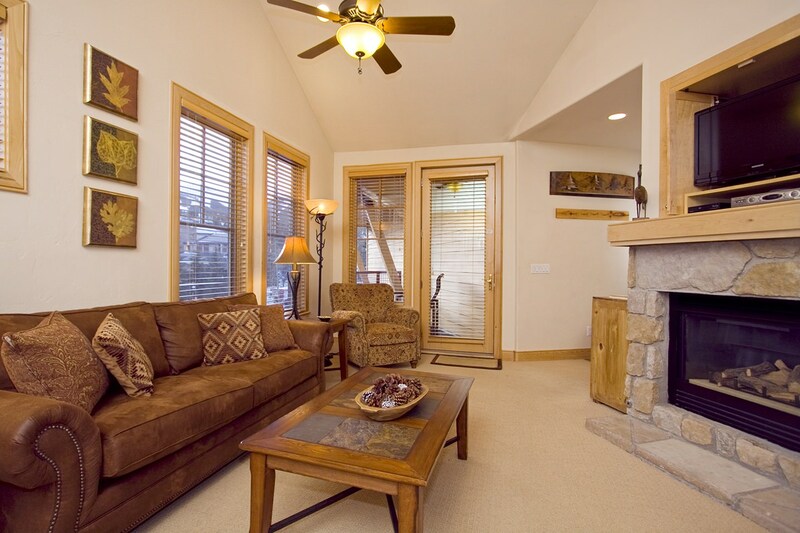 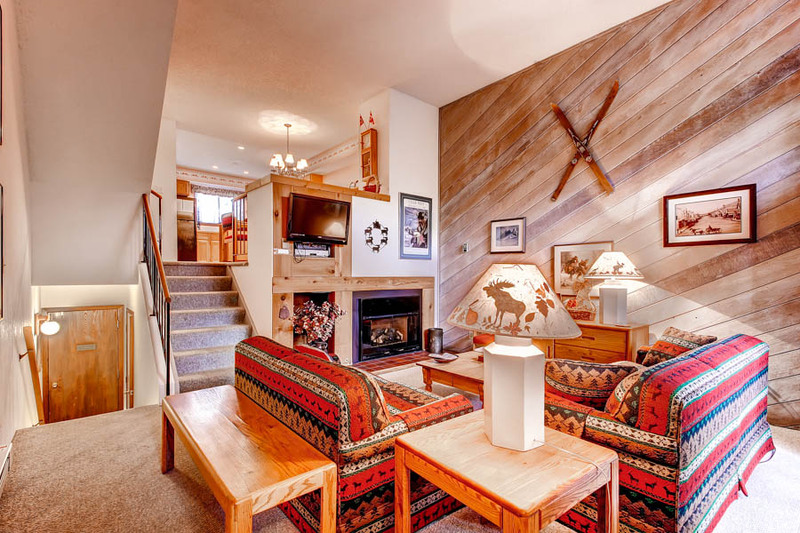 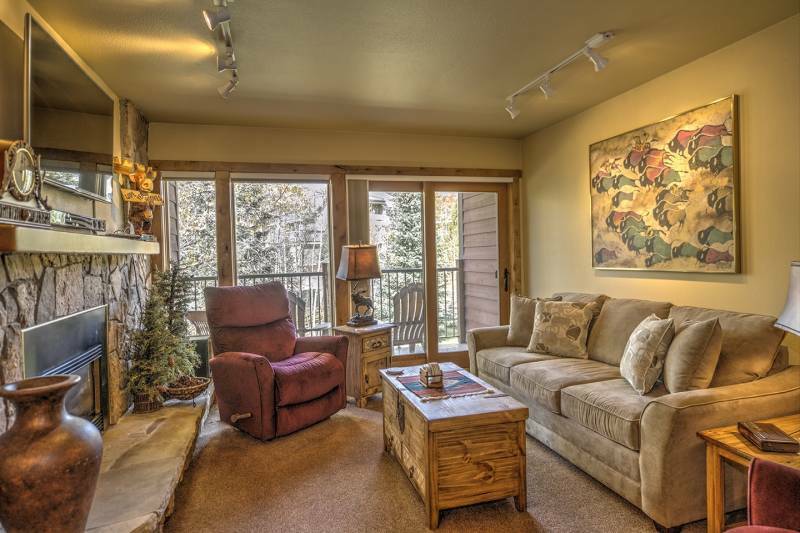 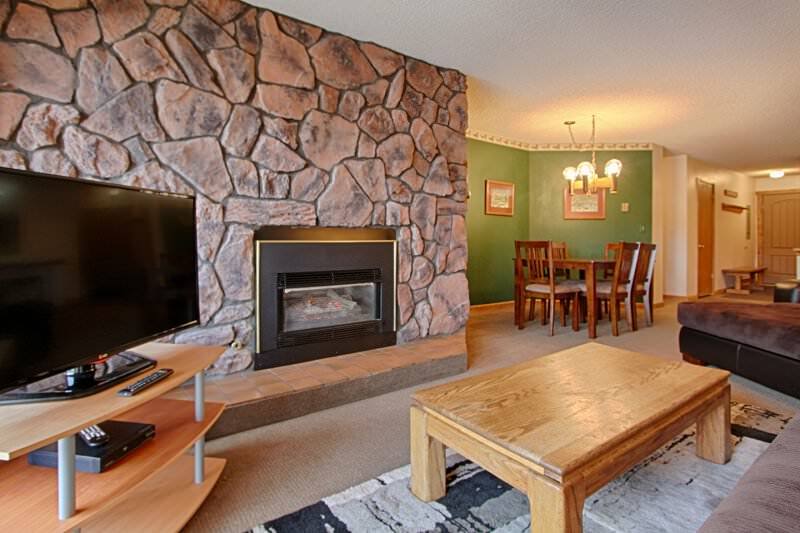 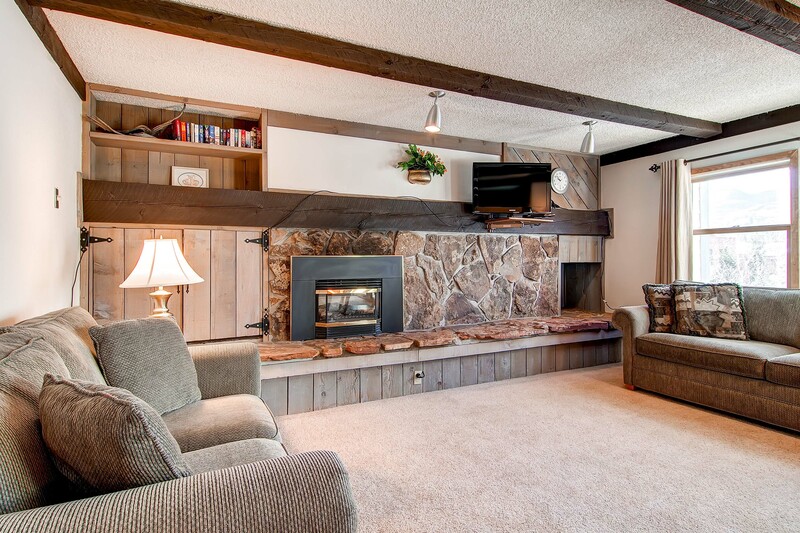 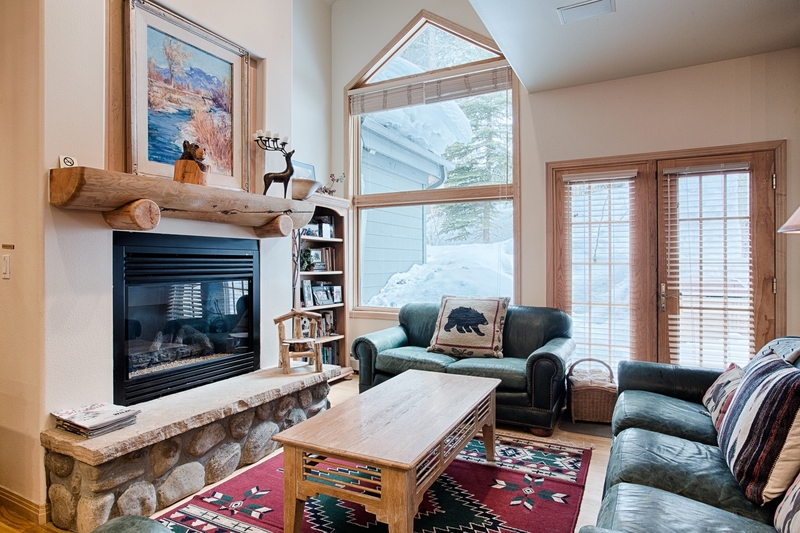 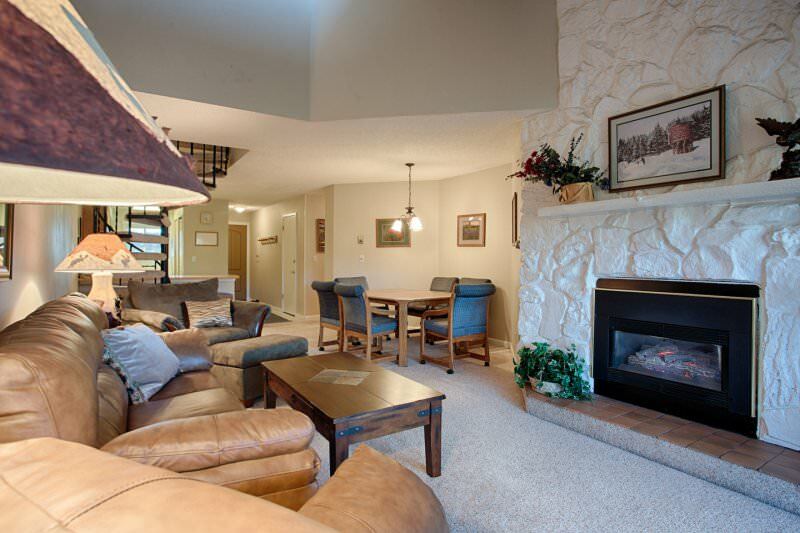 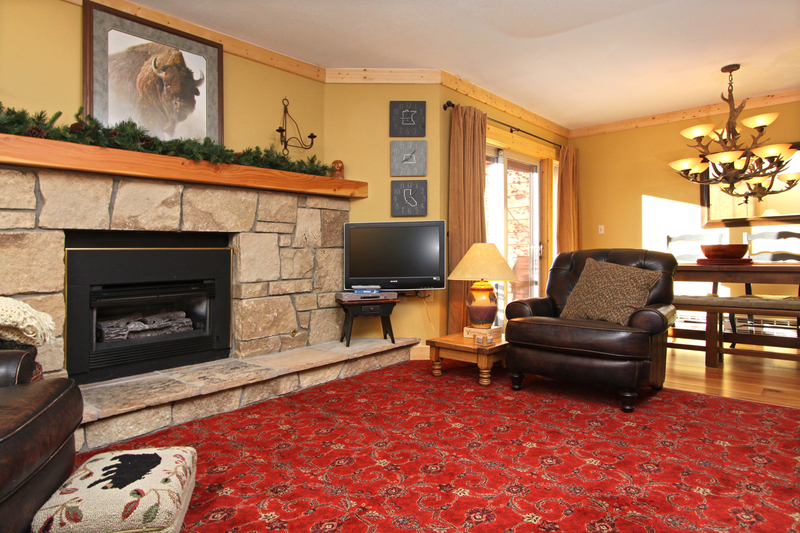 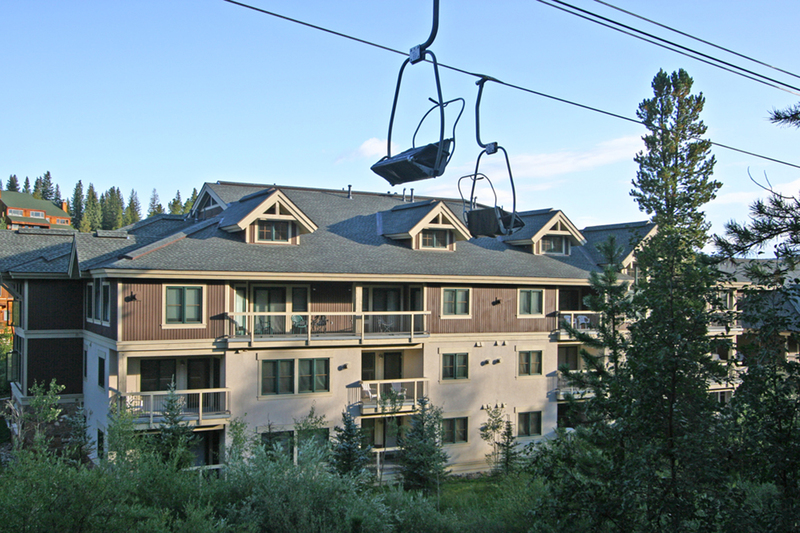 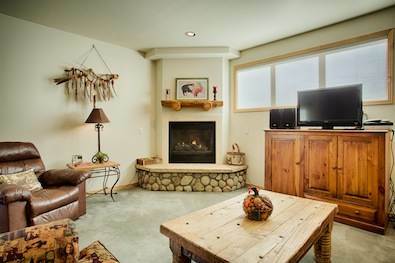 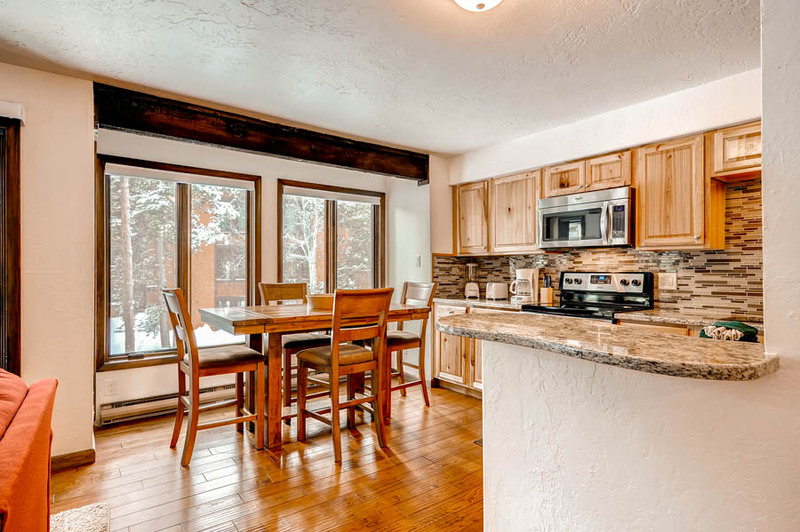 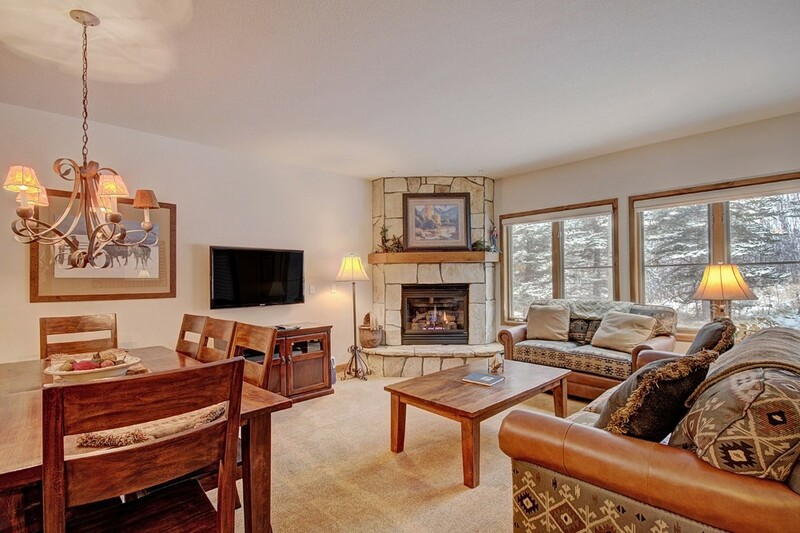 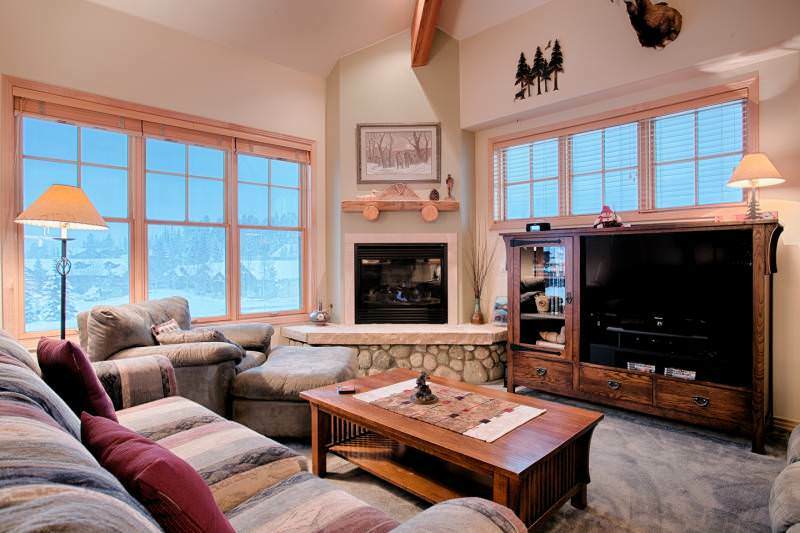 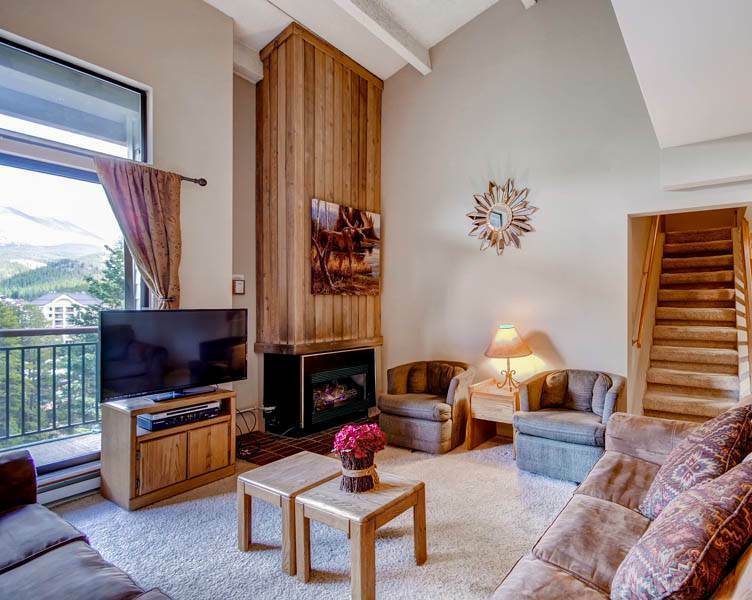 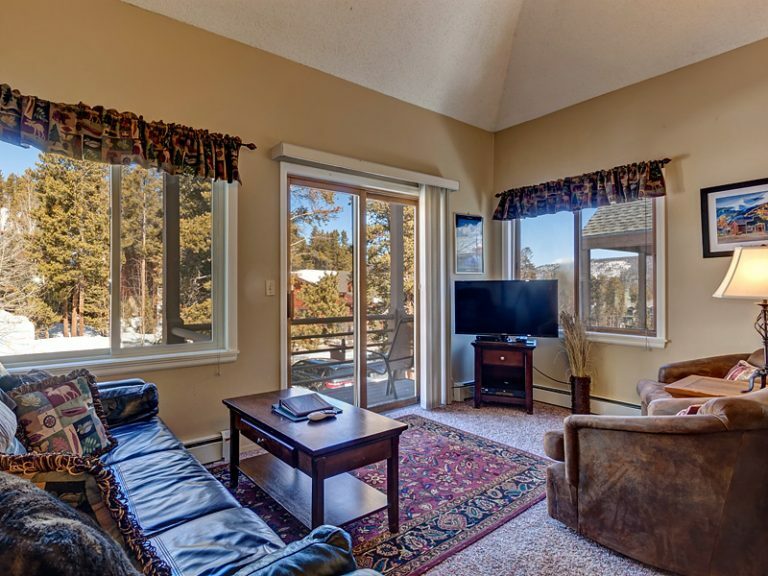 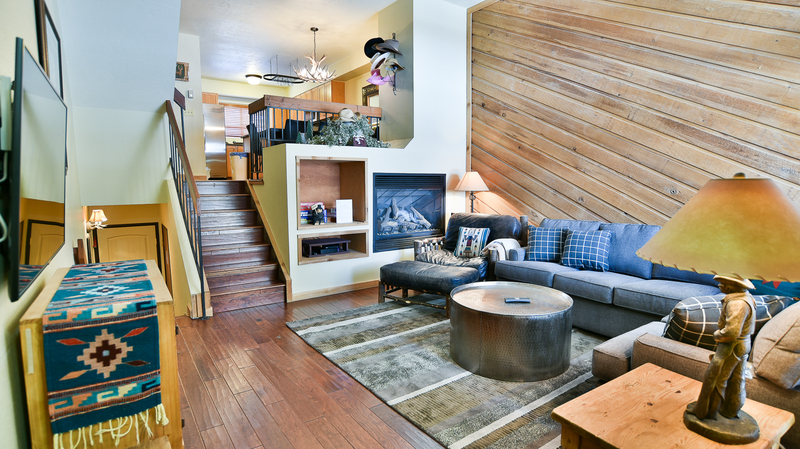 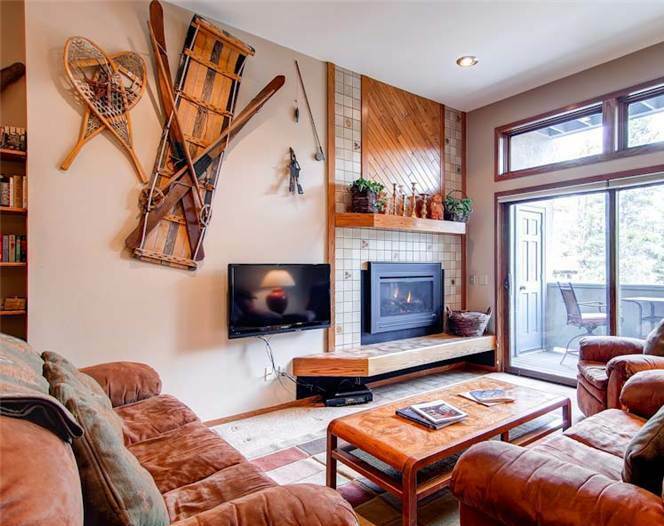 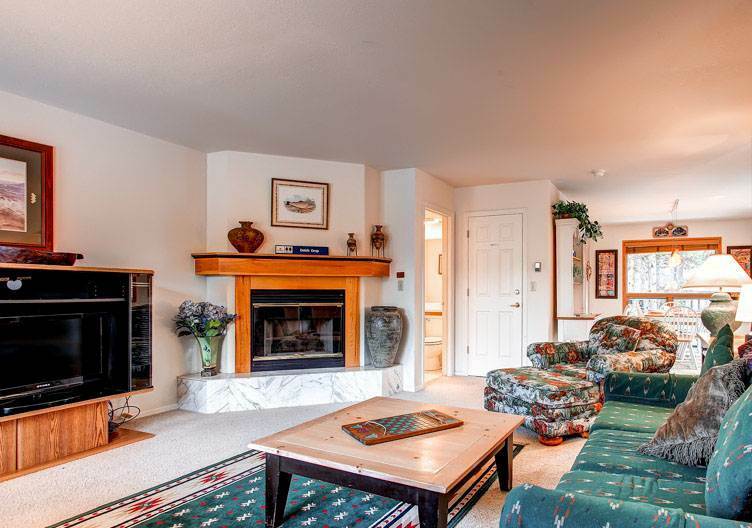 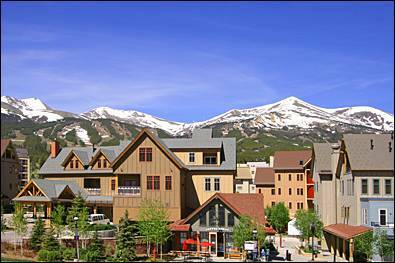 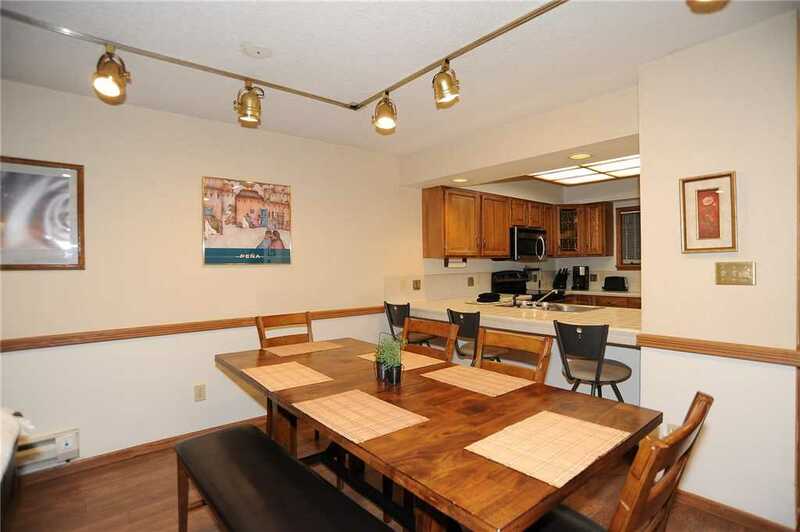 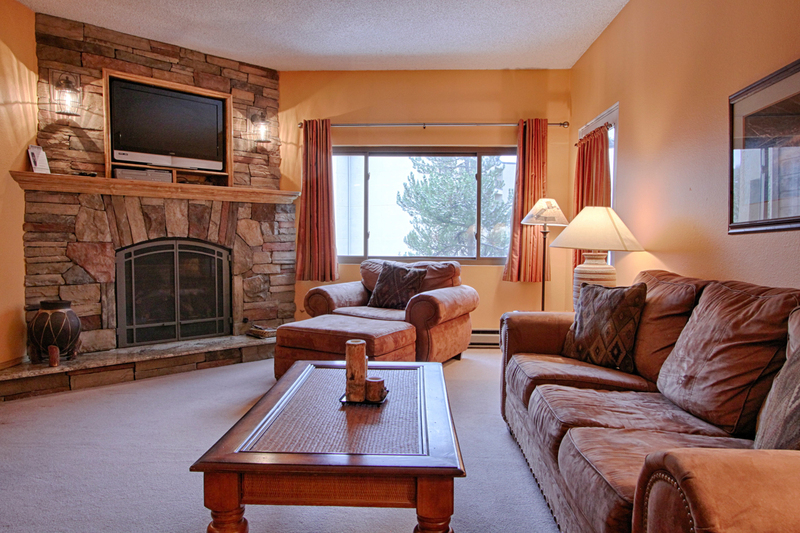 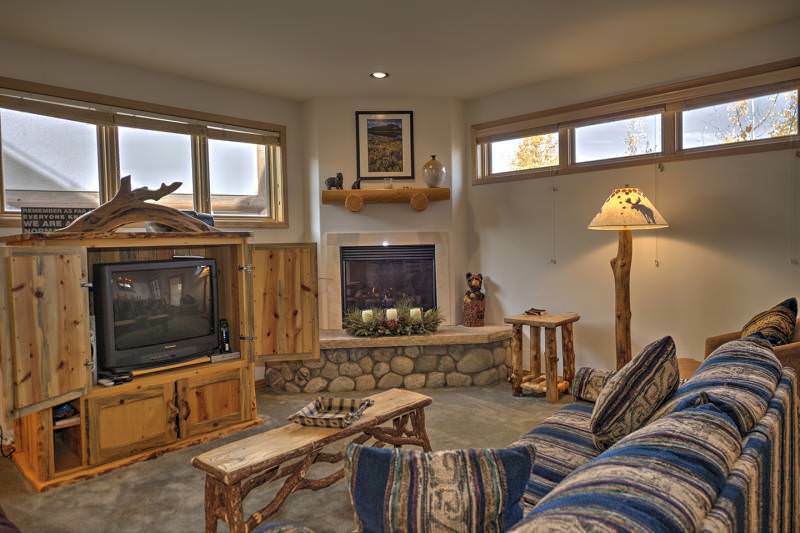 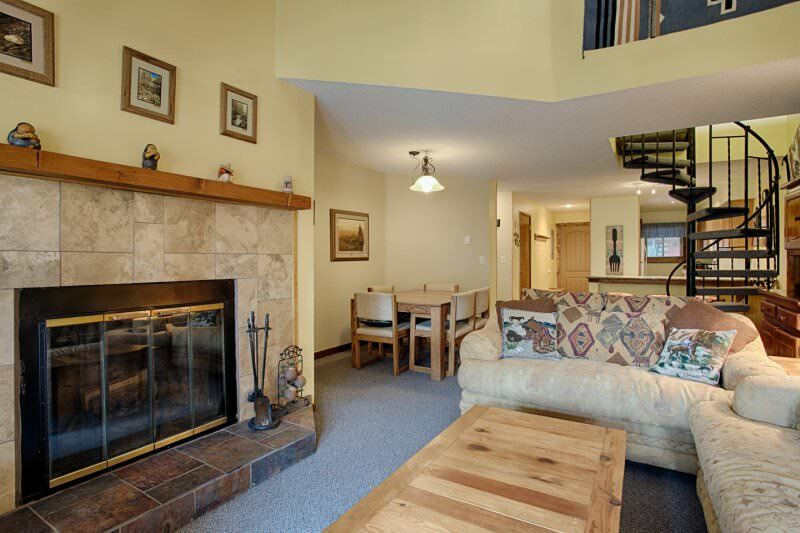 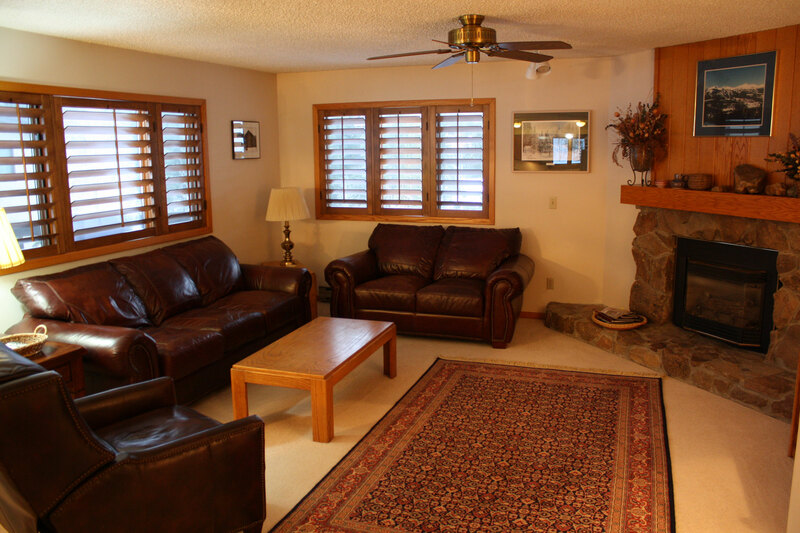 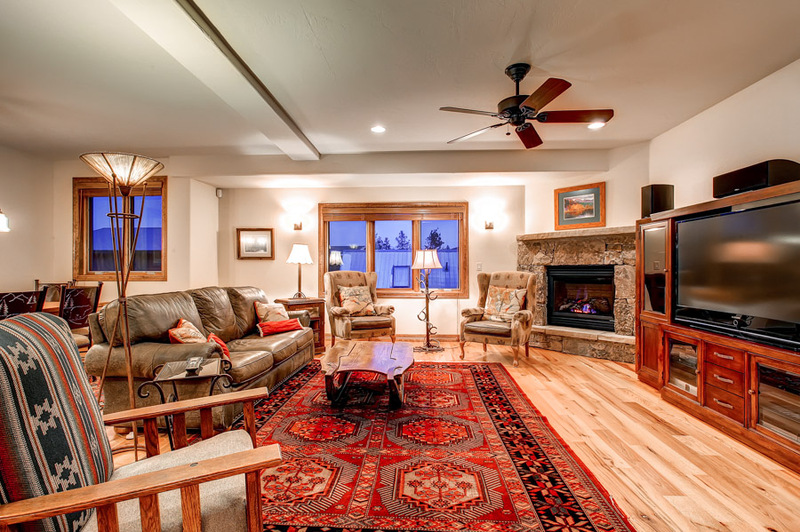 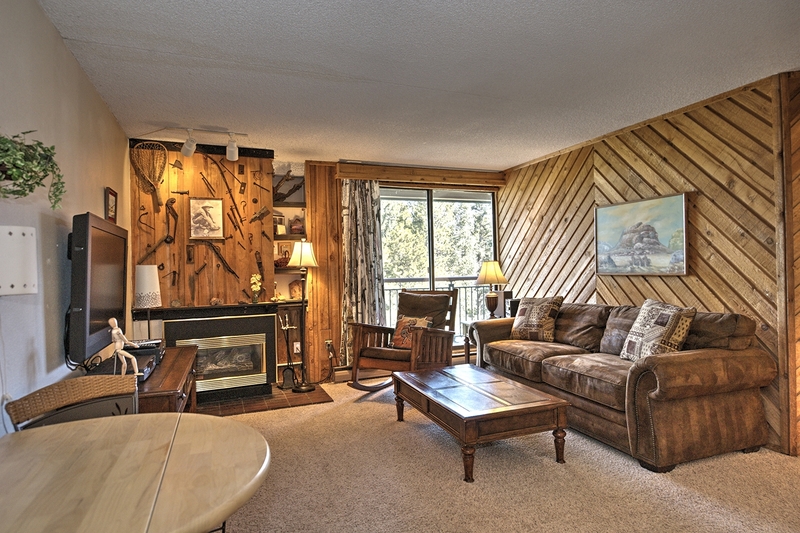 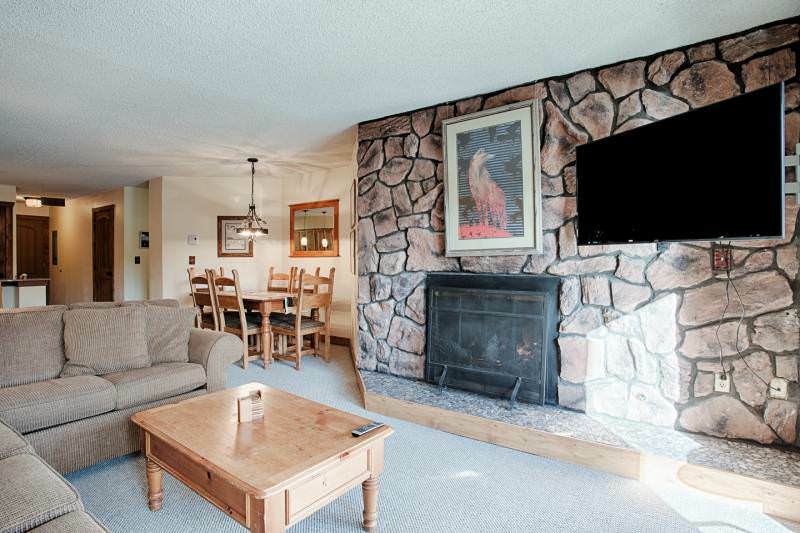 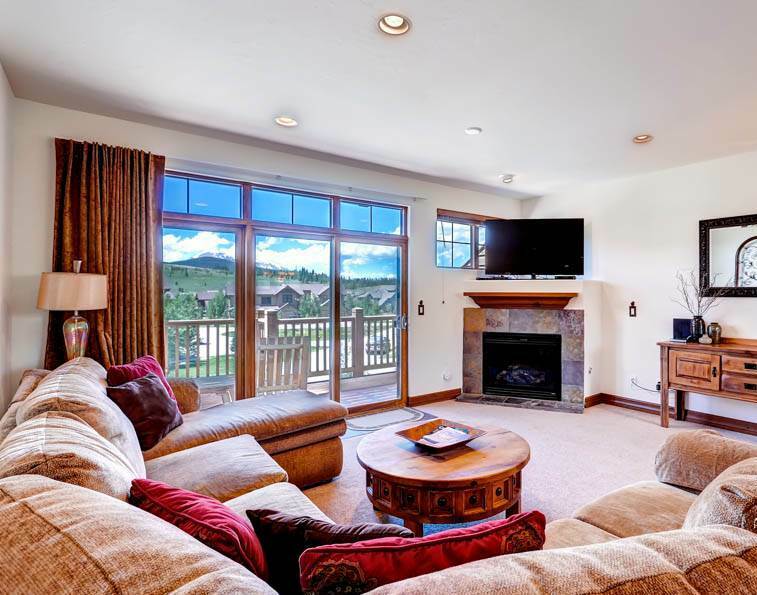 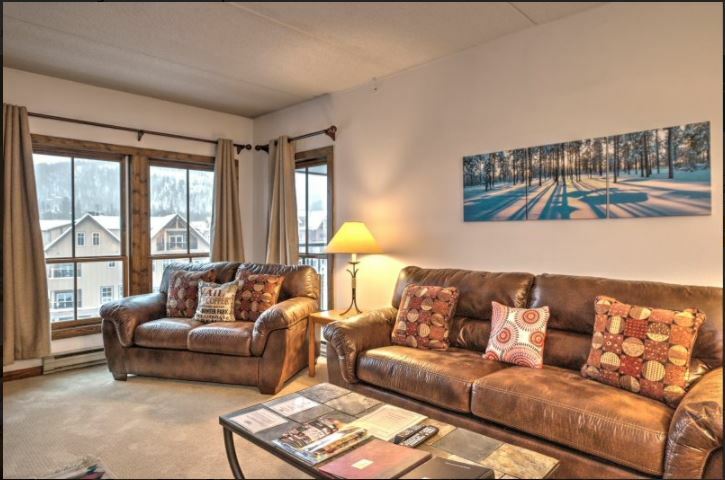 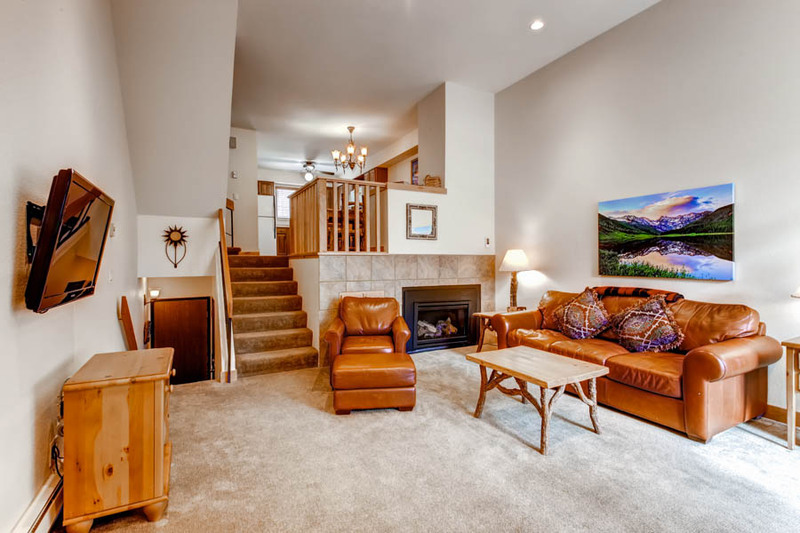 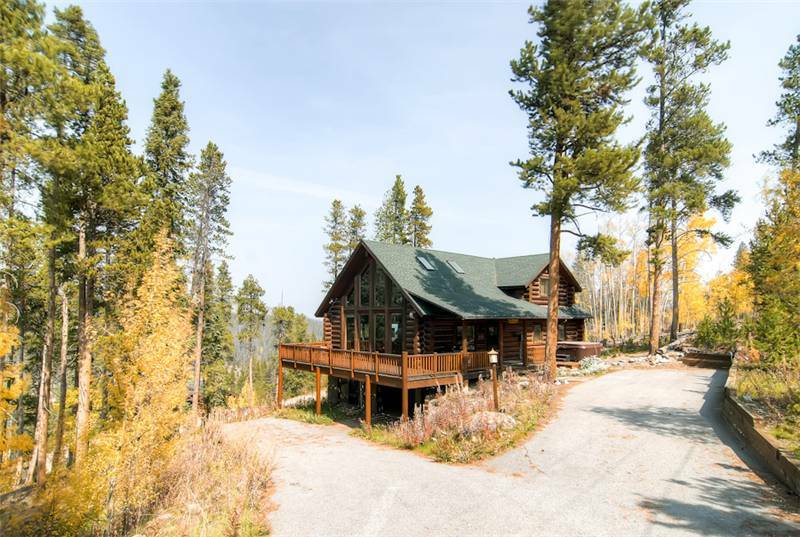 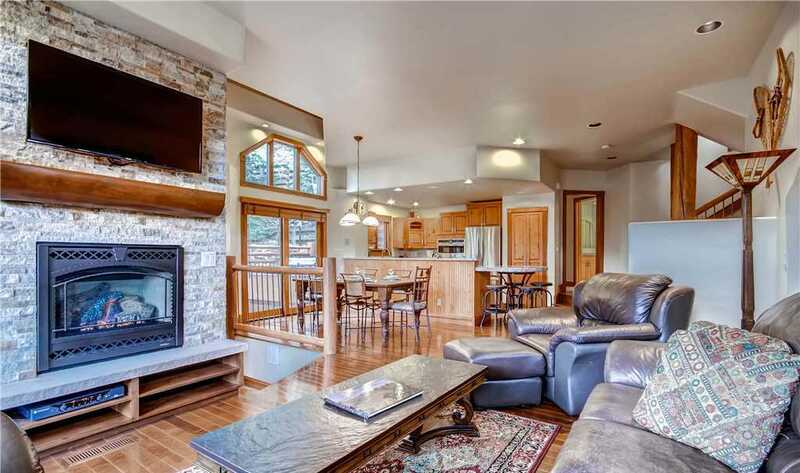 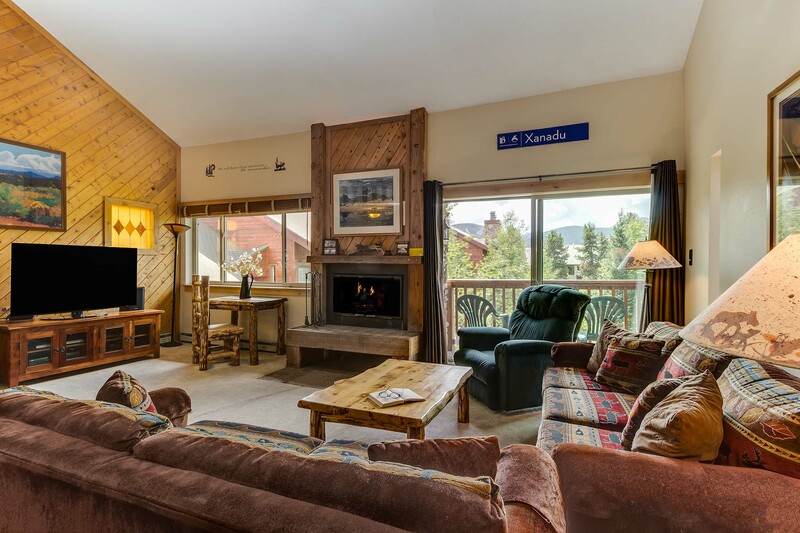 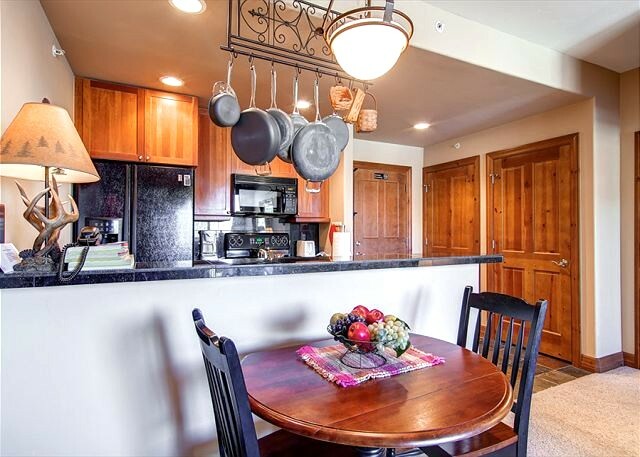 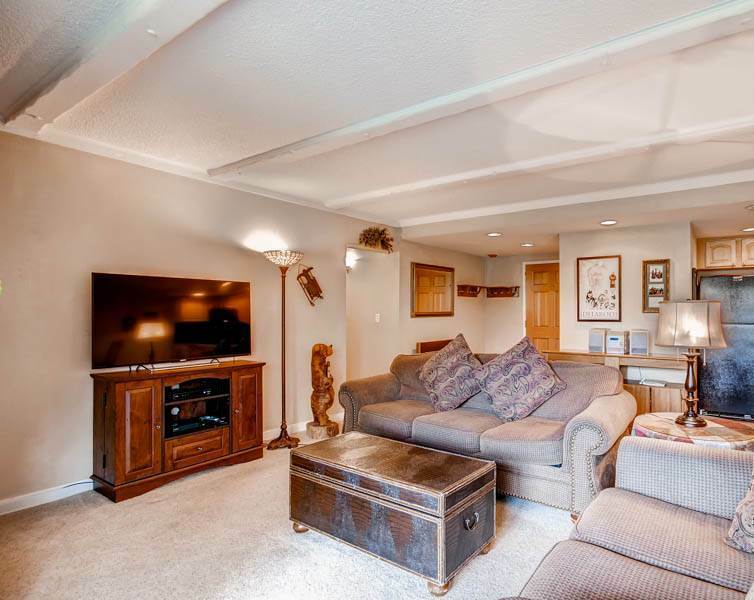 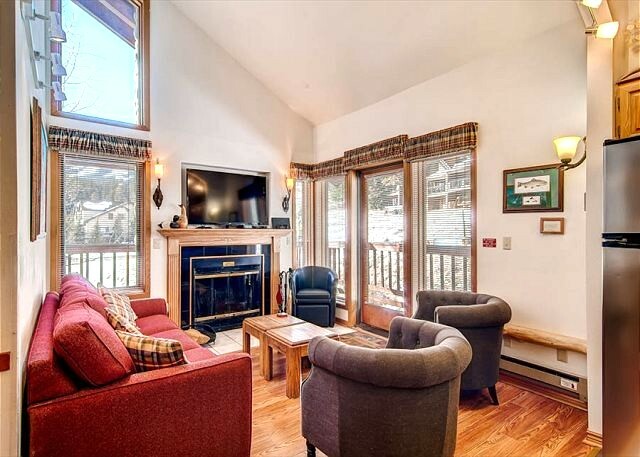 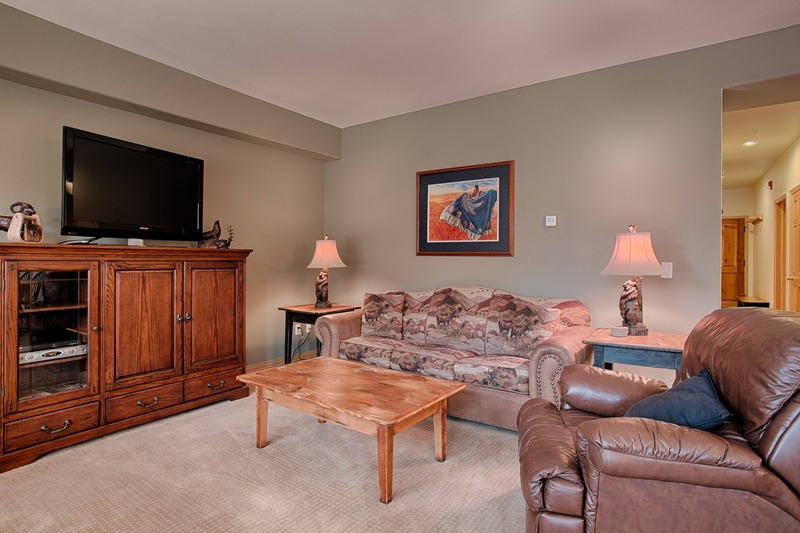 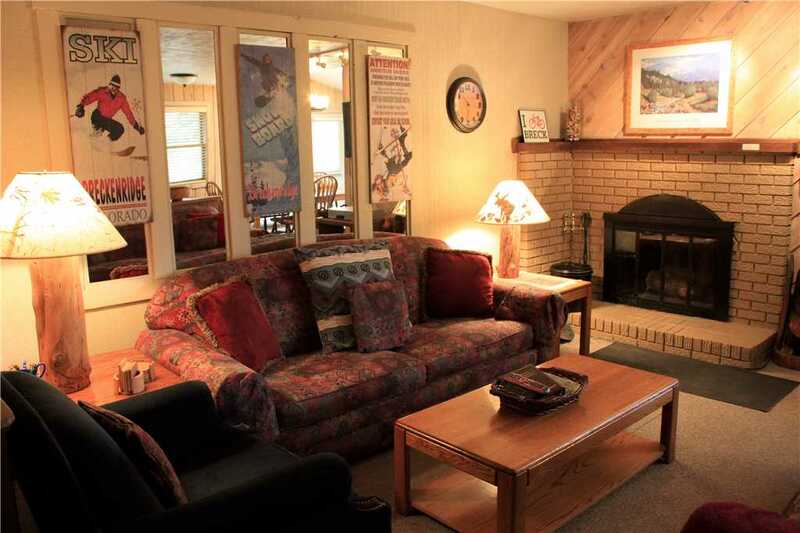 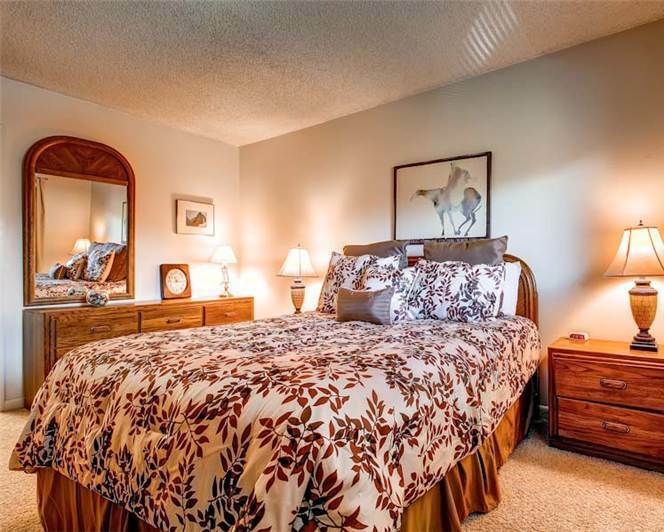 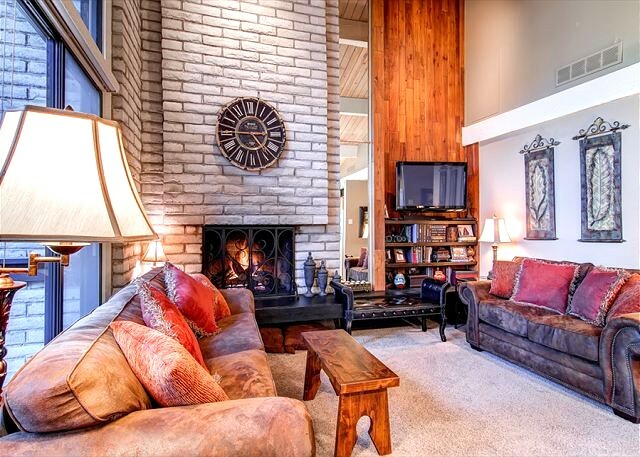 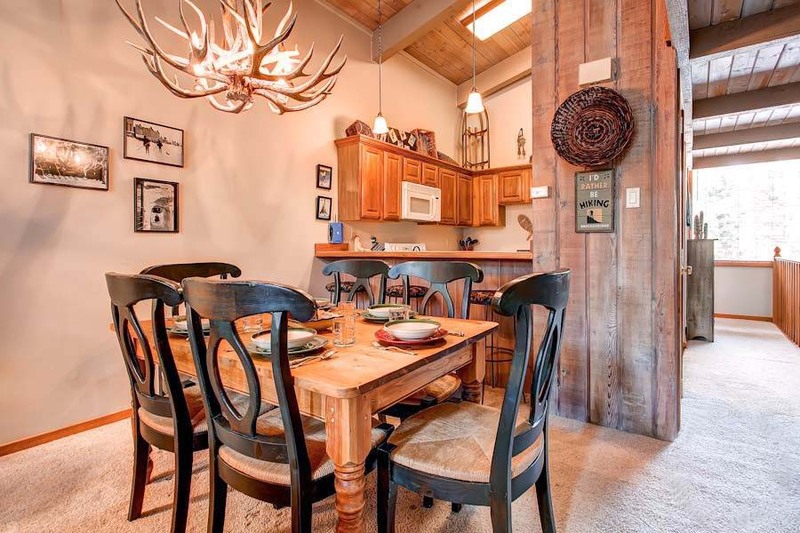 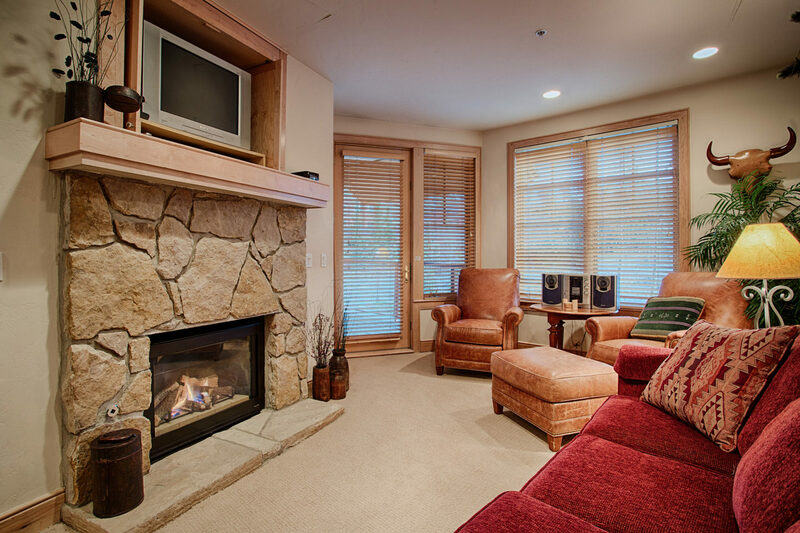 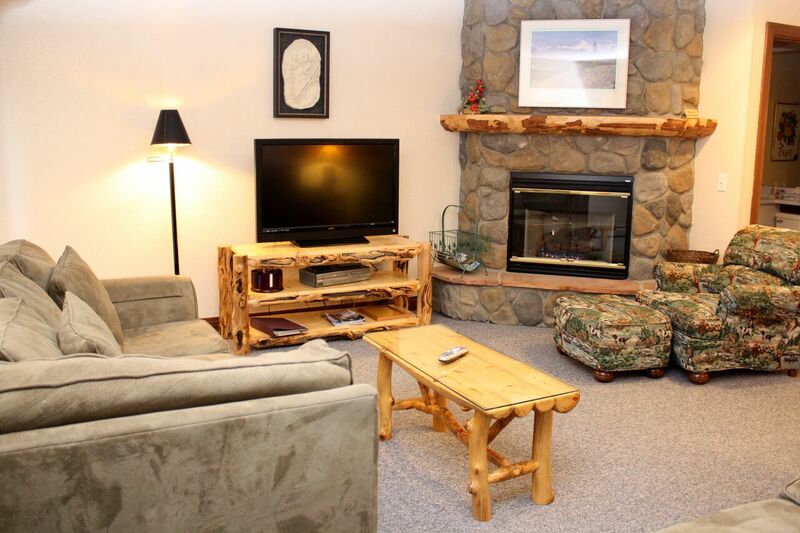 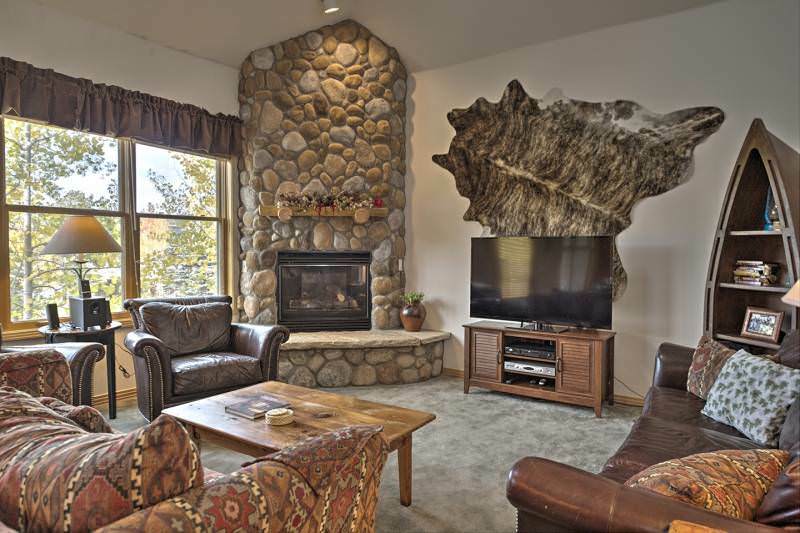 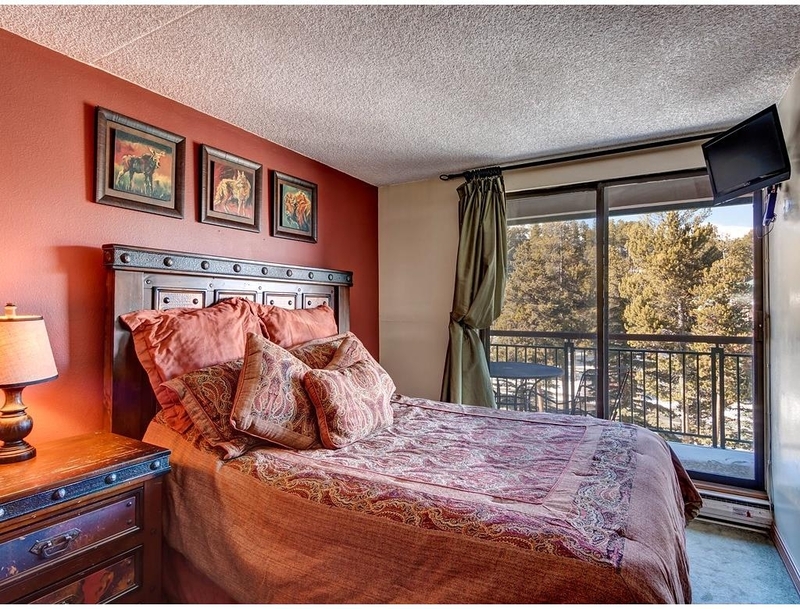 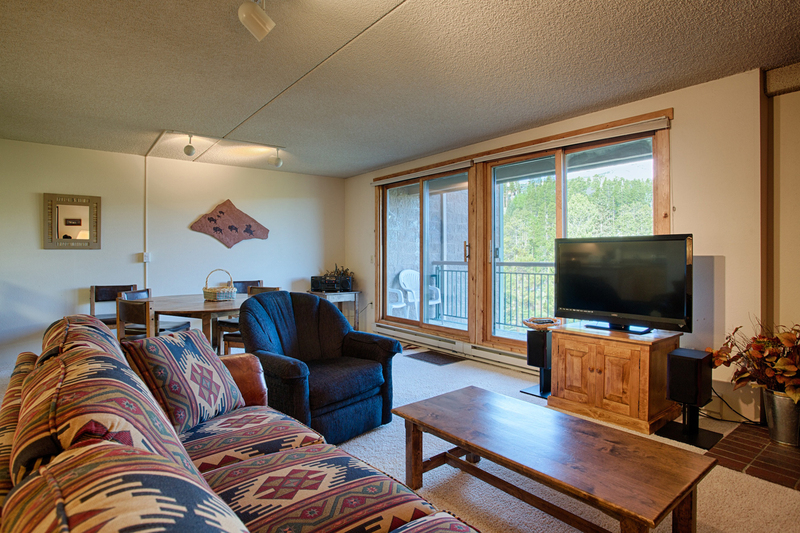 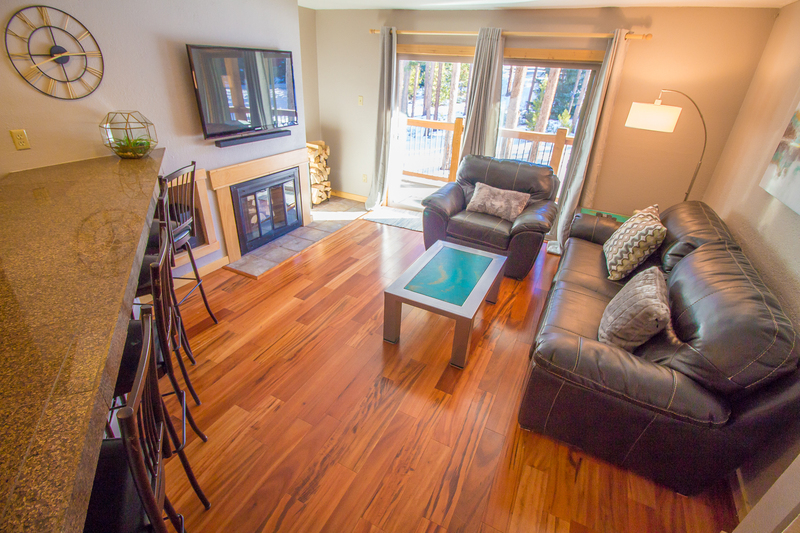 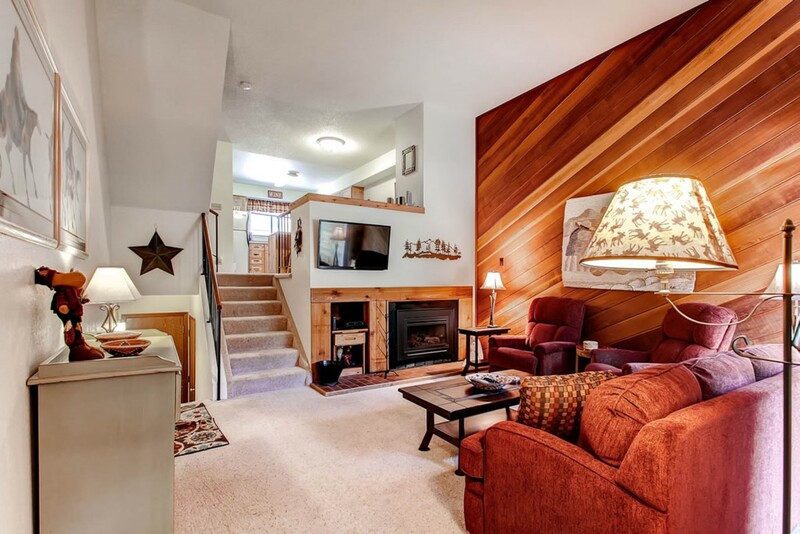 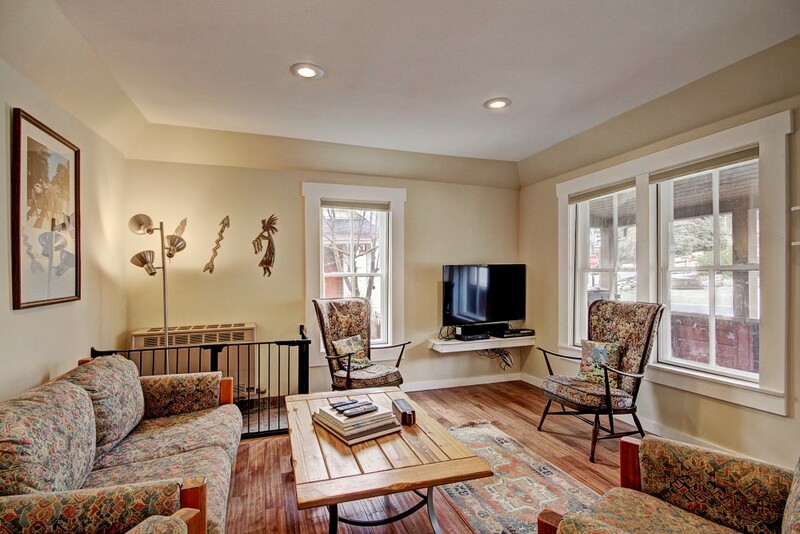 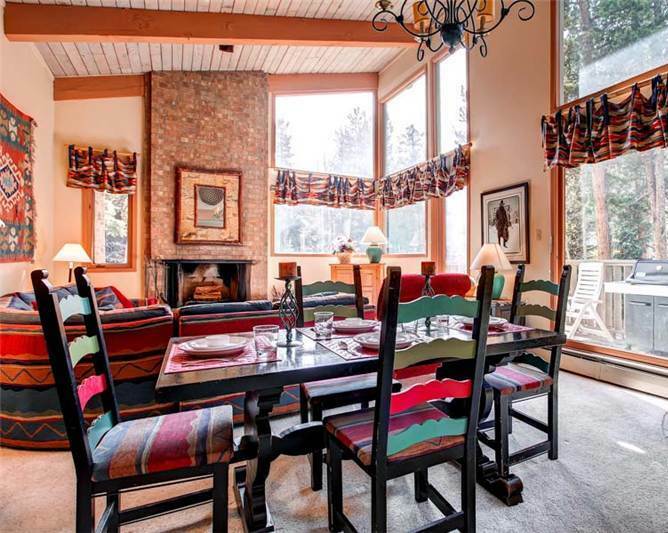 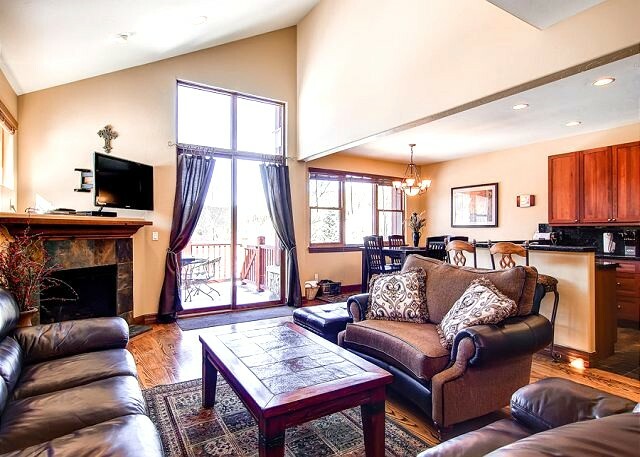 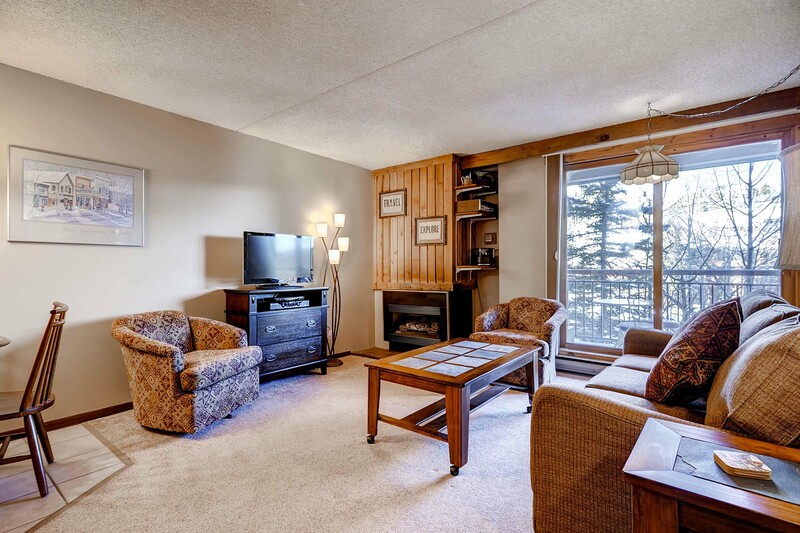 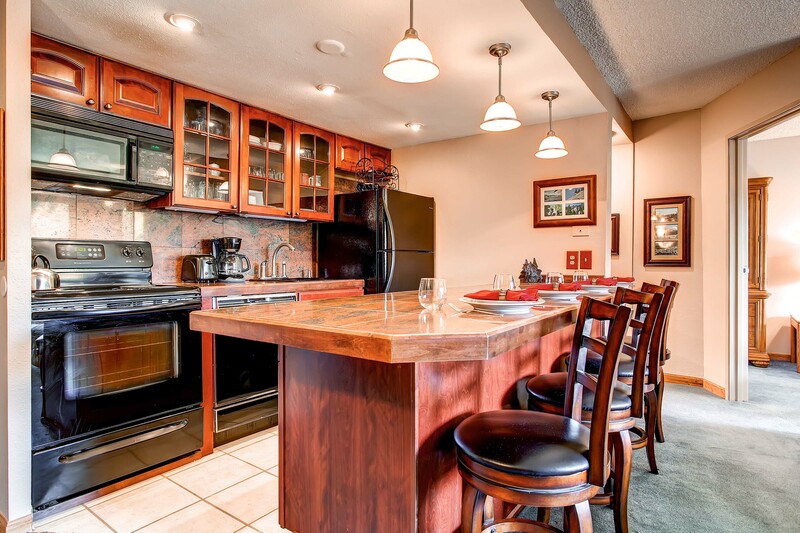 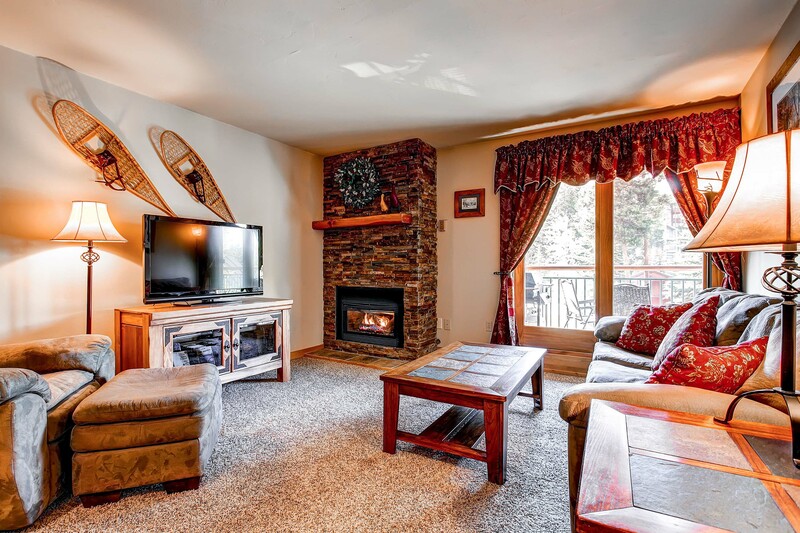 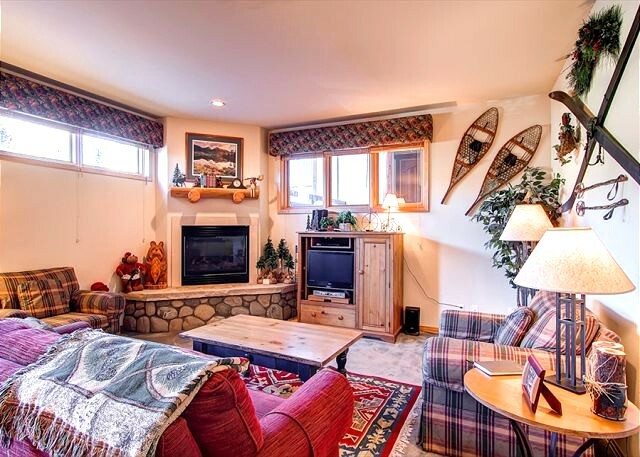 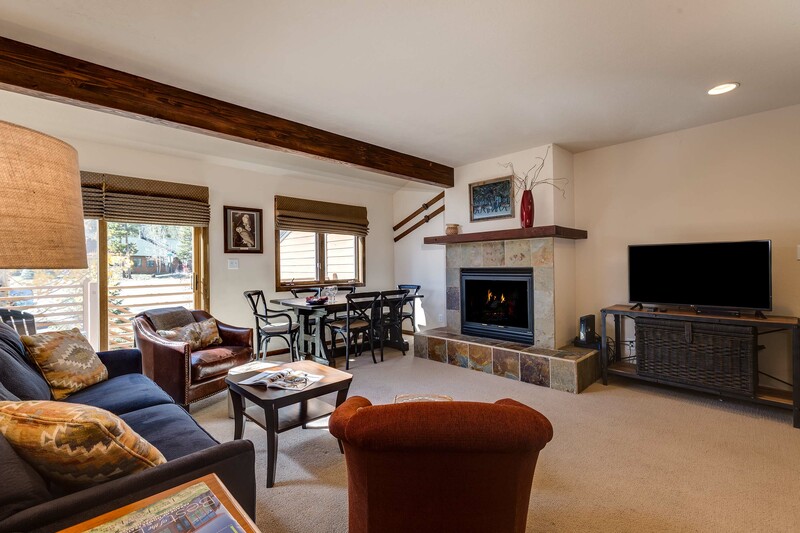 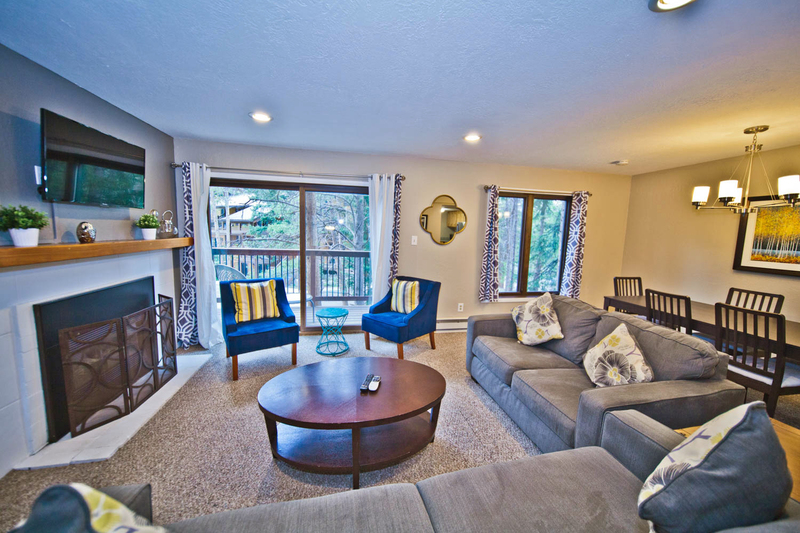 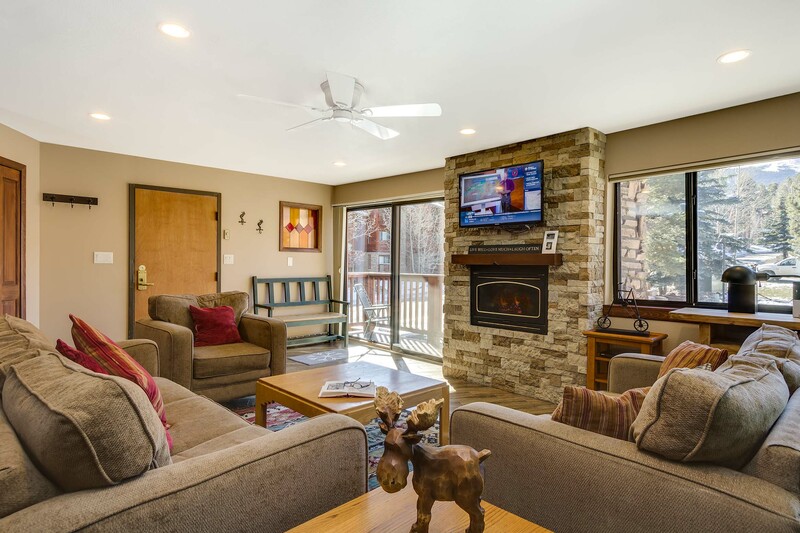 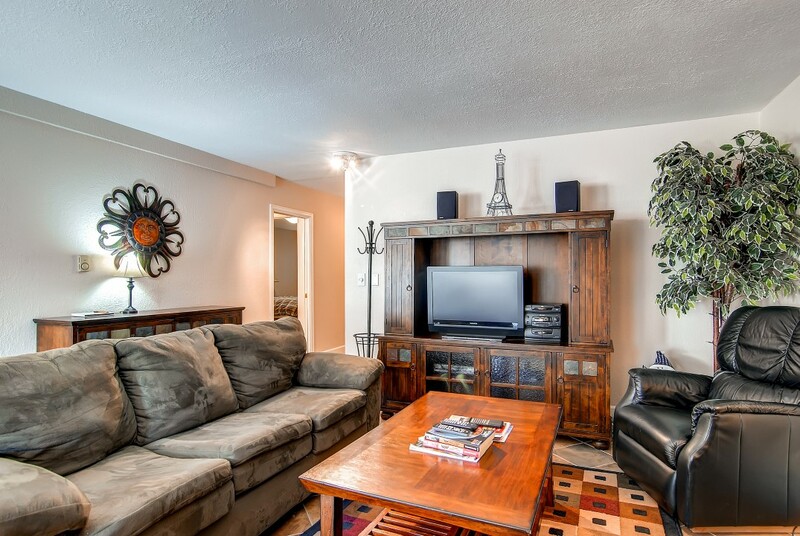 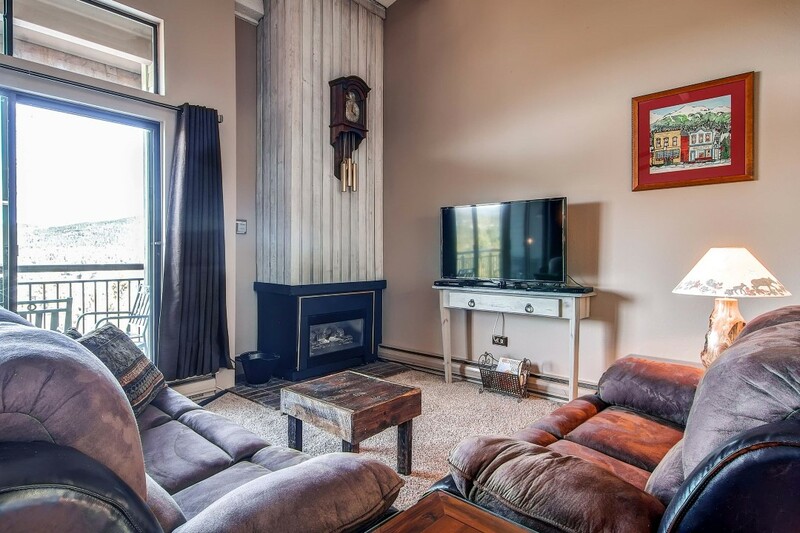 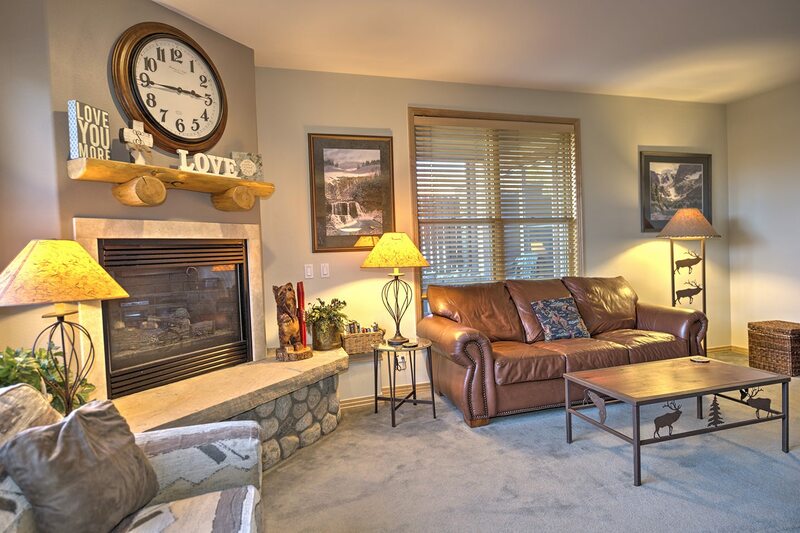 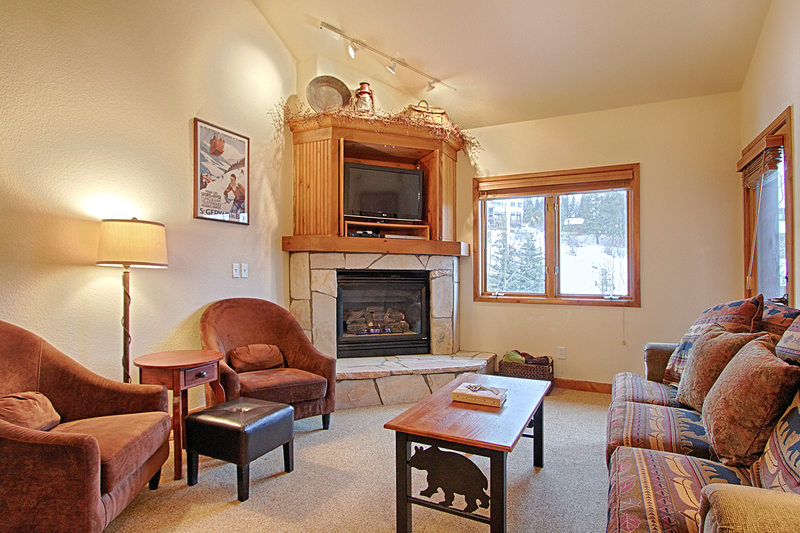 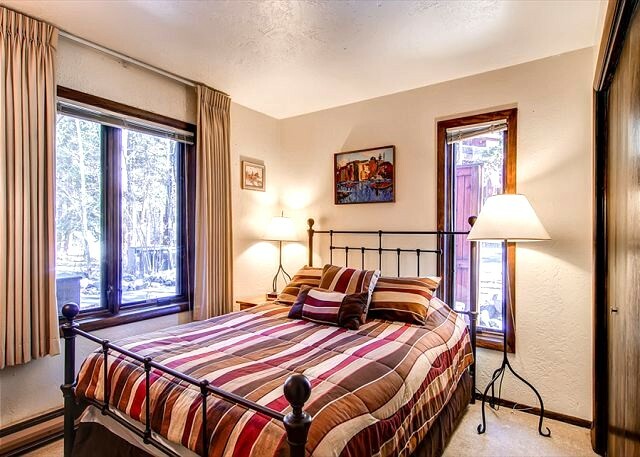 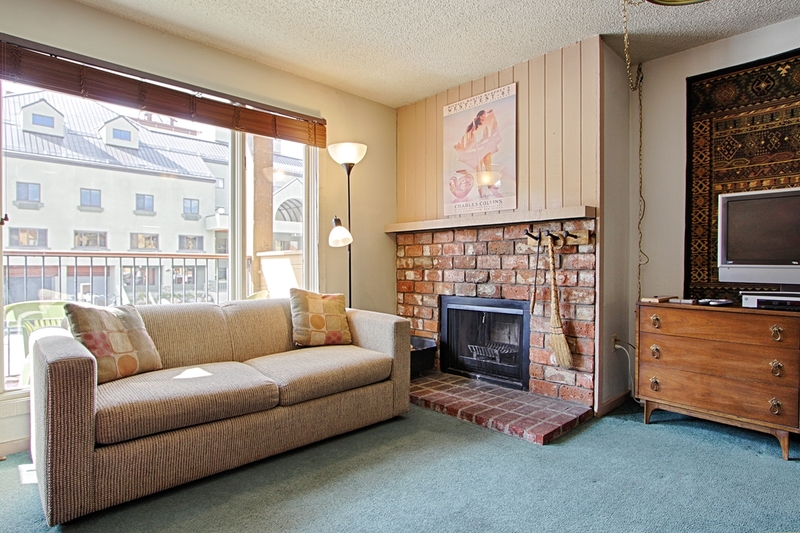 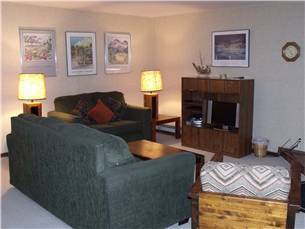 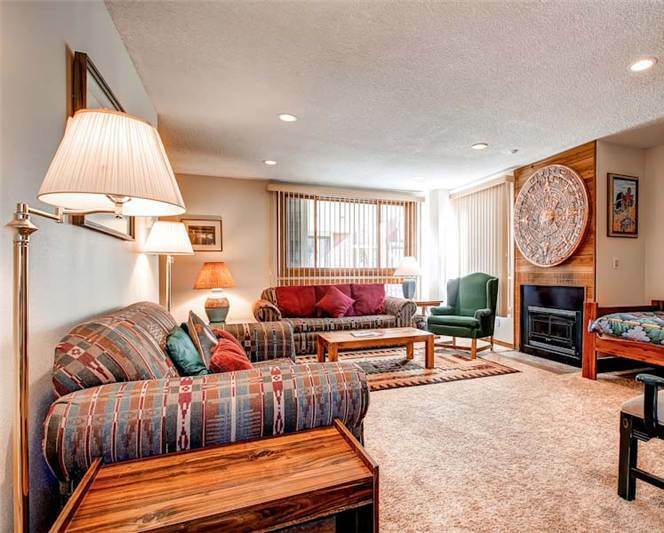 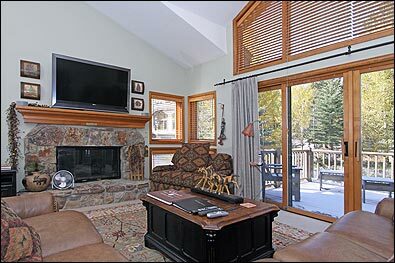 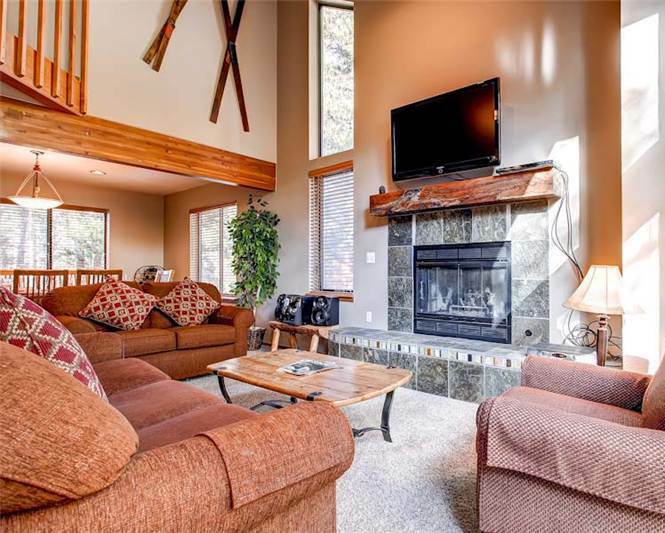 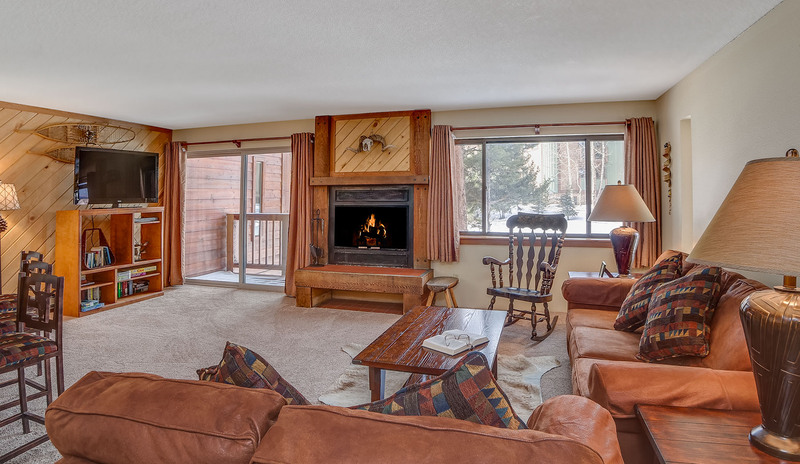 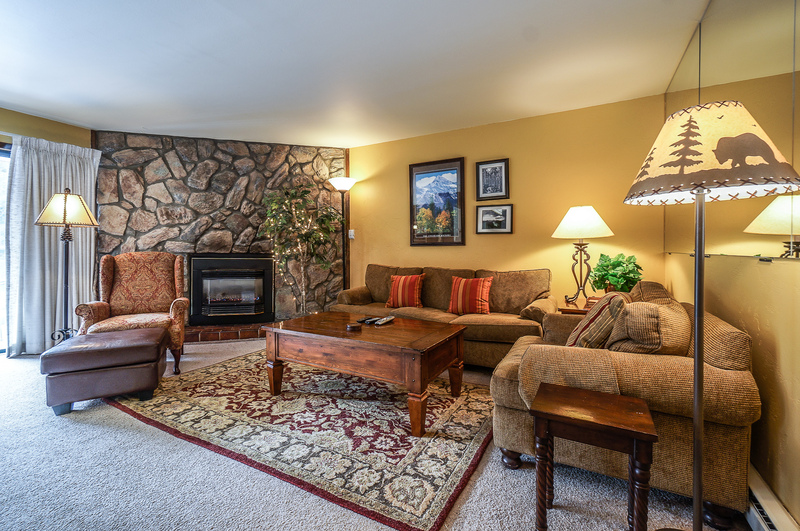 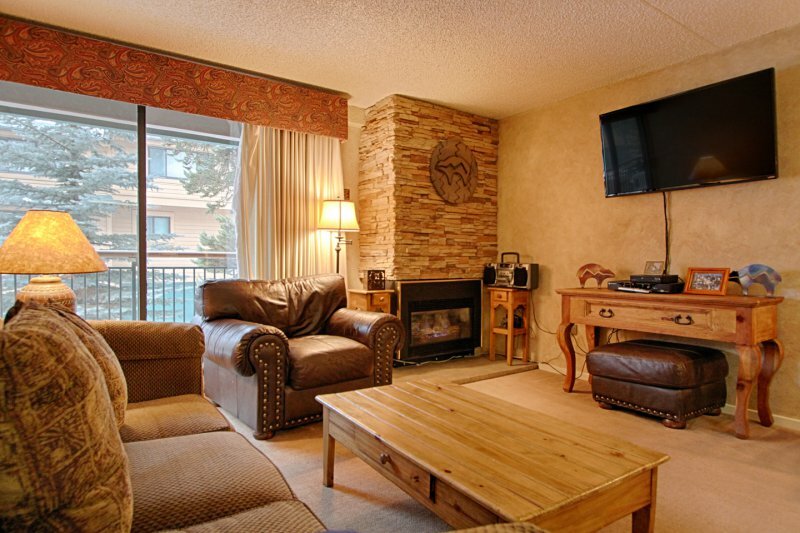 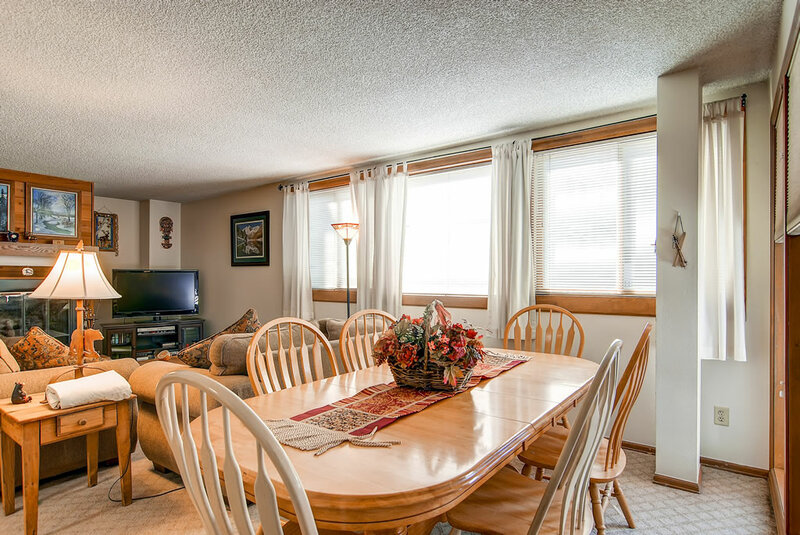 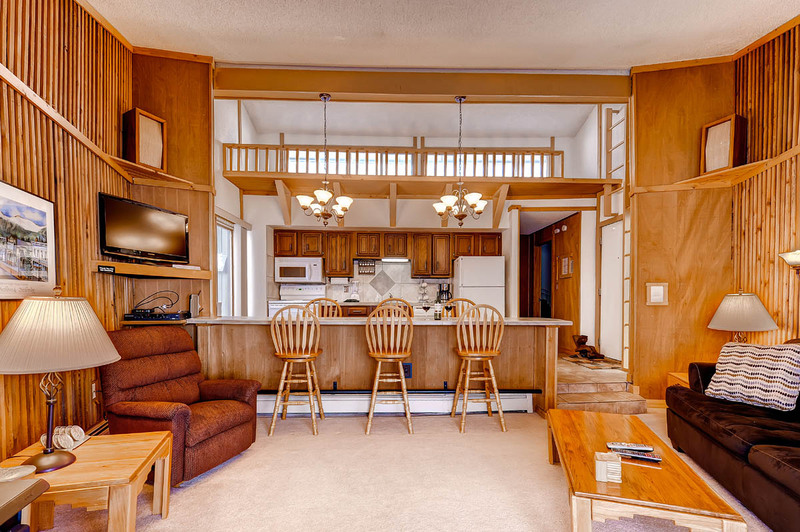 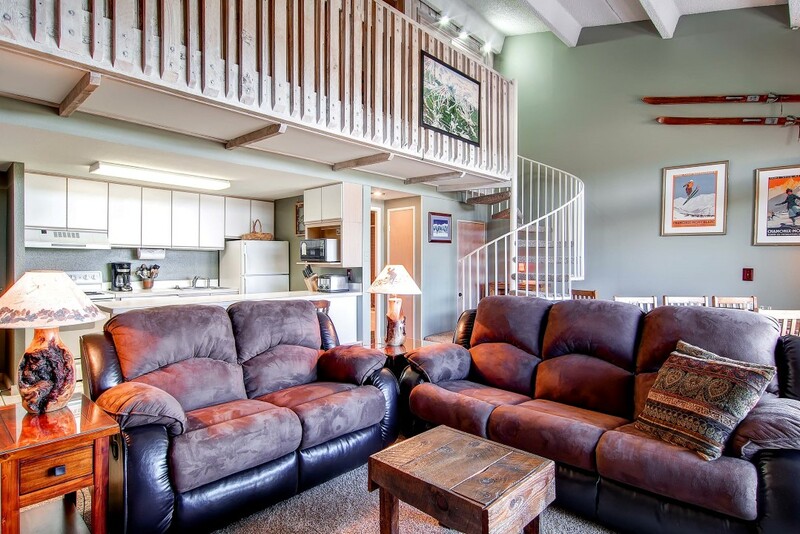 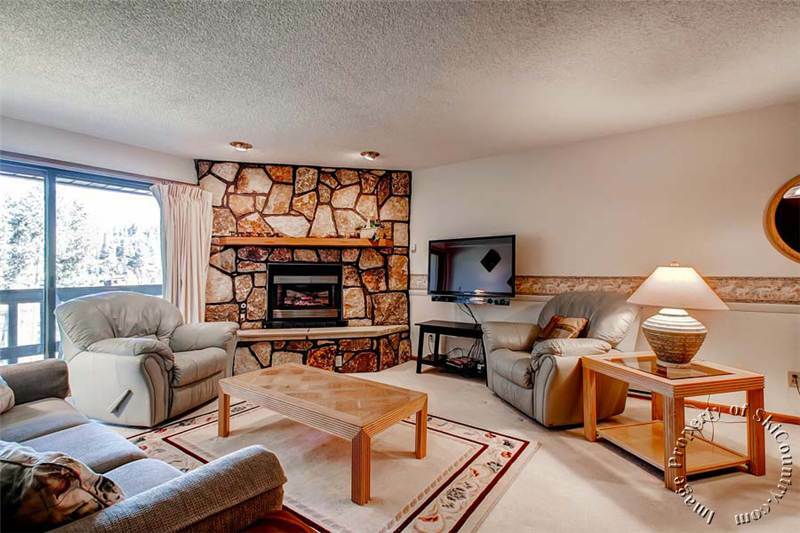 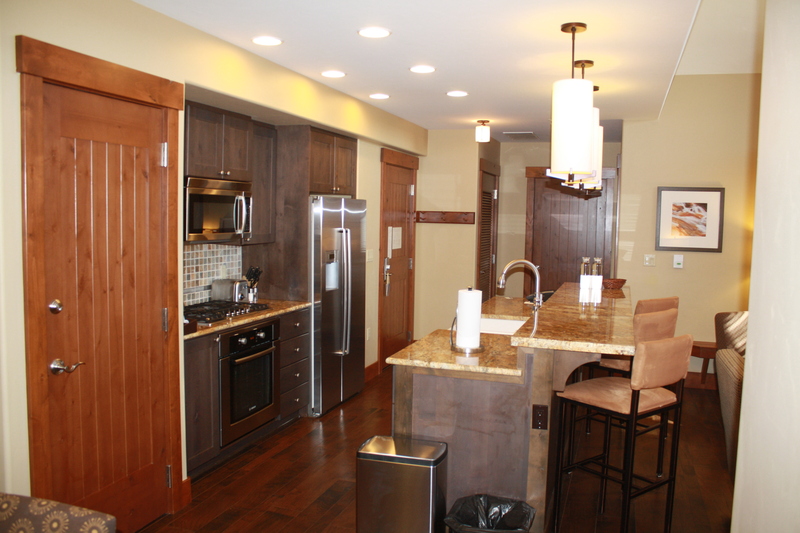 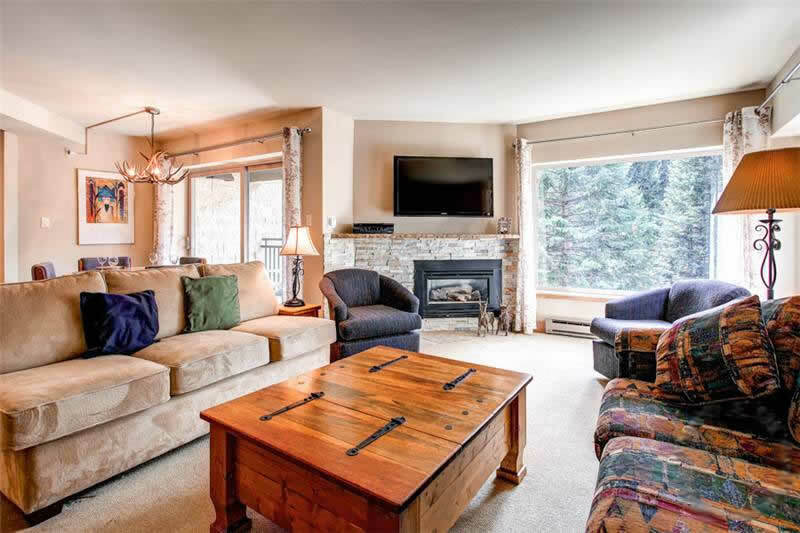 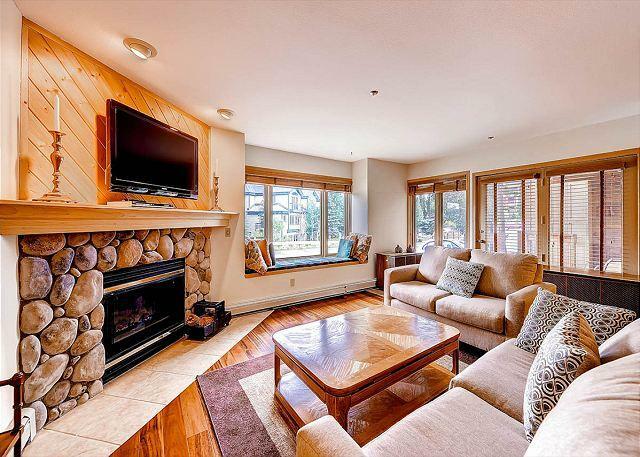 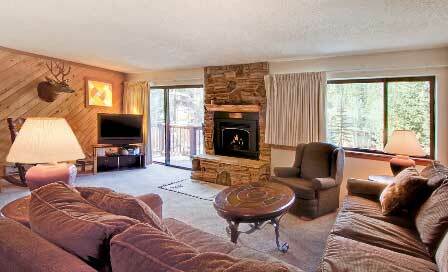 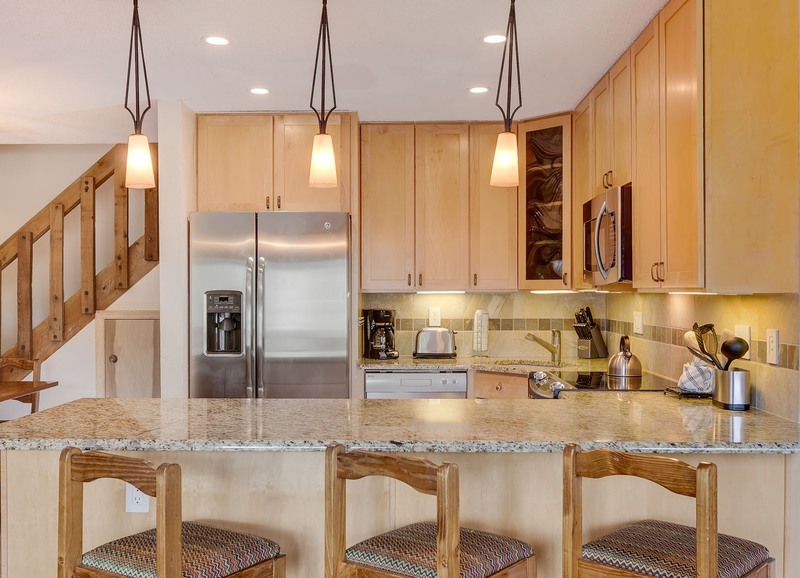 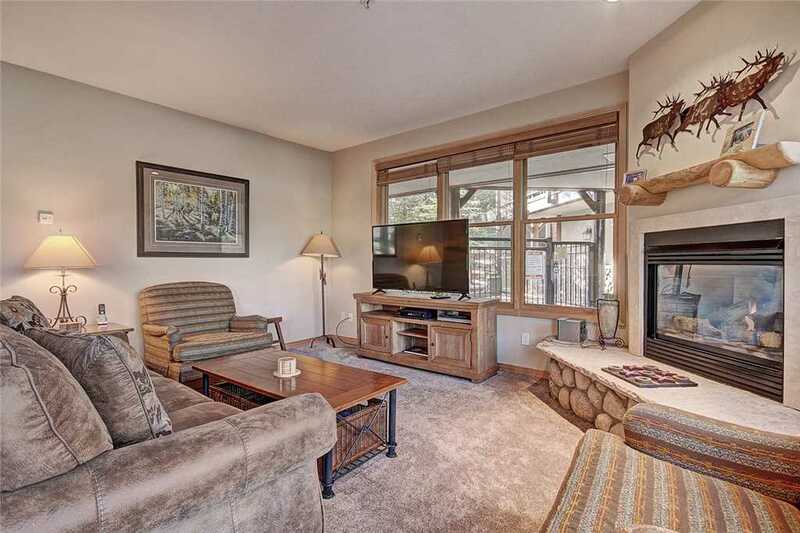 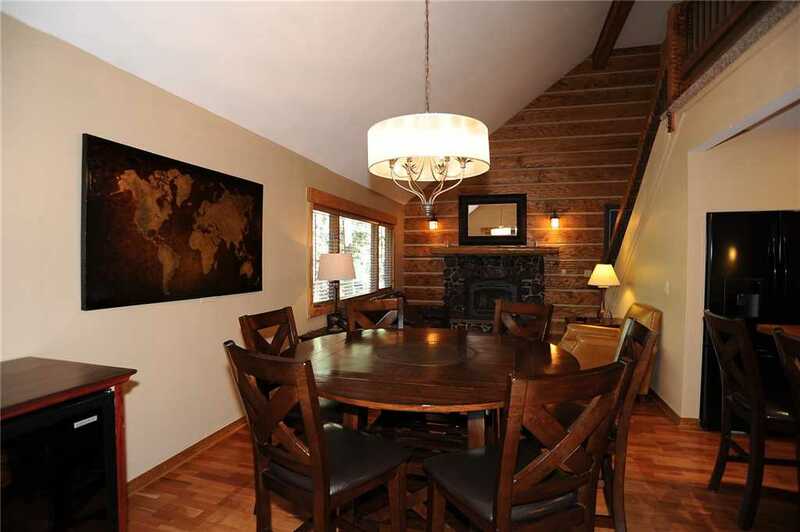 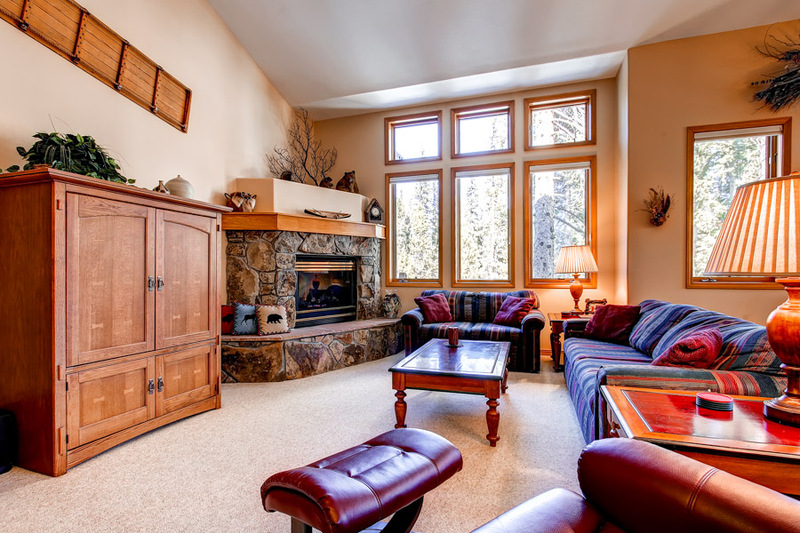 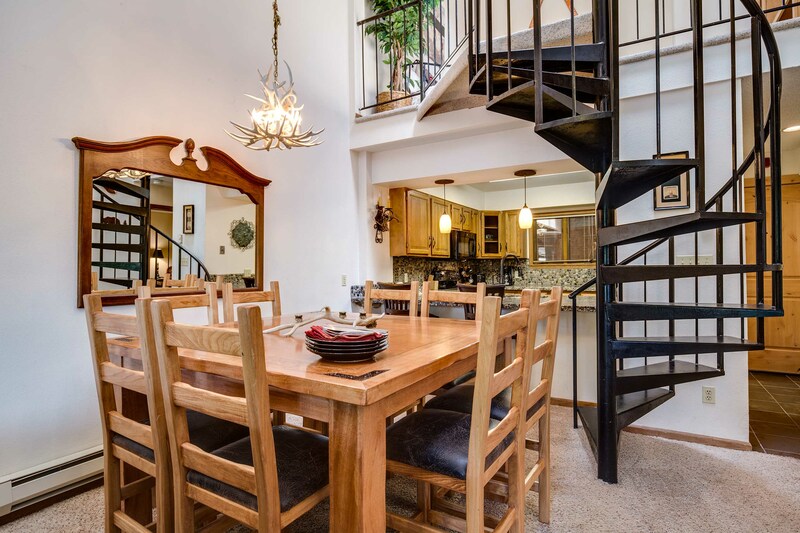 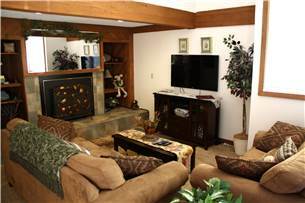 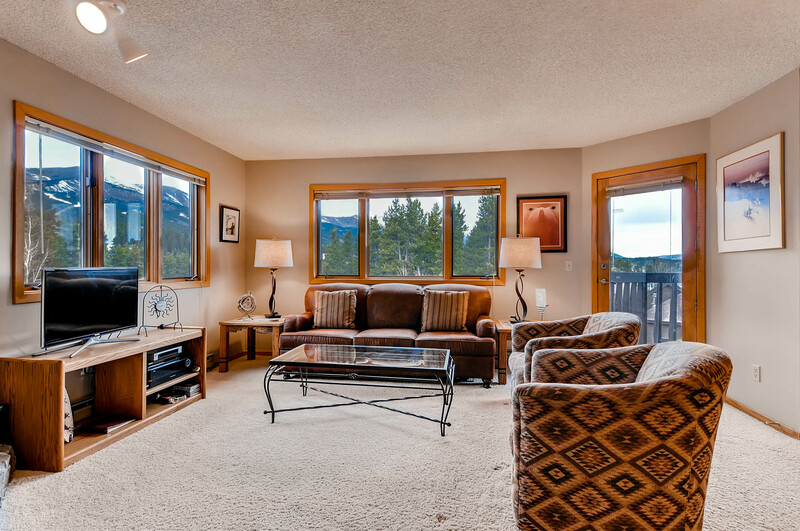 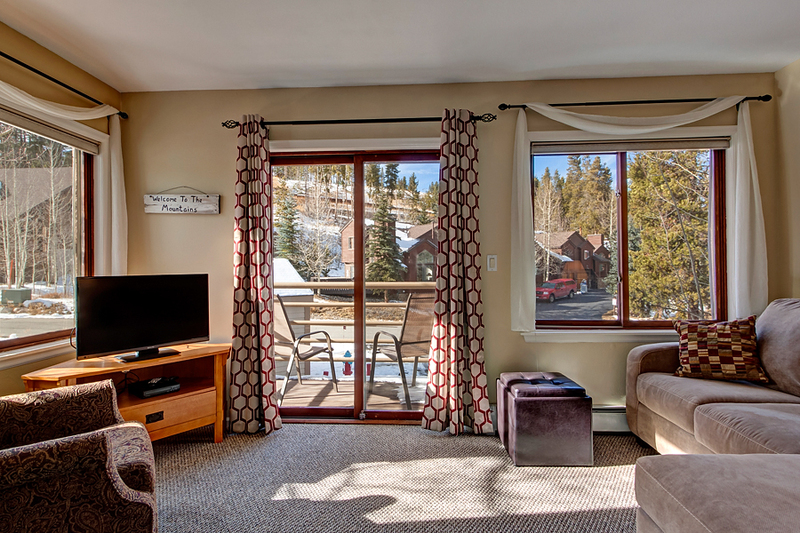 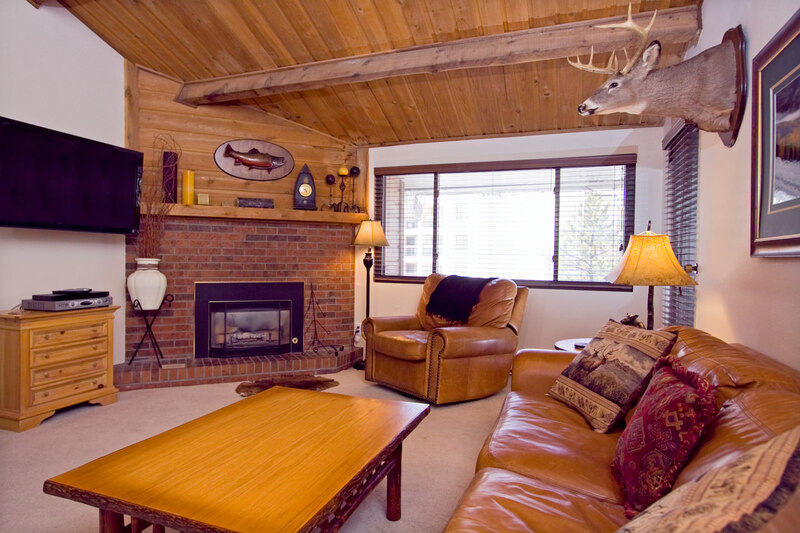 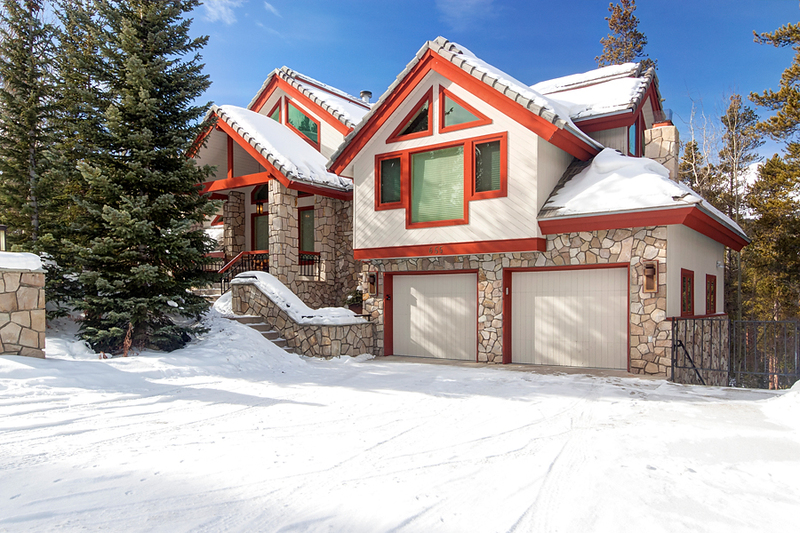 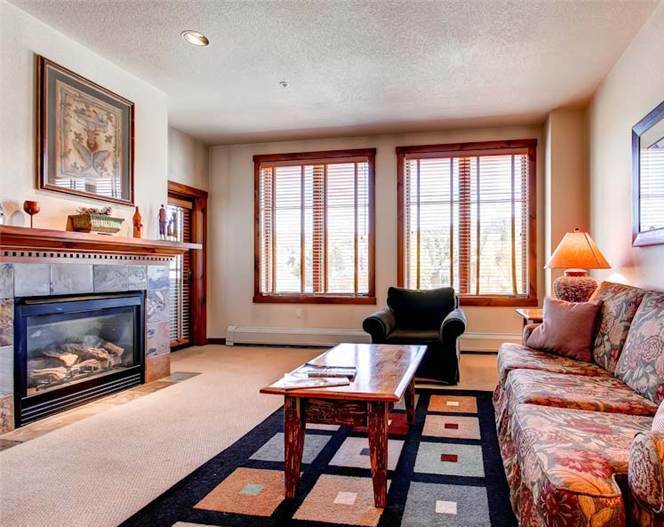 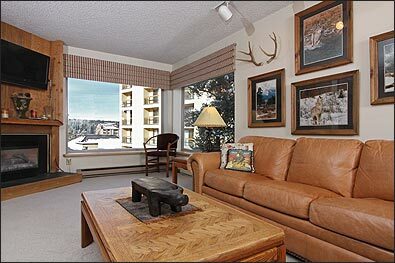 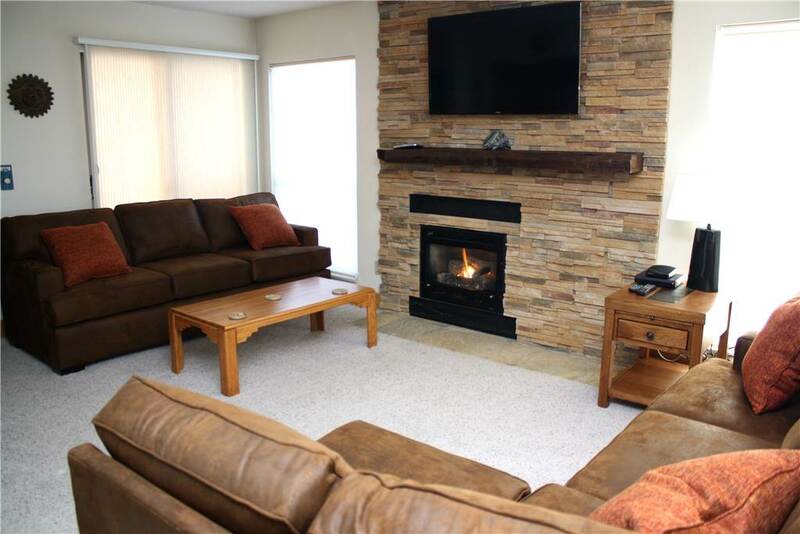 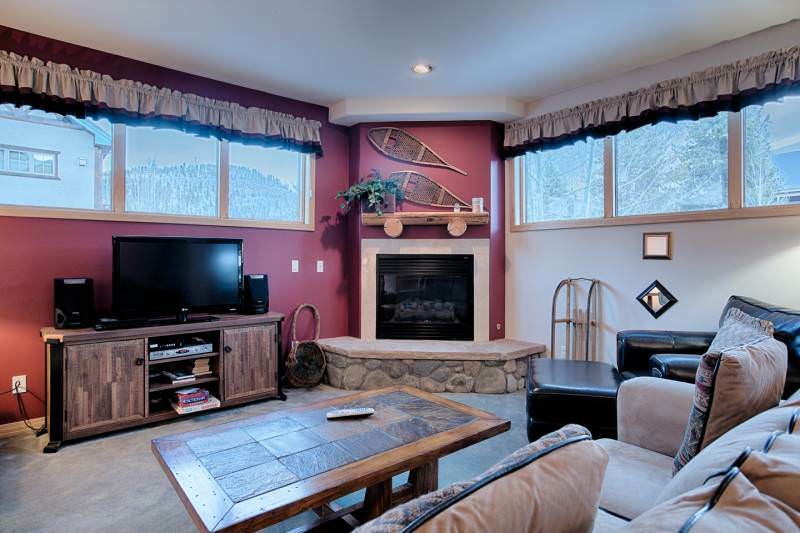 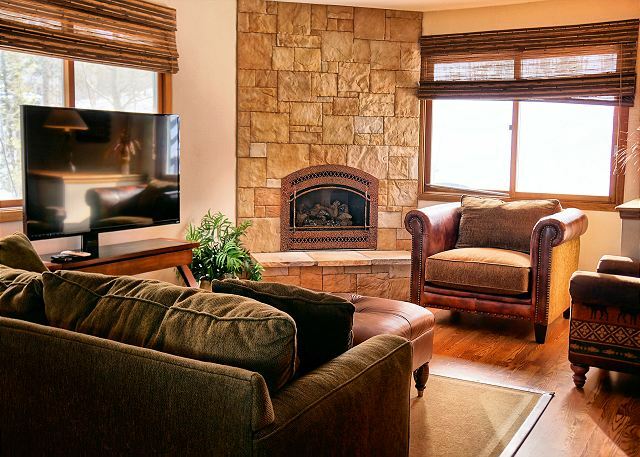 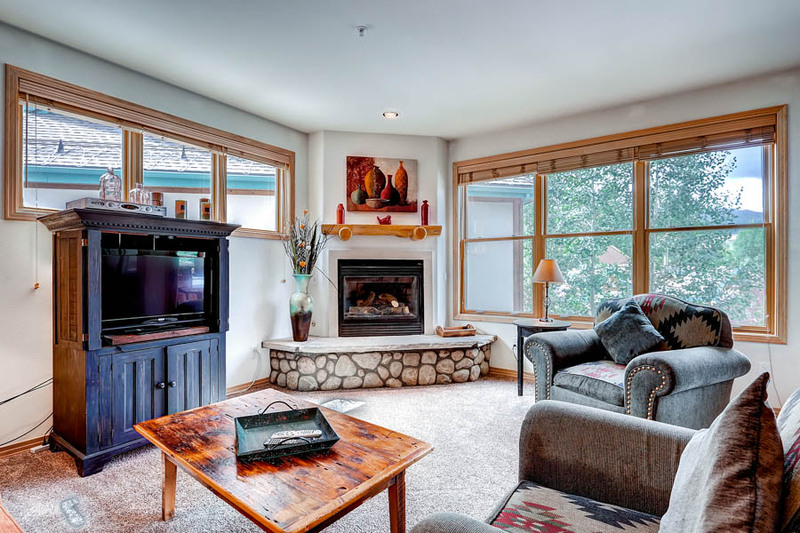 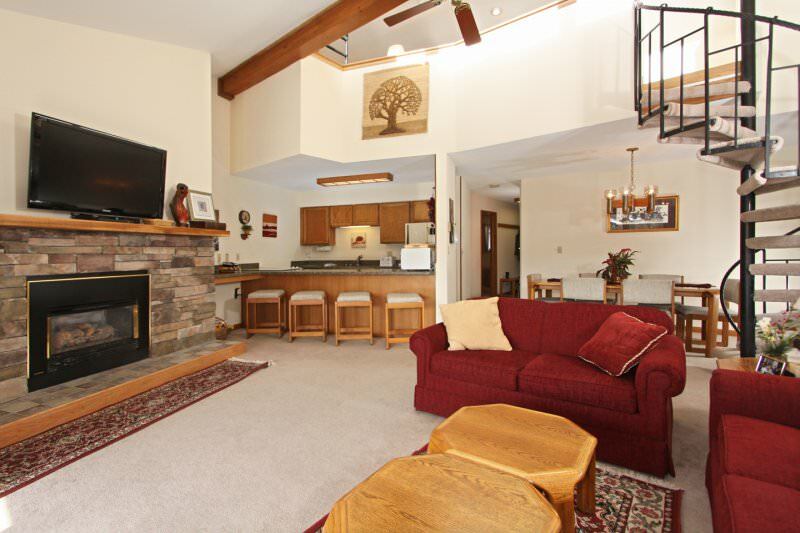 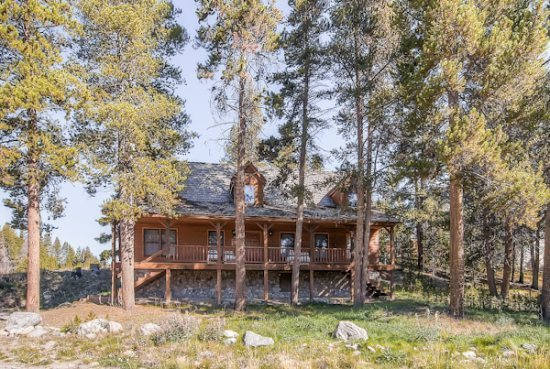 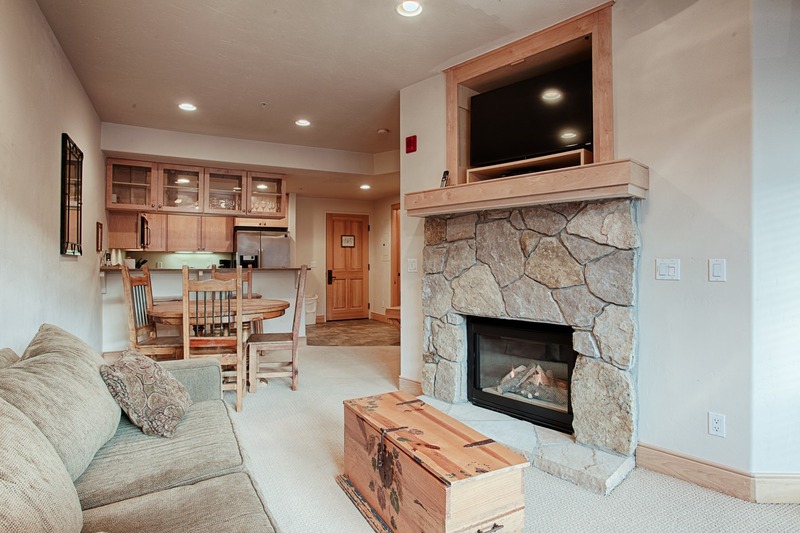 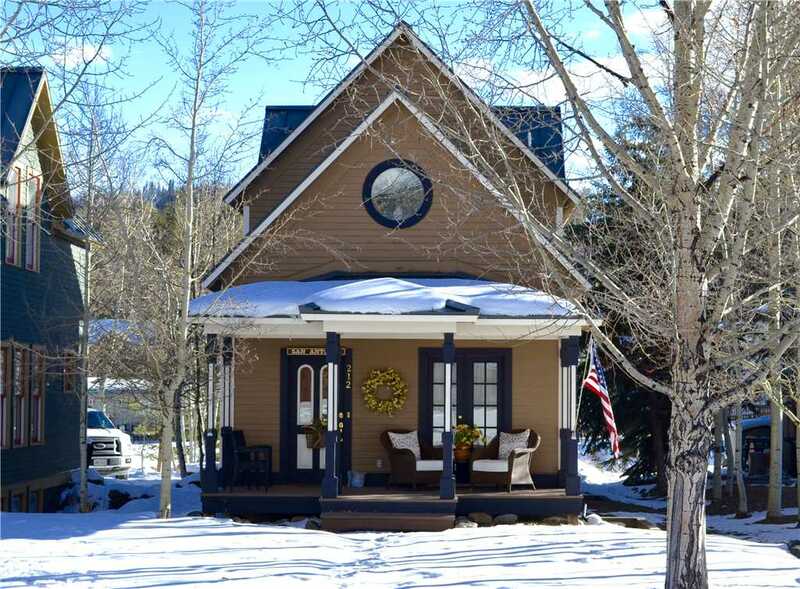 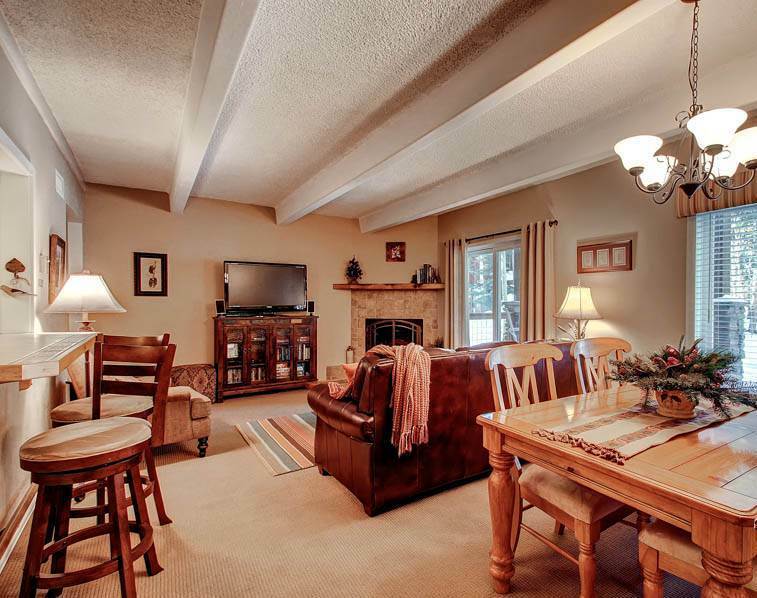 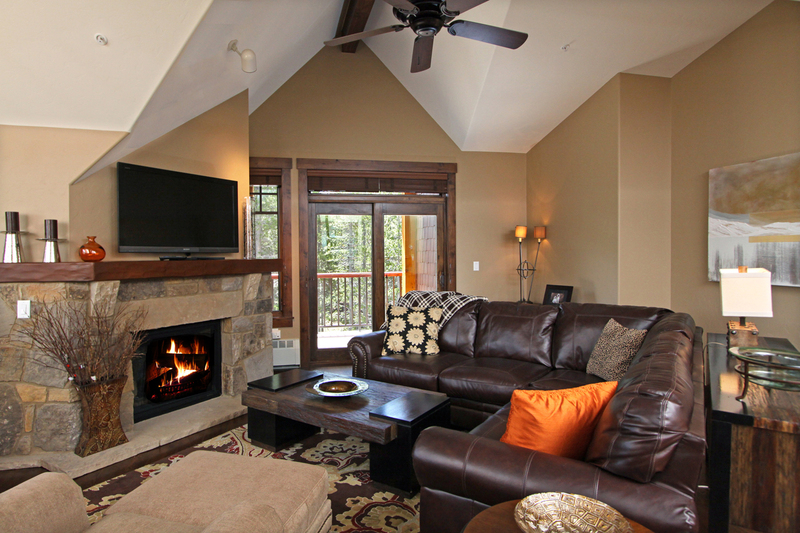 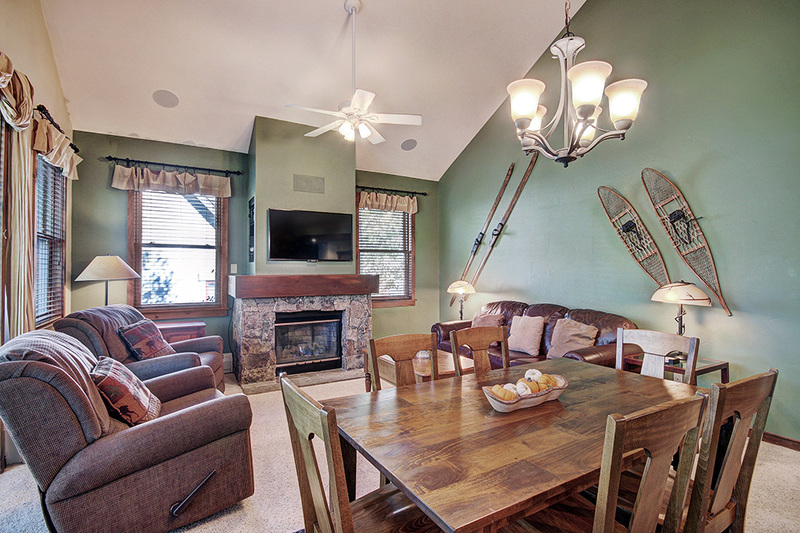 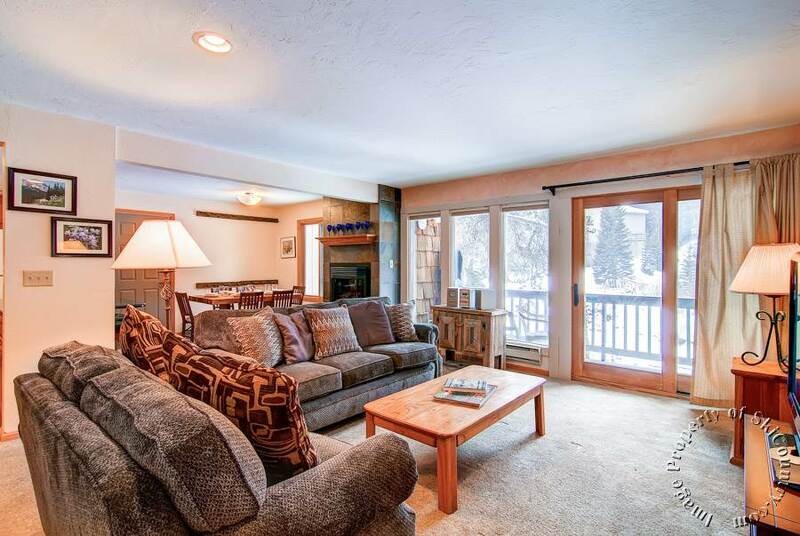 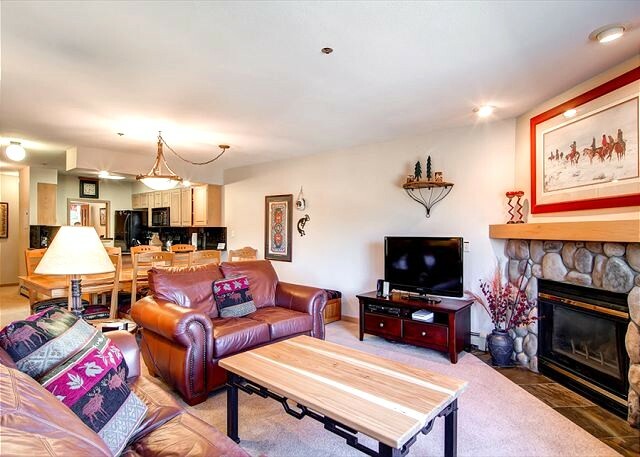 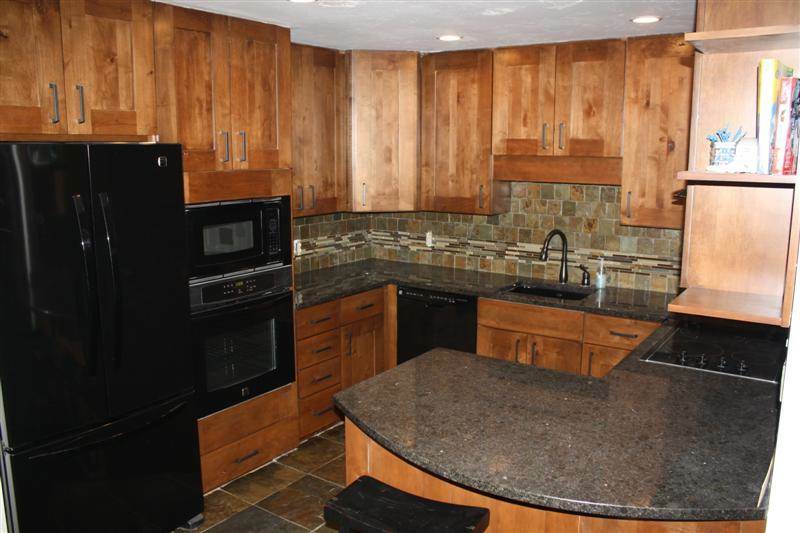 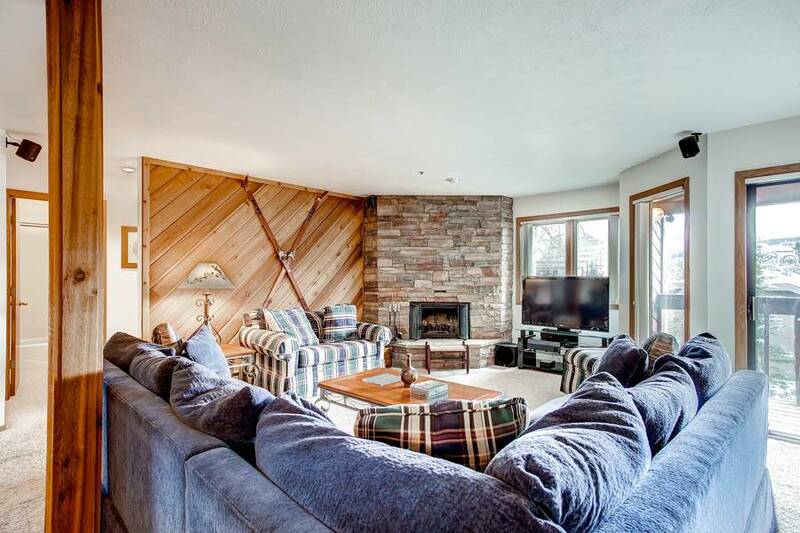 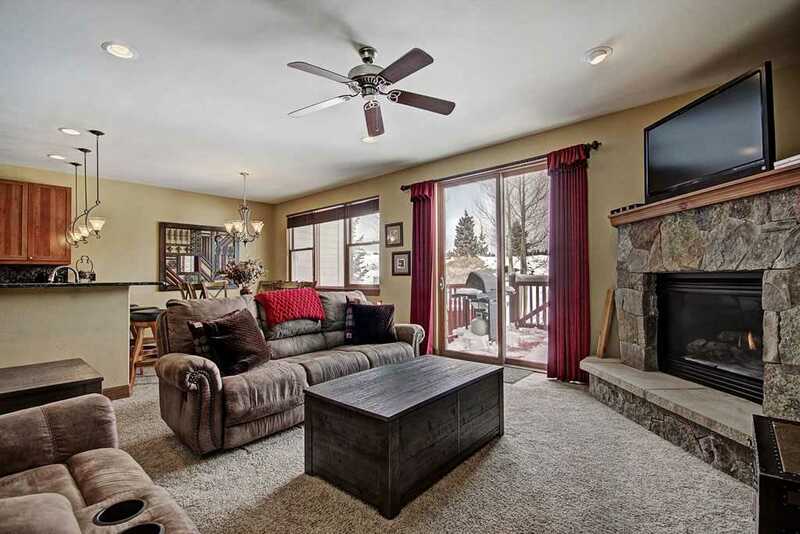 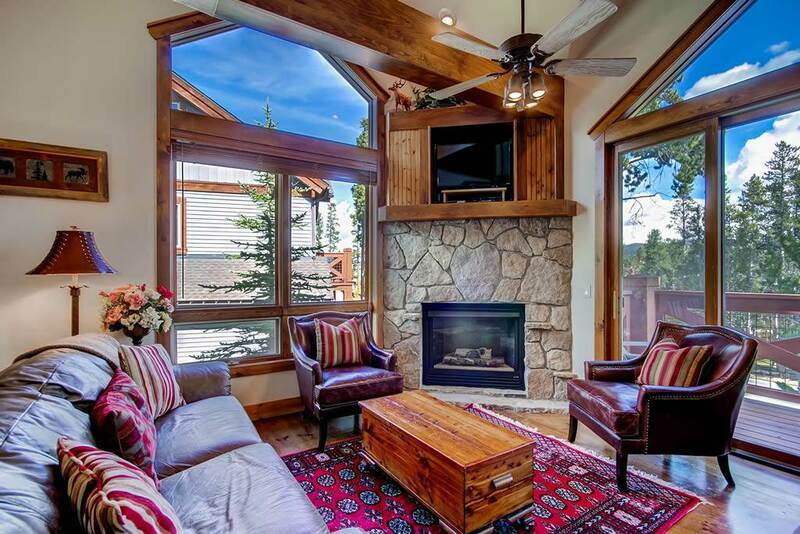 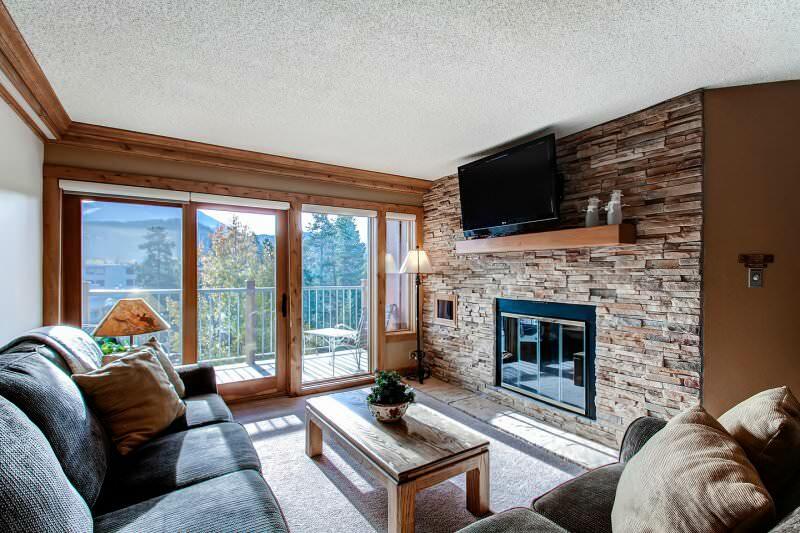 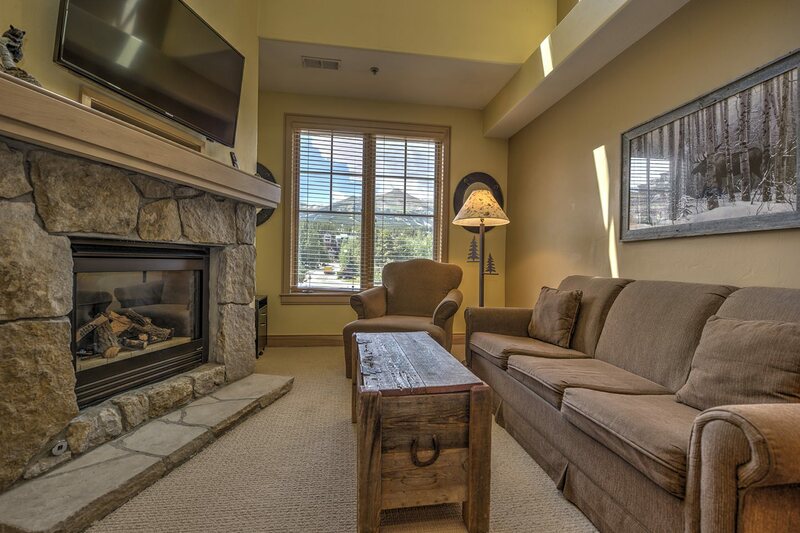 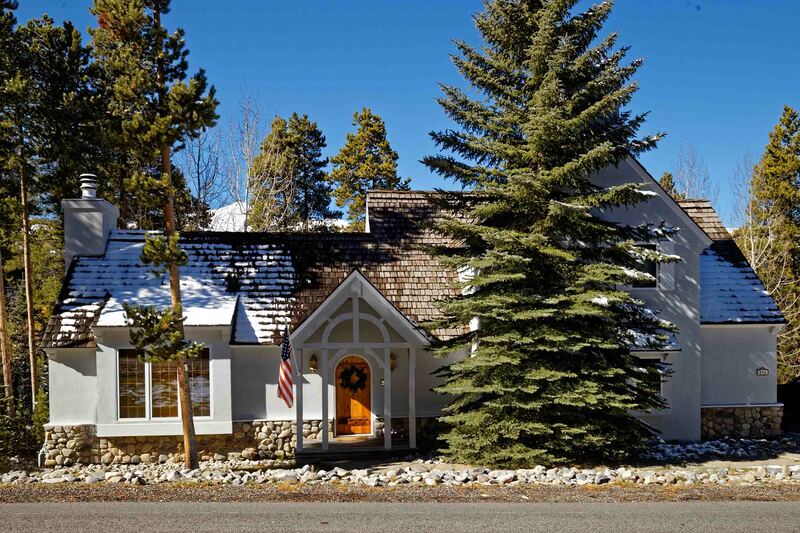 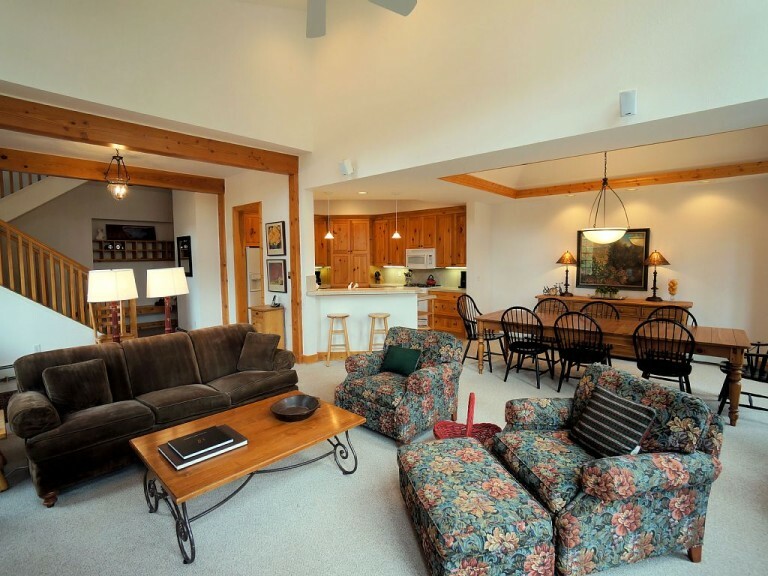 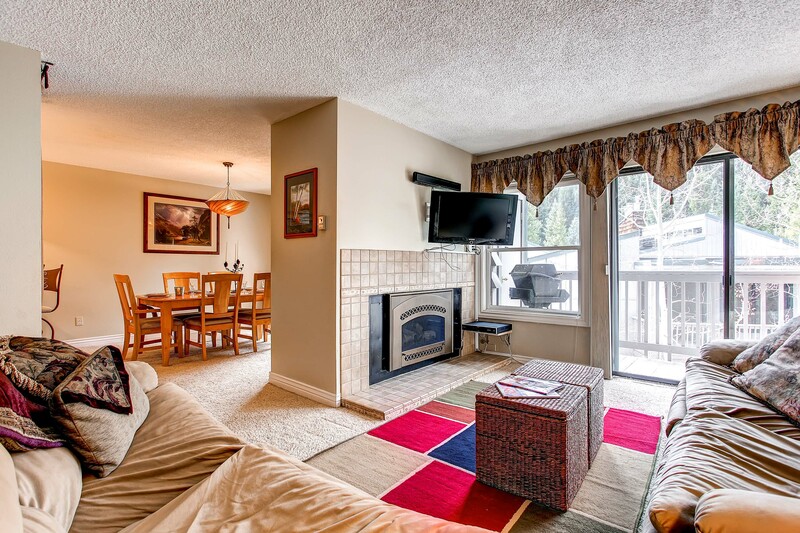 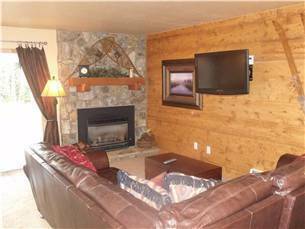 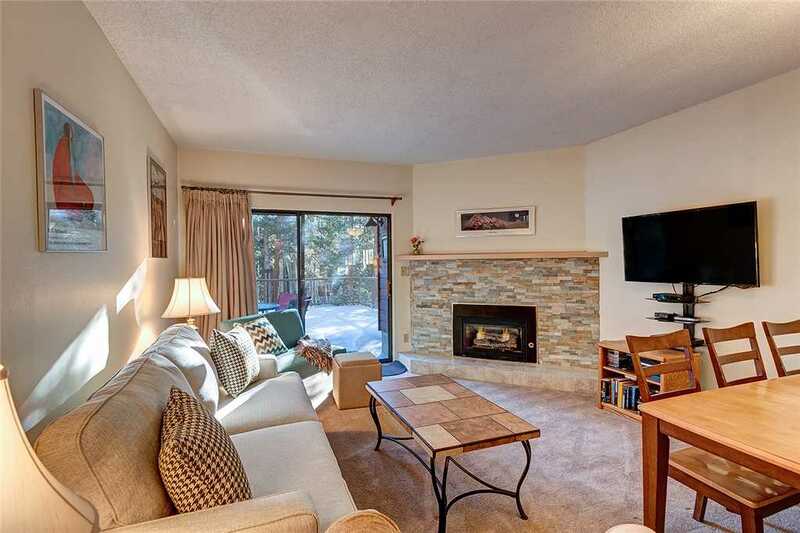 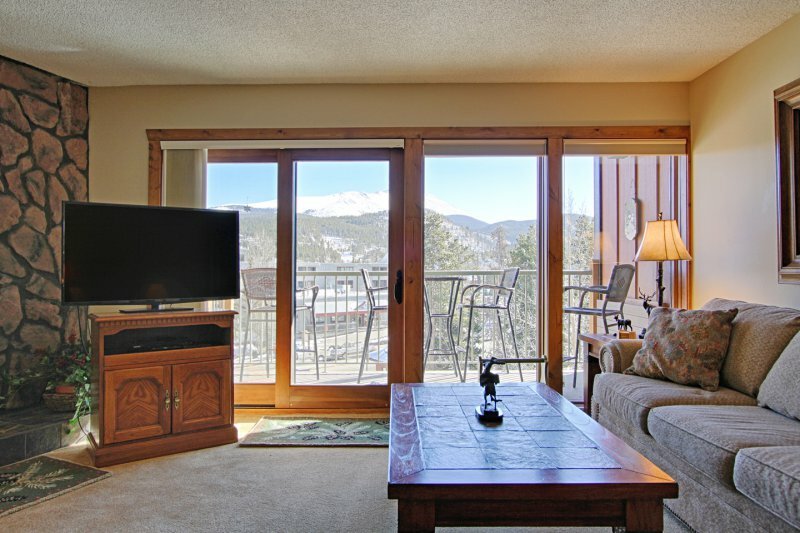 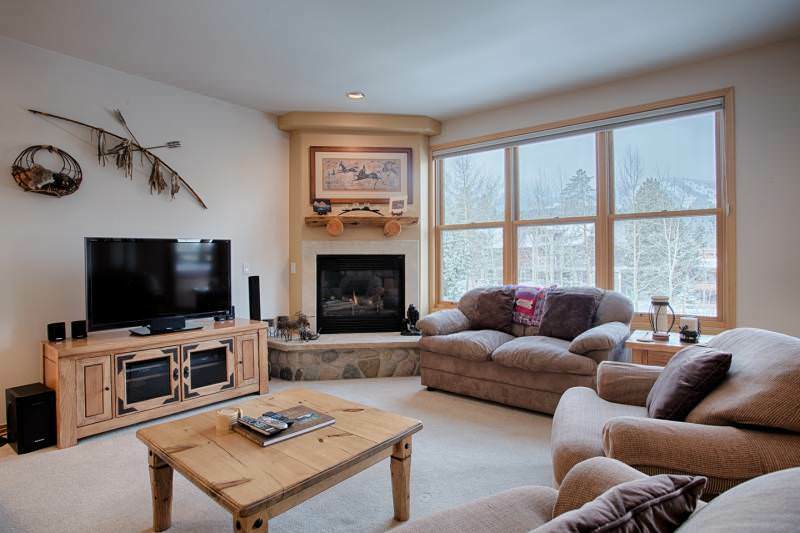 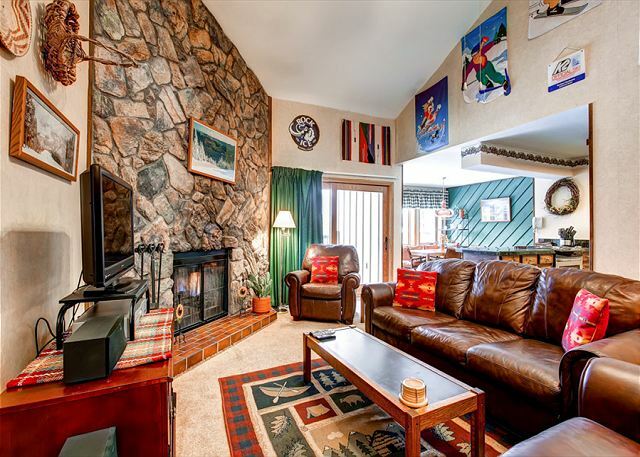 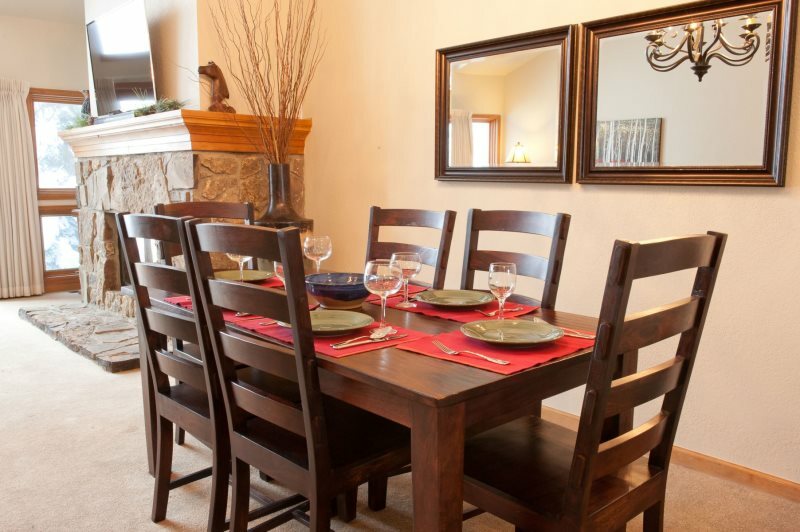 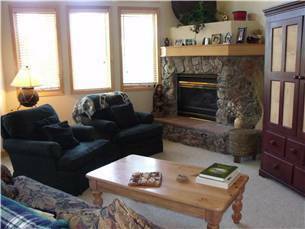 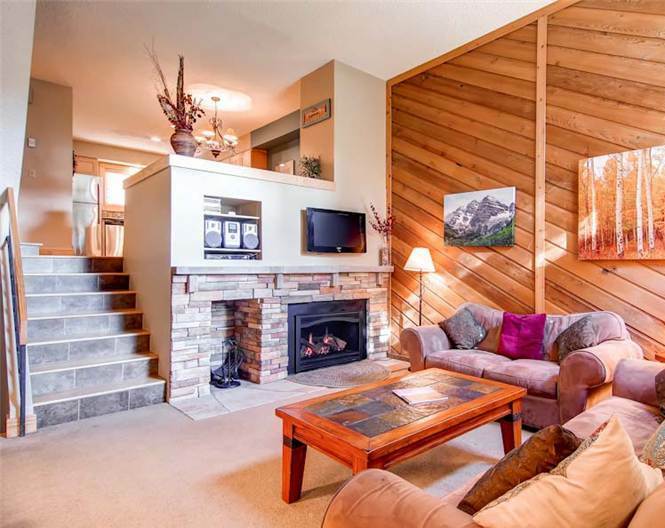 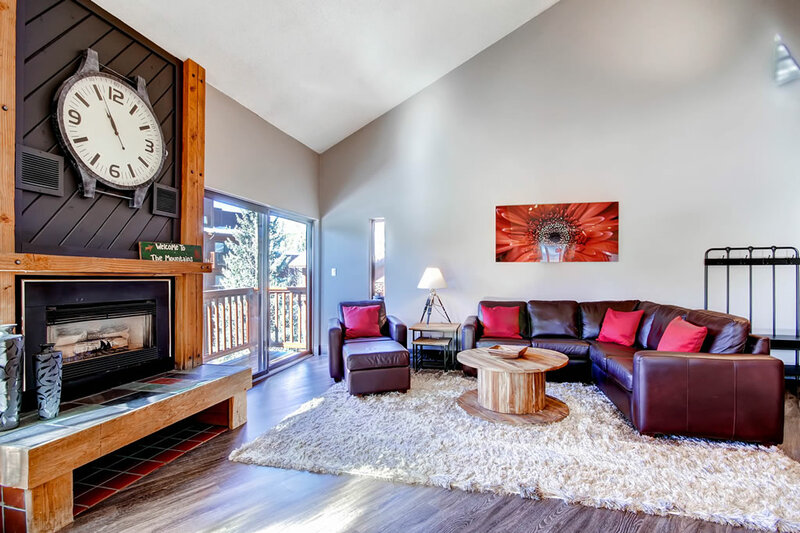 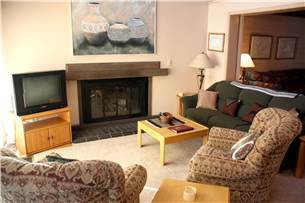 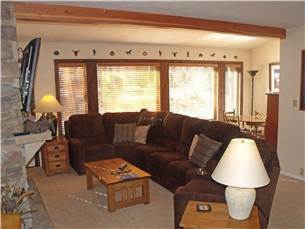 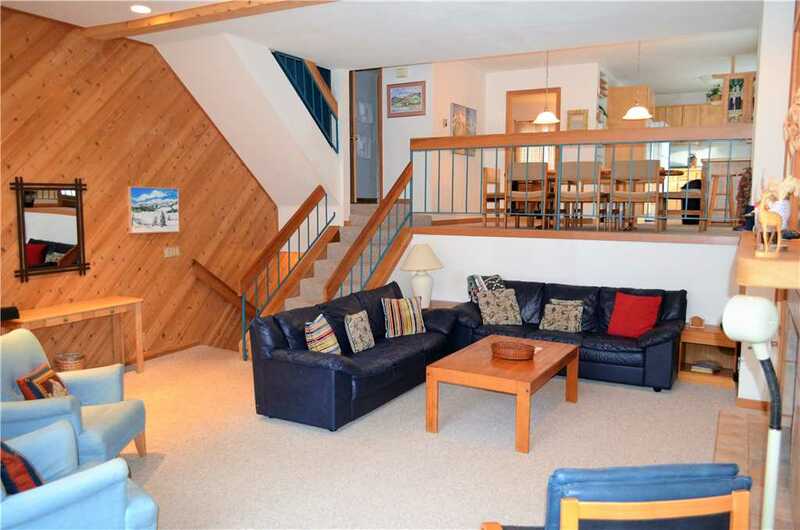 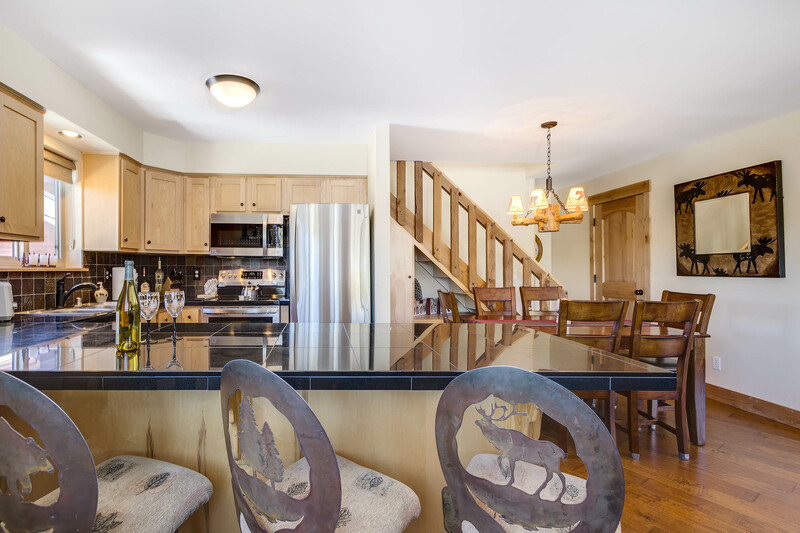 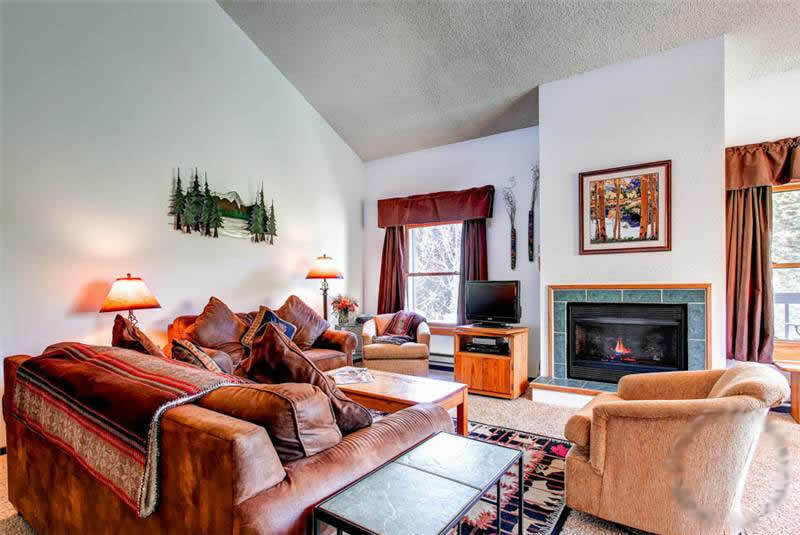 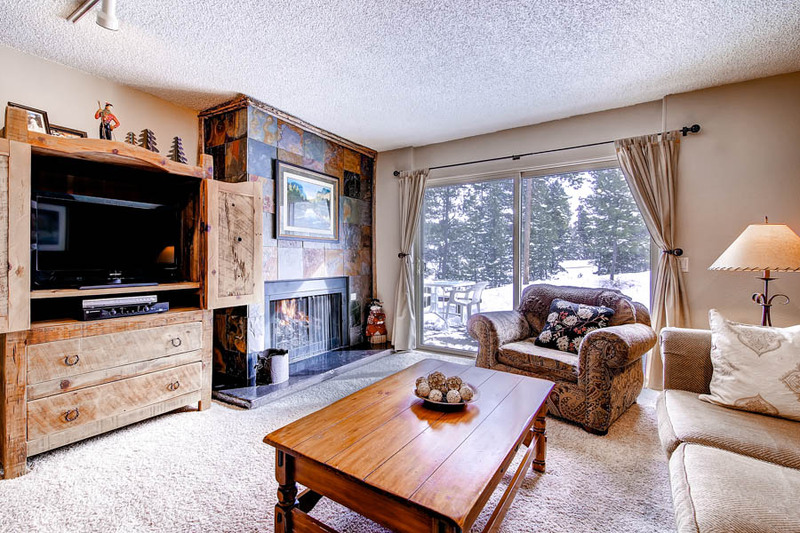 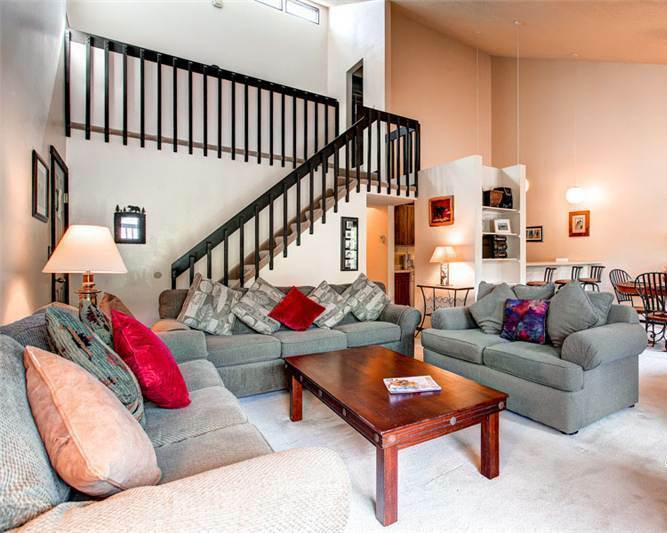 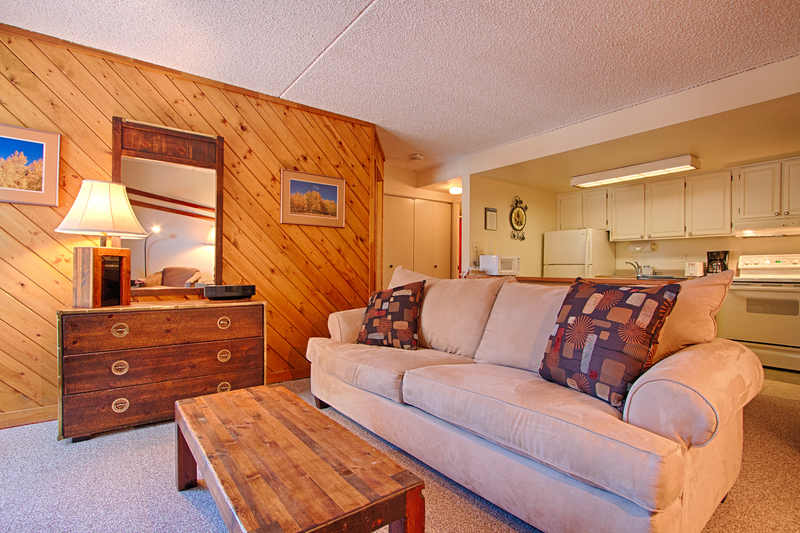 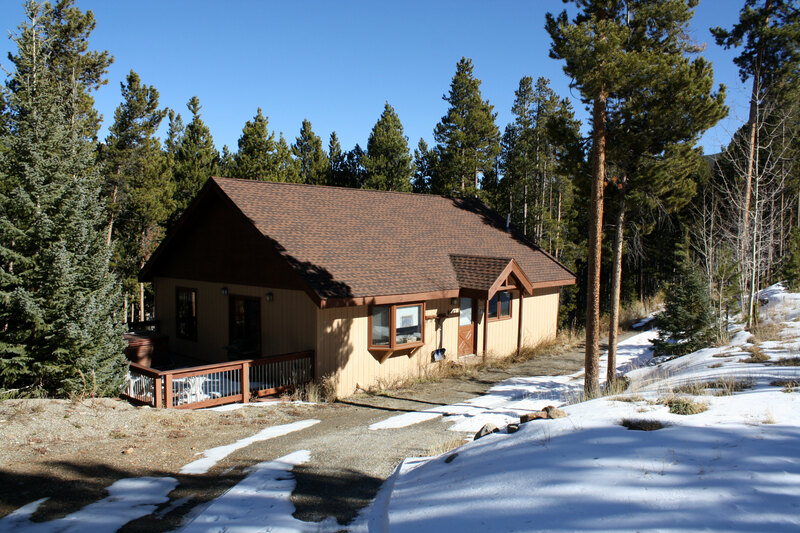 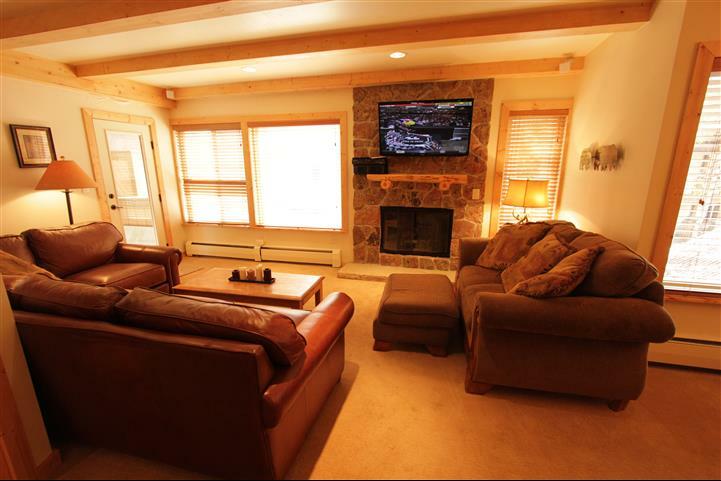 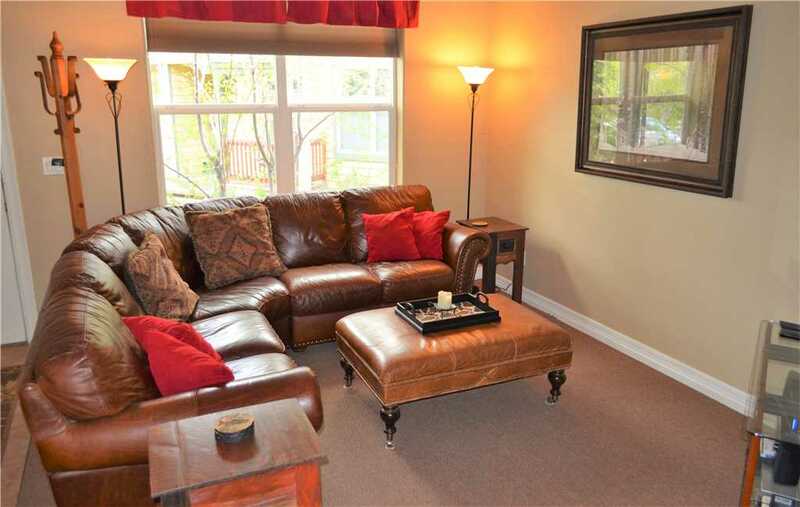 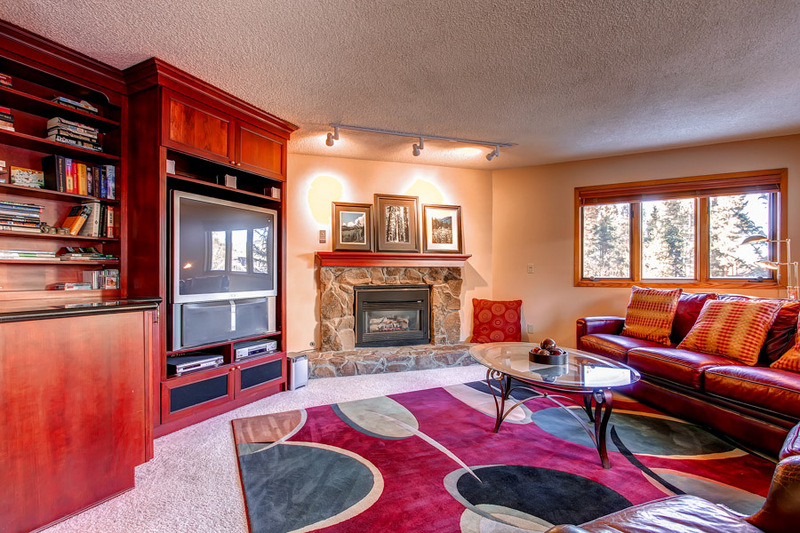 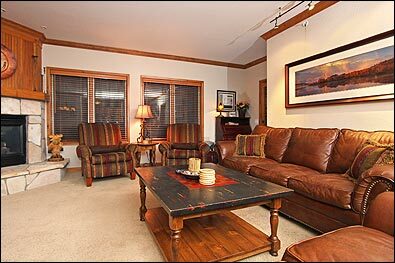 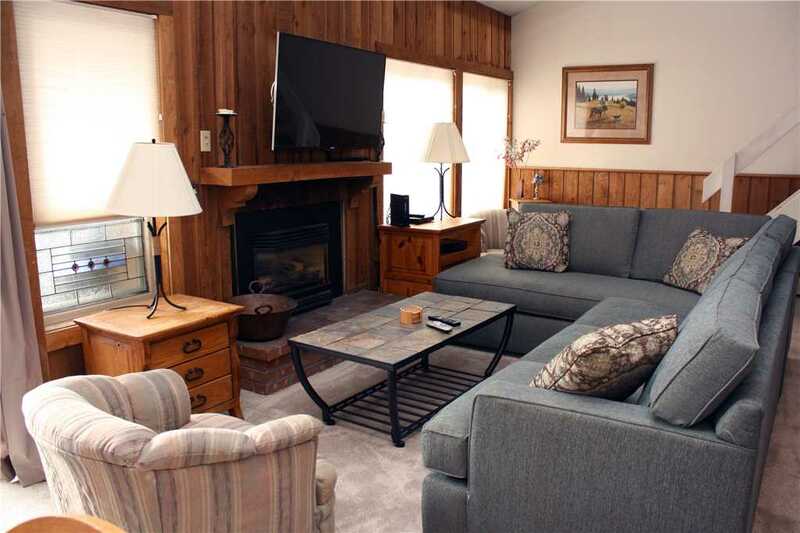 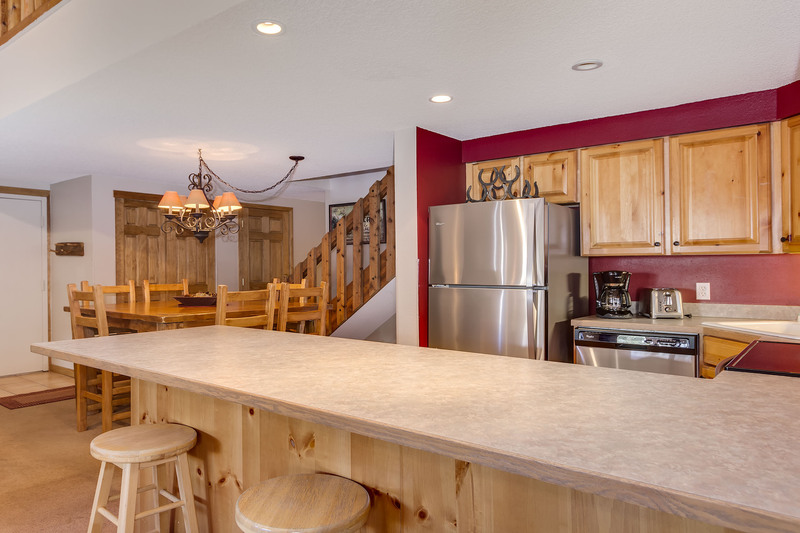 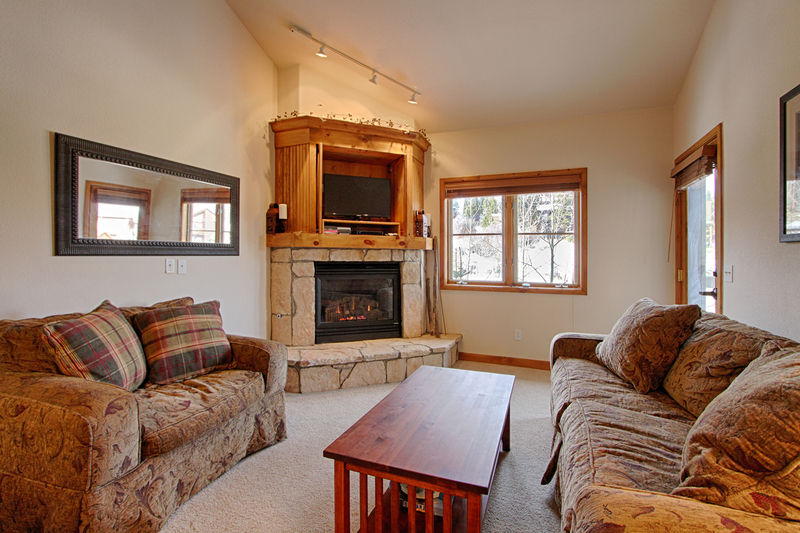 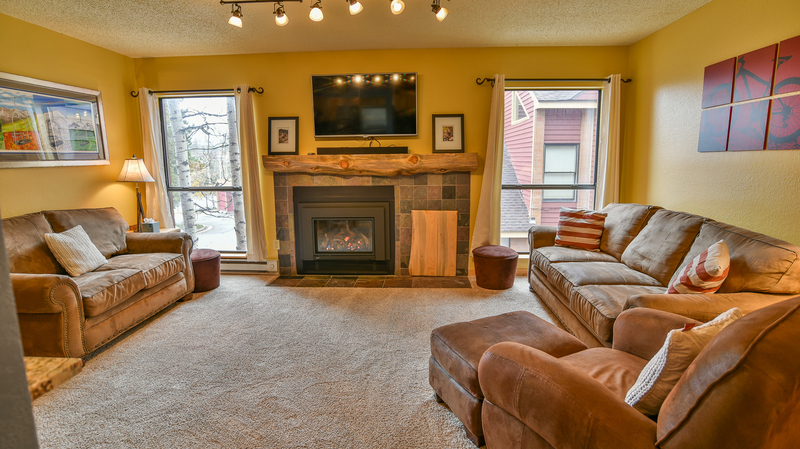 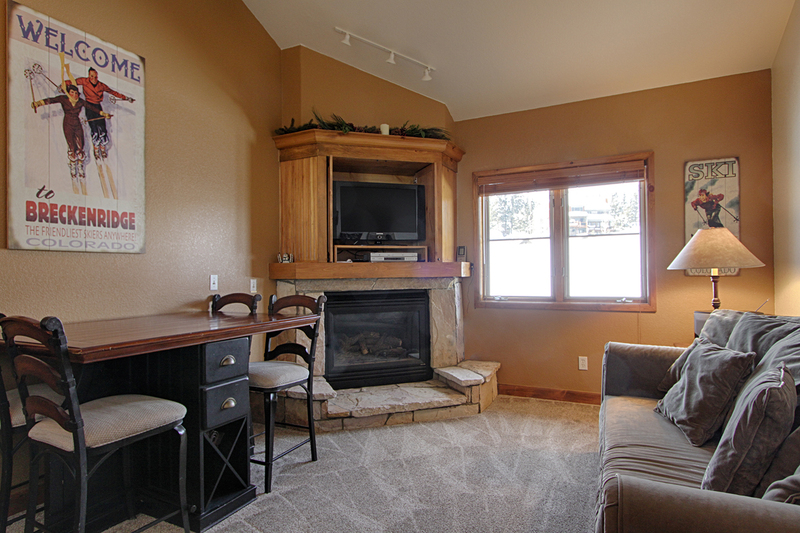 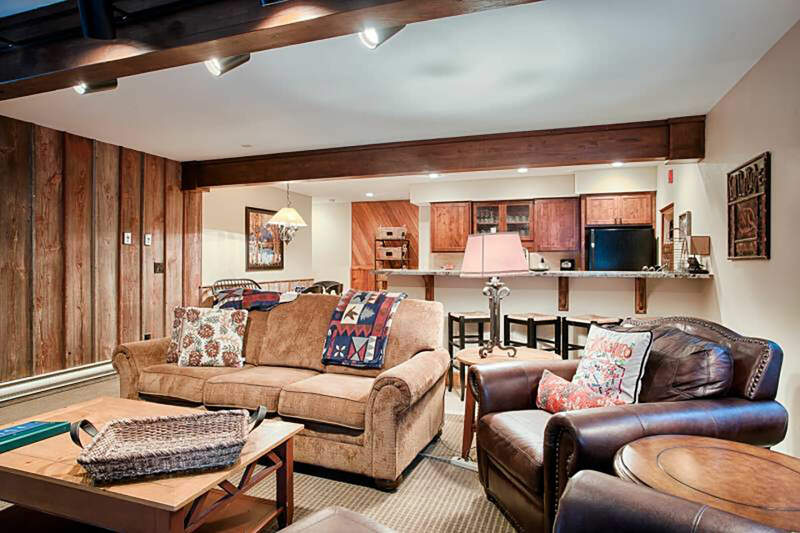 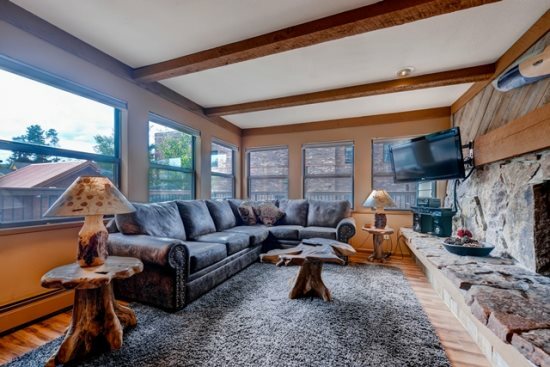 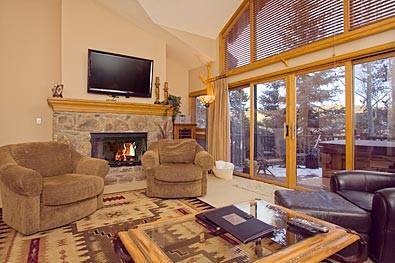 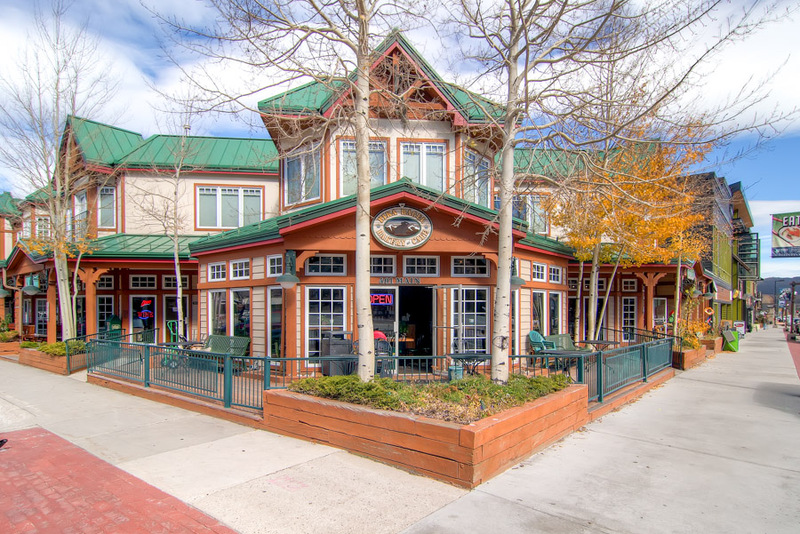 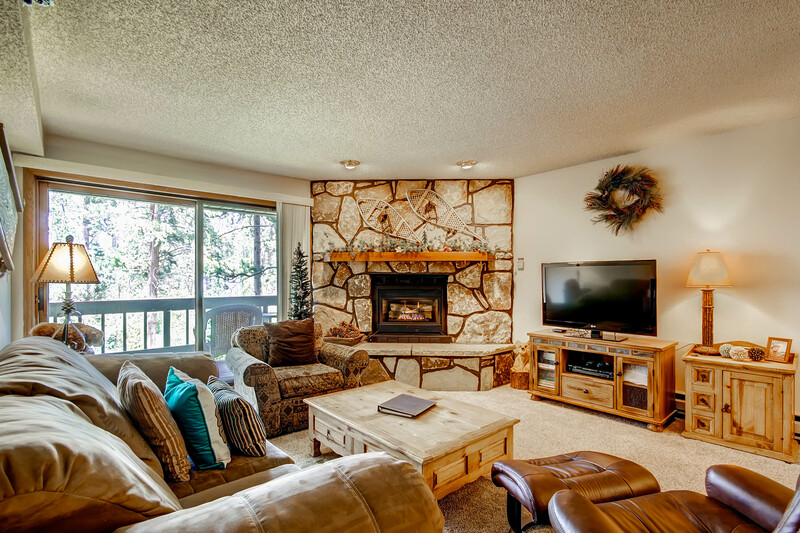 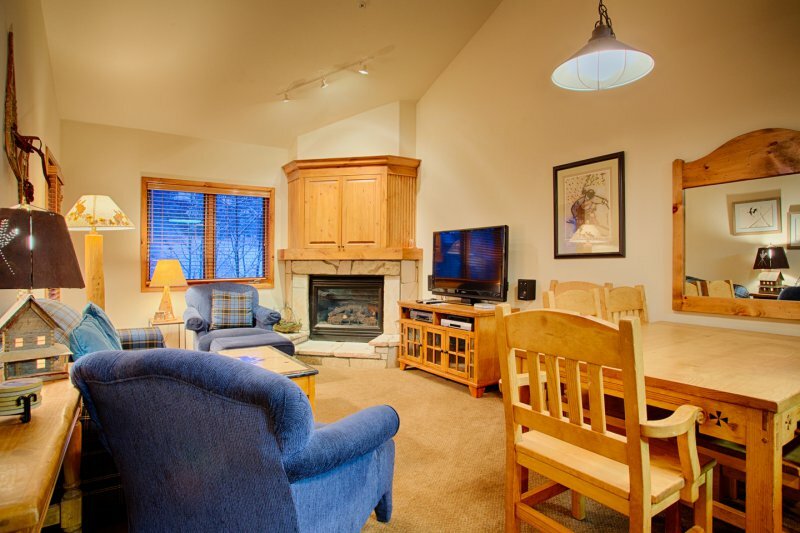 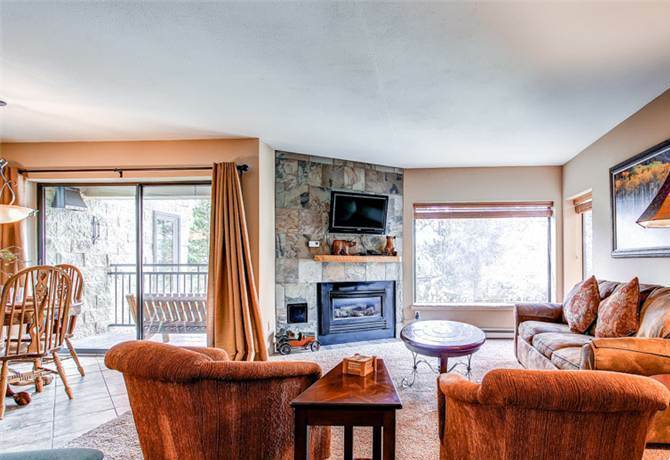 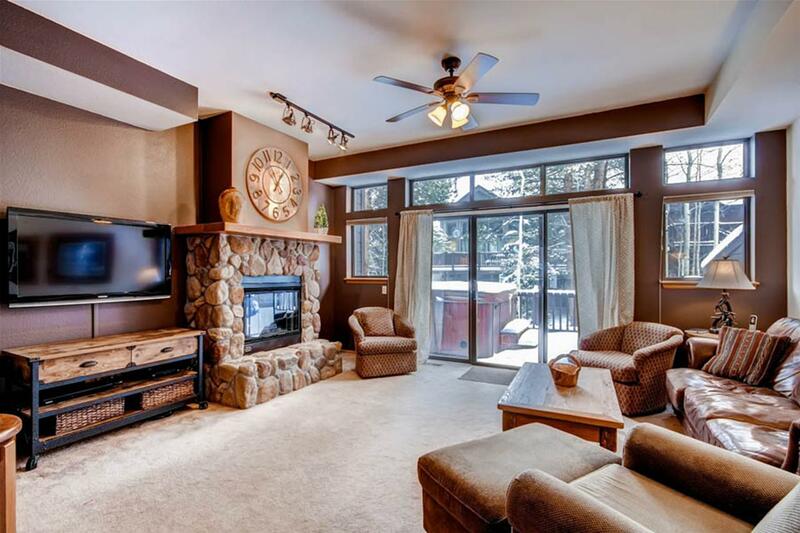 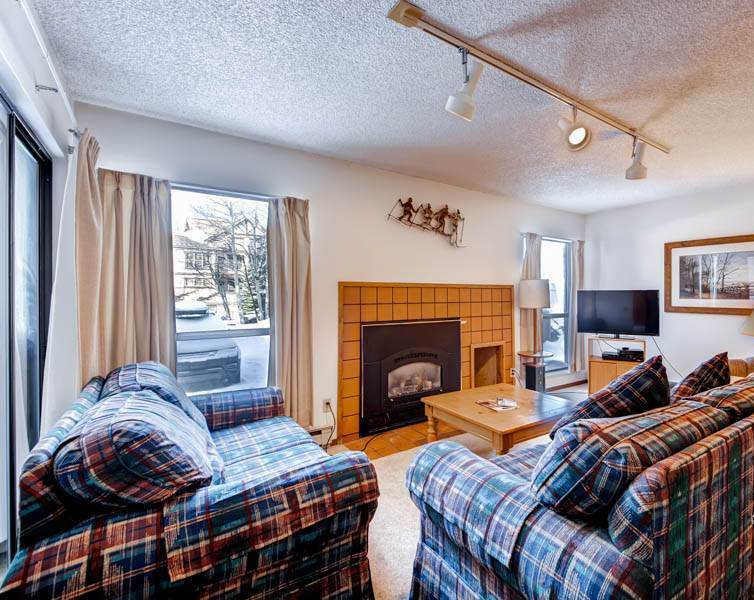 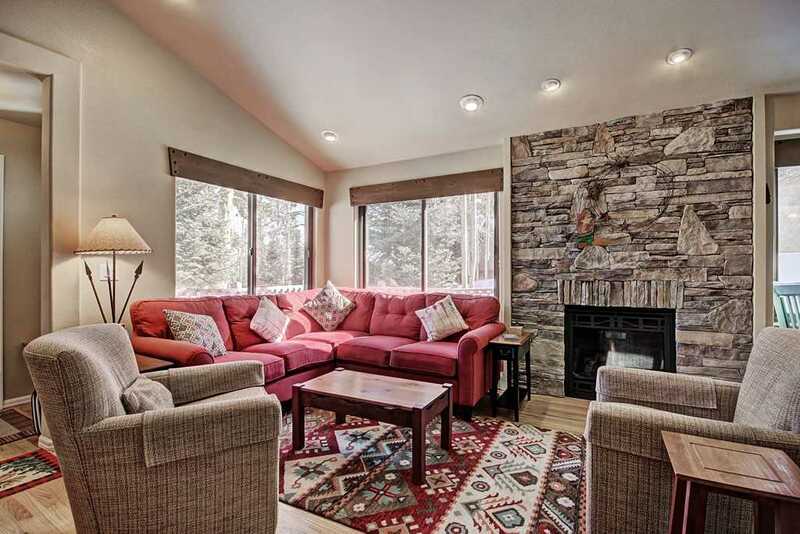 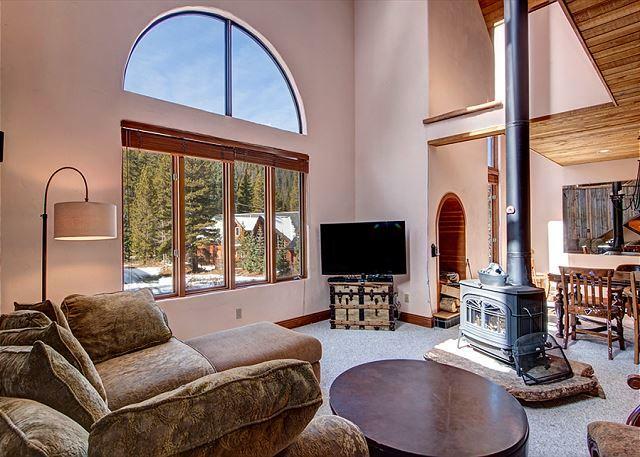 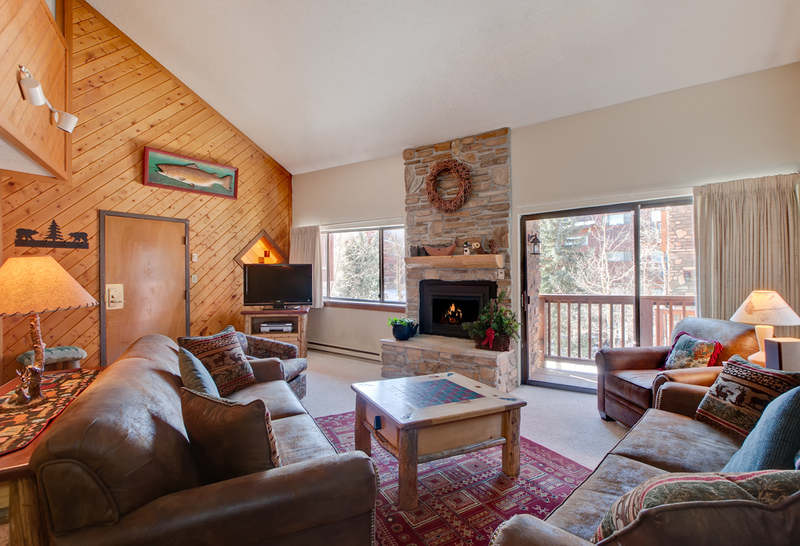 Located on Peak 9, you are just a short drive away from Downtown Breckenridge and the slopes. 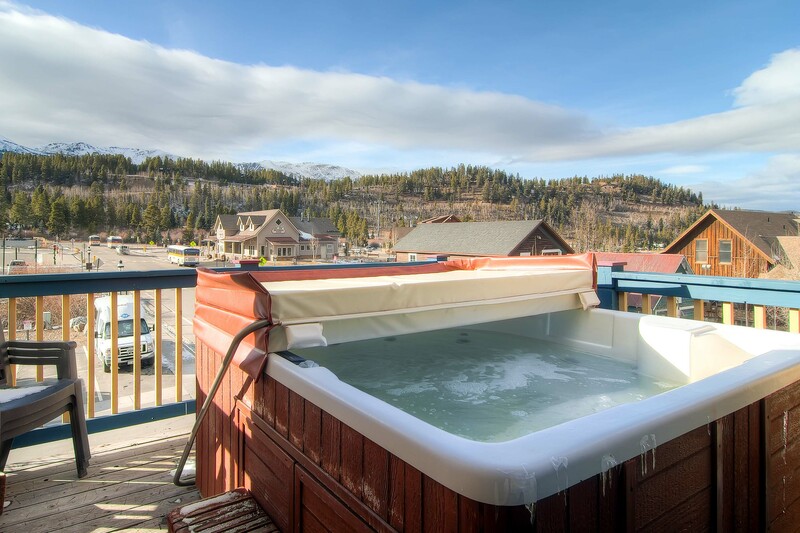 Your group will love the private hot tub, tucked away between the home and private garage. 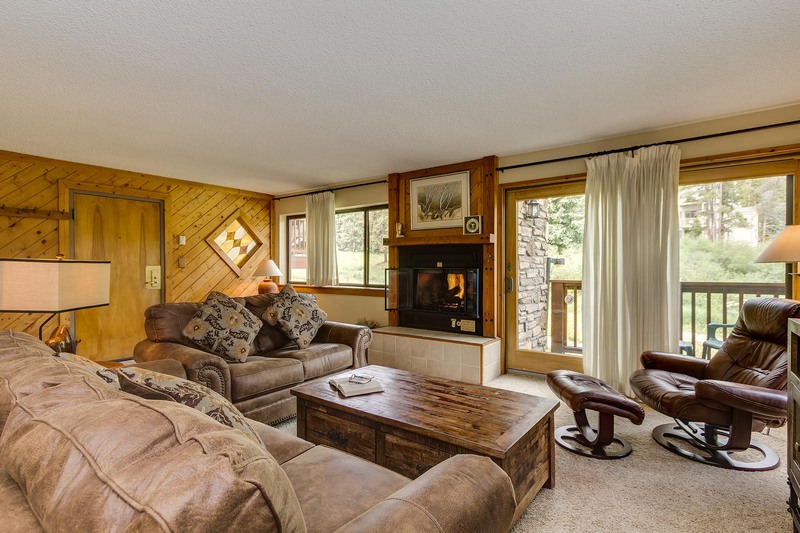 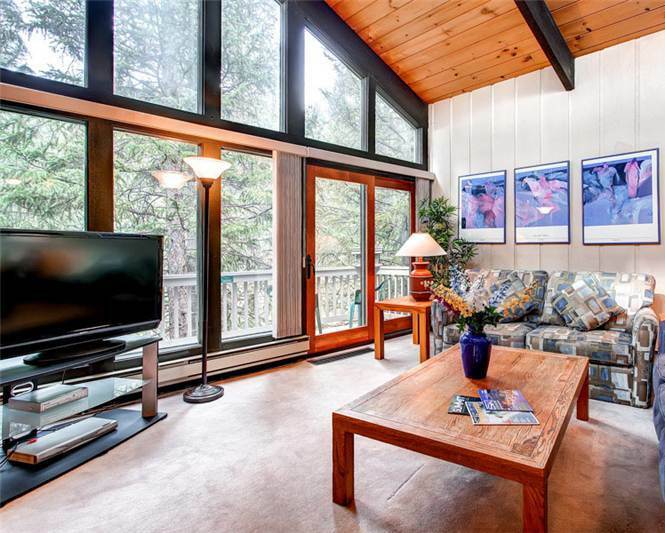 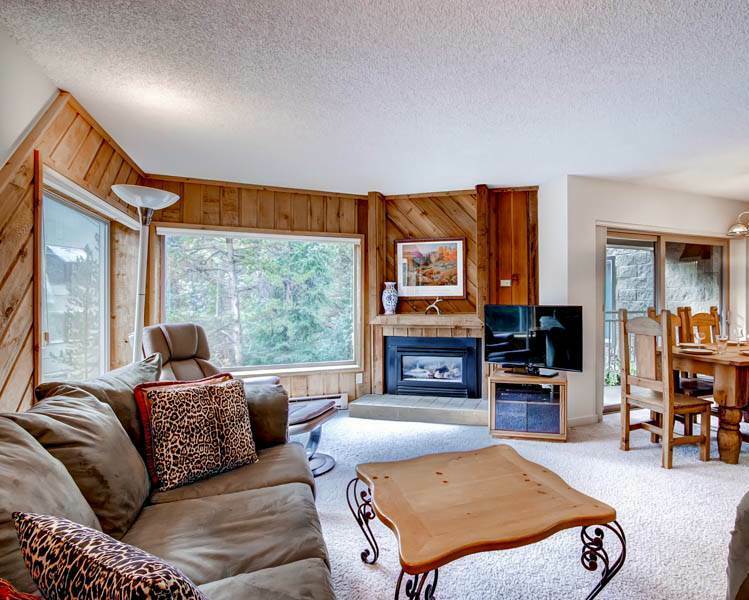 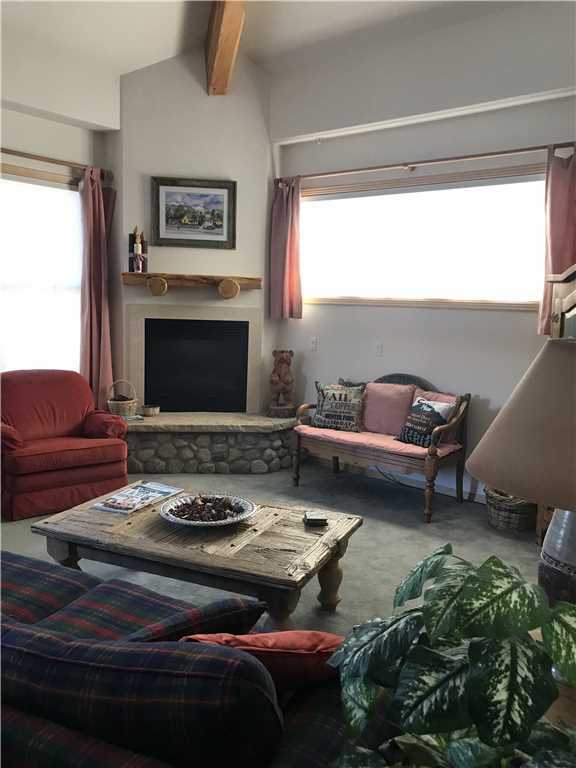 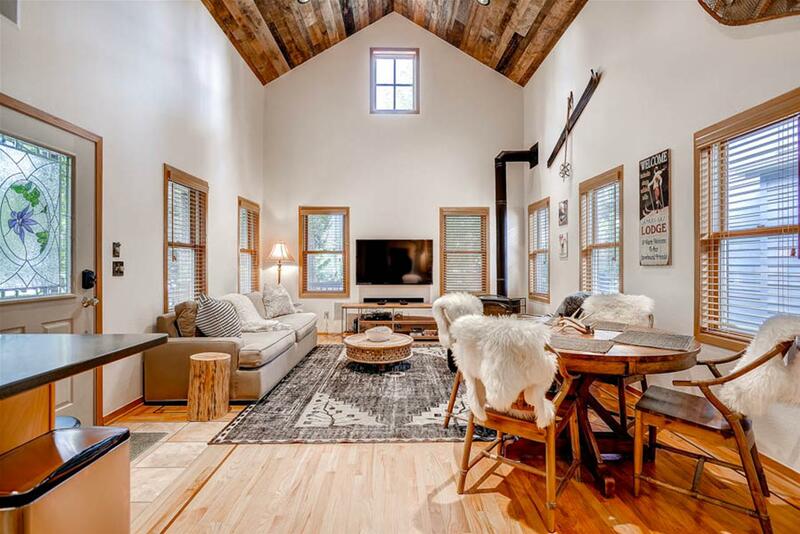 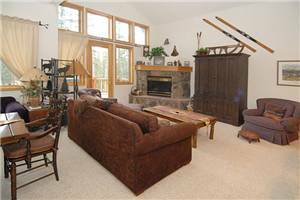 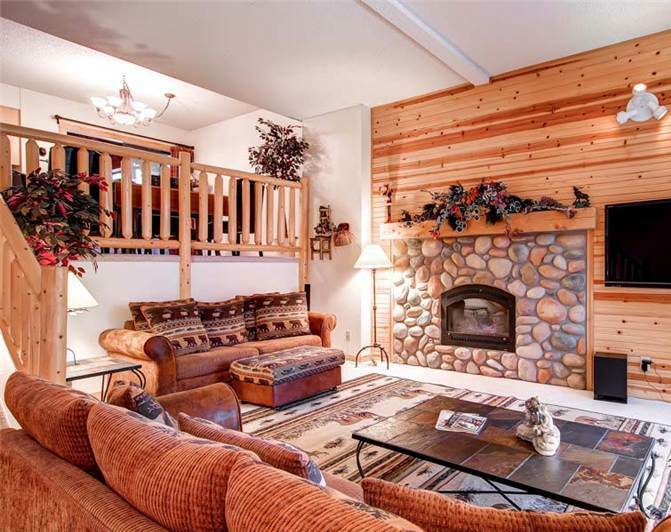 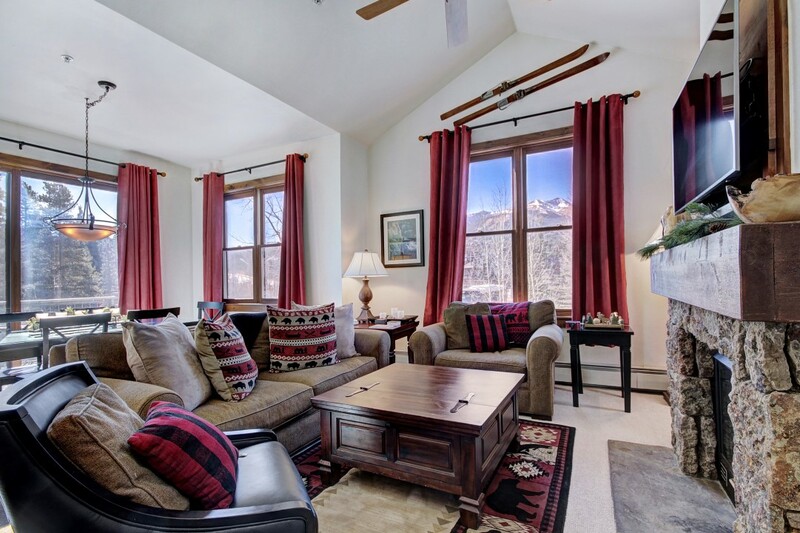 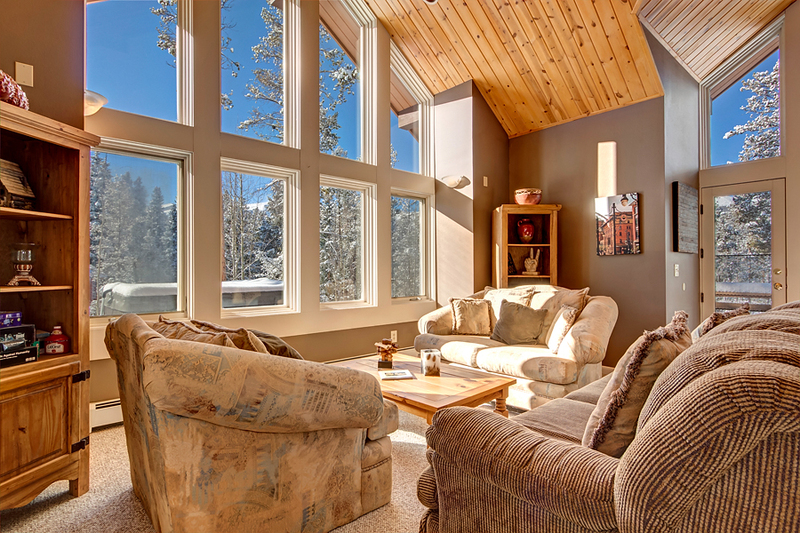 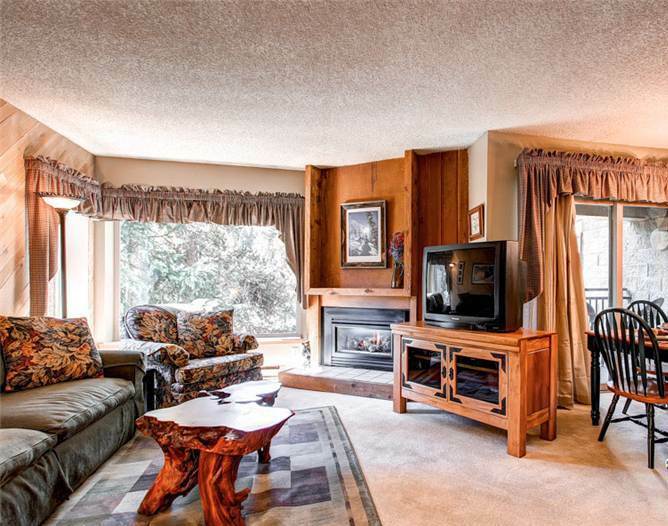 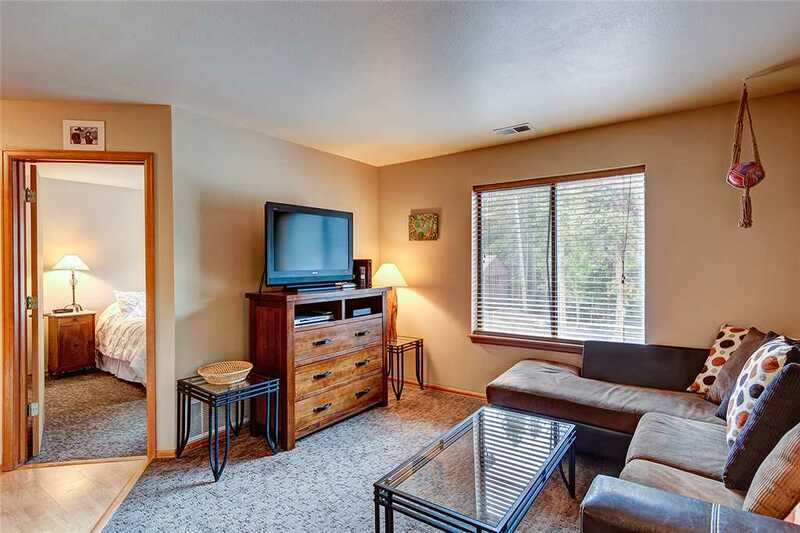 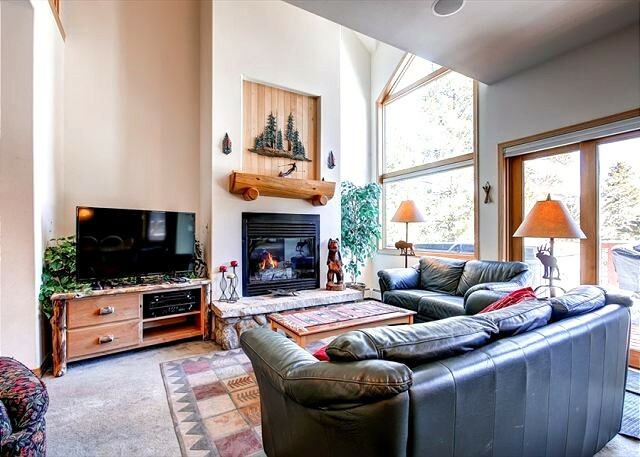 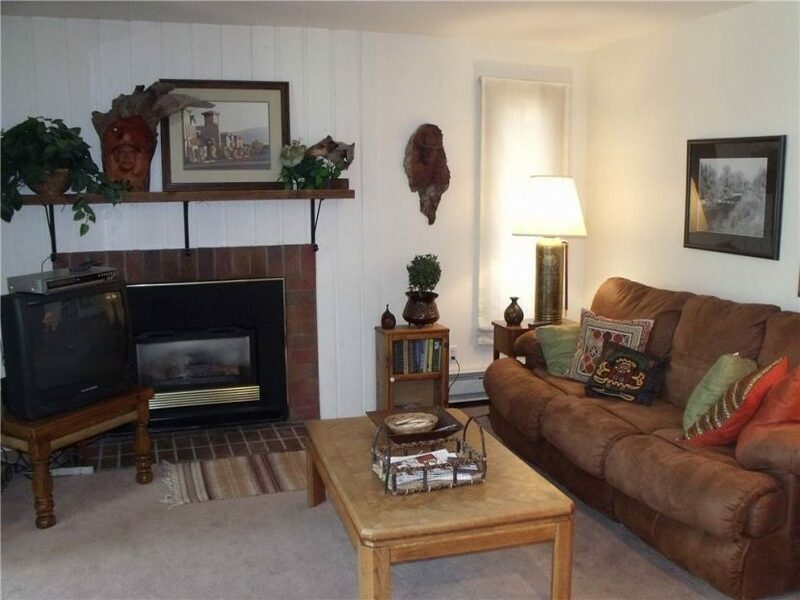 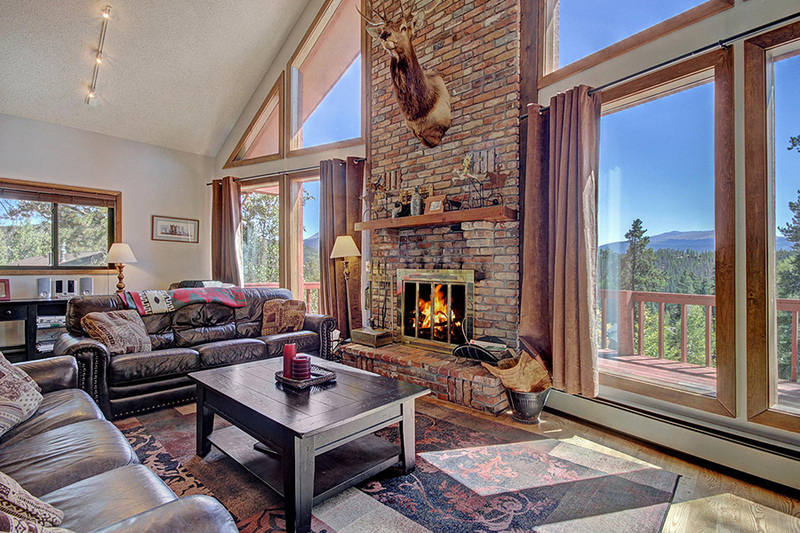 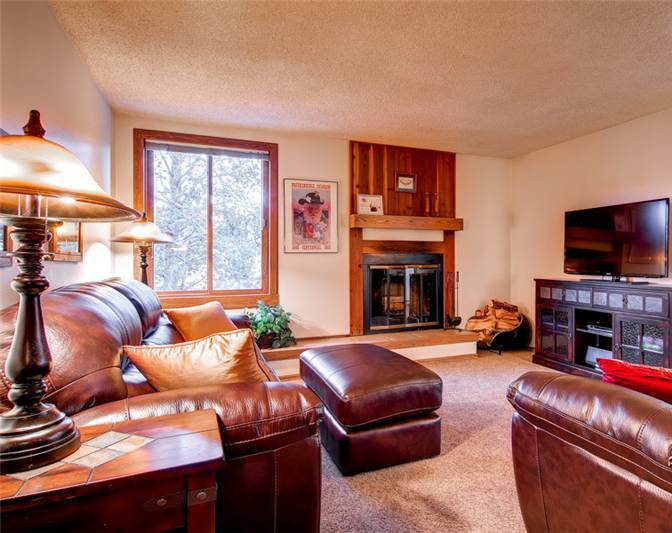 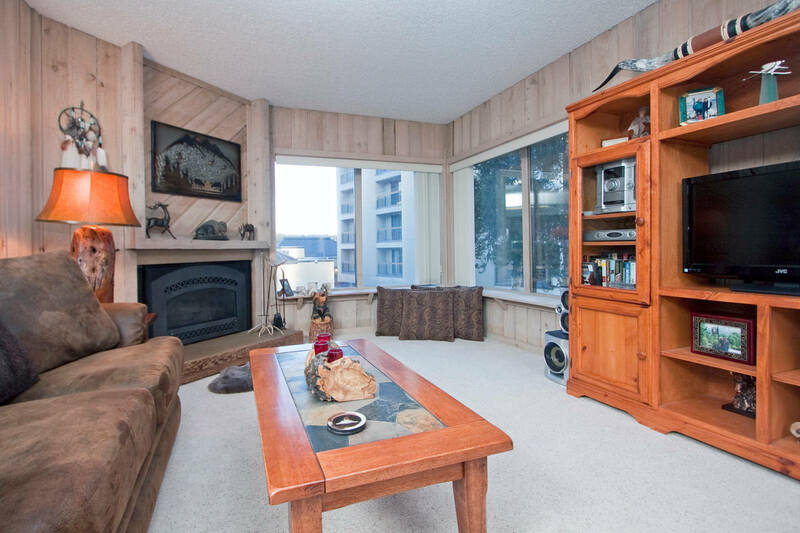 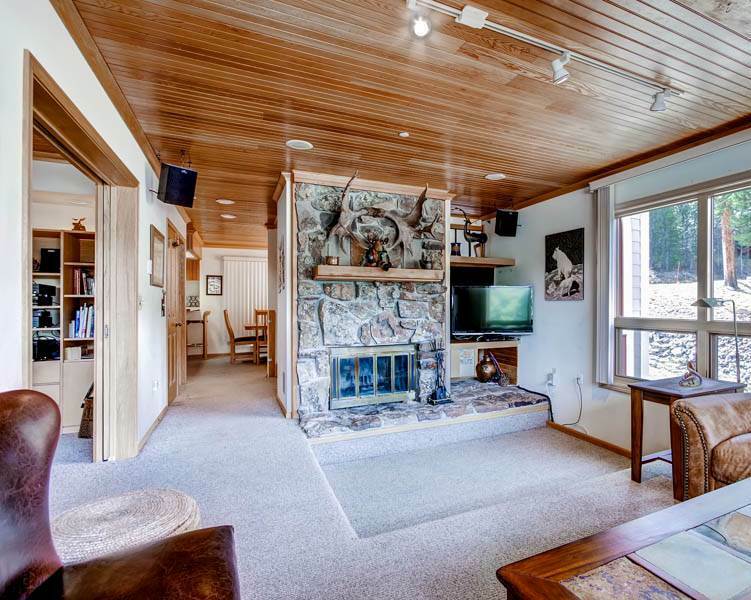 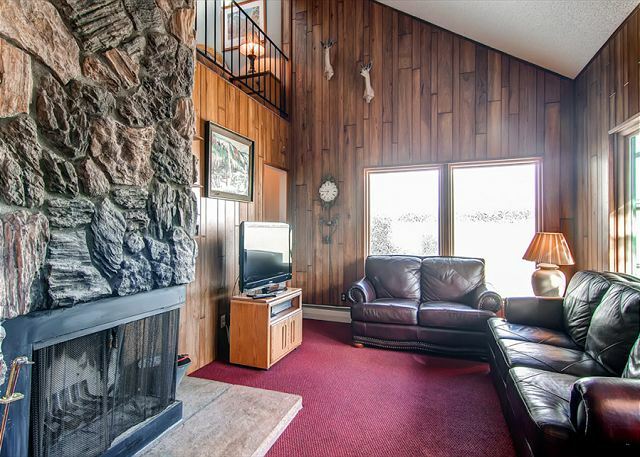 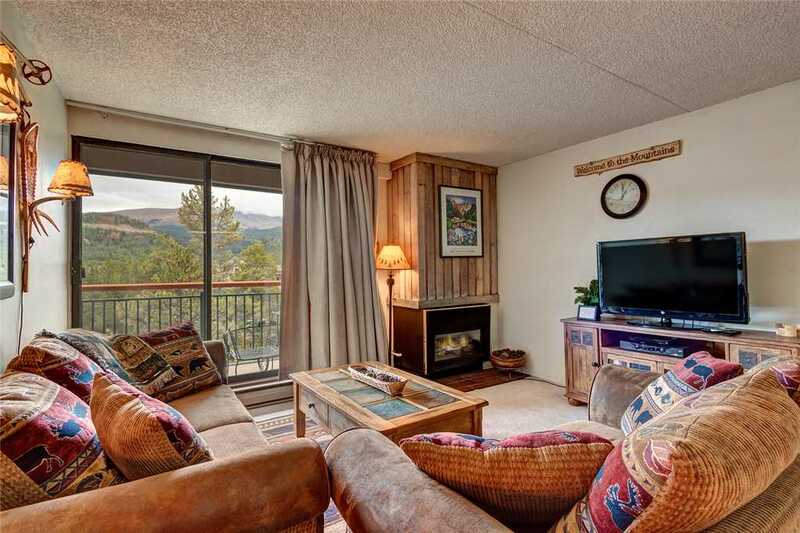 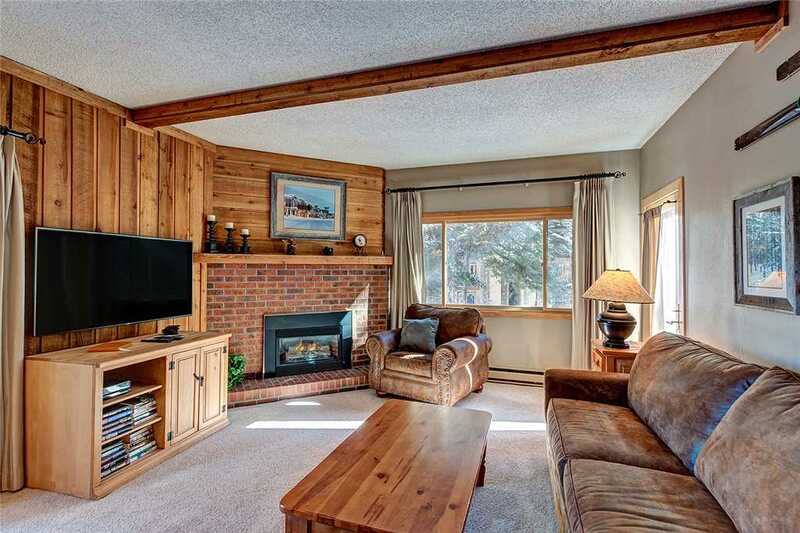 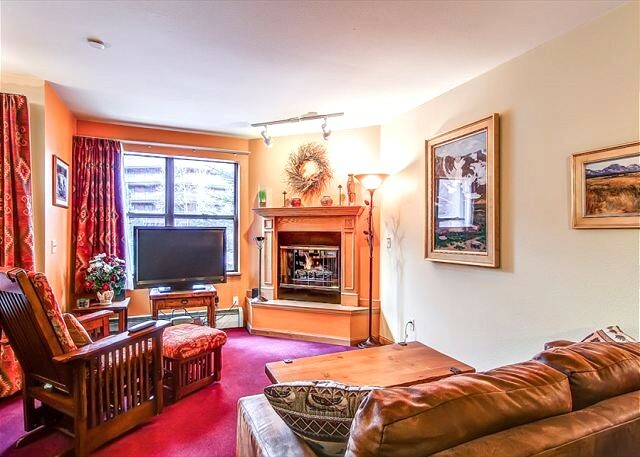 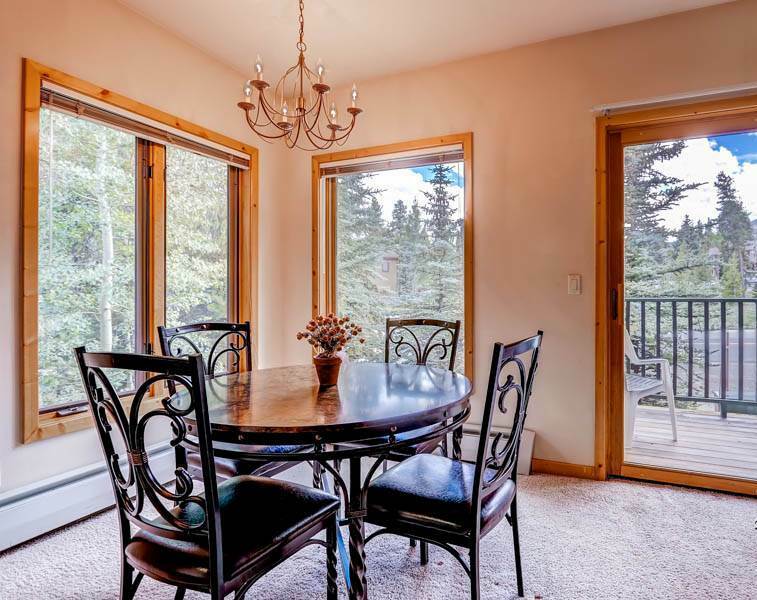 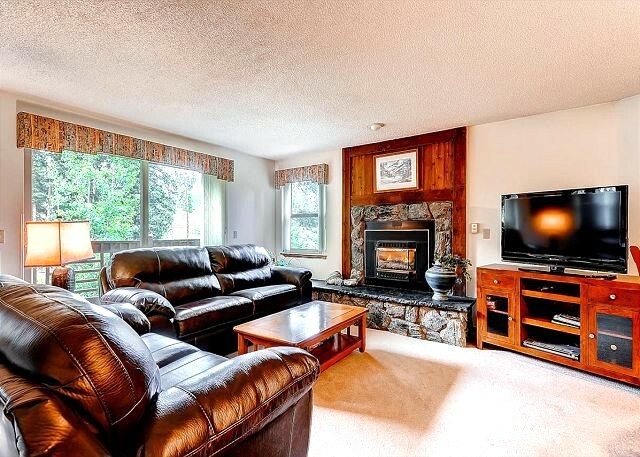 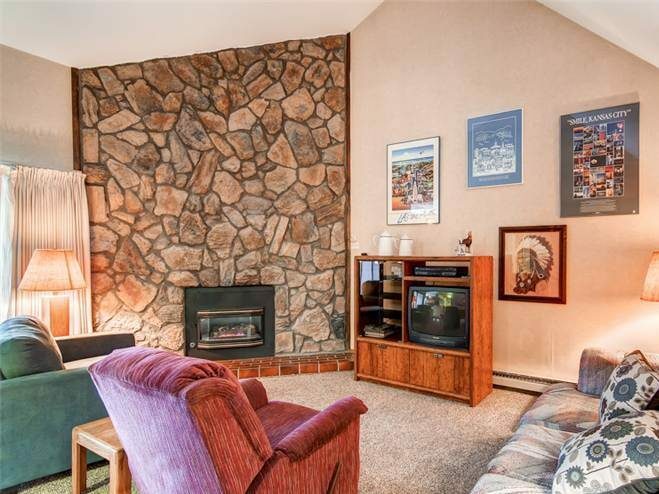 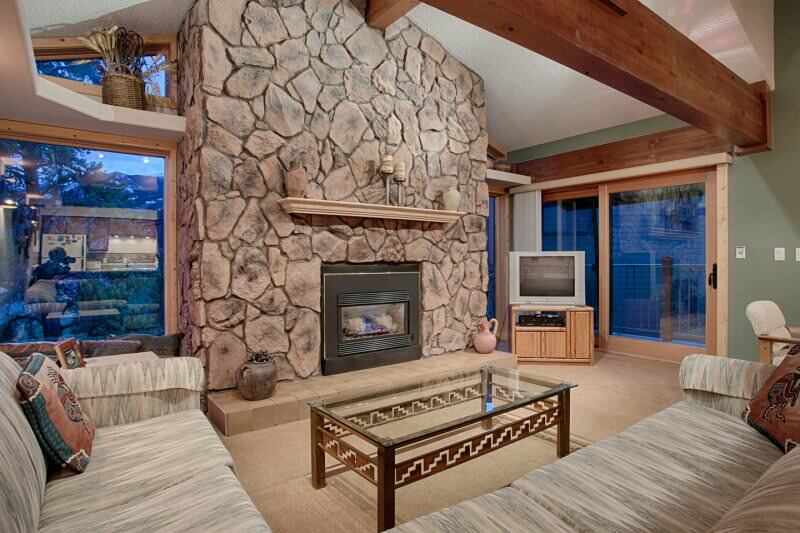 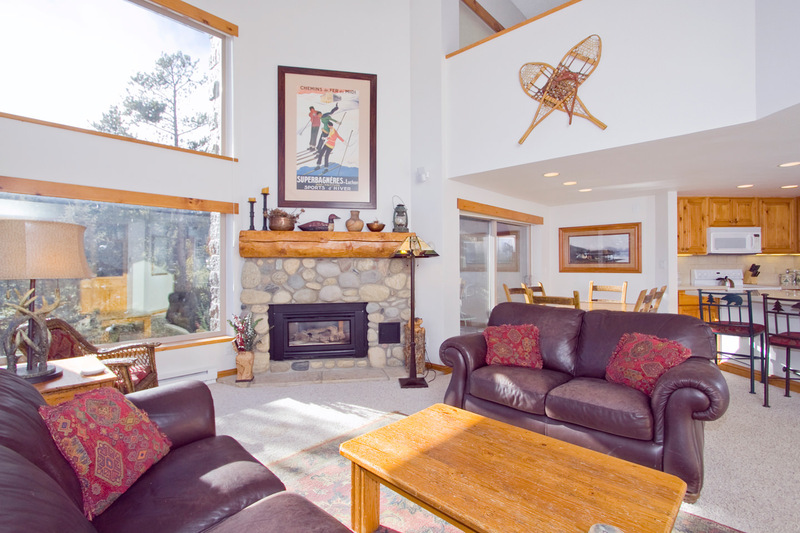 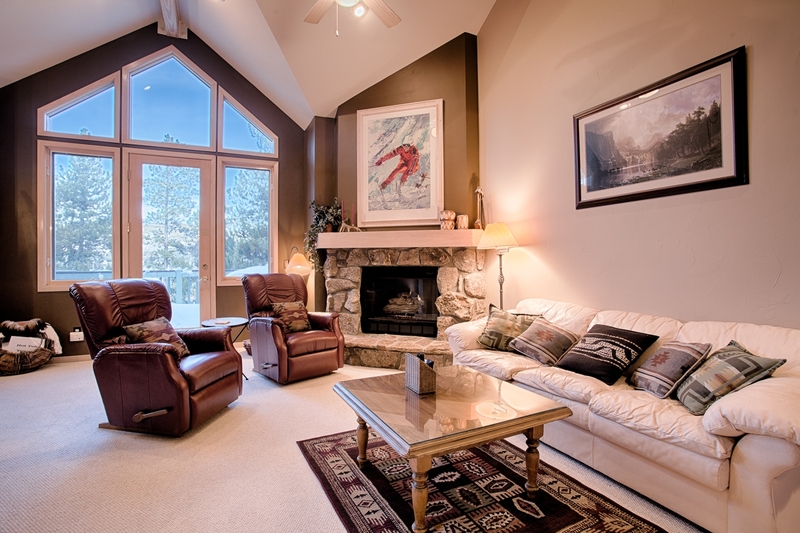 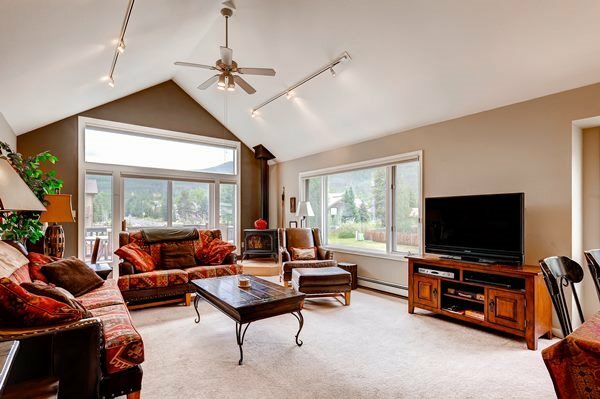 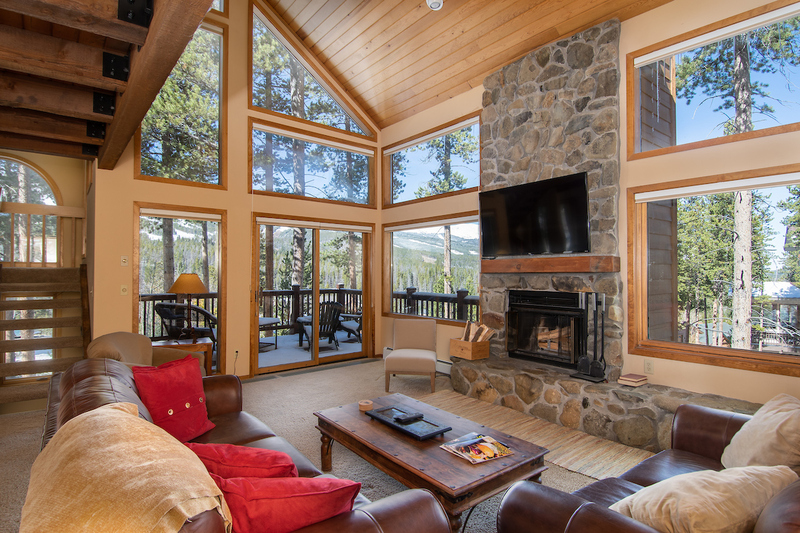 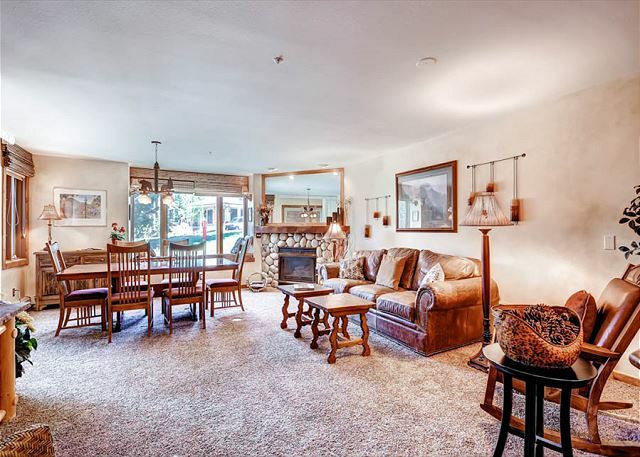 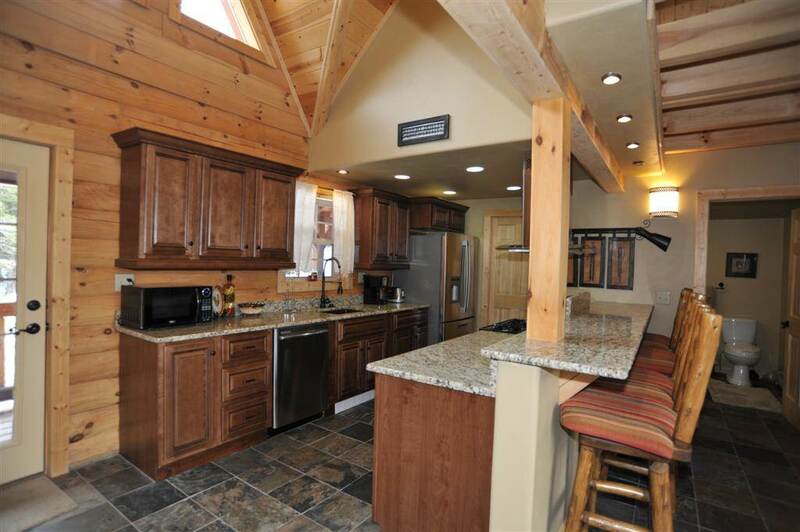 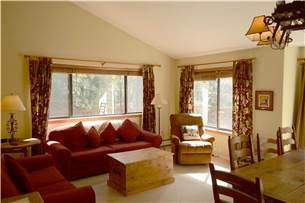 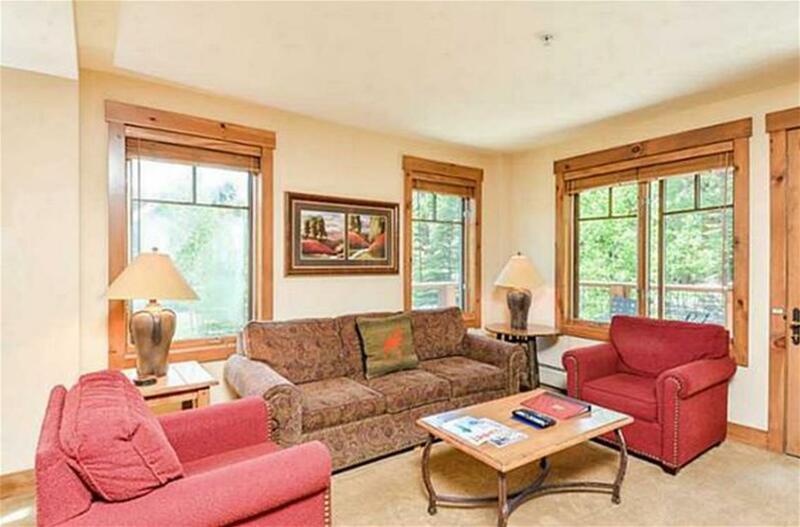 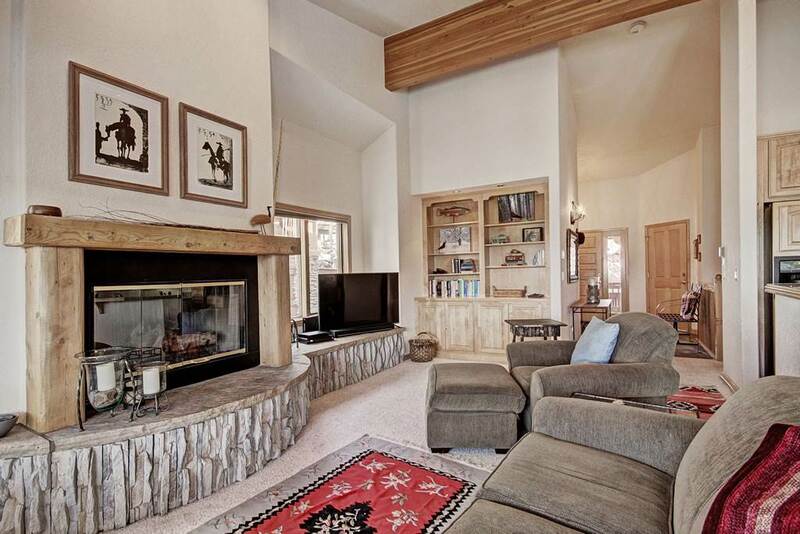 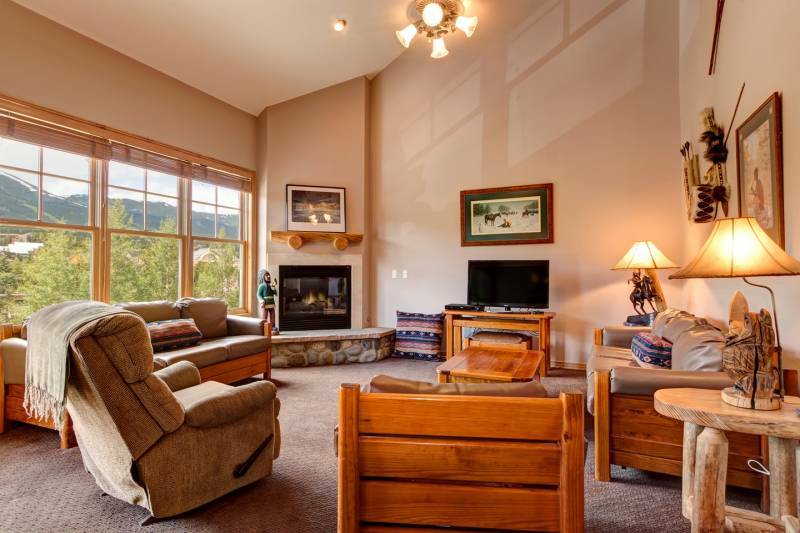 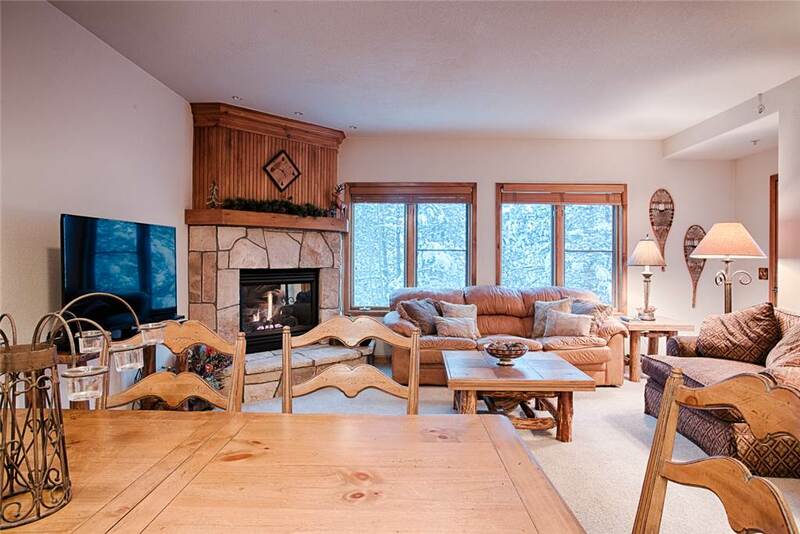 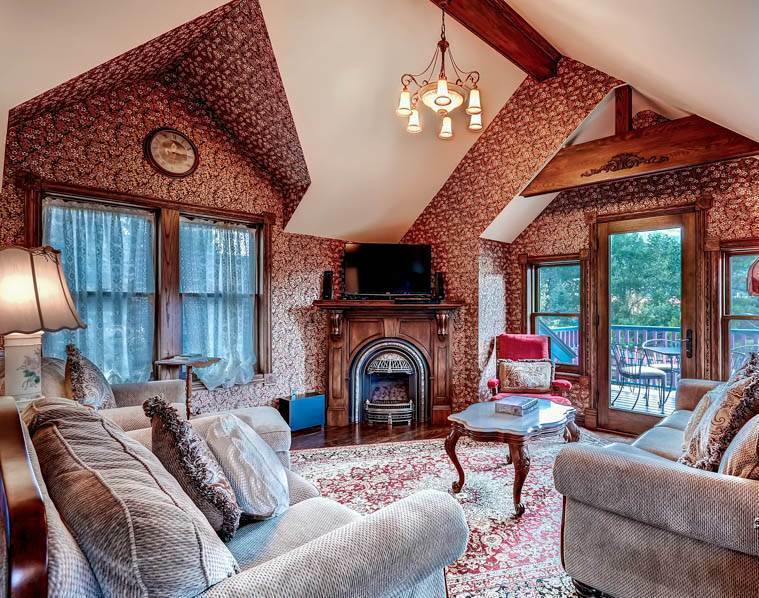 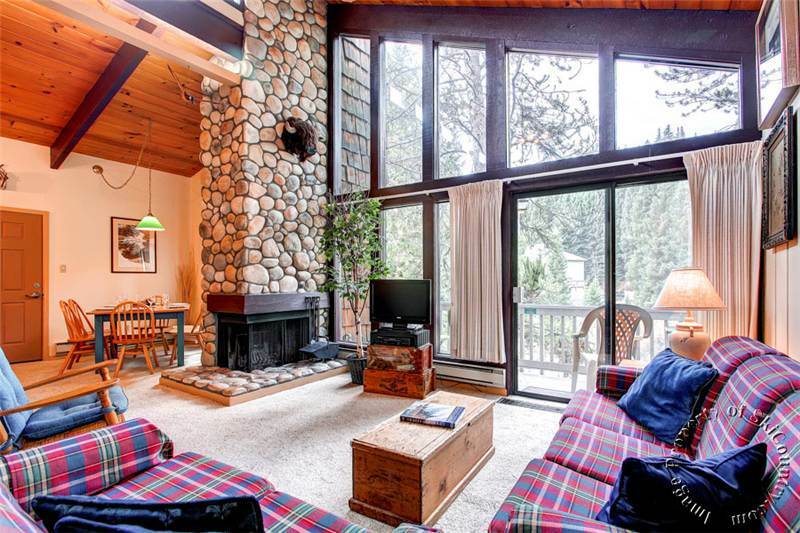 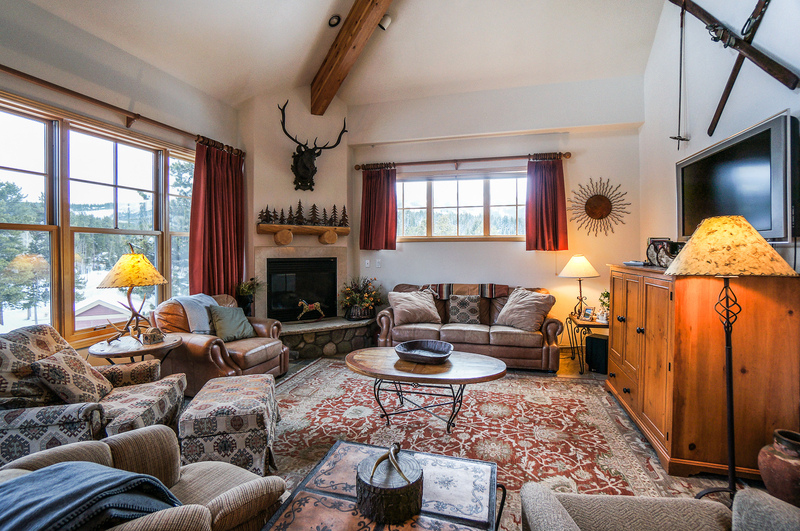 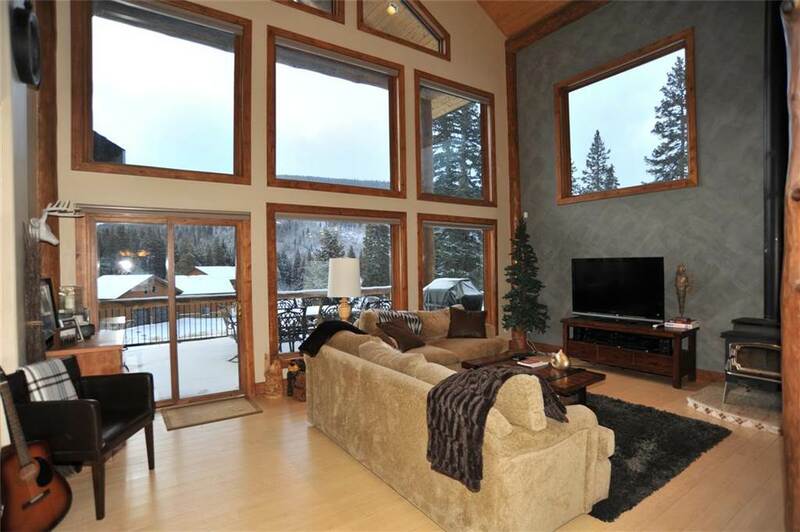 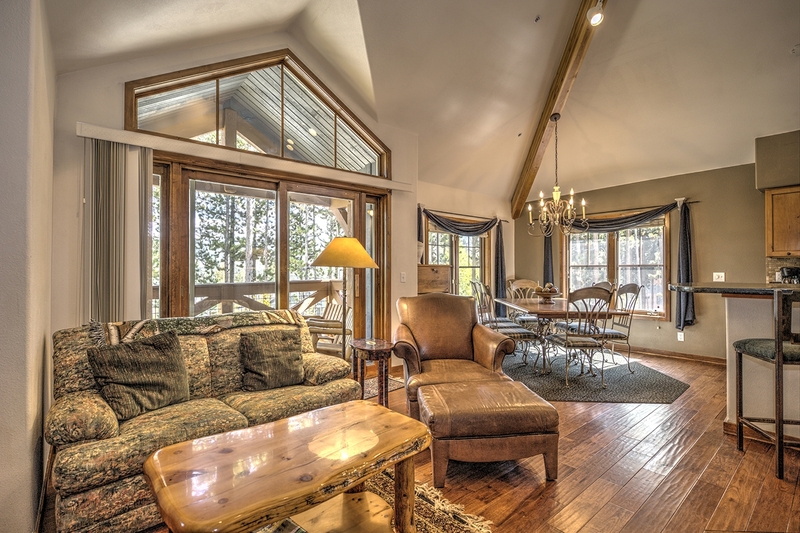 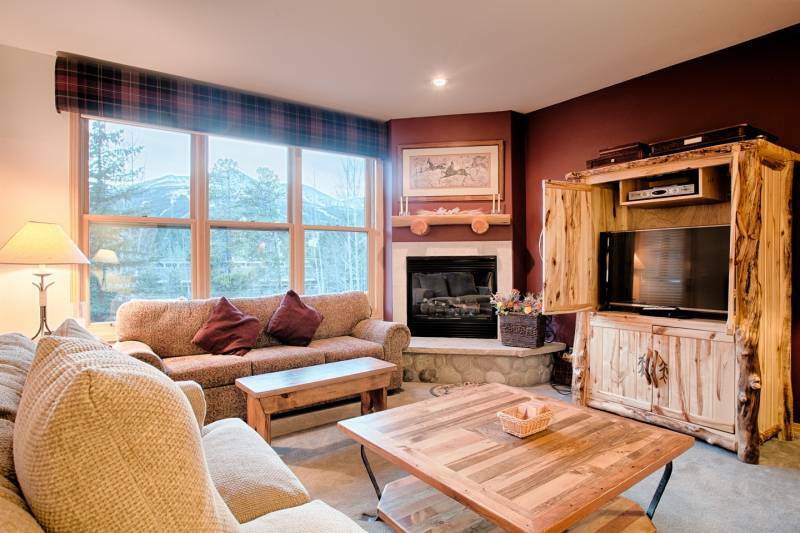 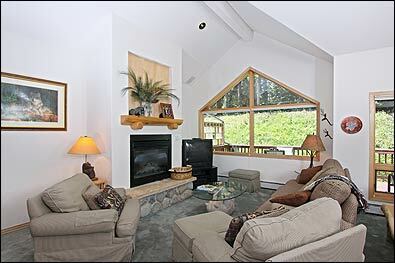 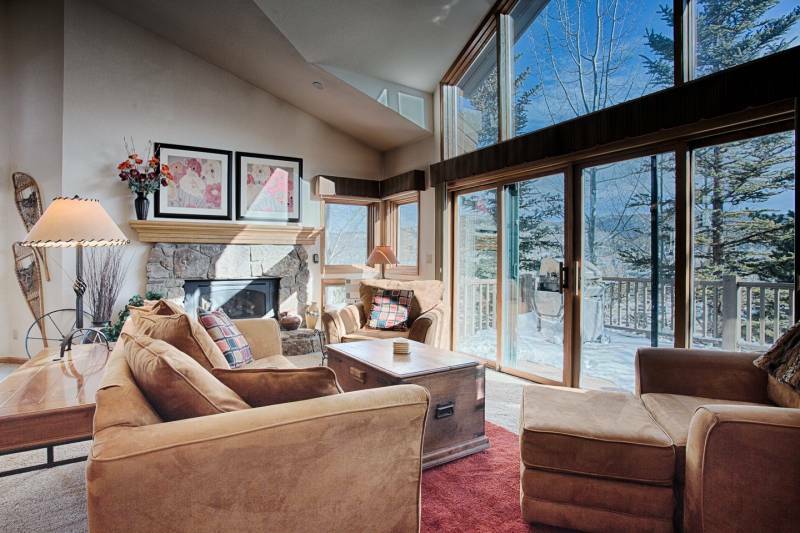 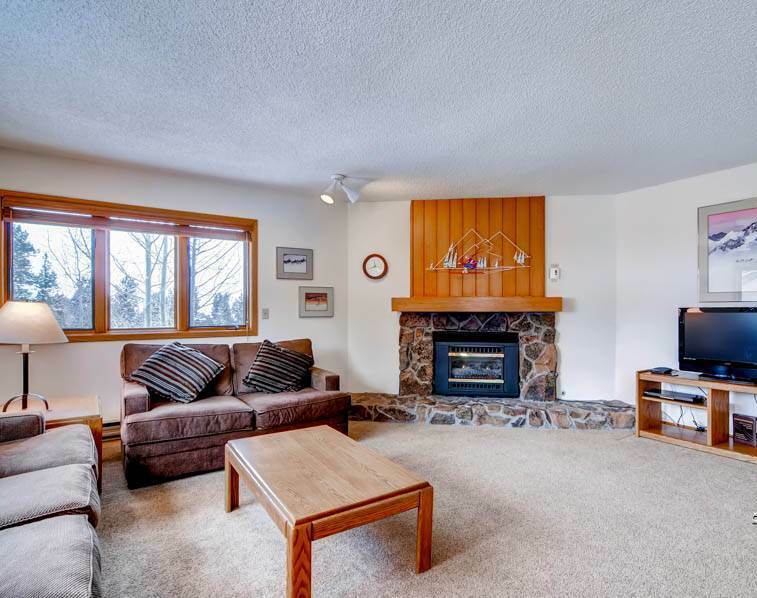 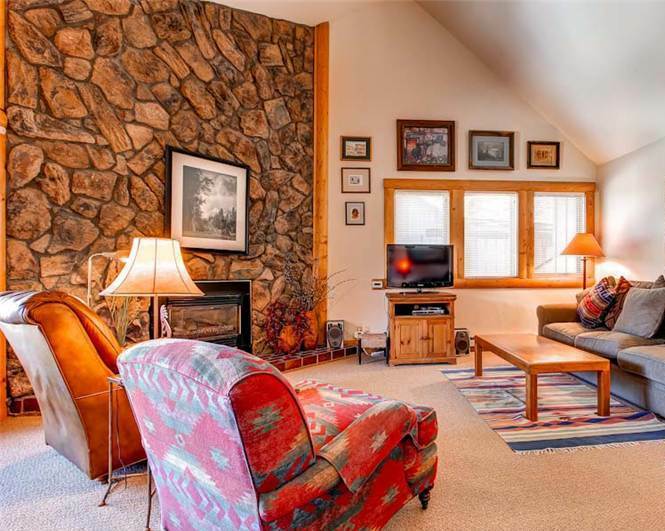 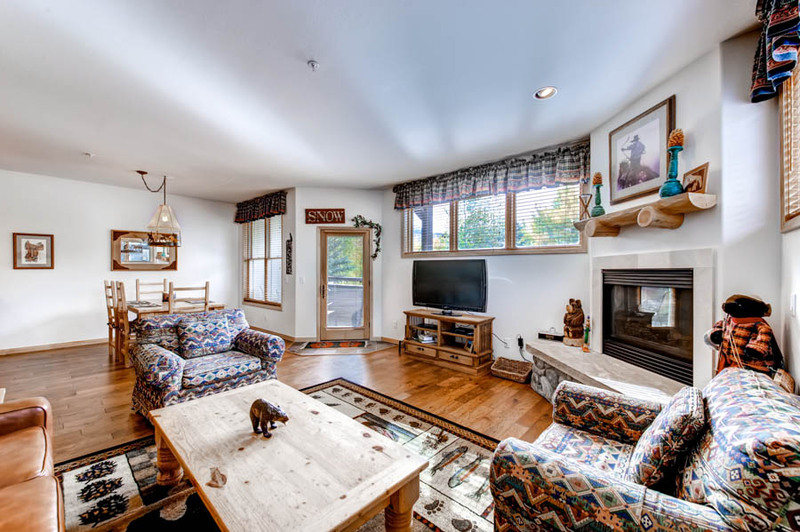 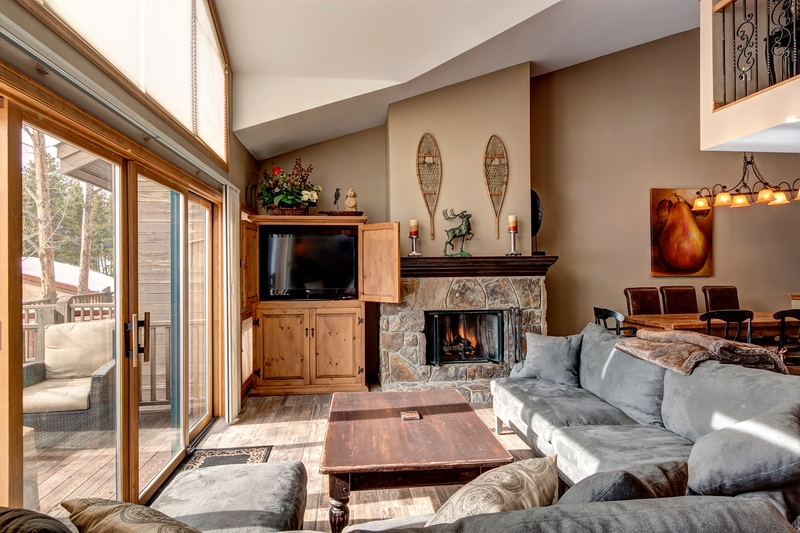 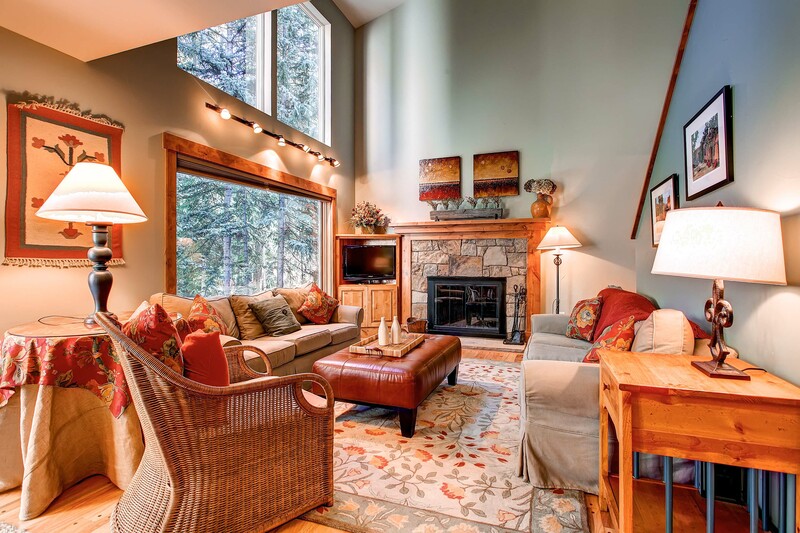 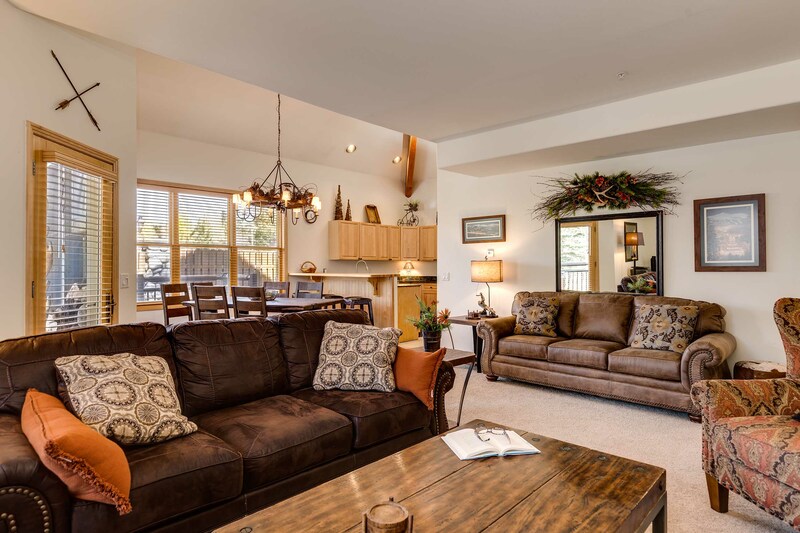 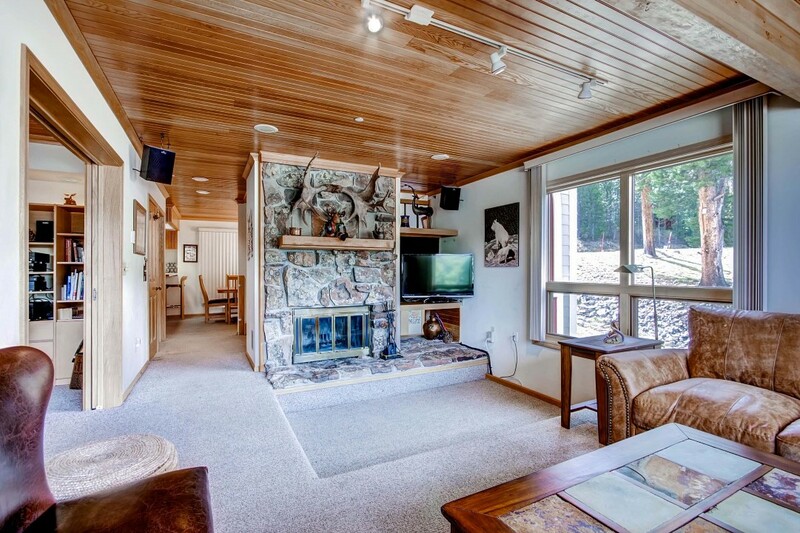 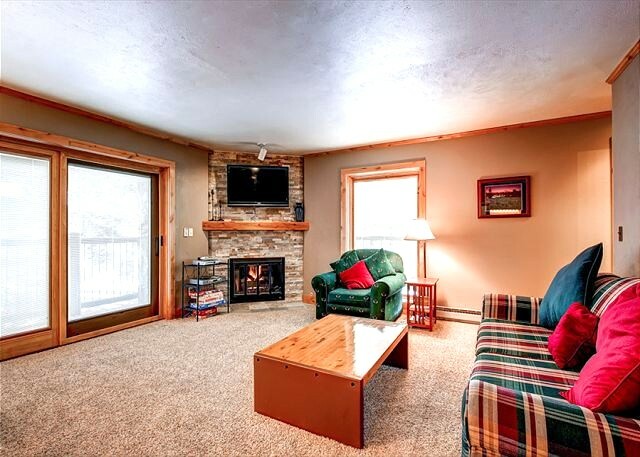 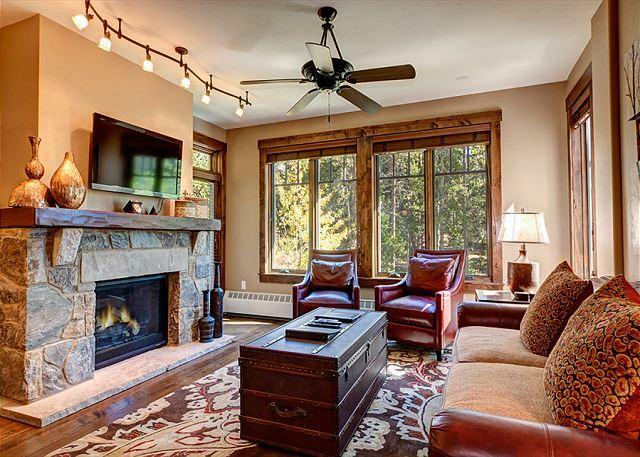 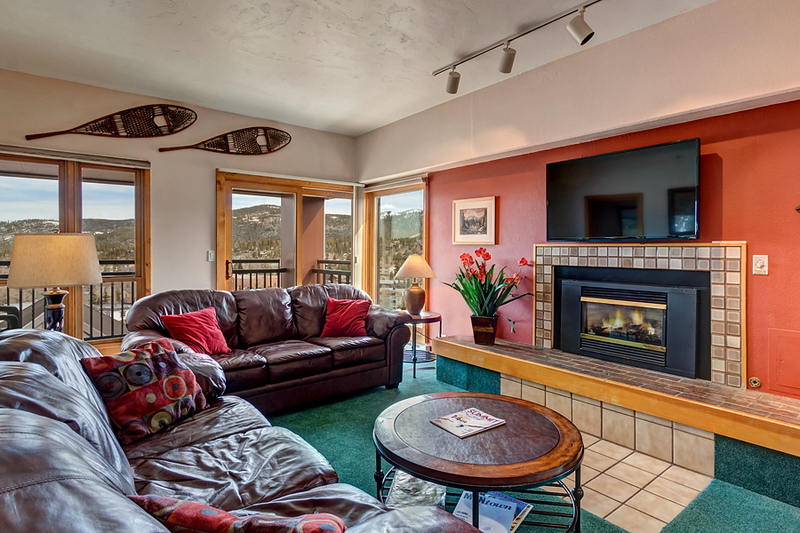 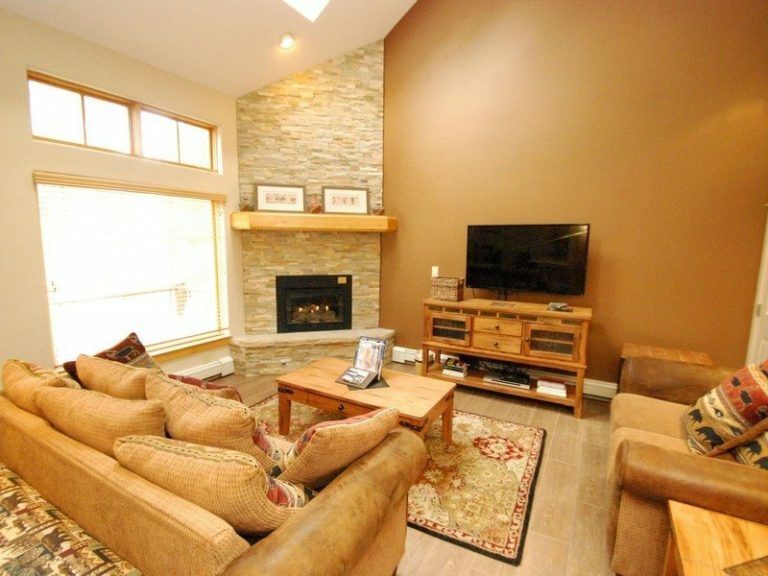 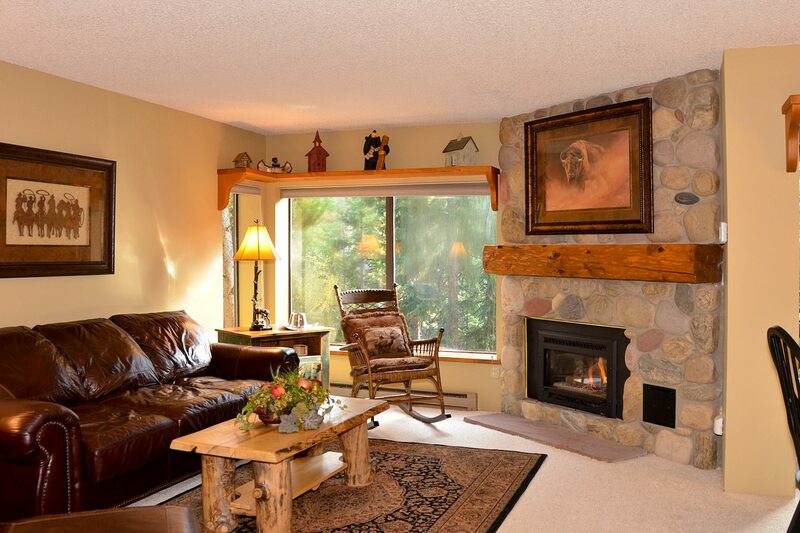 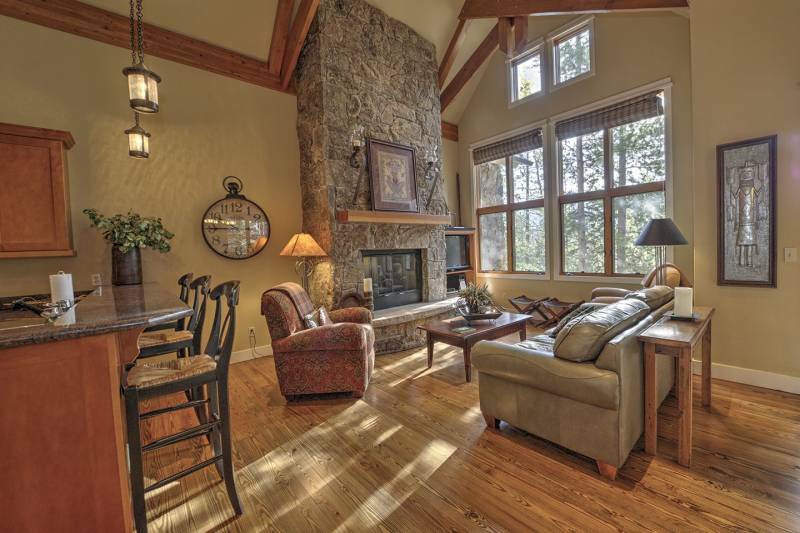 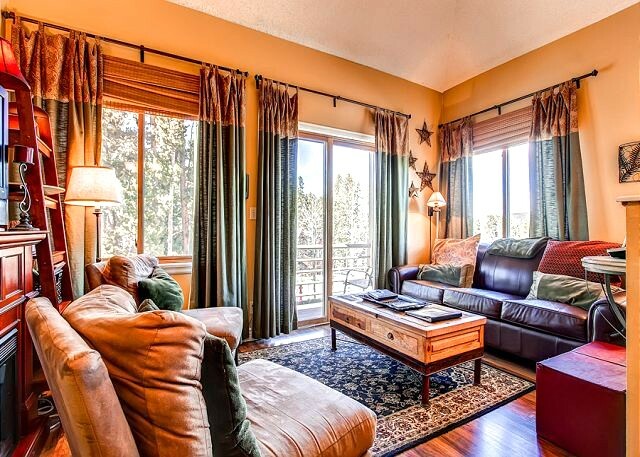 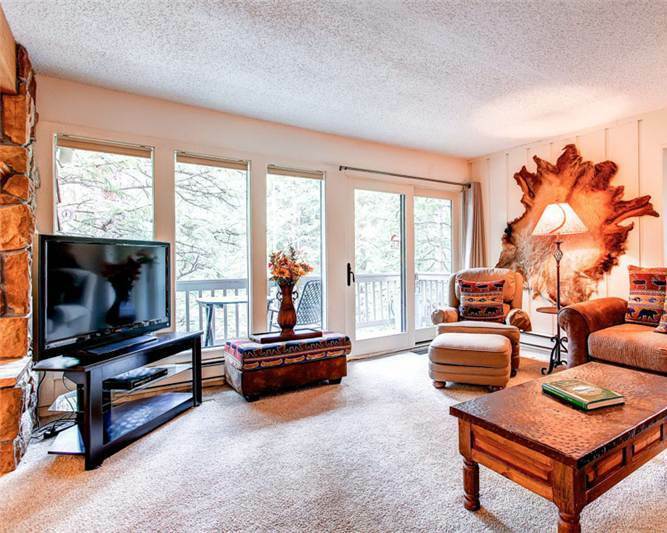 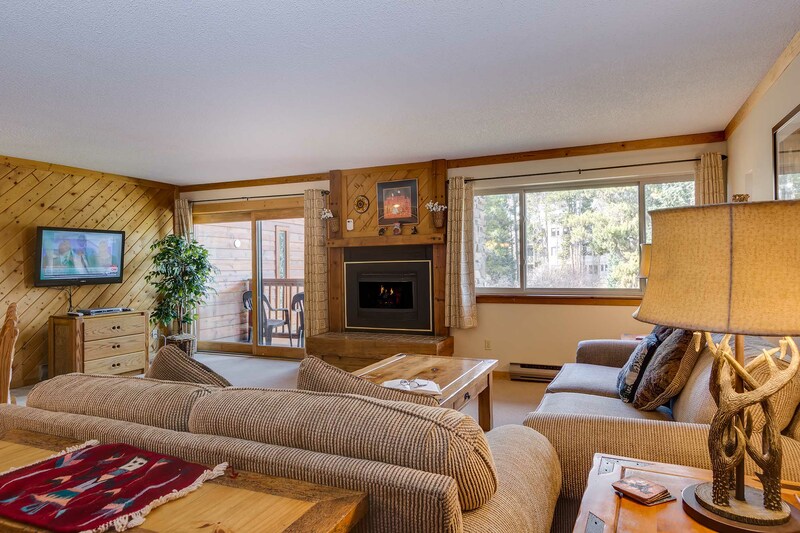 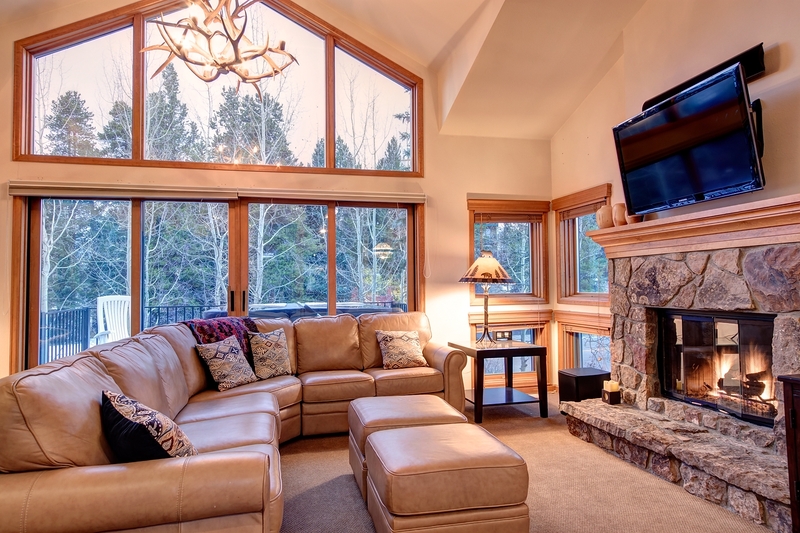 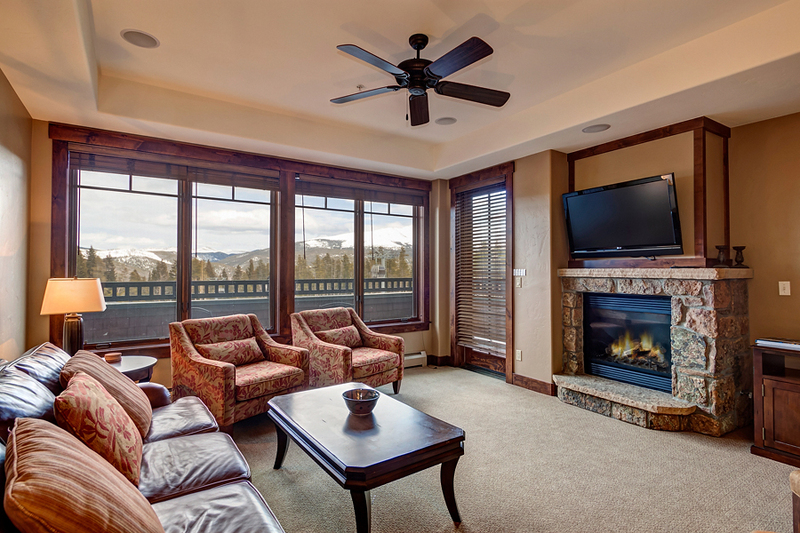 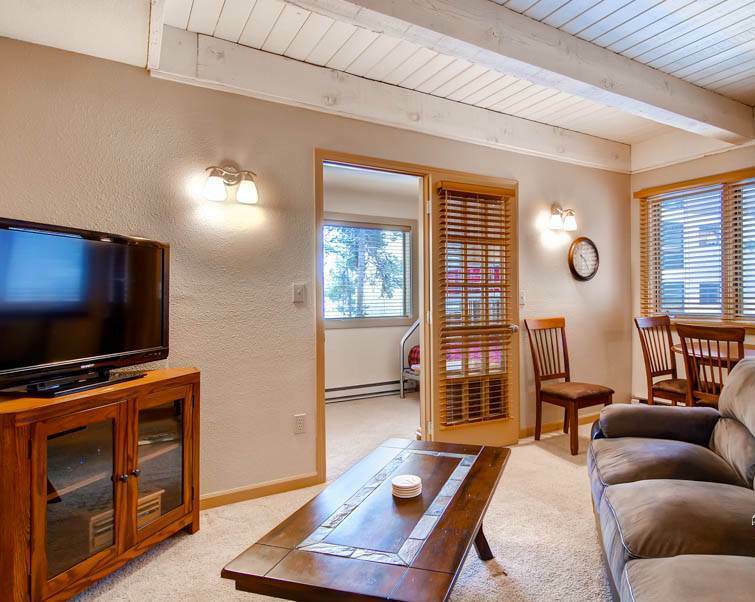 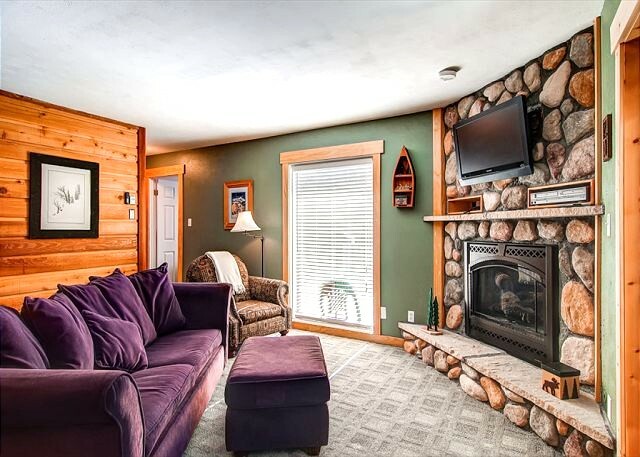 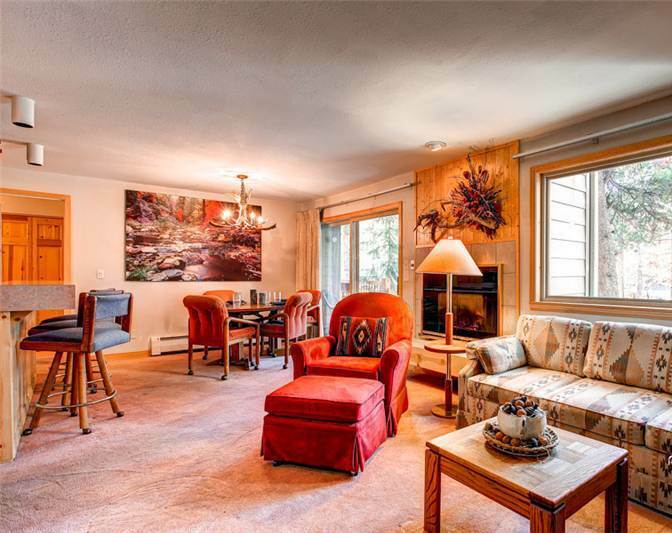 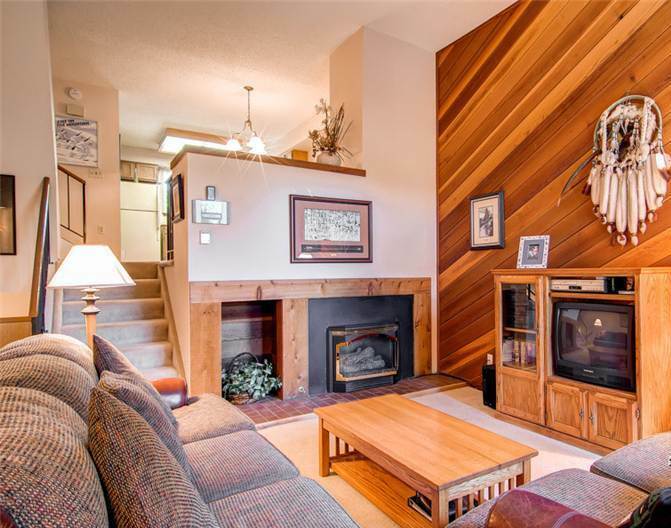 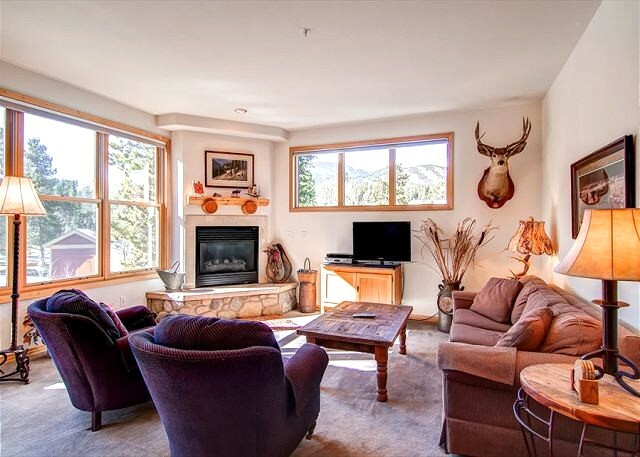 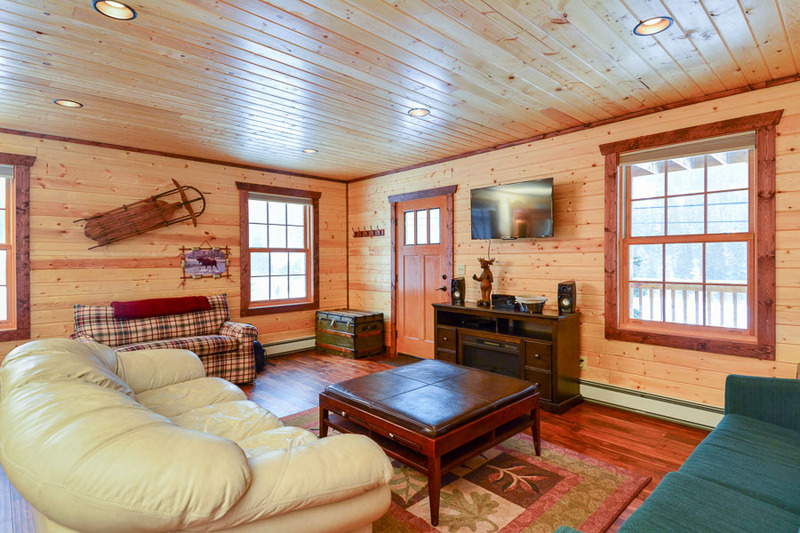 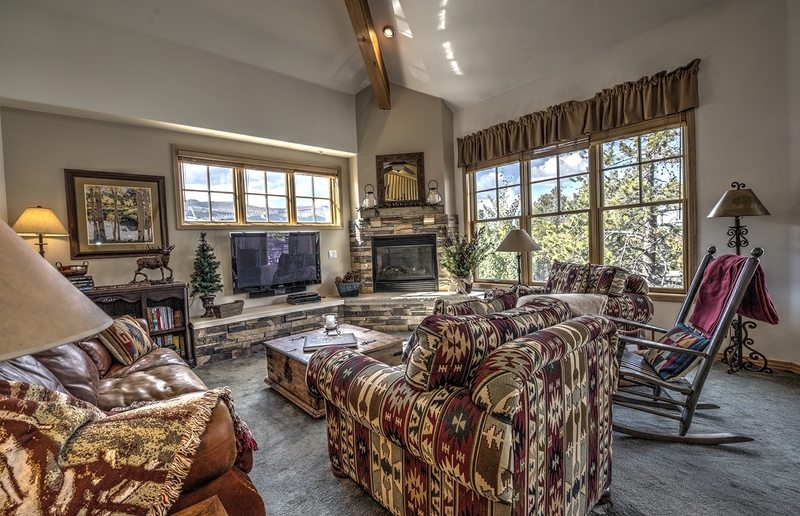 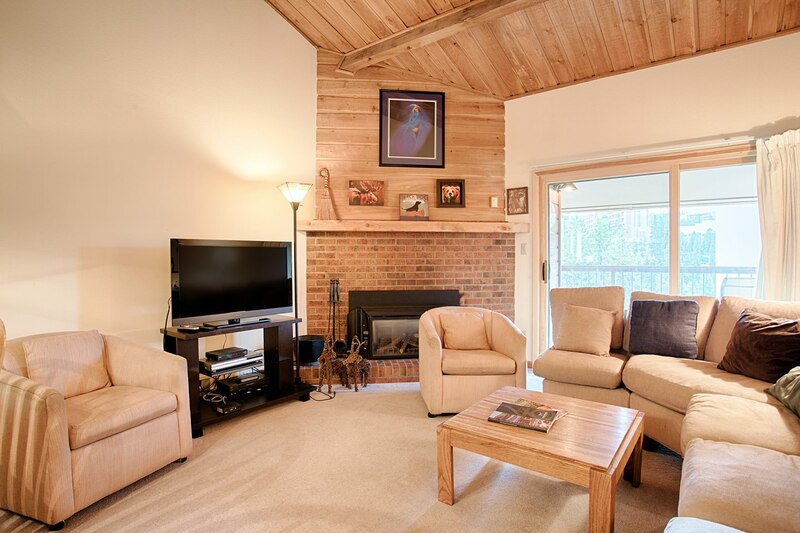 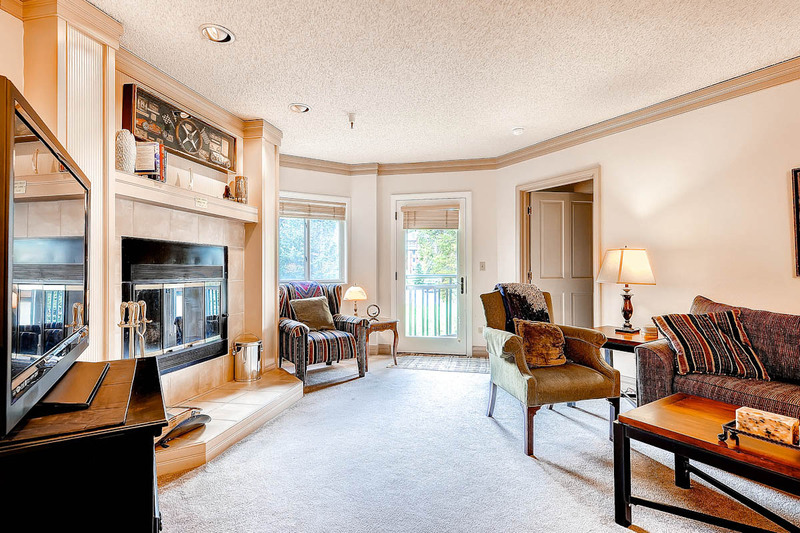 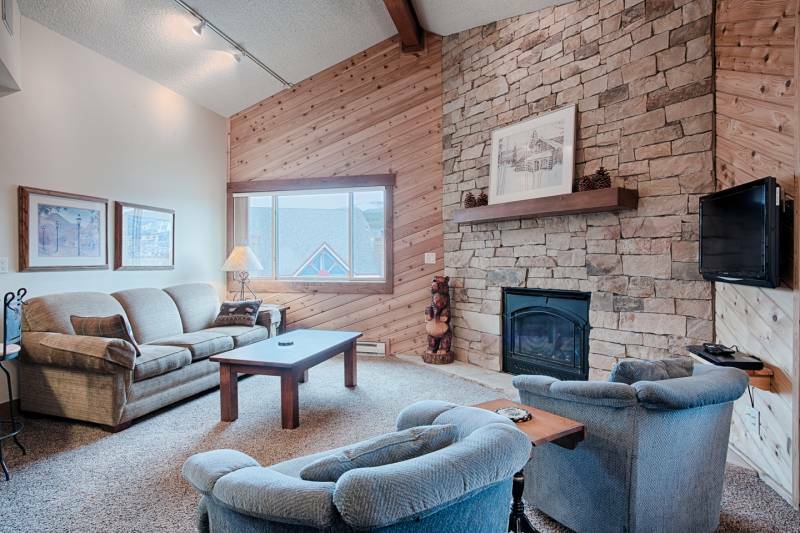 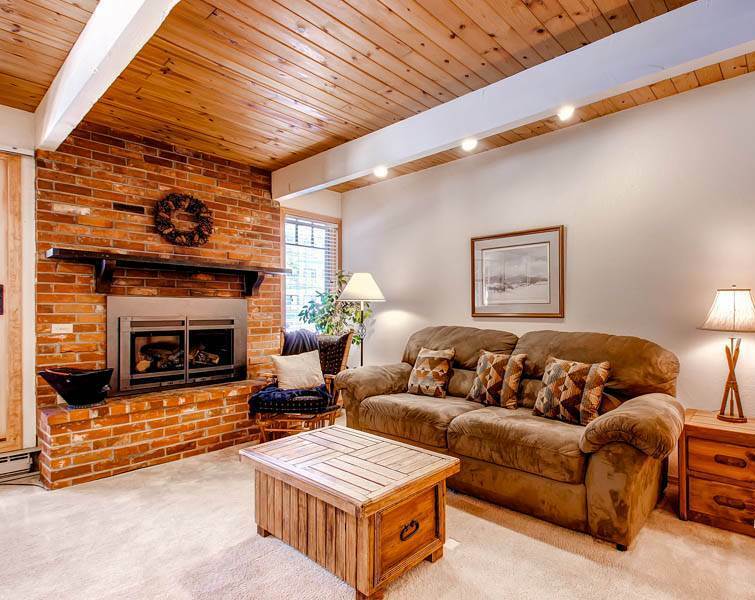 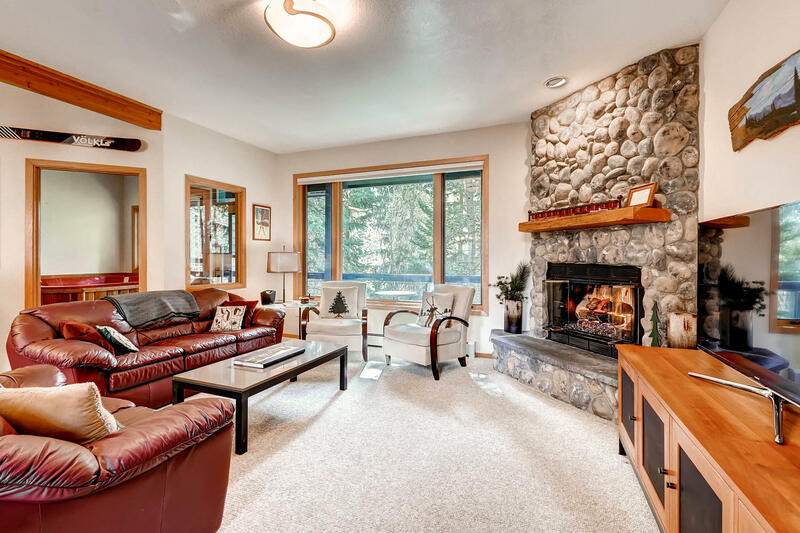 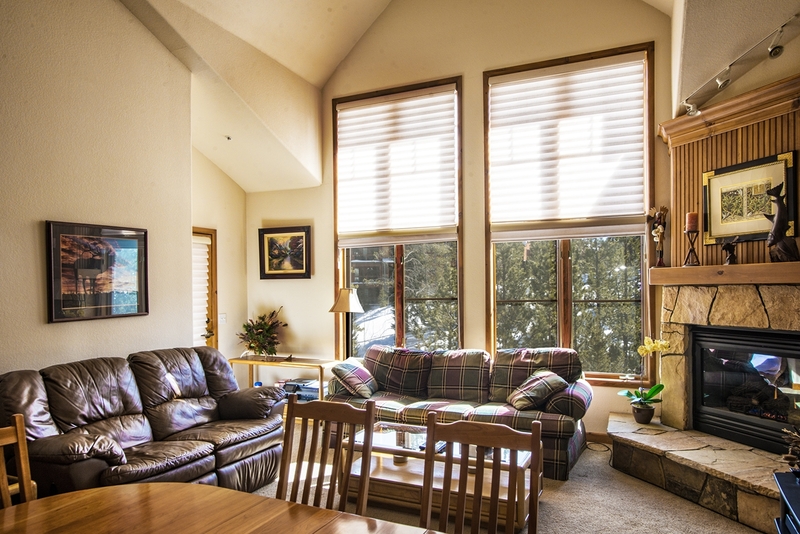 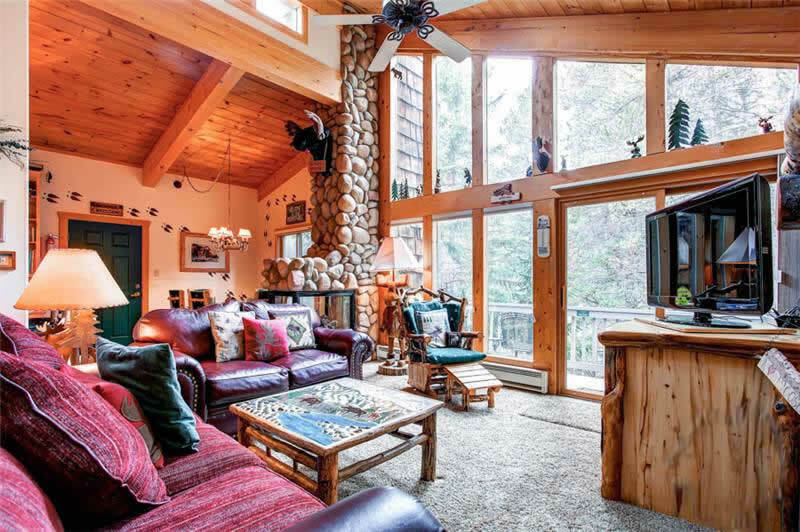 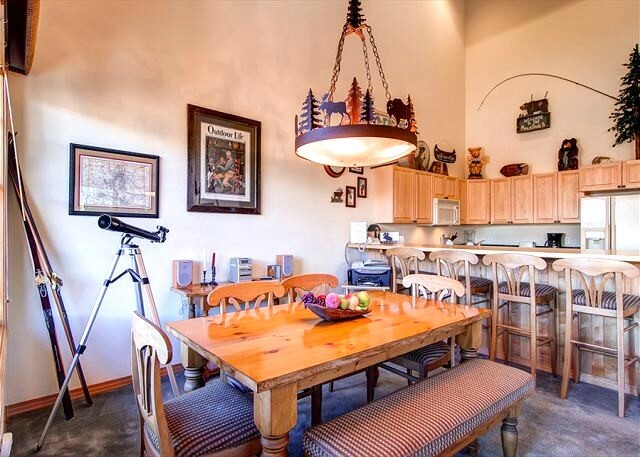 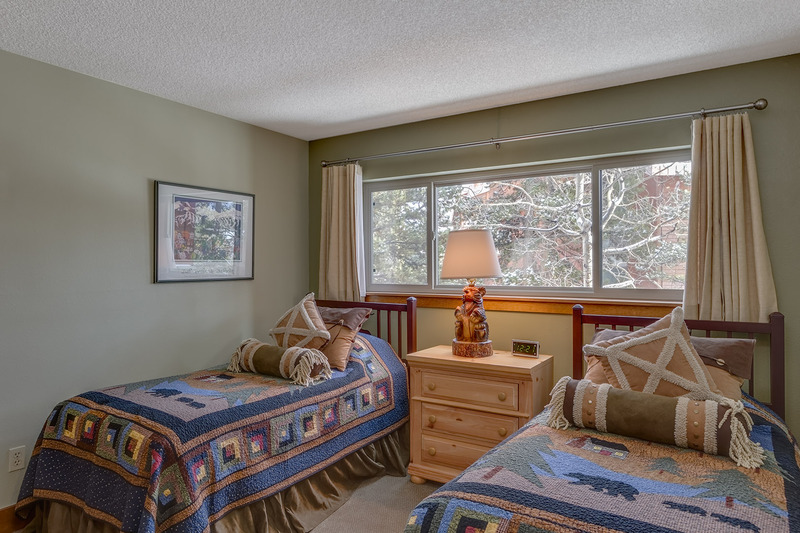 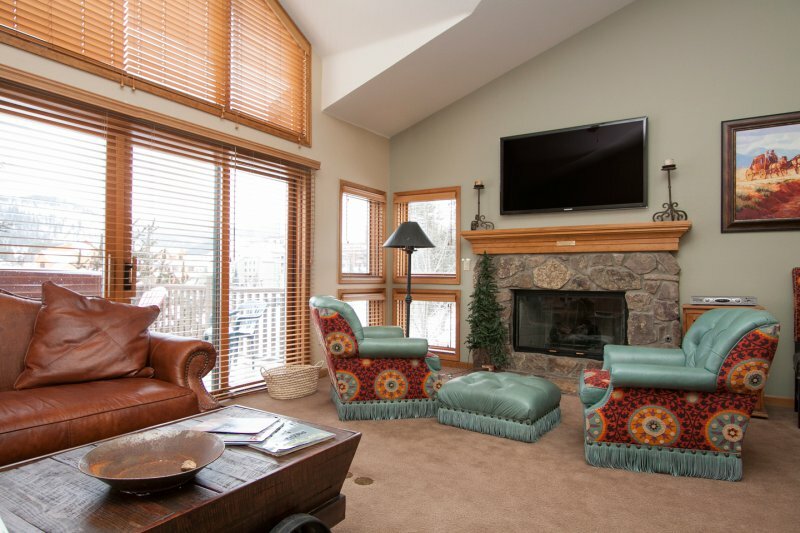 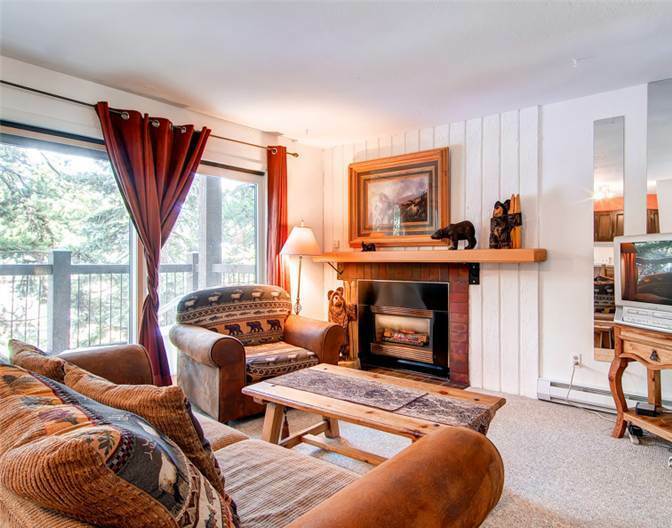 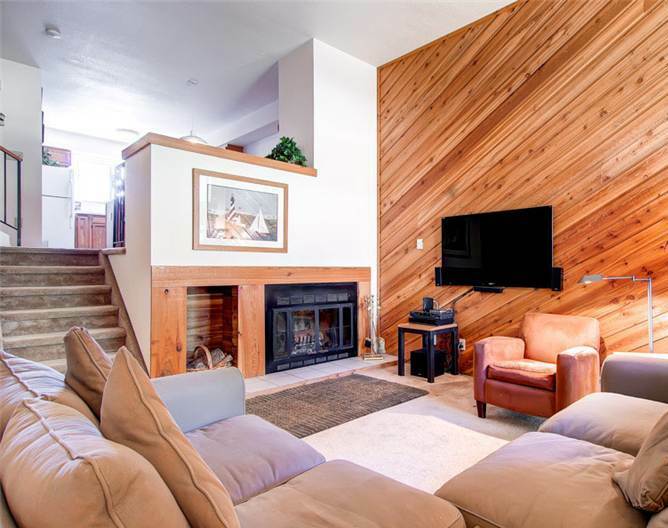 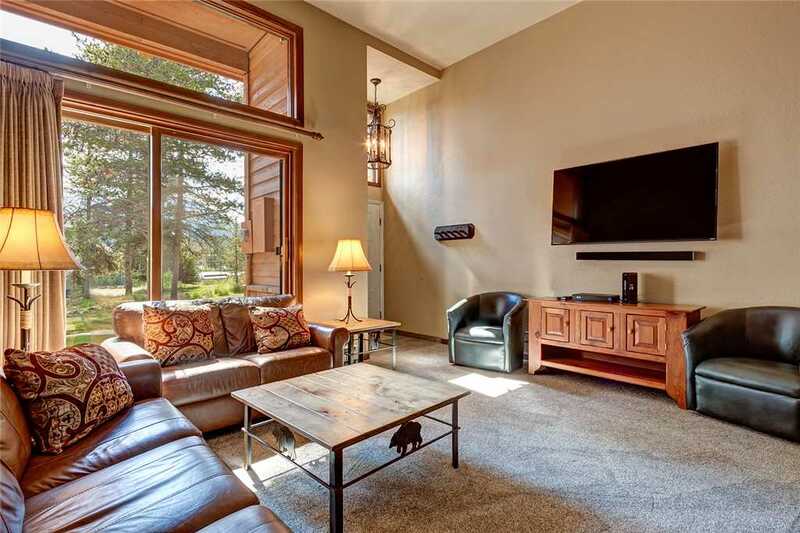 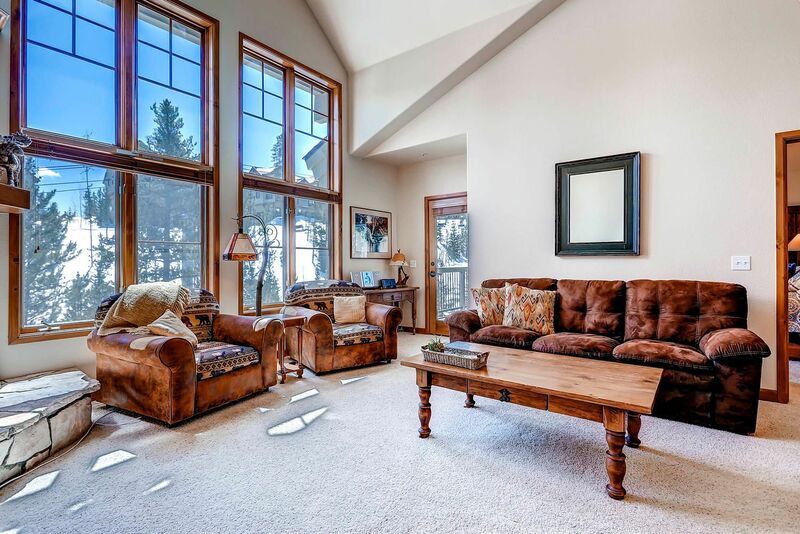 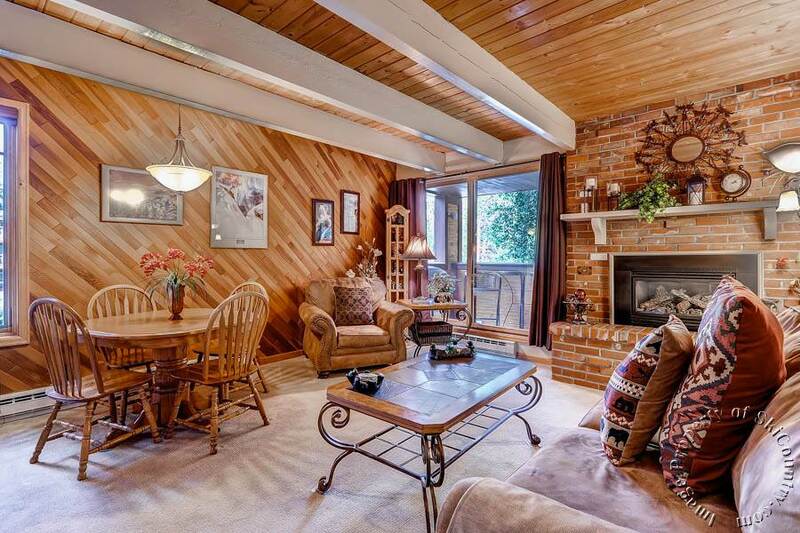 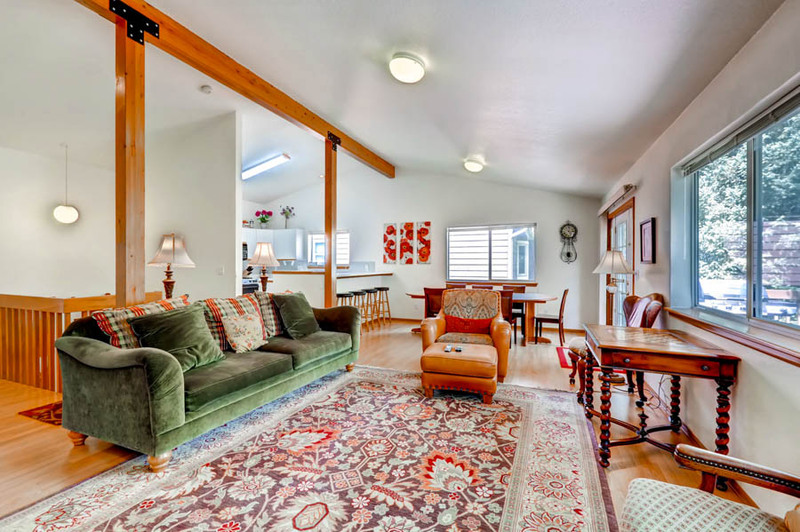 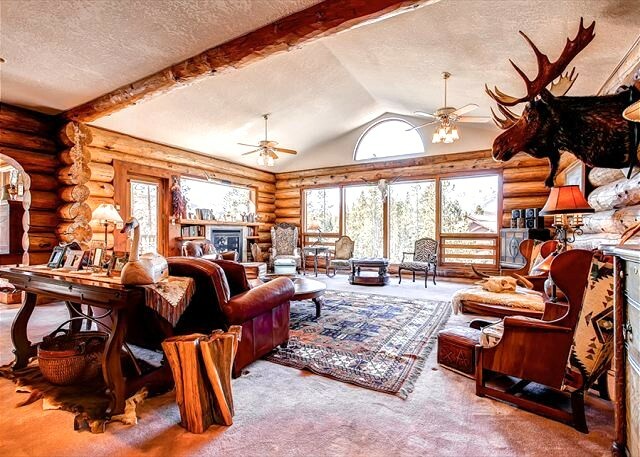 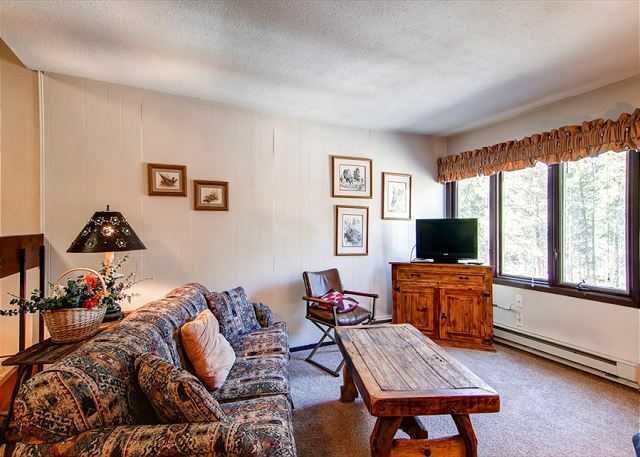 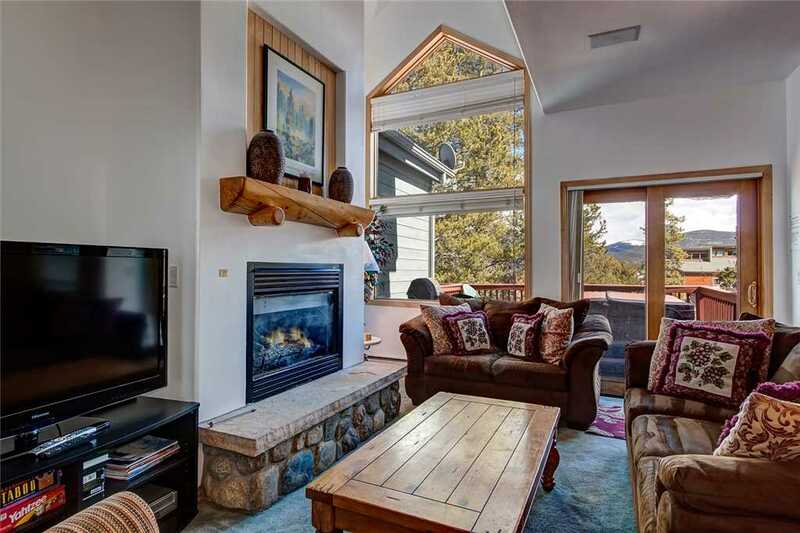 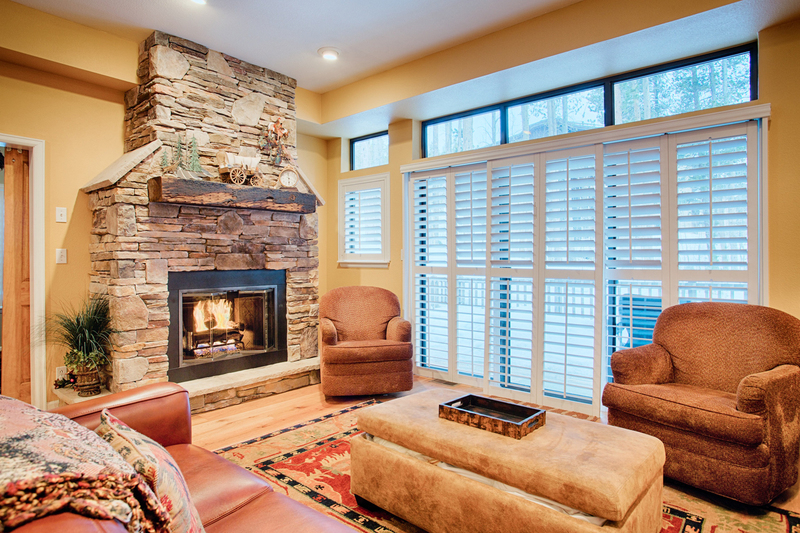 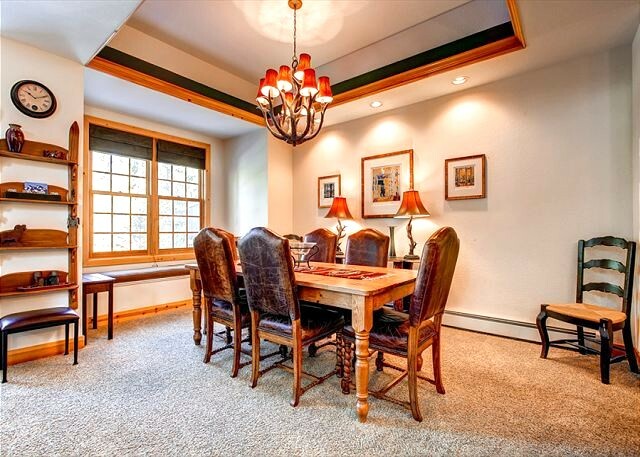 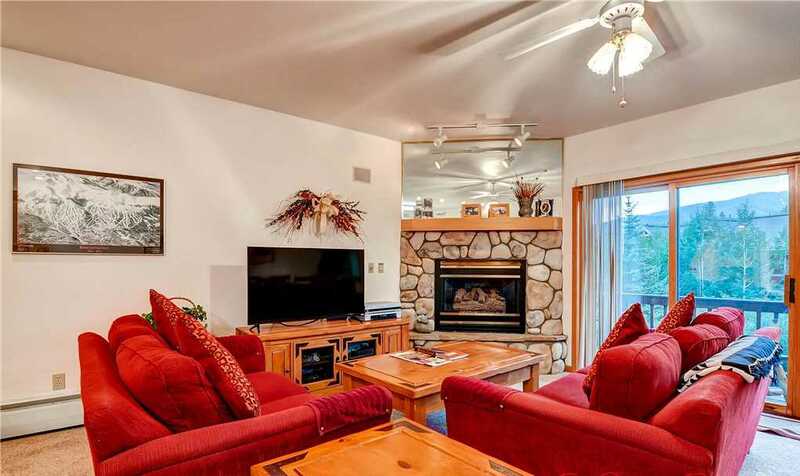 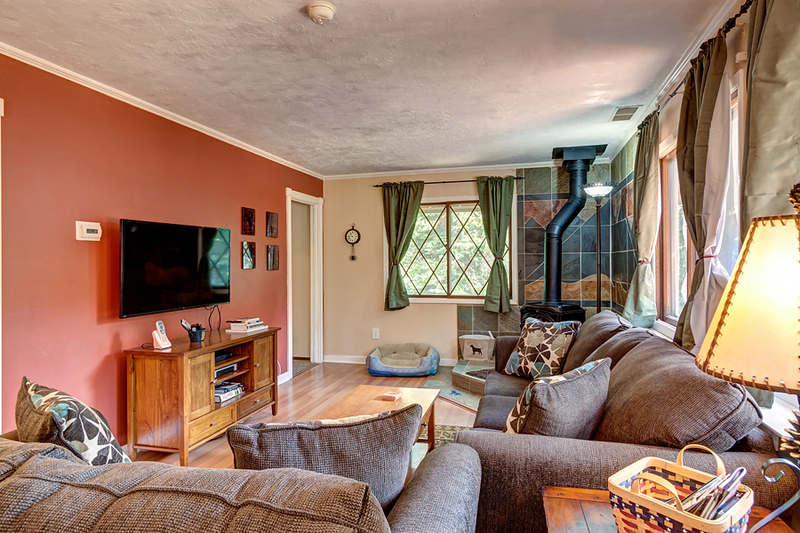 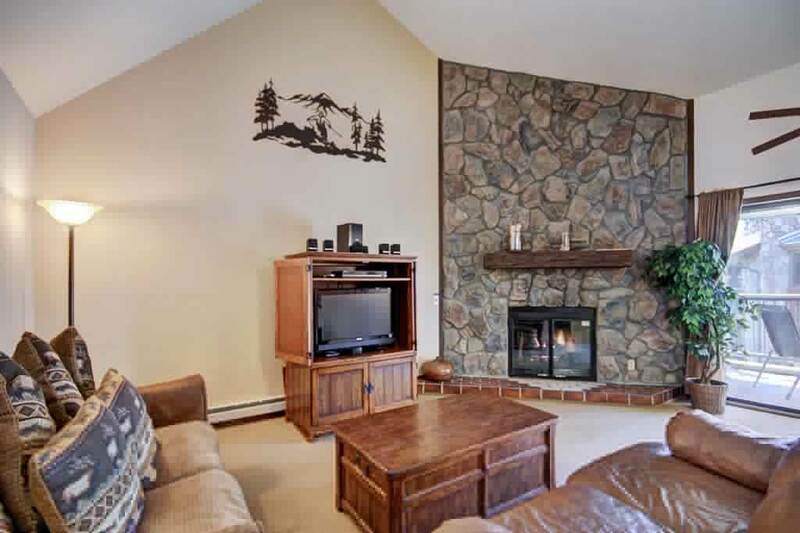 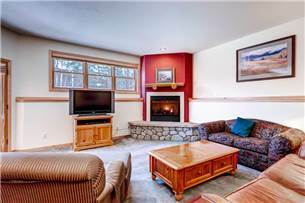 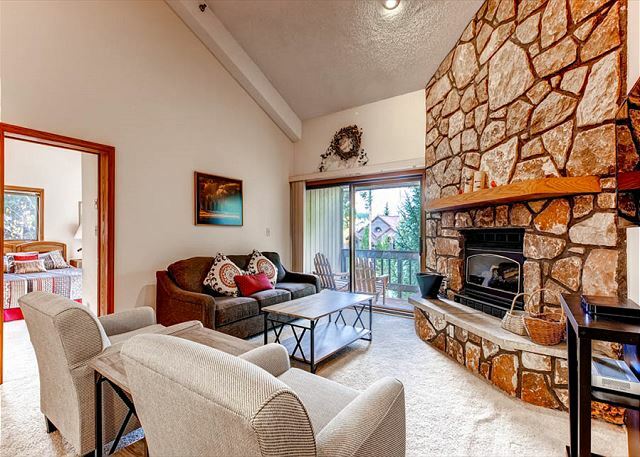 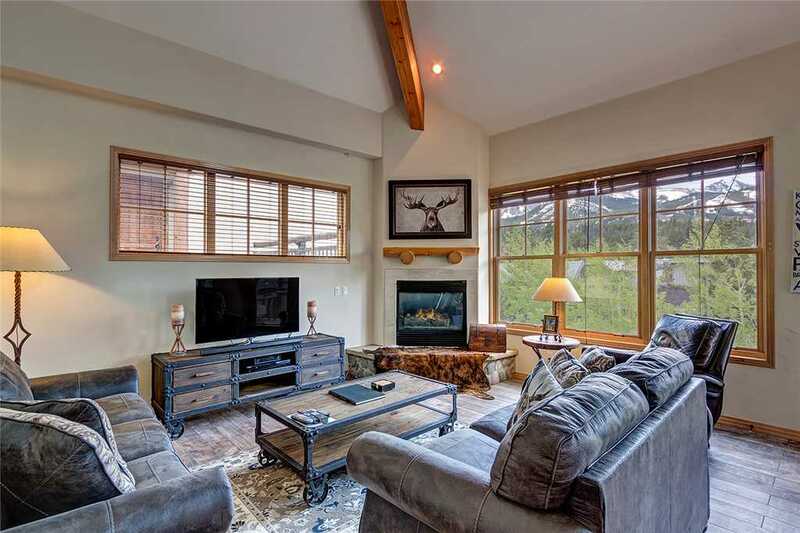 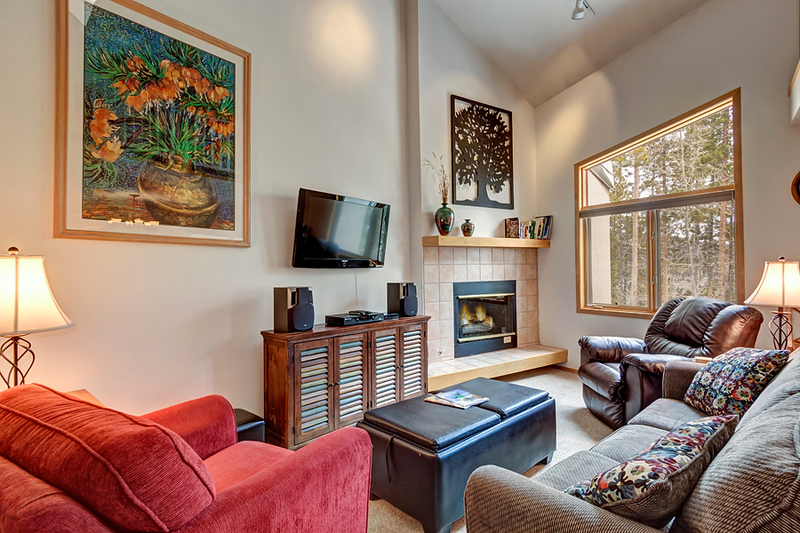 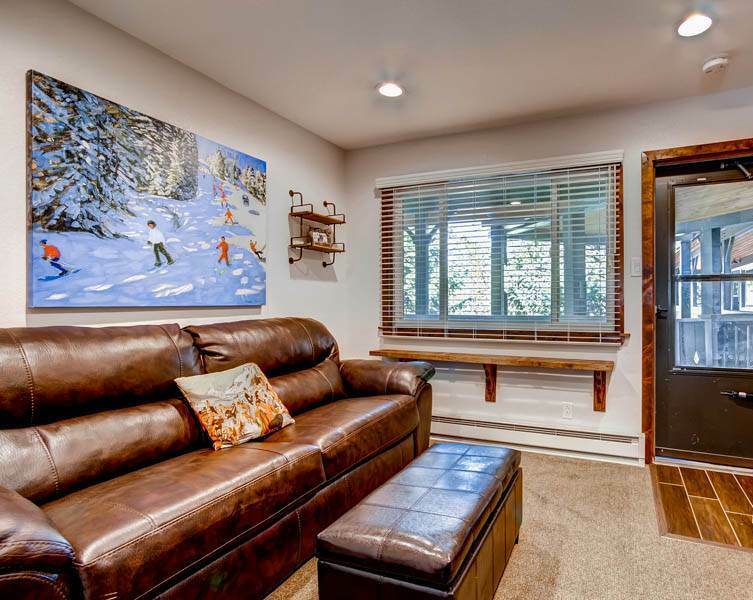 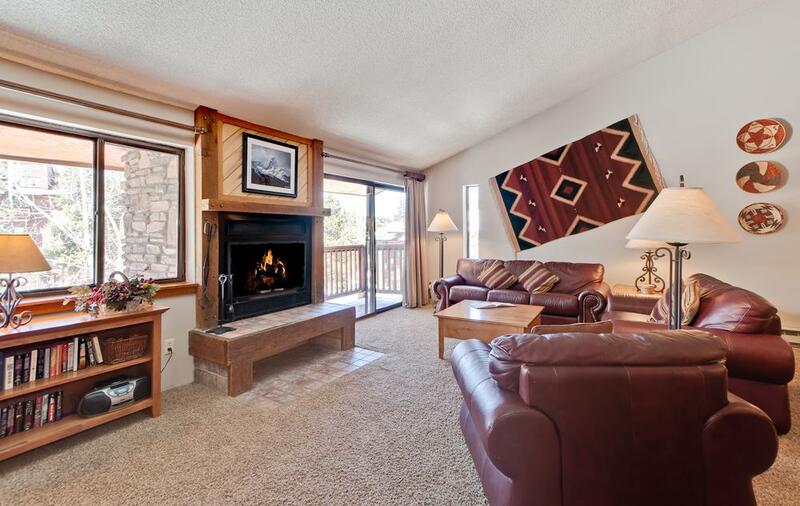 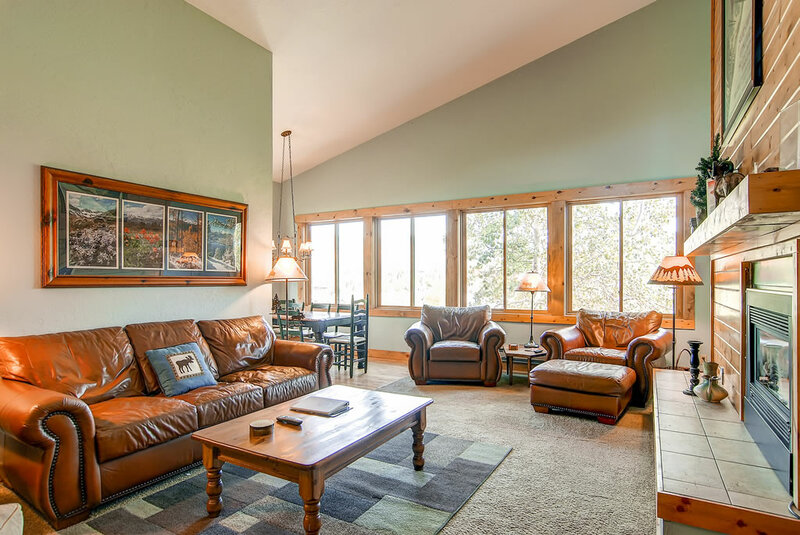 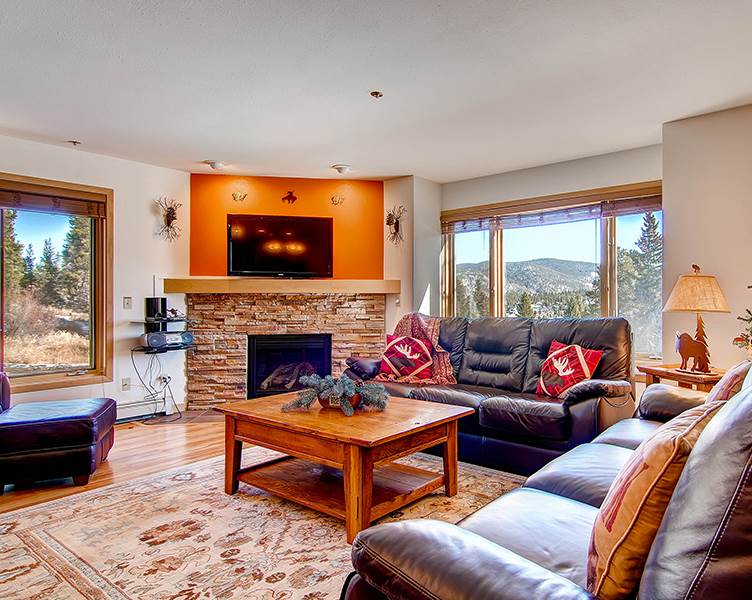 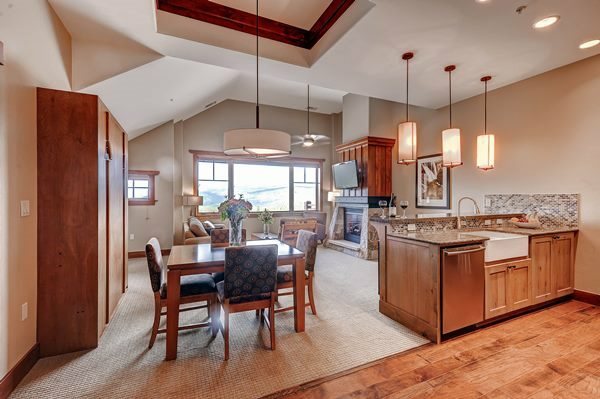 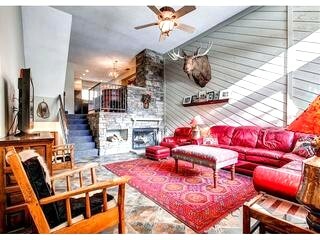 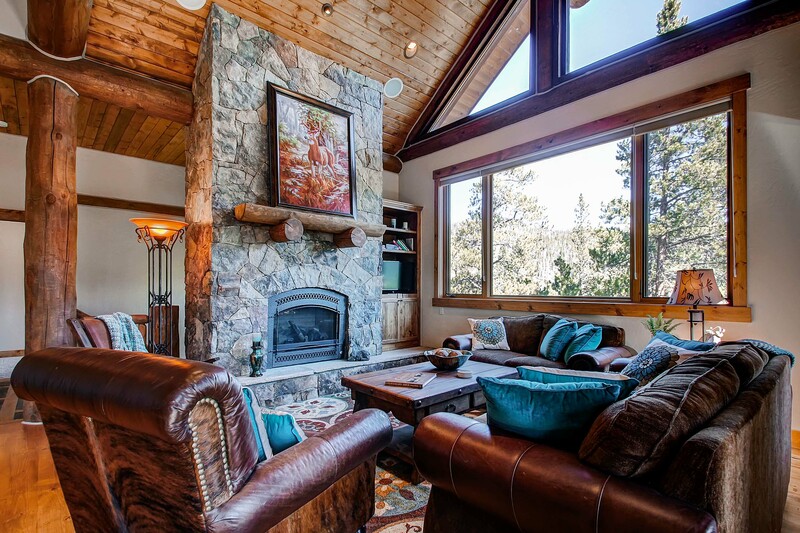 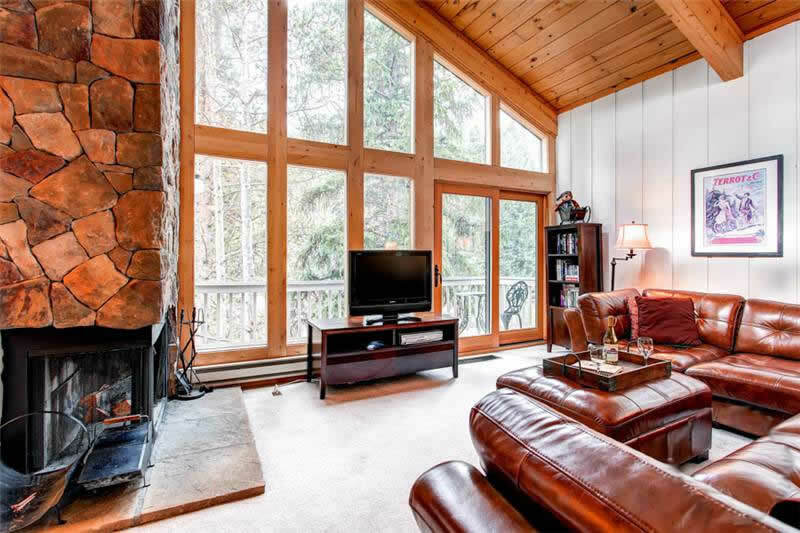 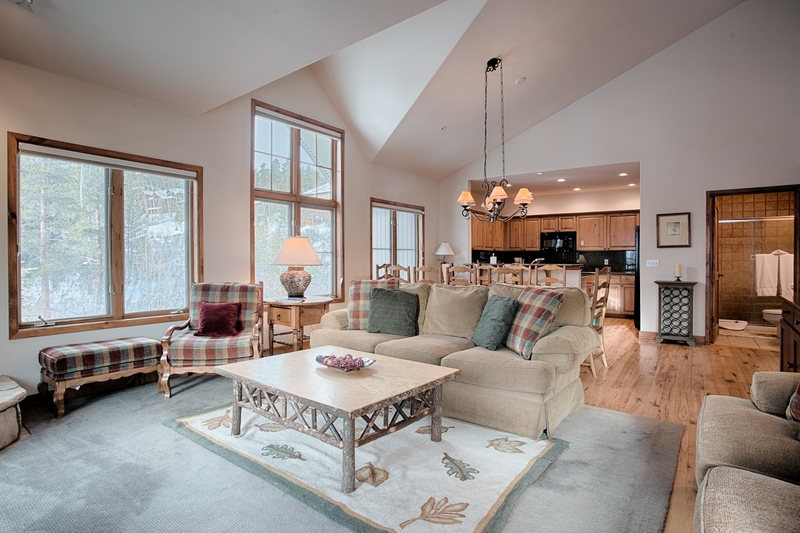 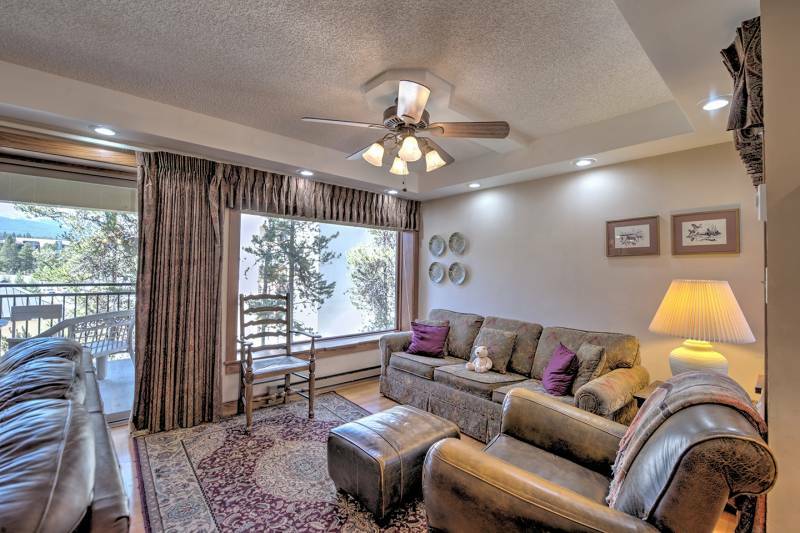 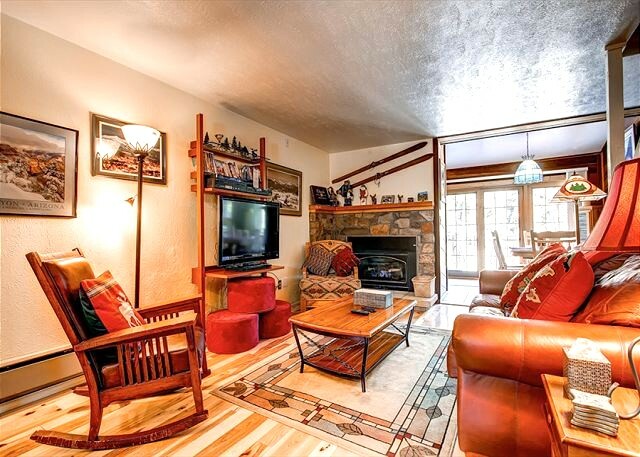 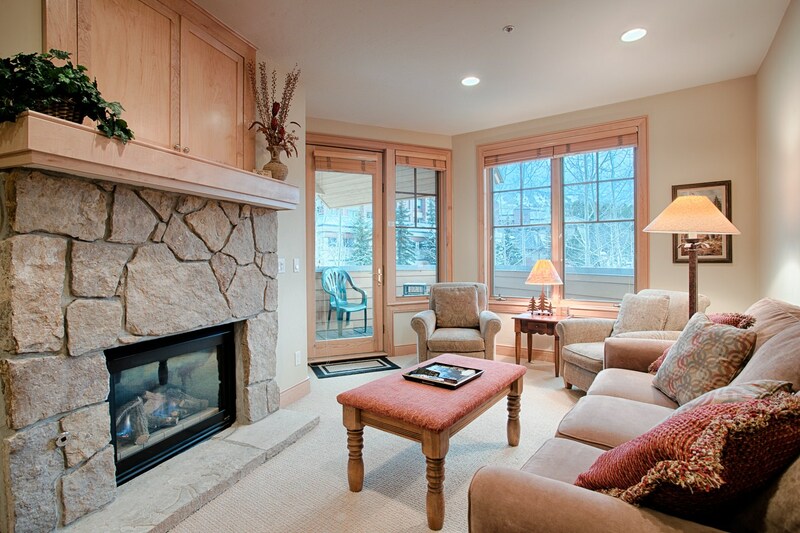 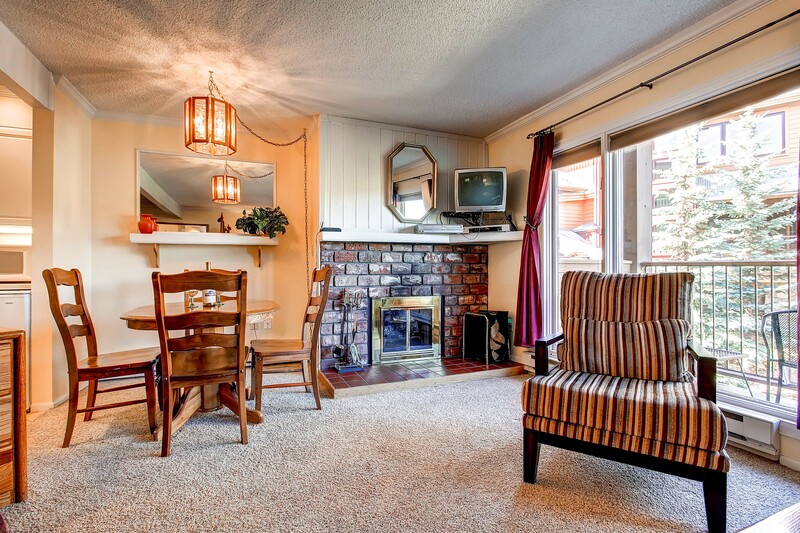 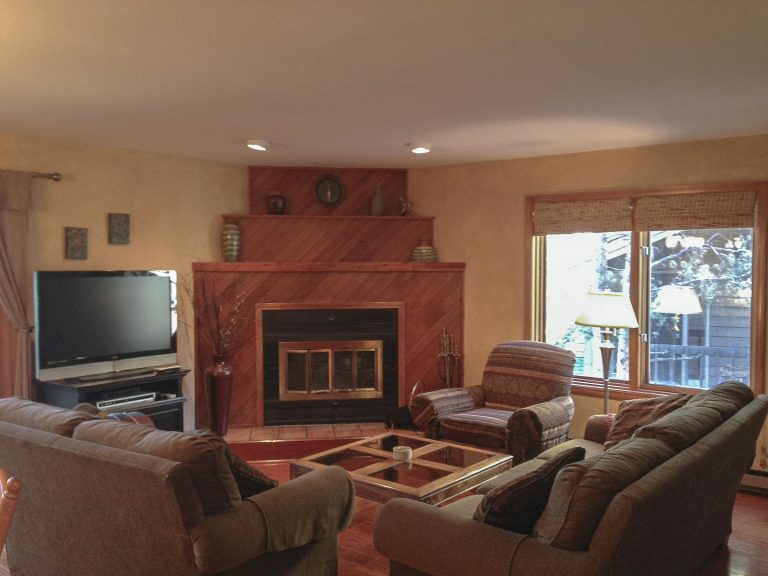 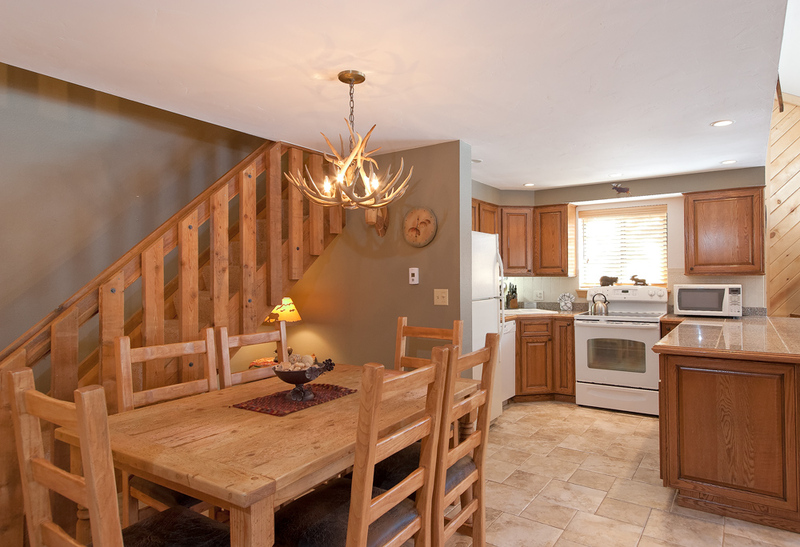 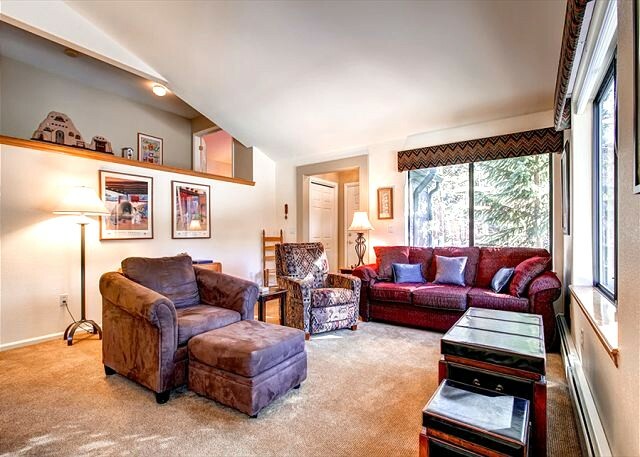 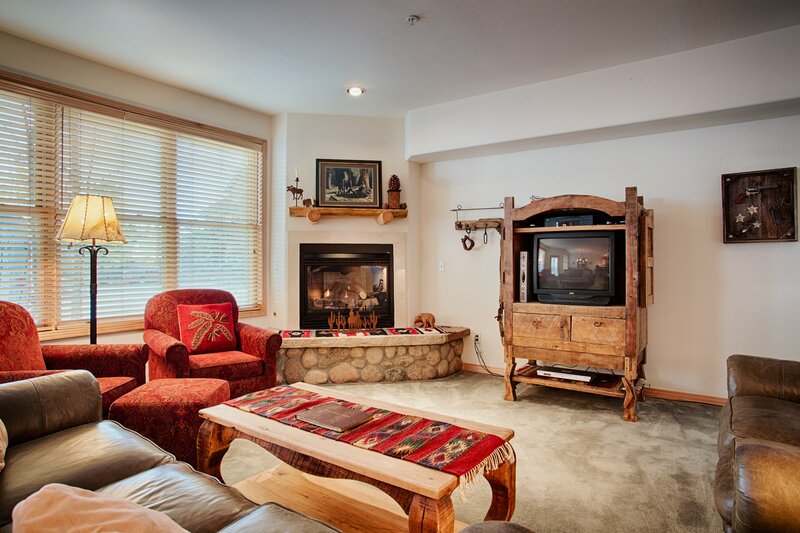 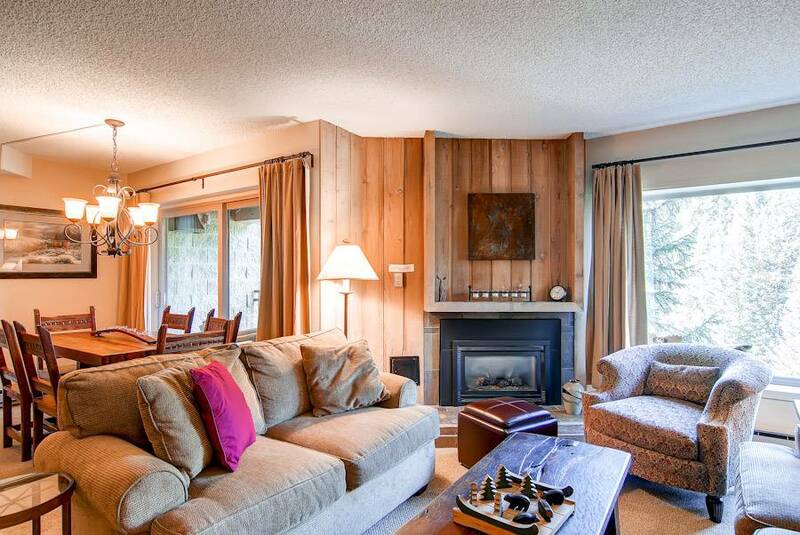 You won’t be able to beat the views of Baldy Mountain and the natural light flowing in from the windows. 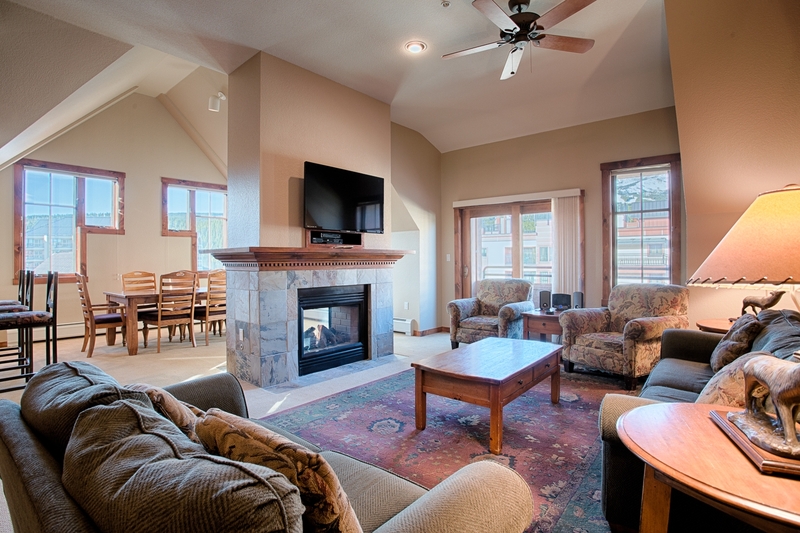 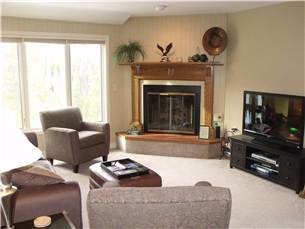 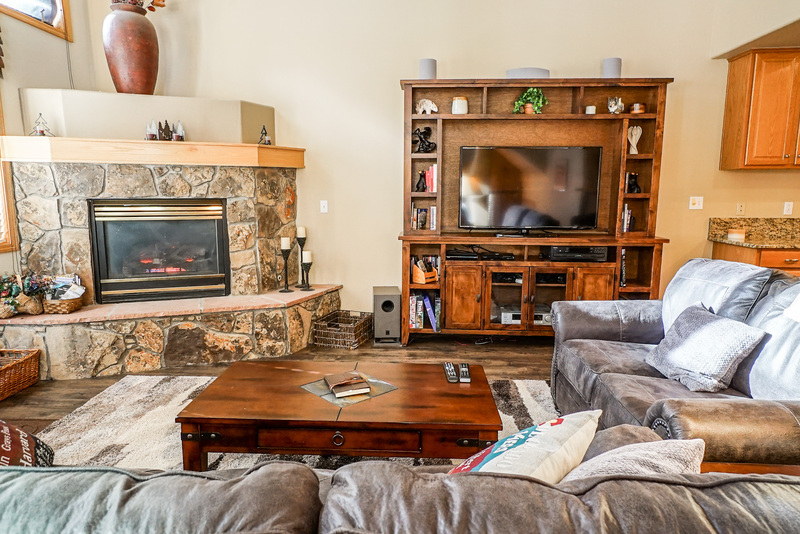 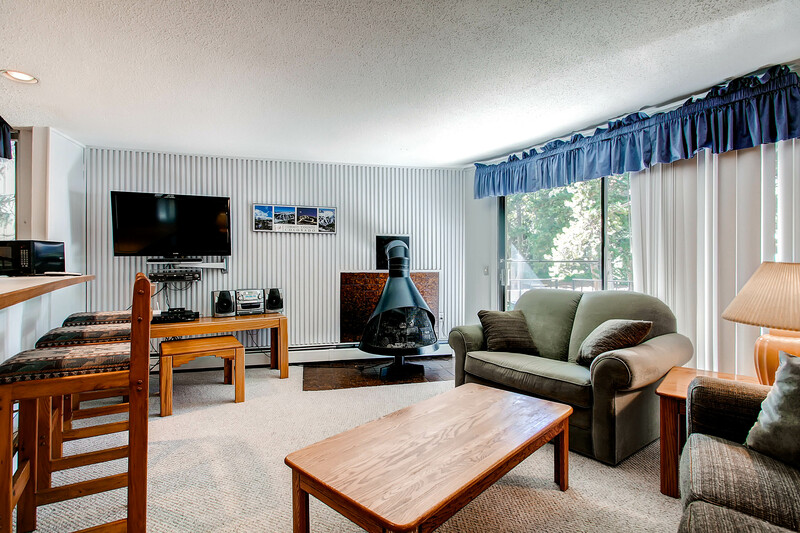 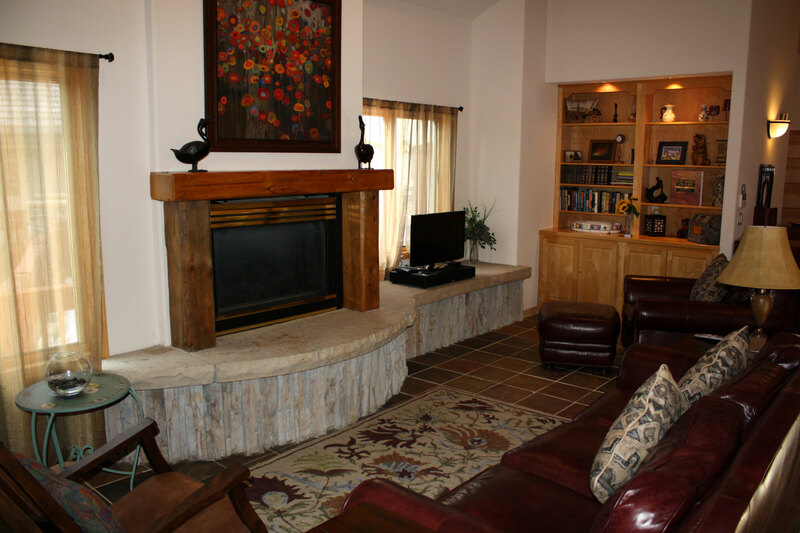 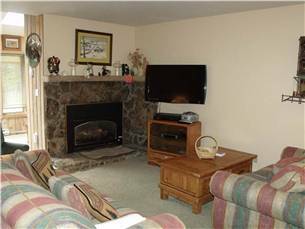 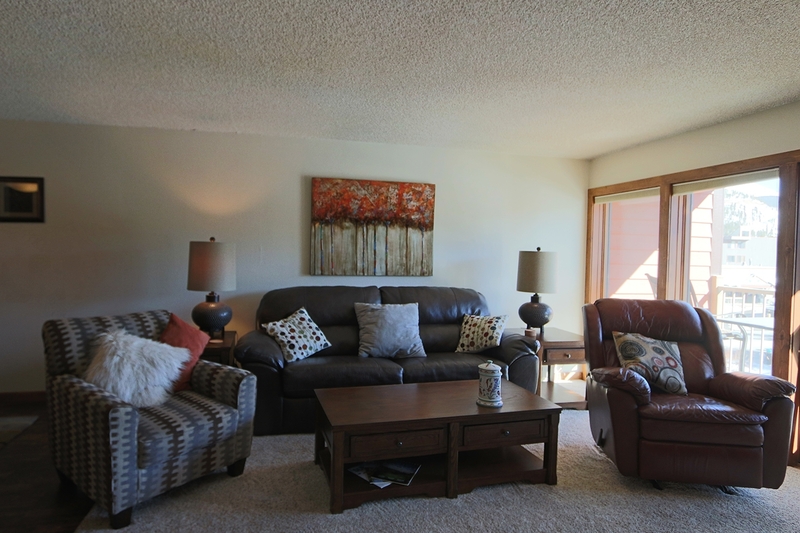 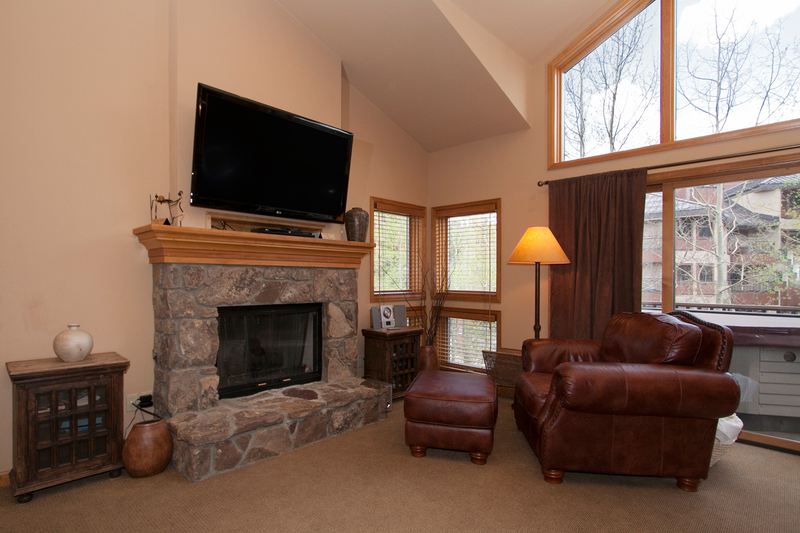 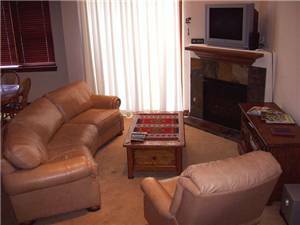 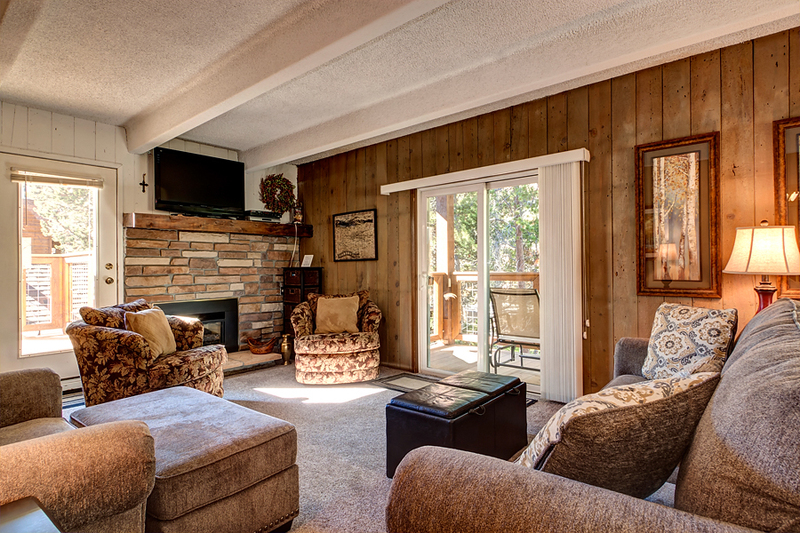 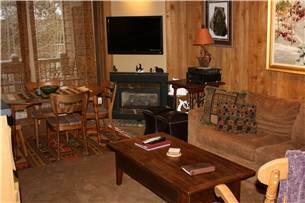 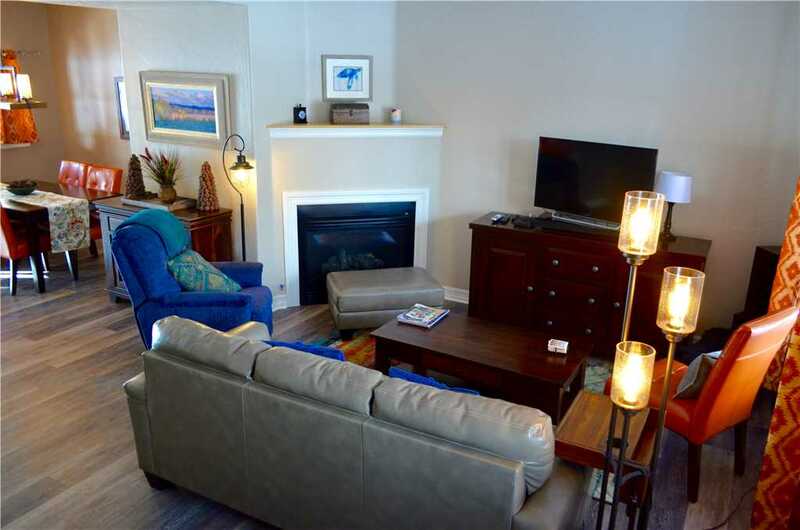 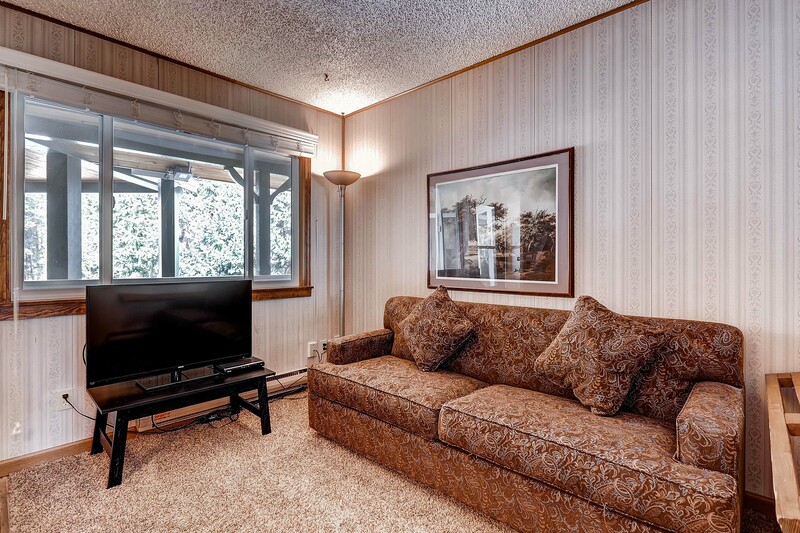 The living room offers an LCD TV, gas fireplace, and luxury comfort with brand new electric recliner couches. 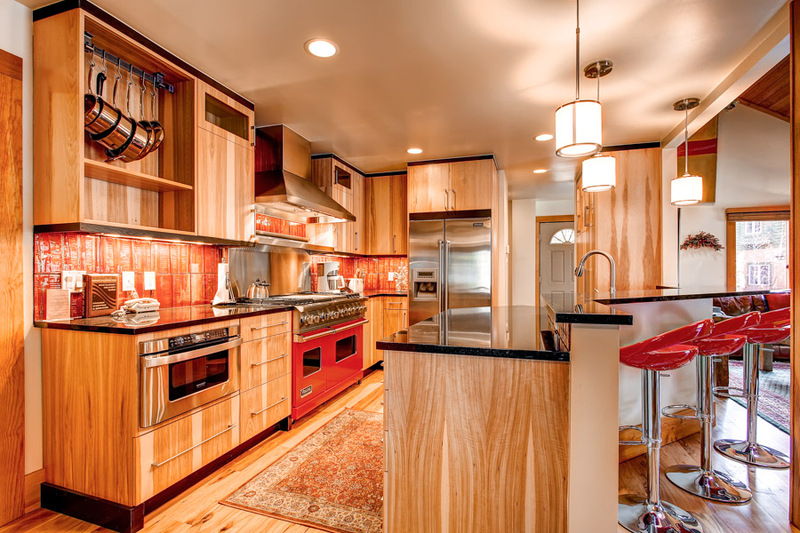 The great open space allows for the chef to enjoy the company of the rest of the group. 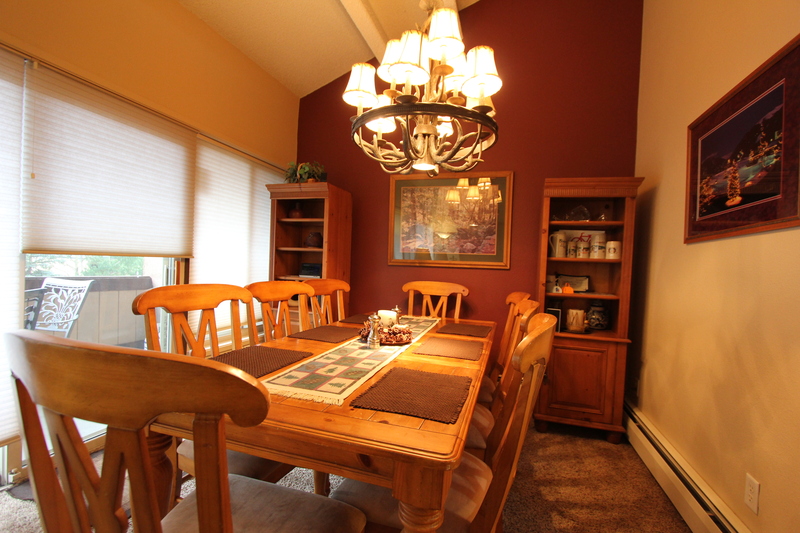 There is seating for eight at the dark wood table and four more at the breakfast bar. 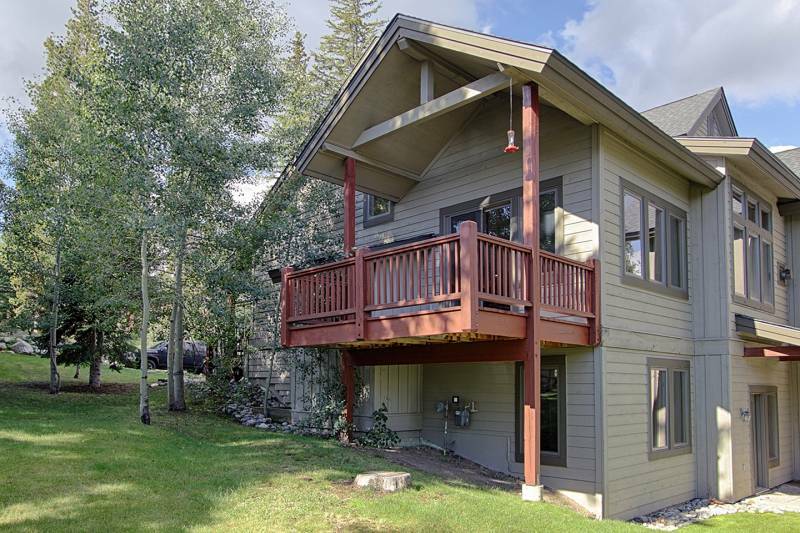 The private balcony is located at the back of the house with a gas grill. 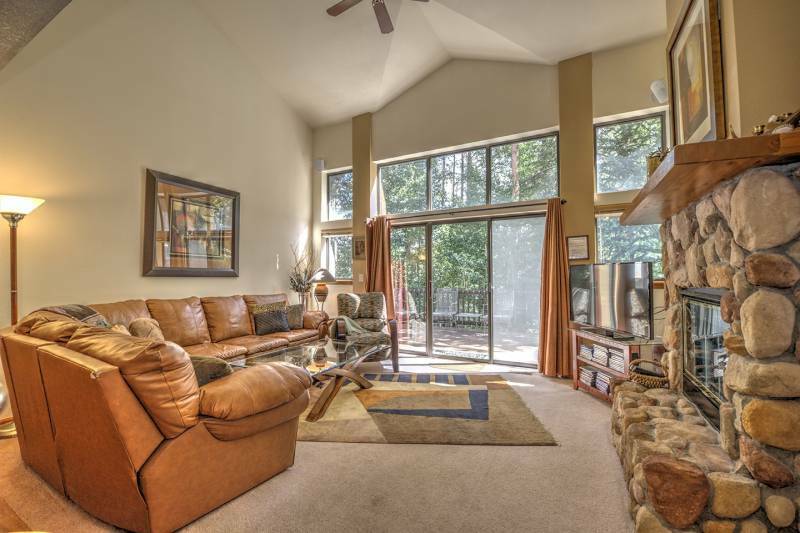 Attached with a patio and private walkway is the two car garage. 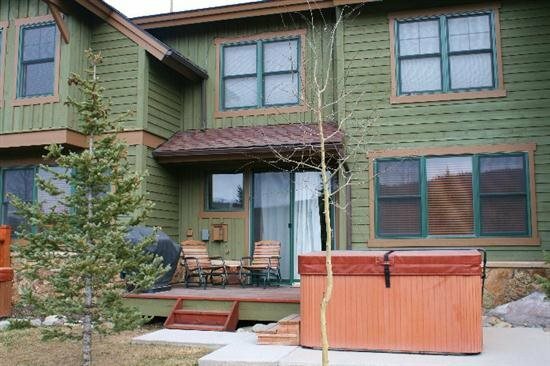 On the patio you’ll find the hot tub, tucked away for privacy. 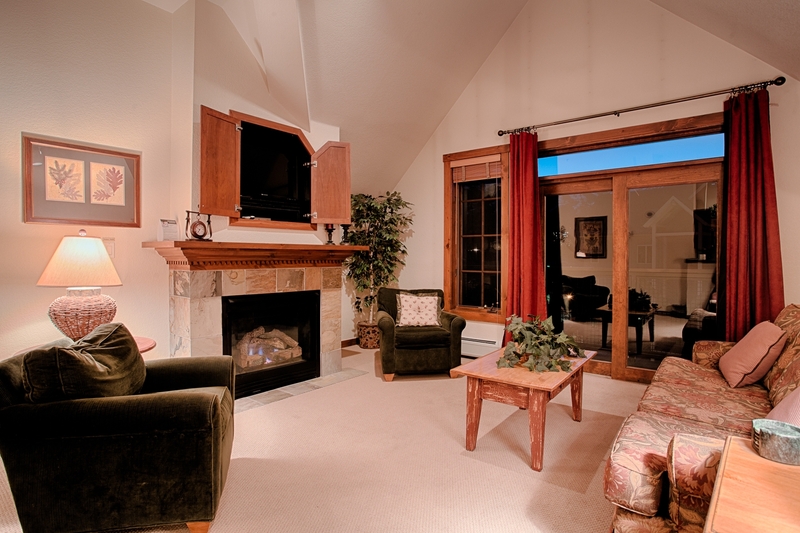 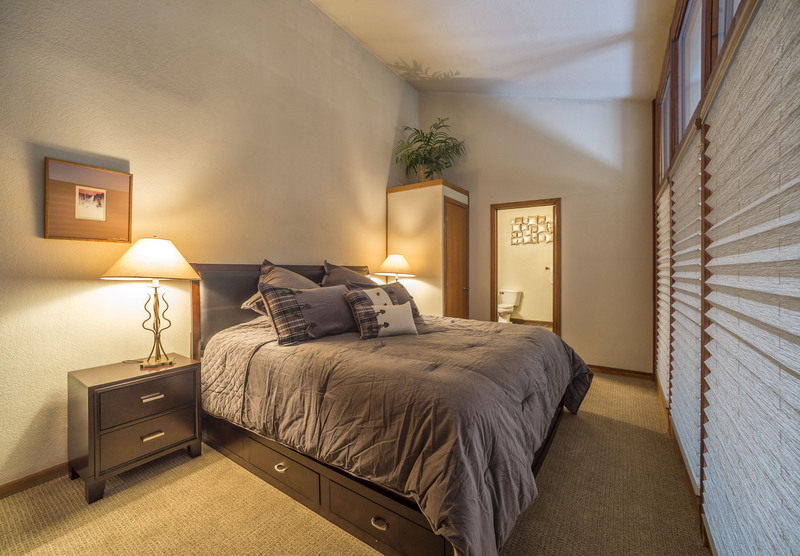 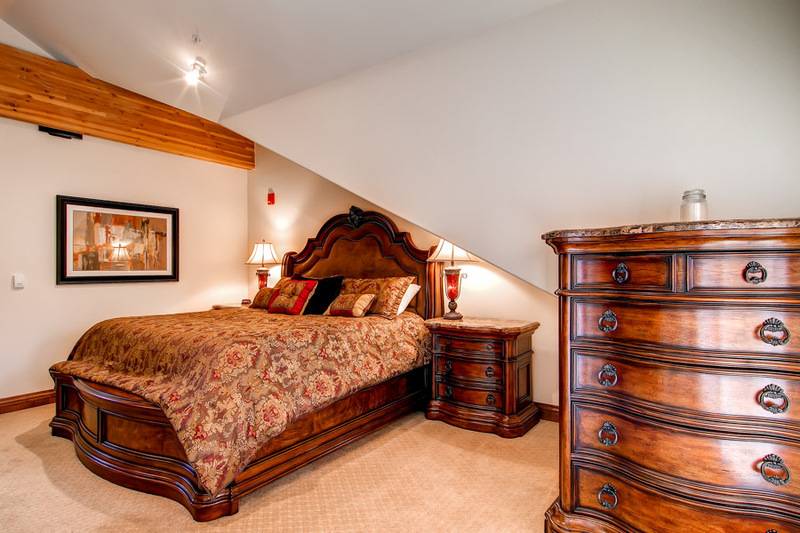 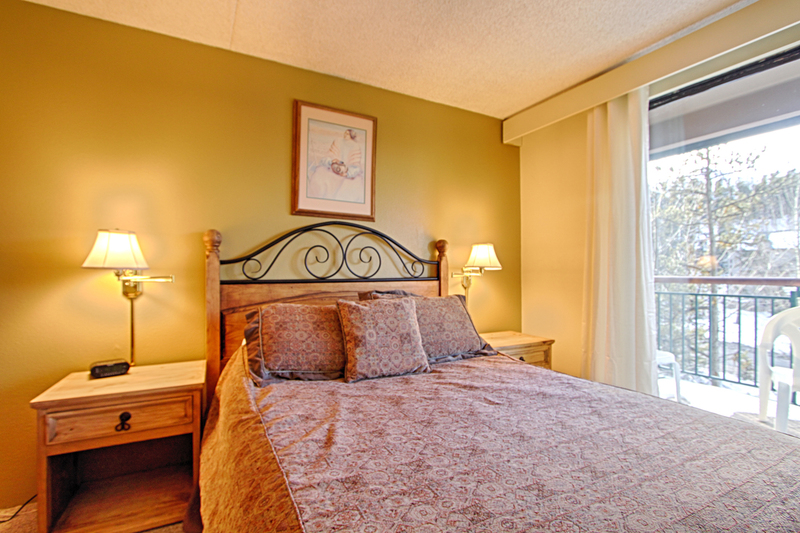 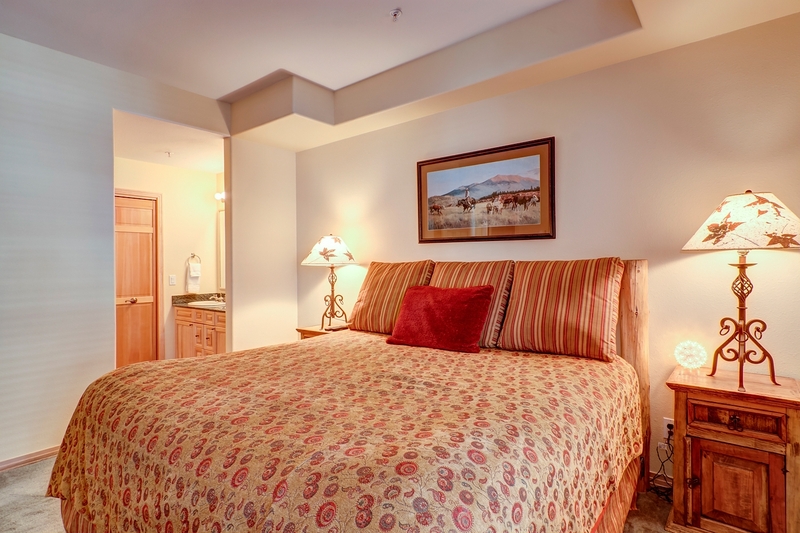 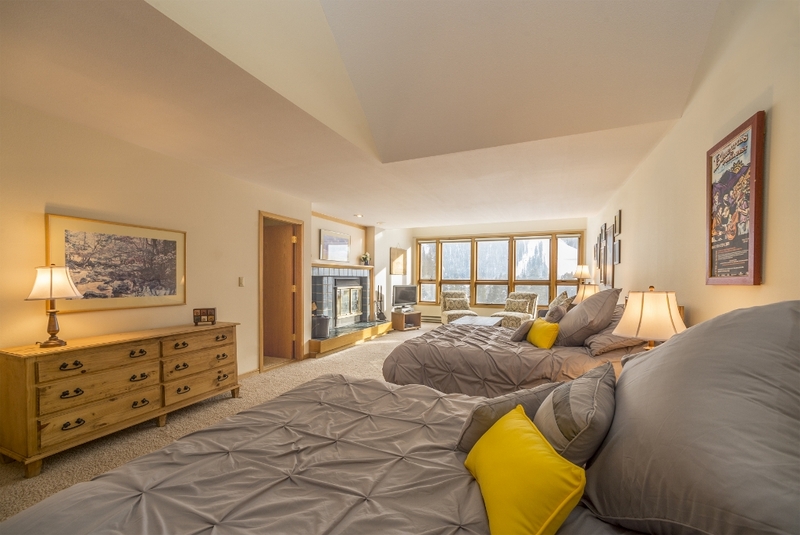 The Summit Sanctuary offers two master suites, great for multiple couples. 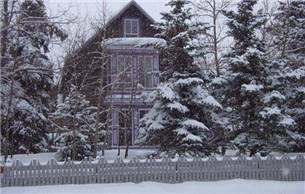 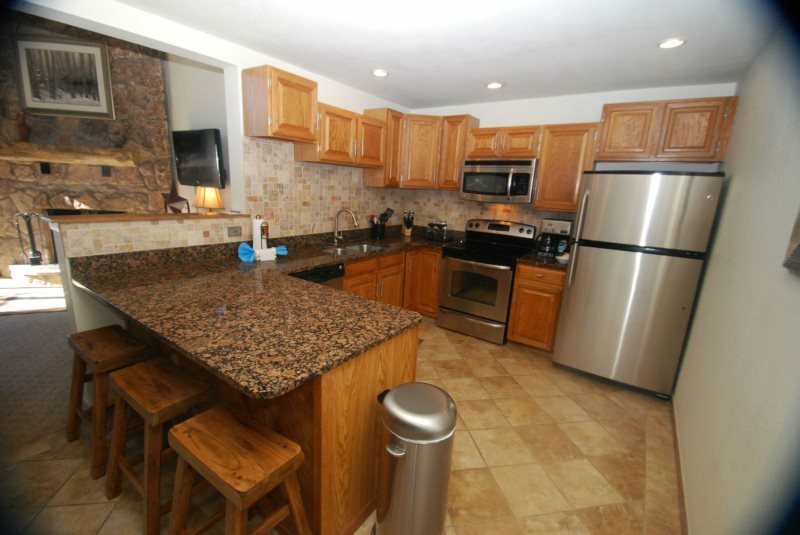 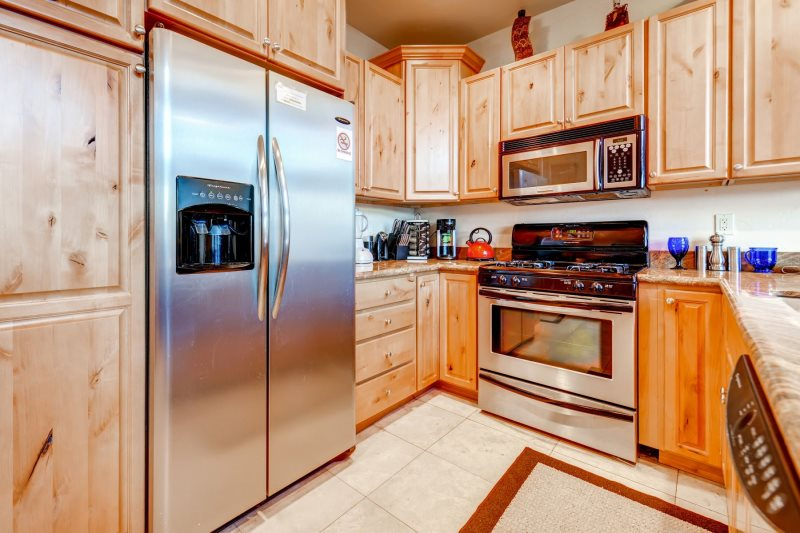 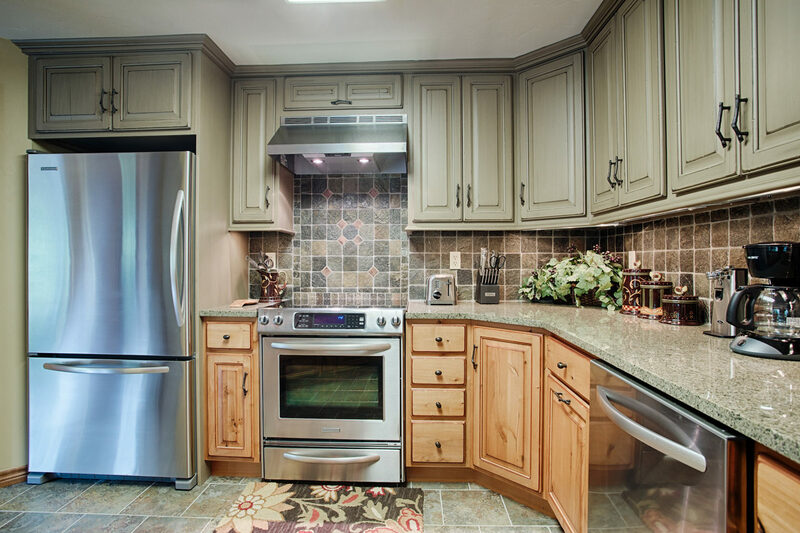 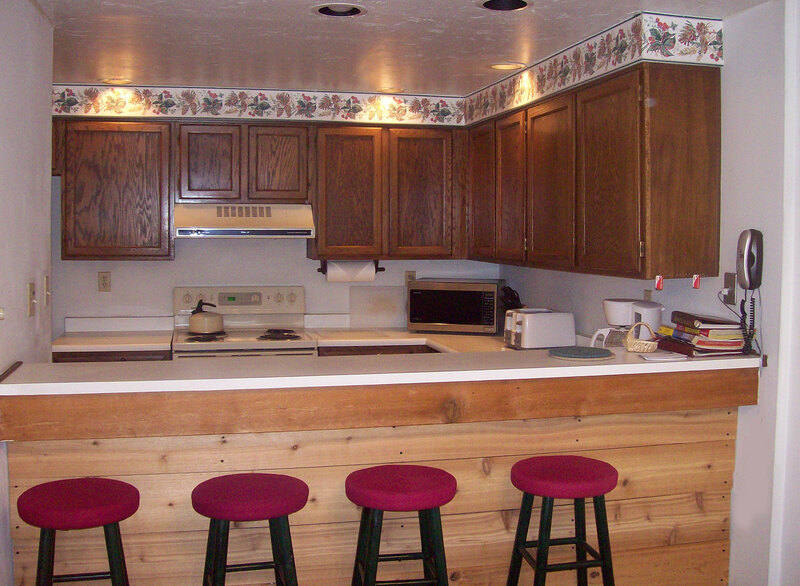 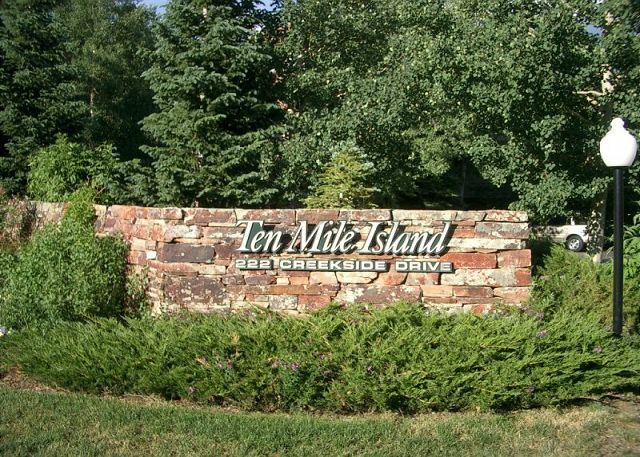 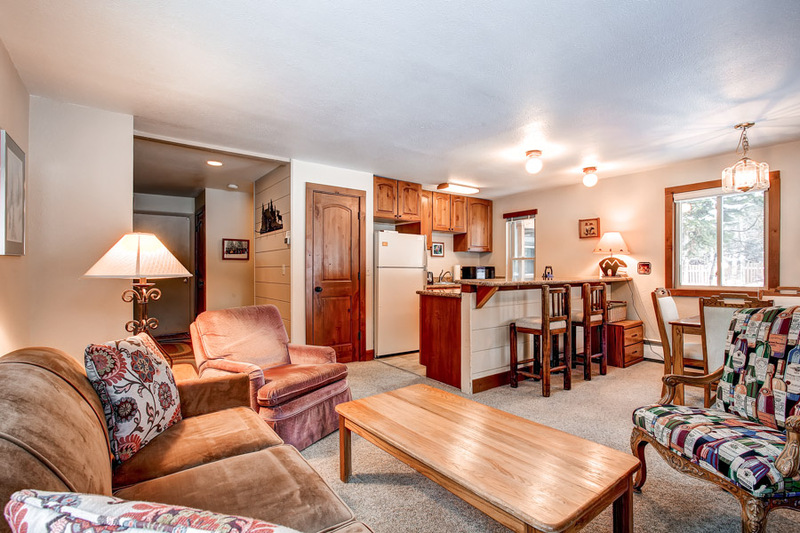 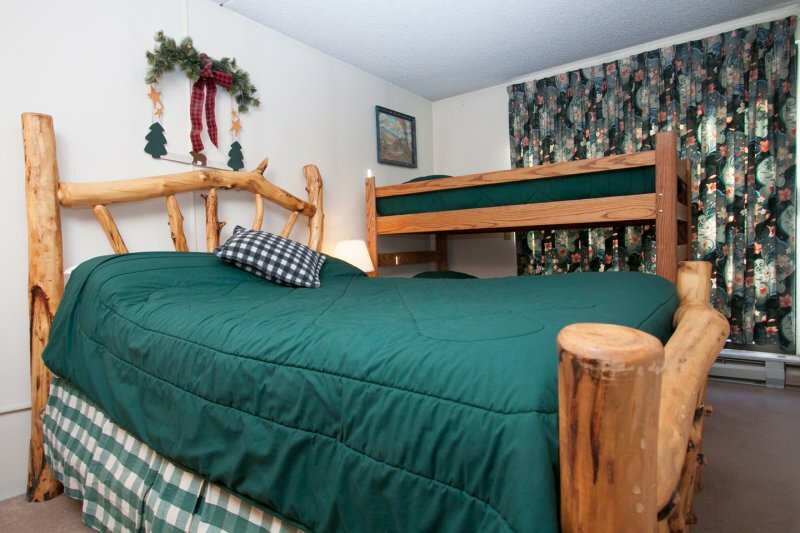 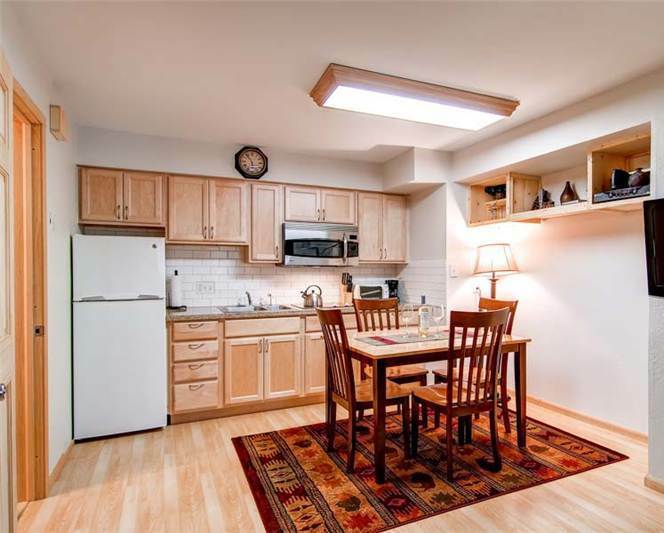 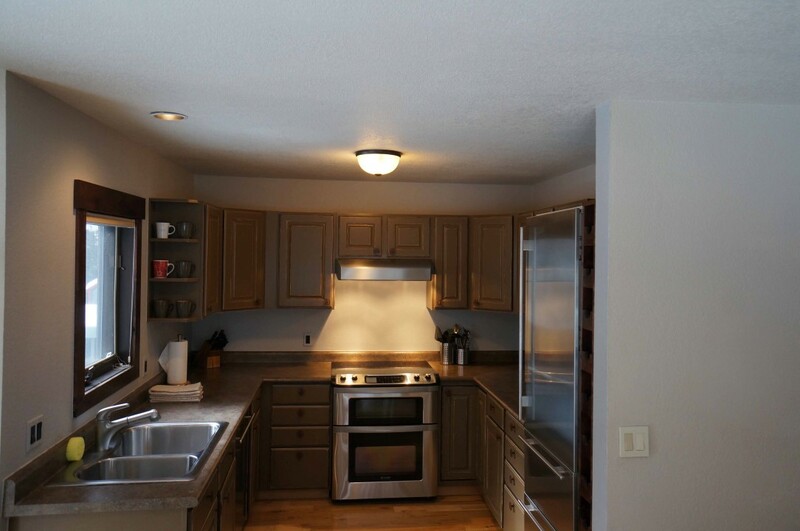 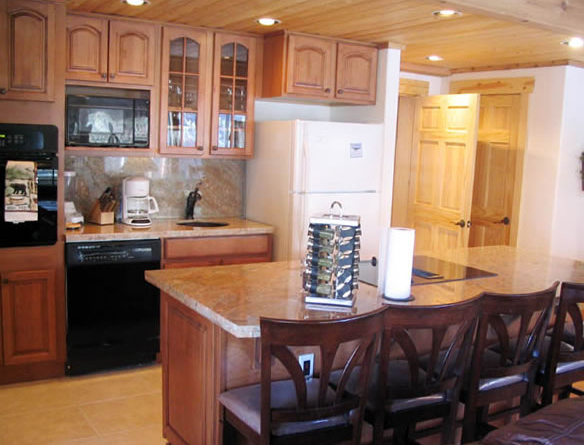 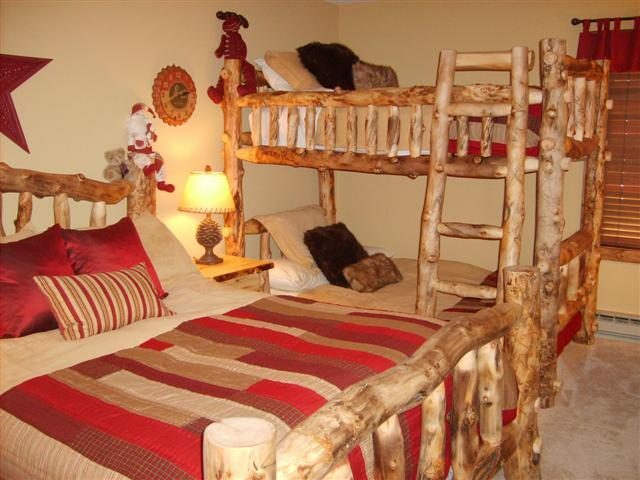 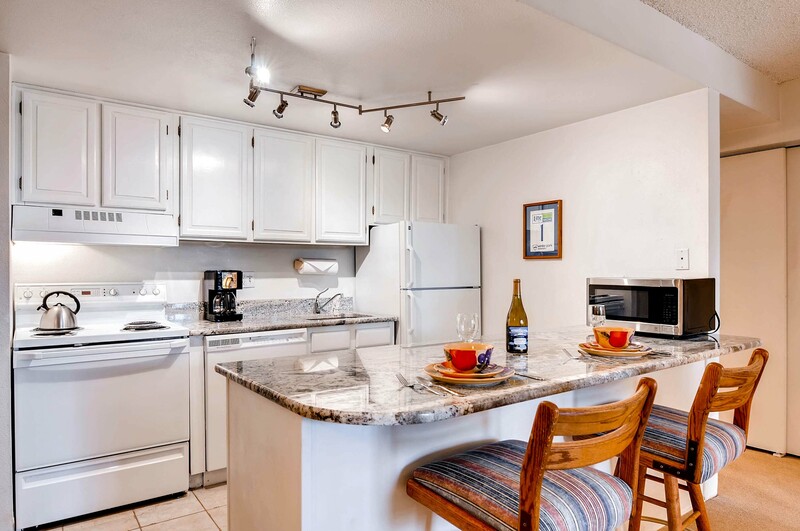 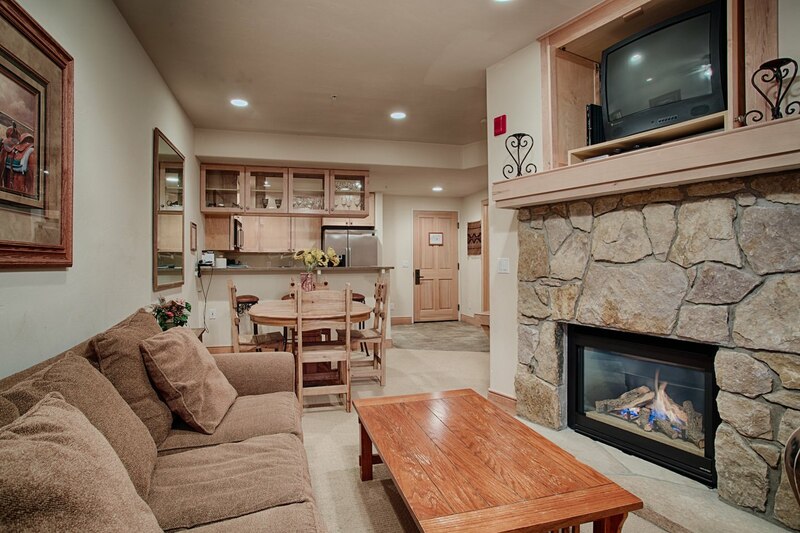 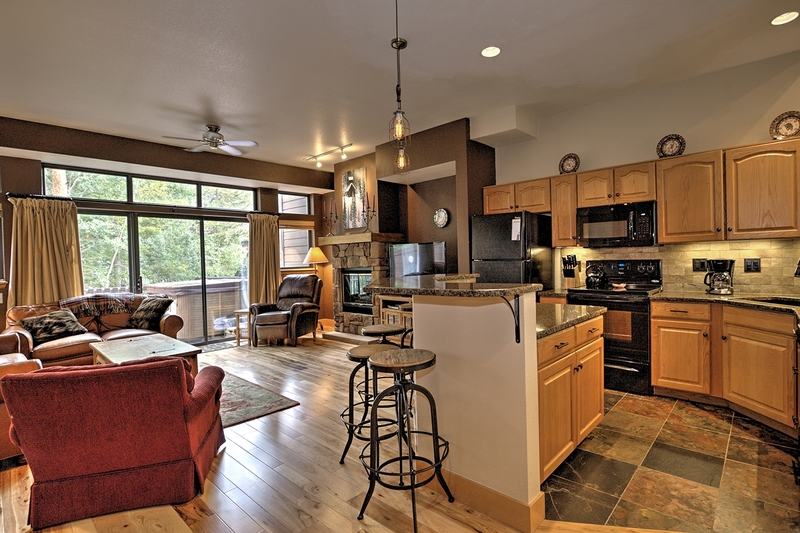 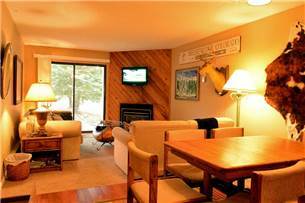 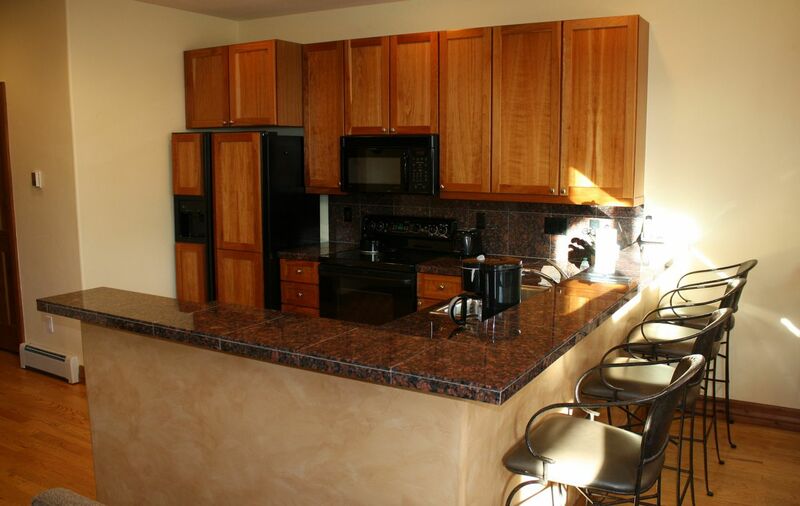 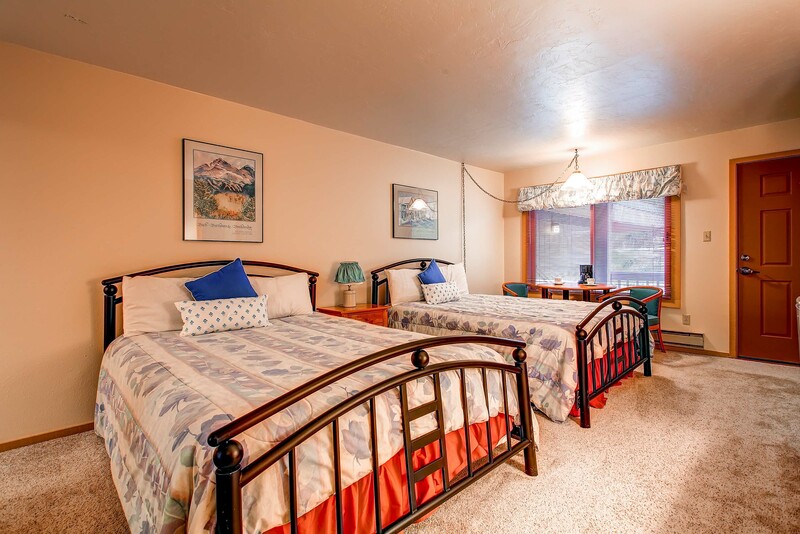 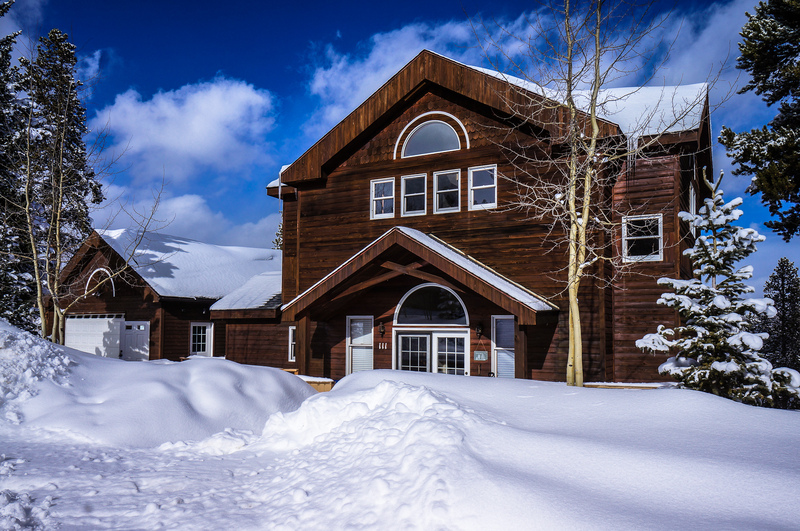 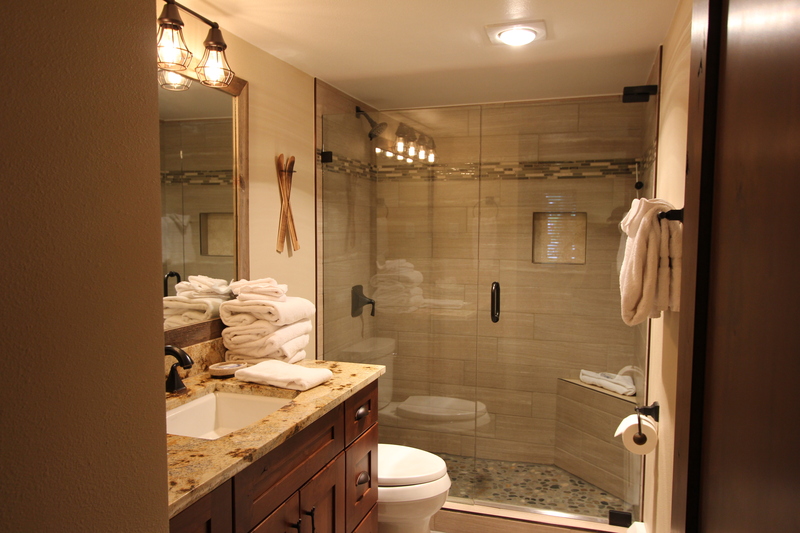 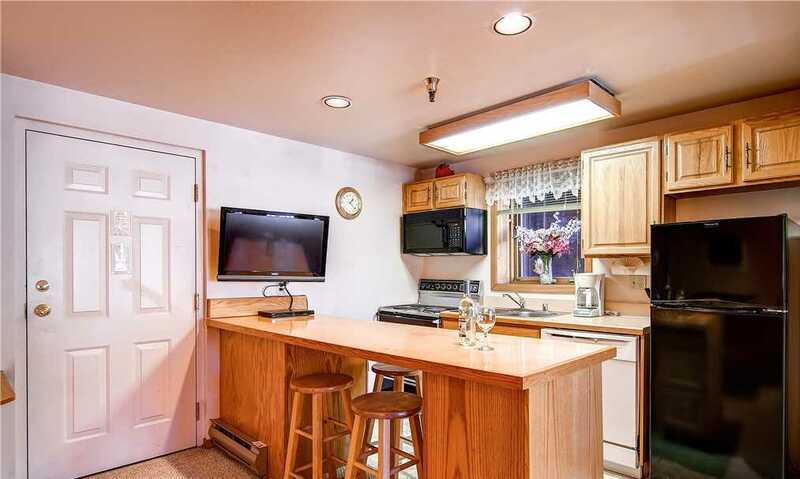 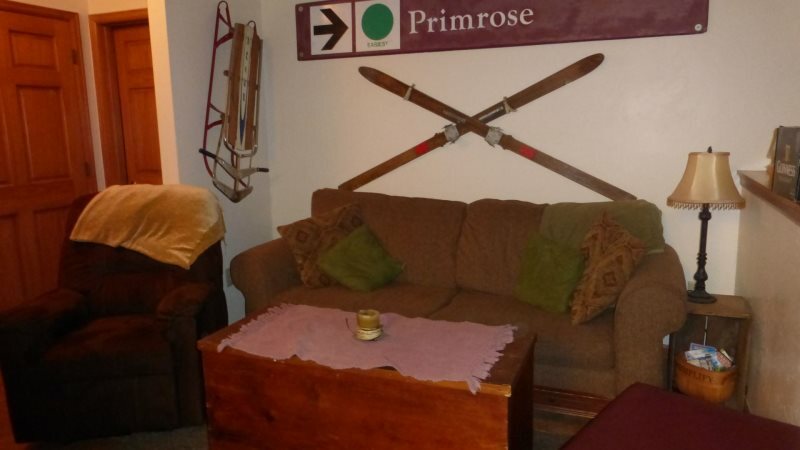 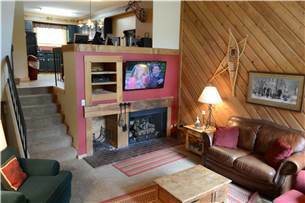 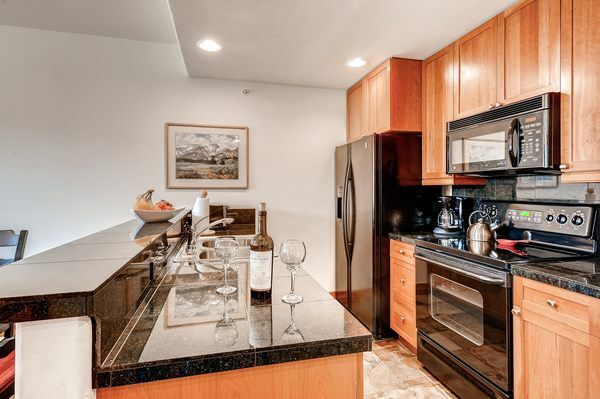 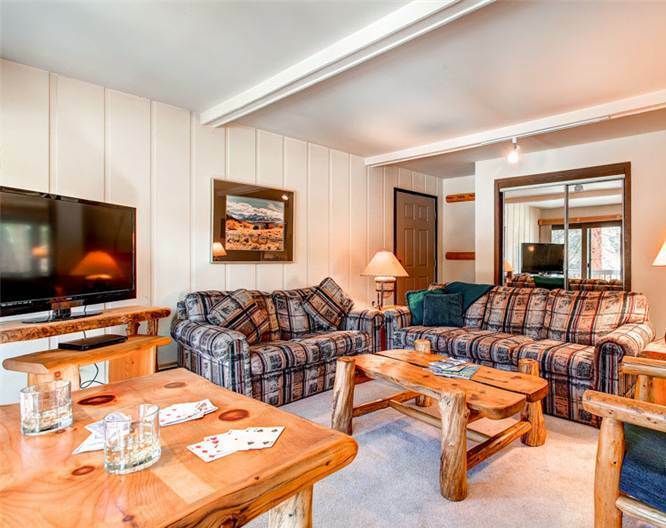 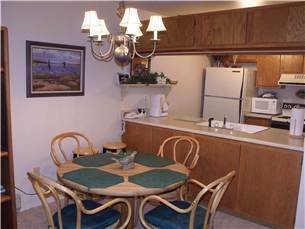 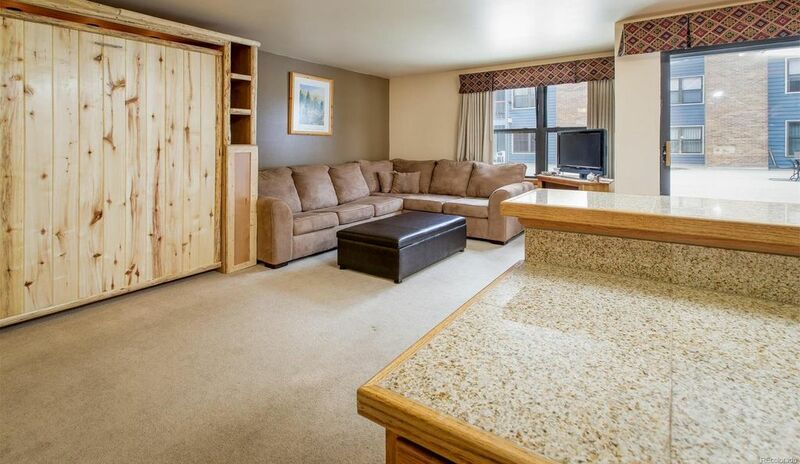 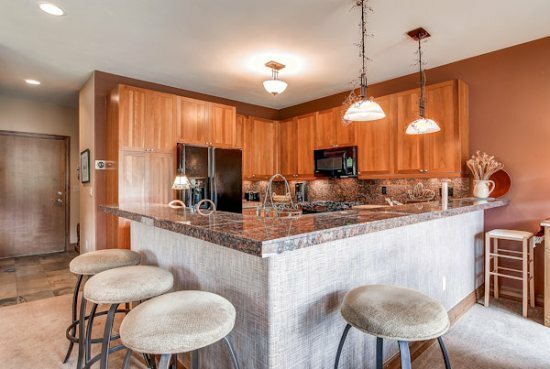 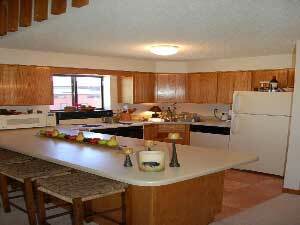 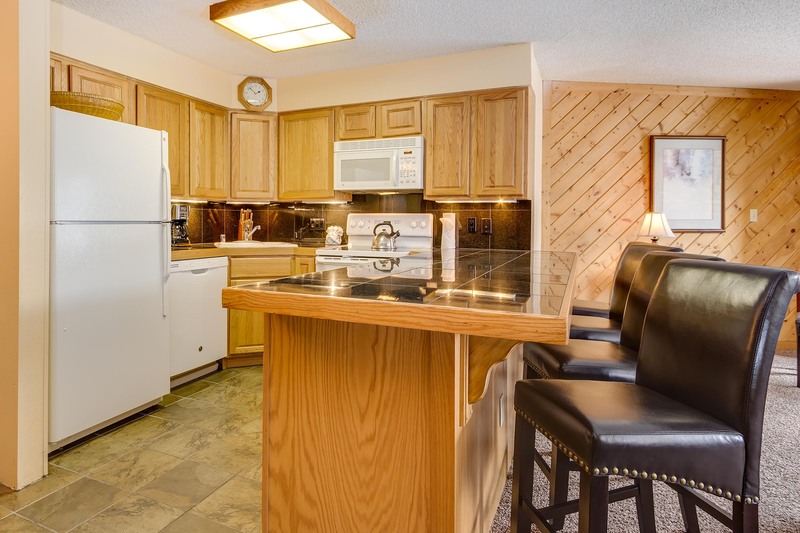 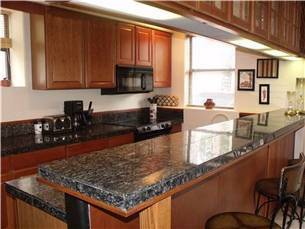 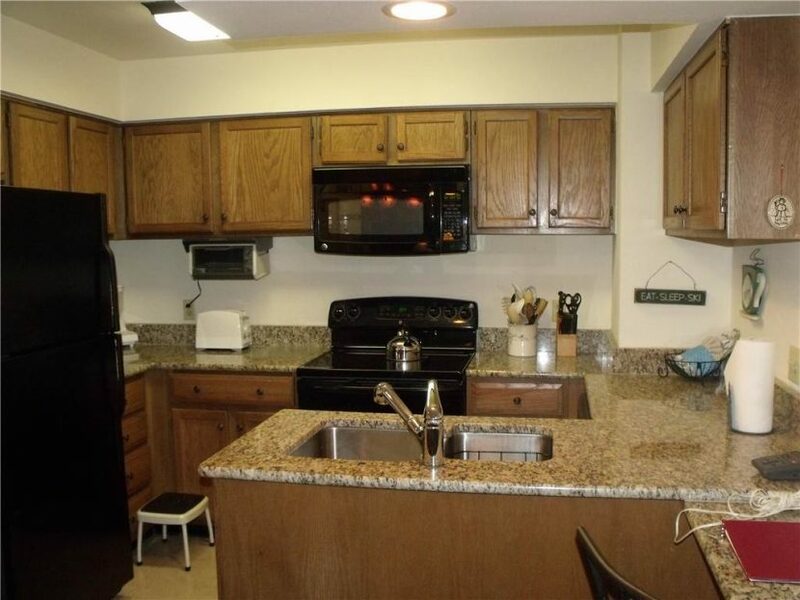 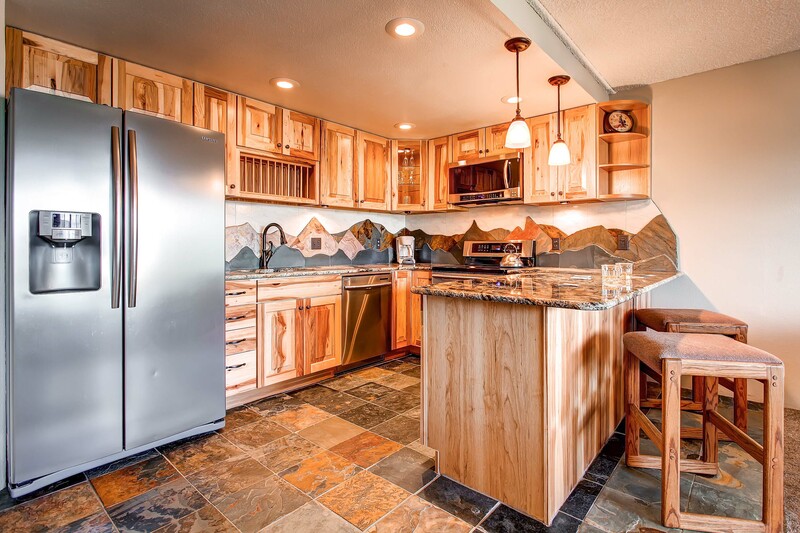 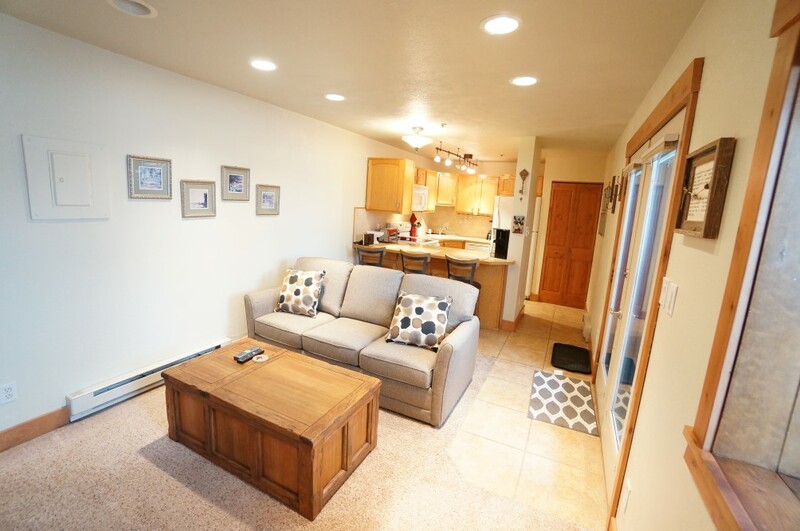 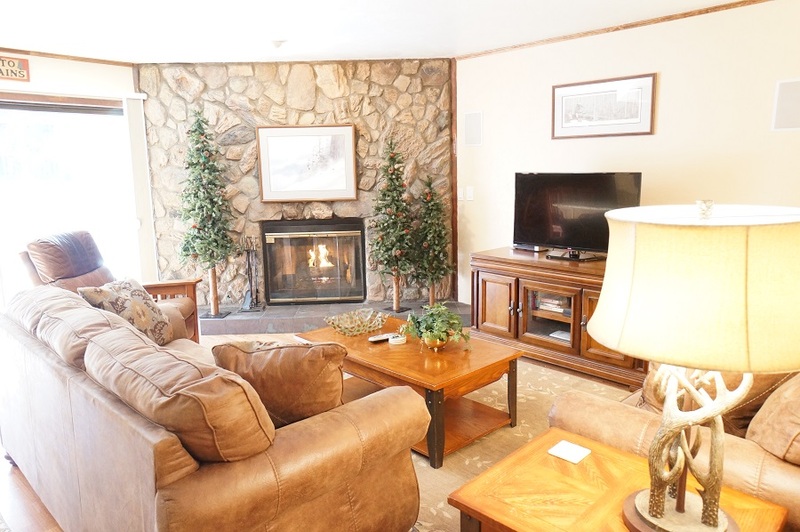 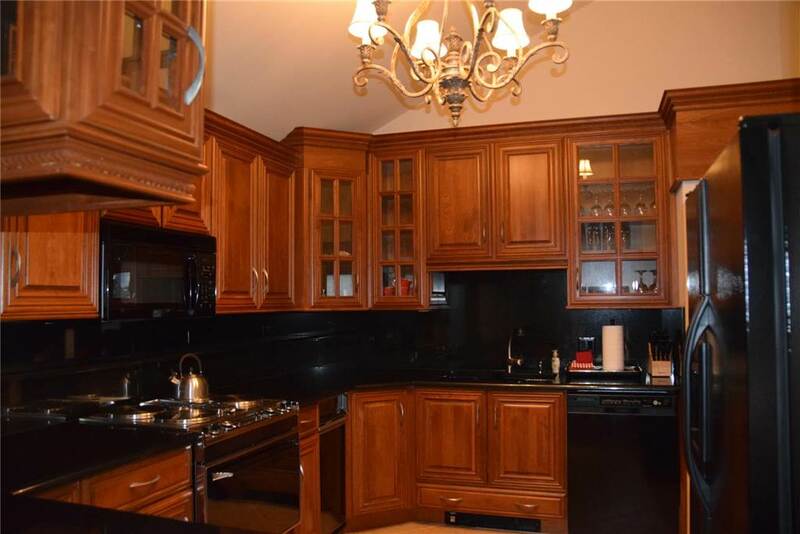 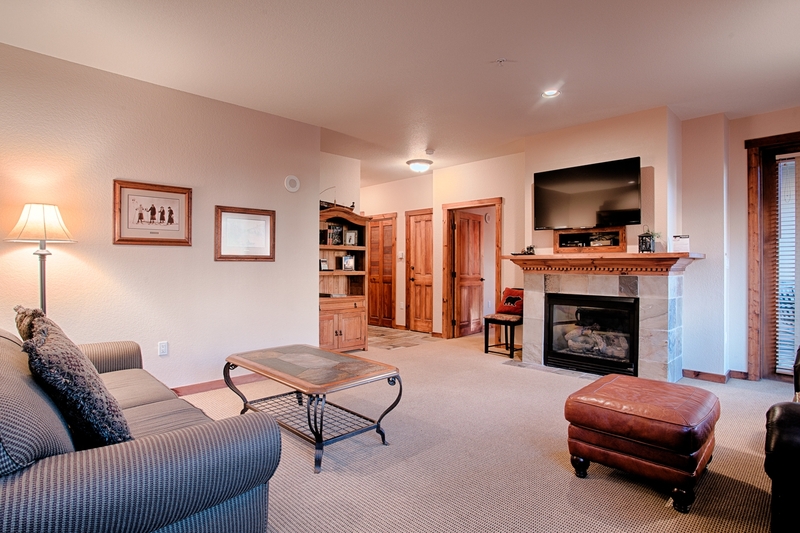 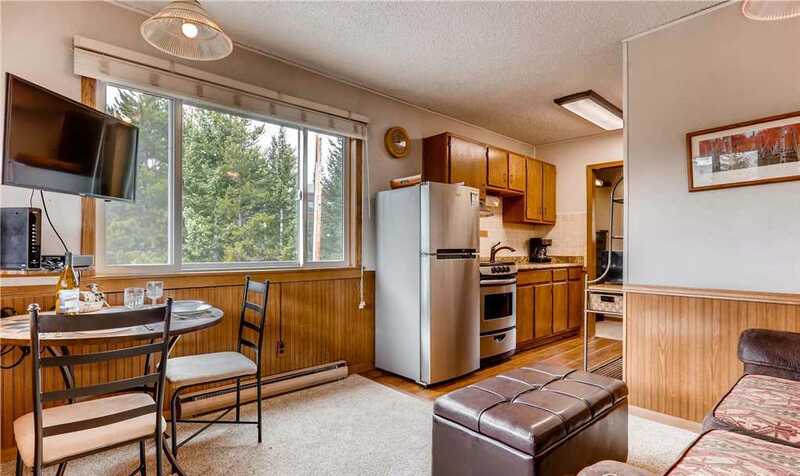 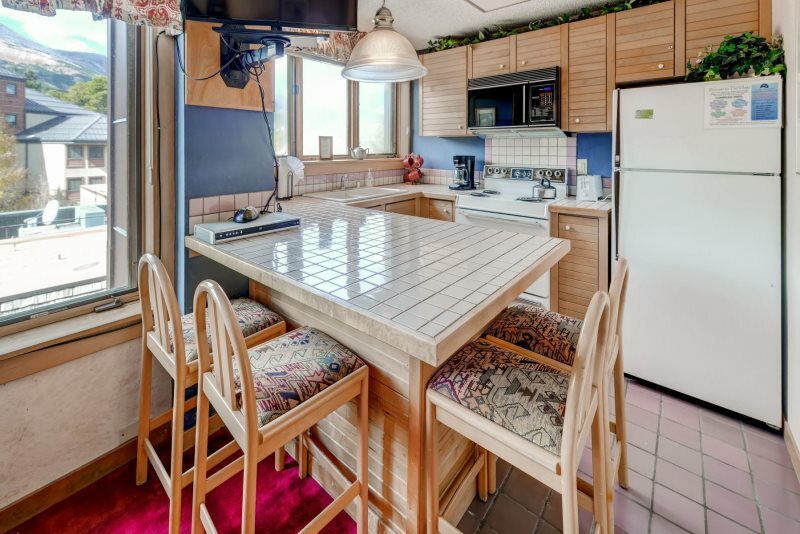 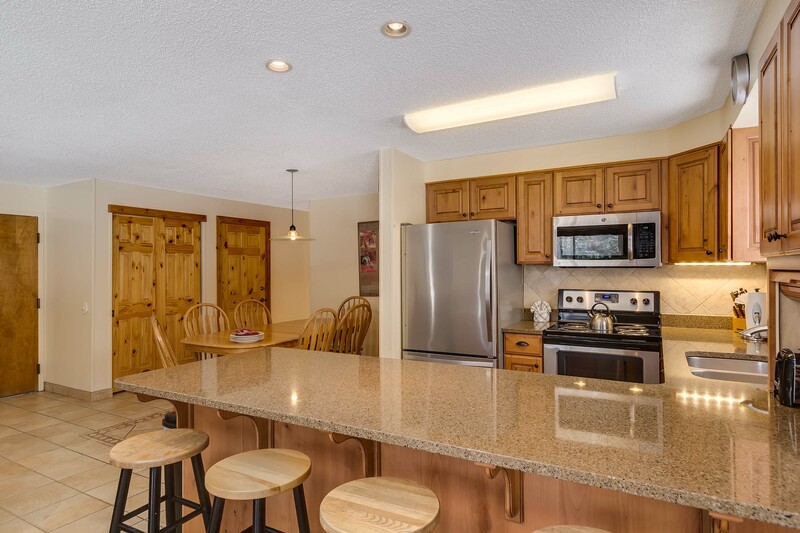 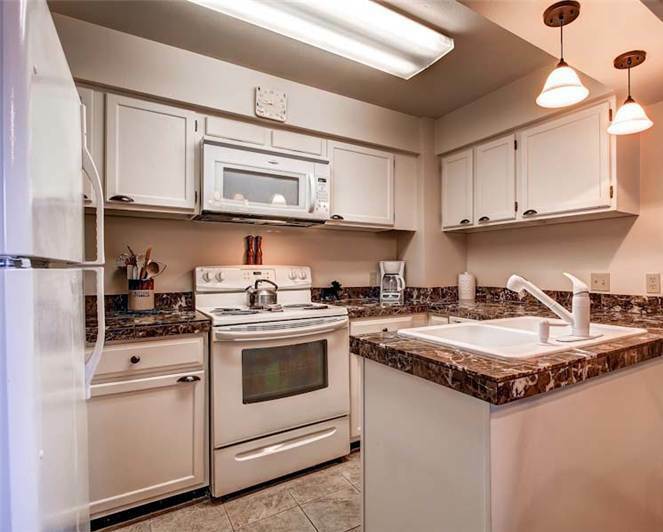 Other amenities include a washer and dryer, complimentary Wi-Fi, and ski storage. 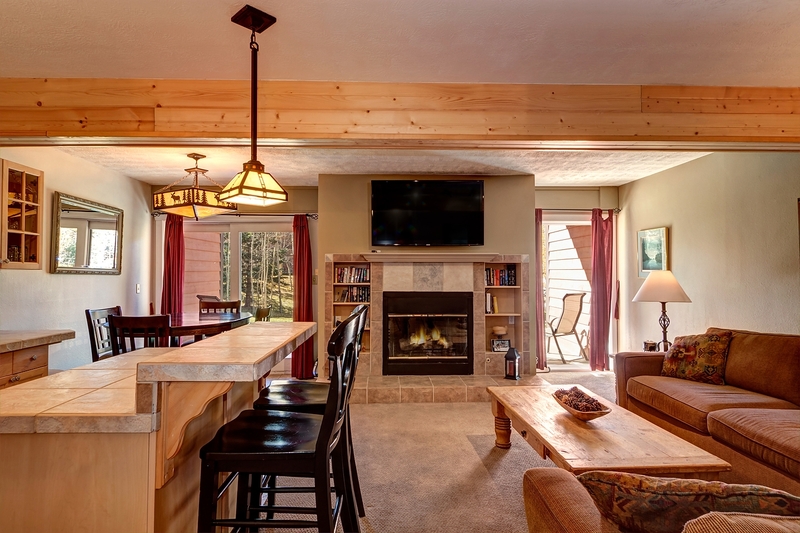 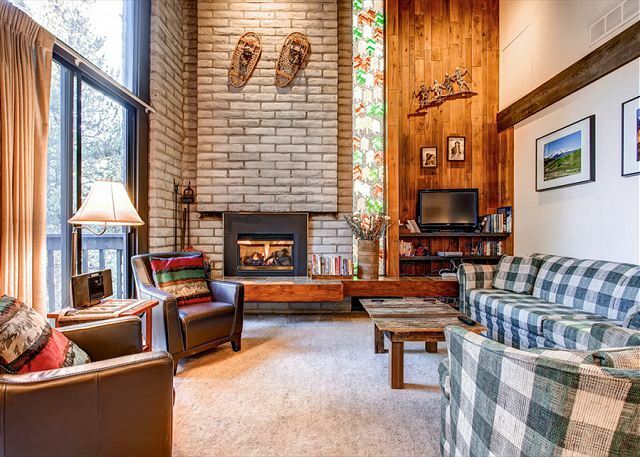 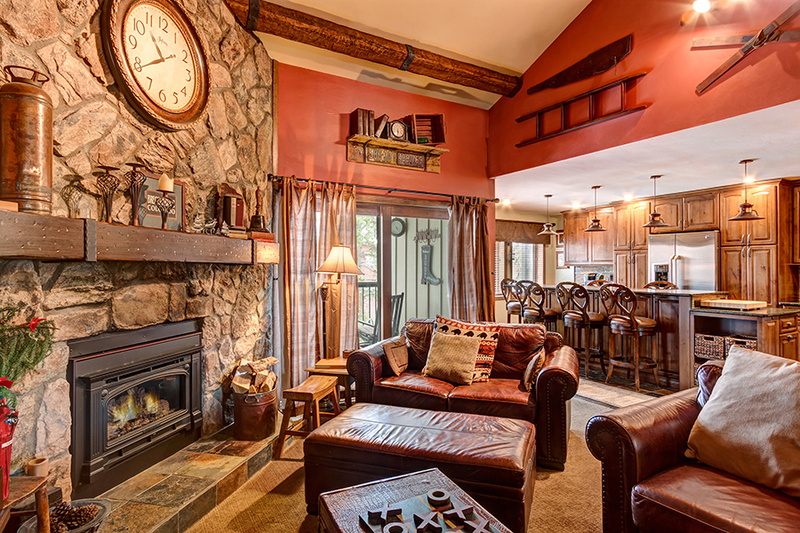 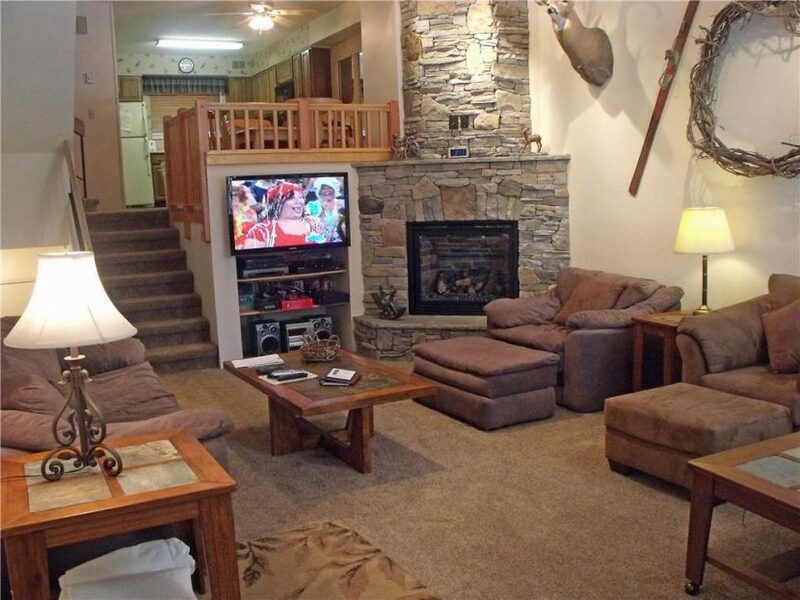 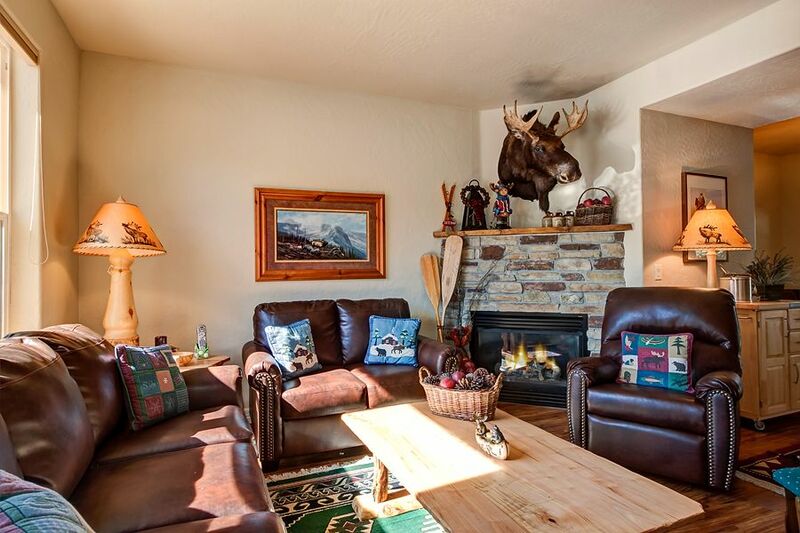 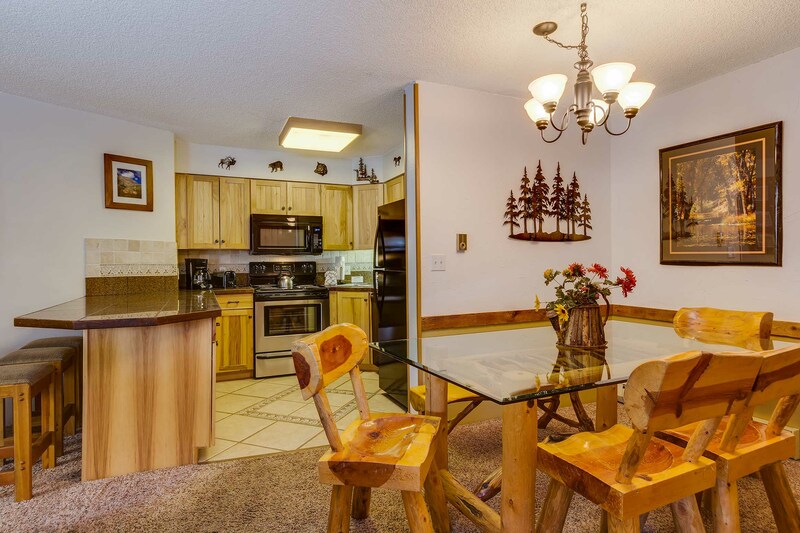 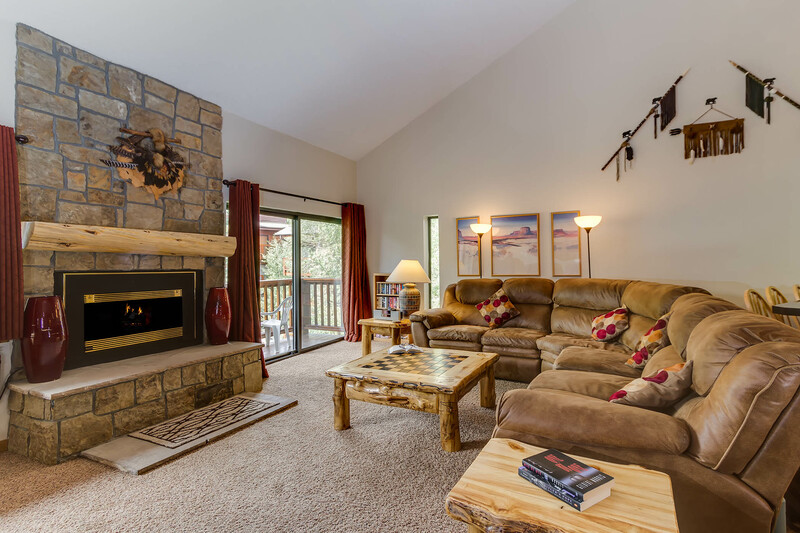 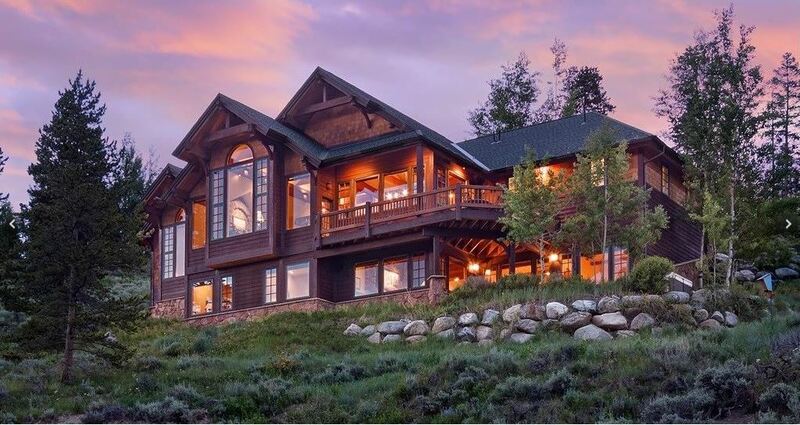 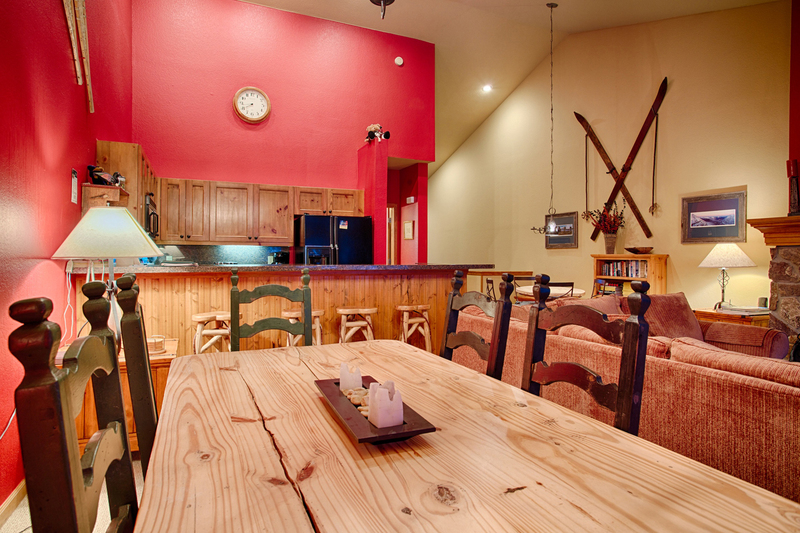 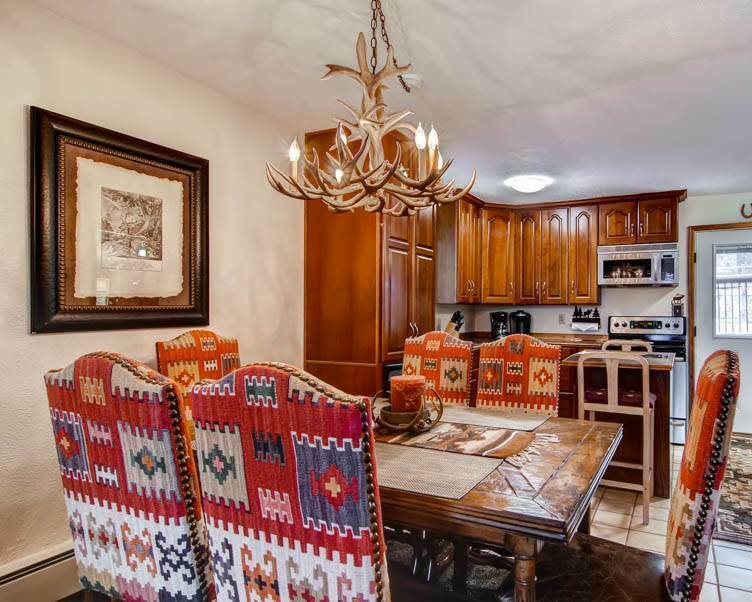 You’ll love the feeling of being right at home on your mountain getaway.